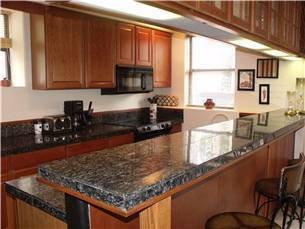 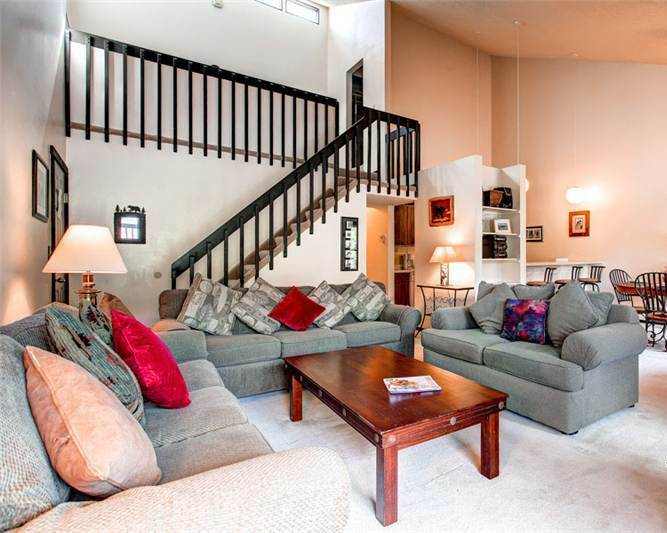 This two story townhouse is located close to downtown and is on the bus route. 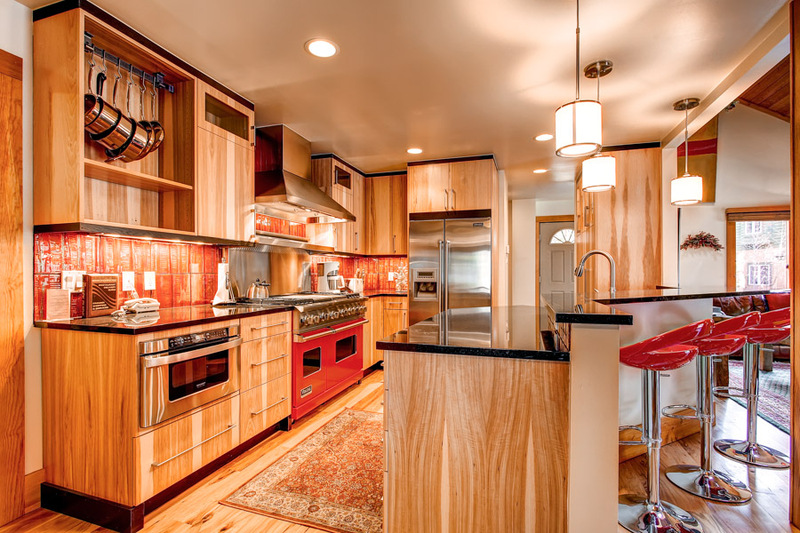 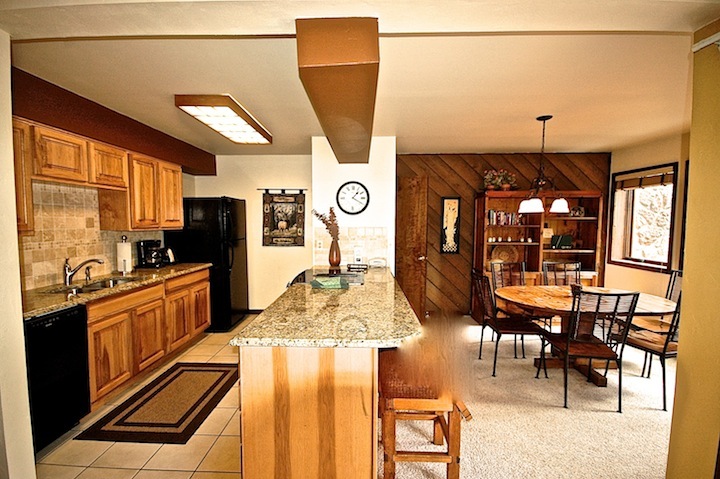 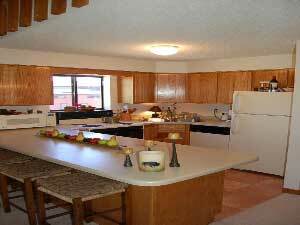 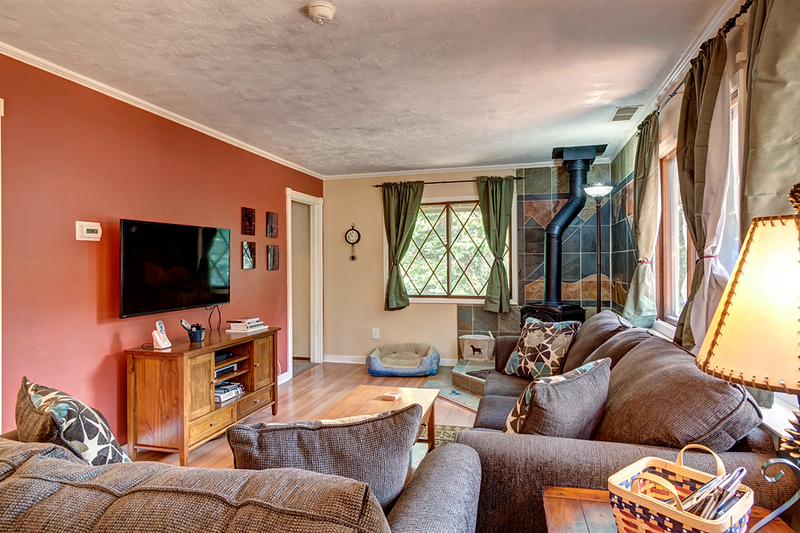 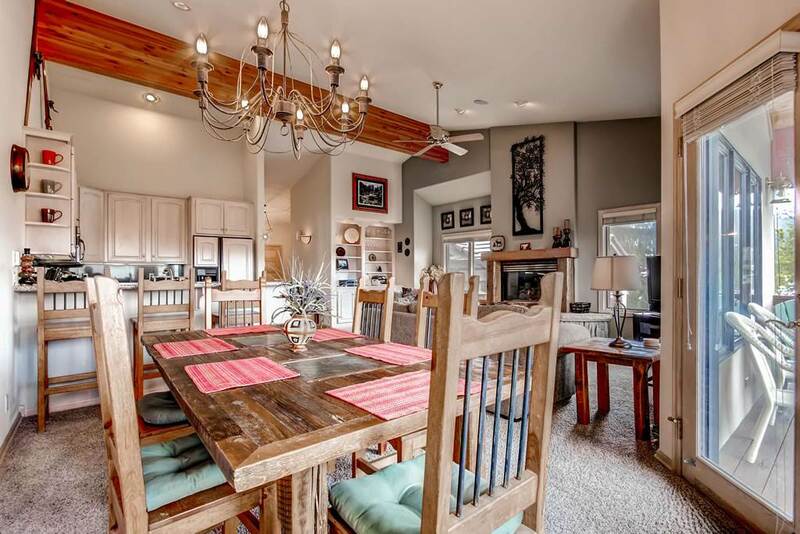 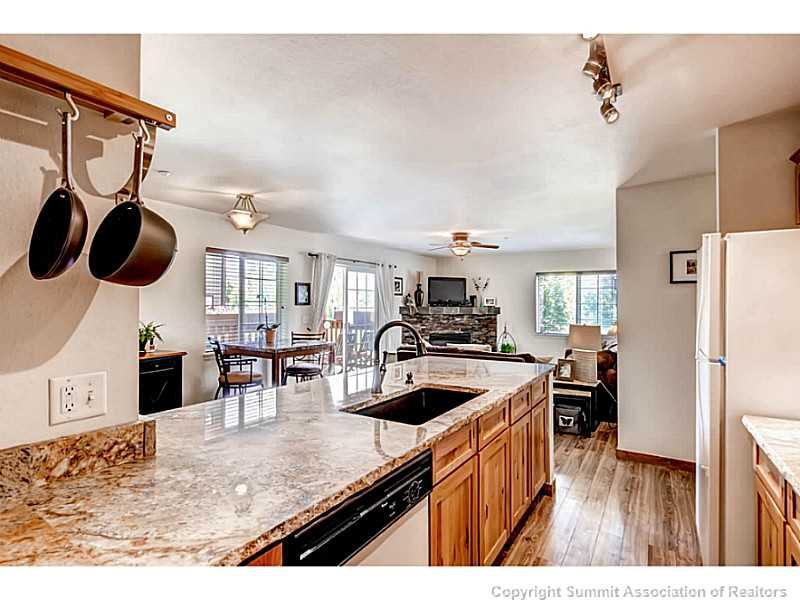 Living room, kitchen and dining area are all located on the main floor in addition to the 1/2 bath. 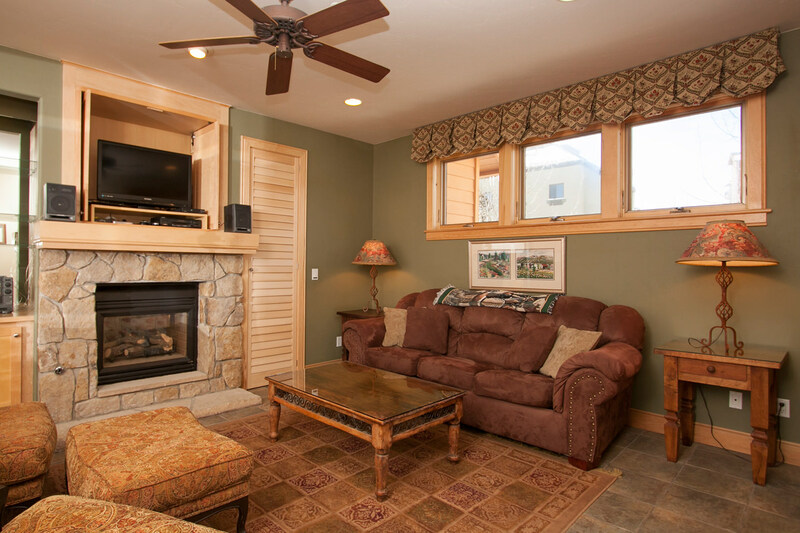 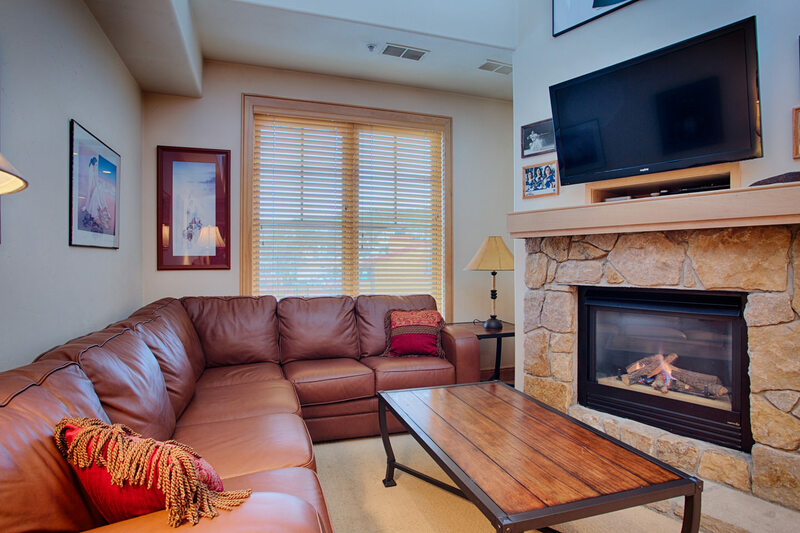 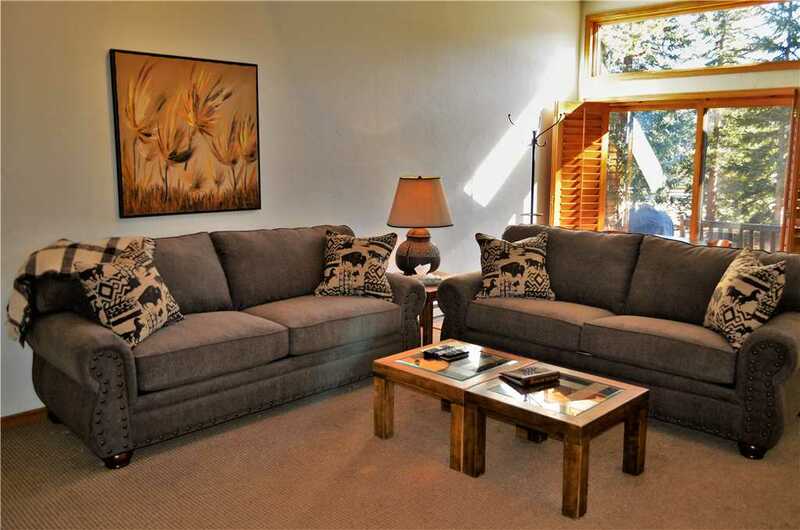 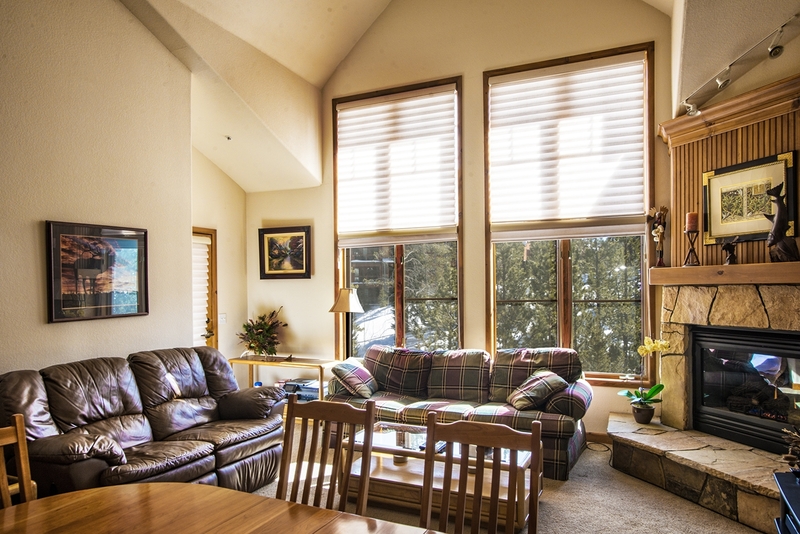 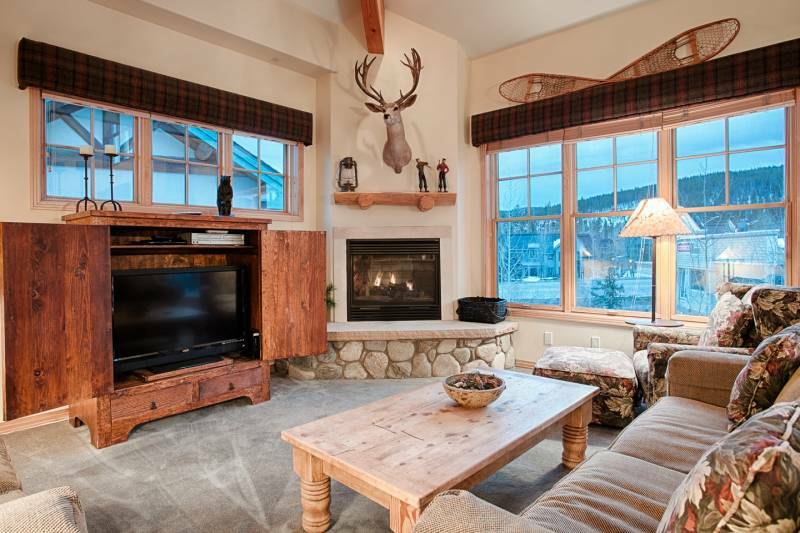 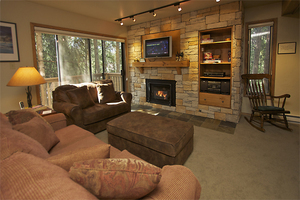 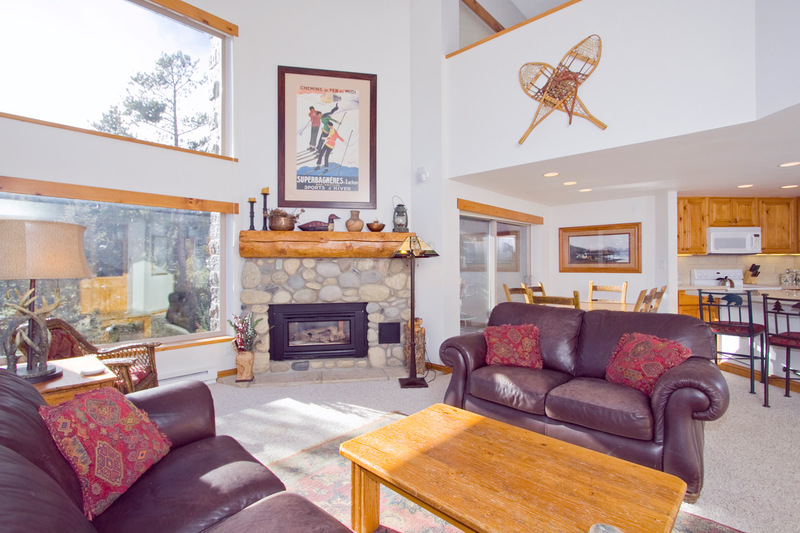 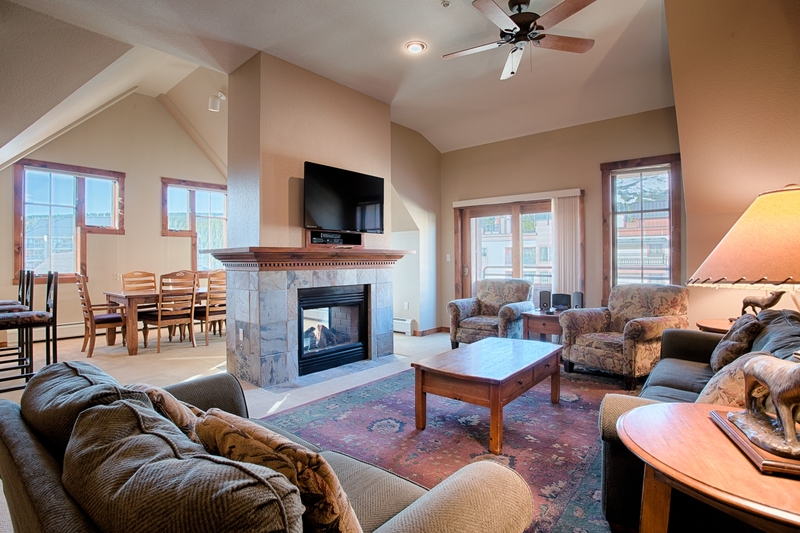 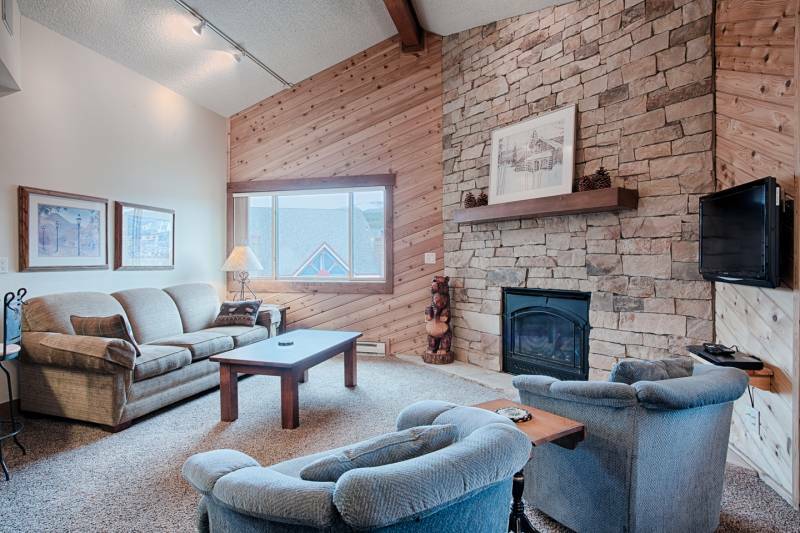 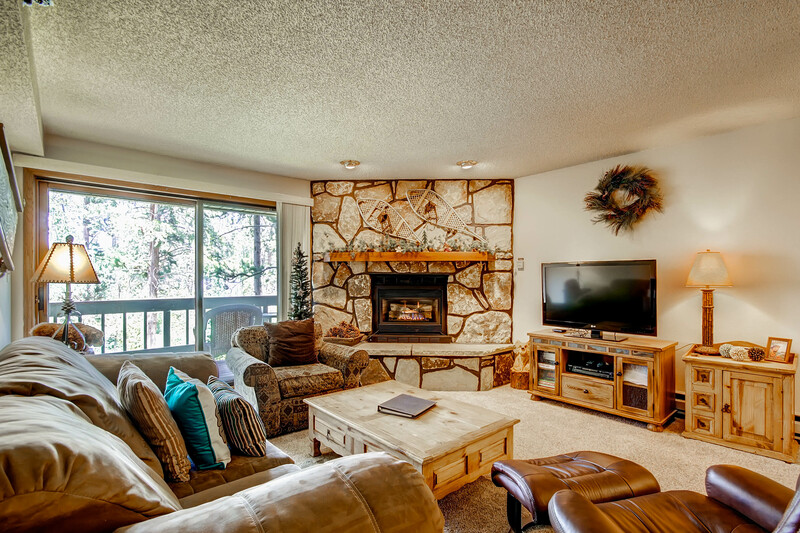 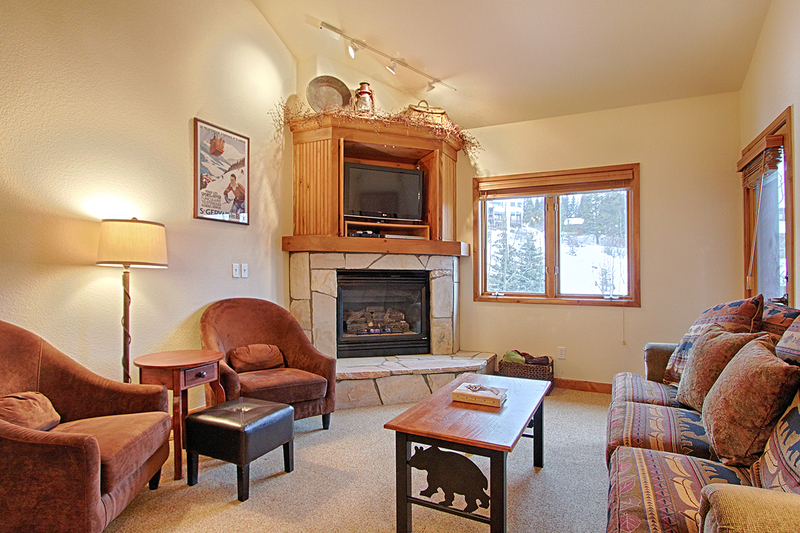 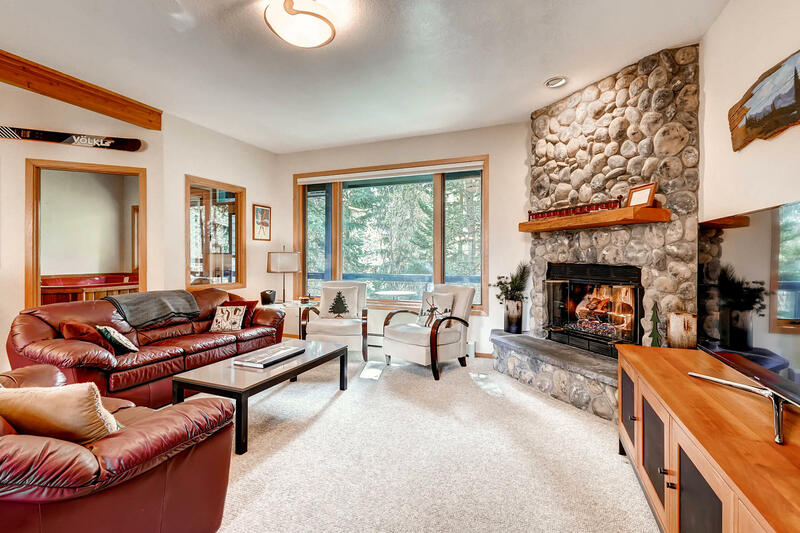 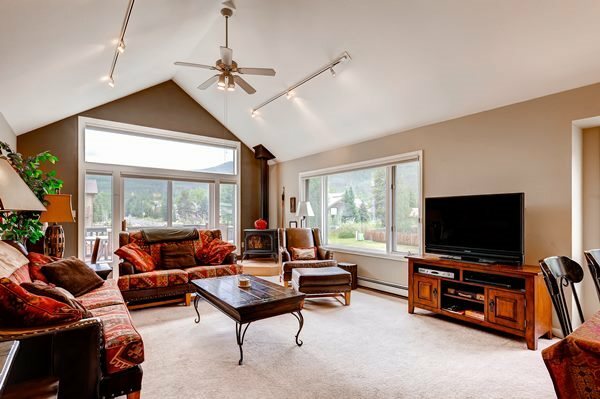 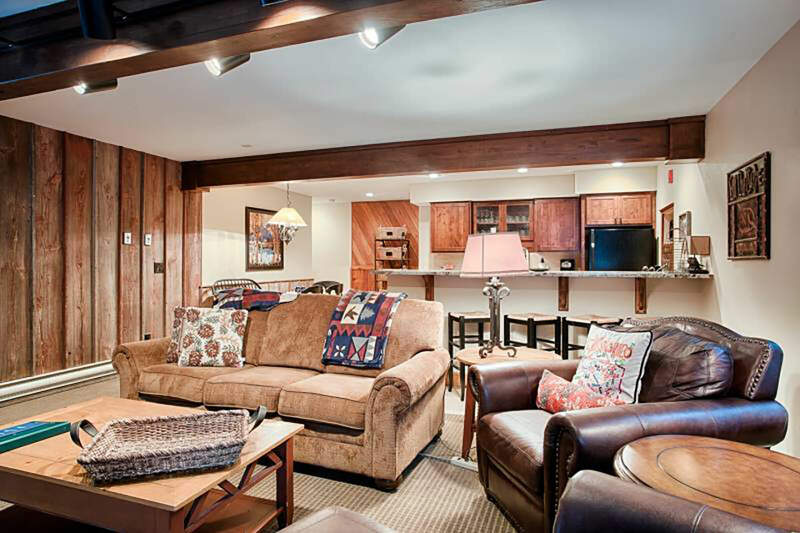 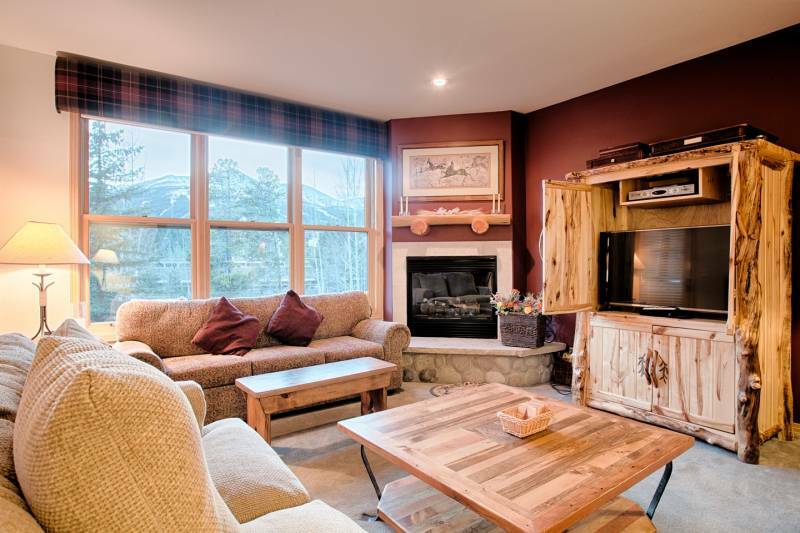 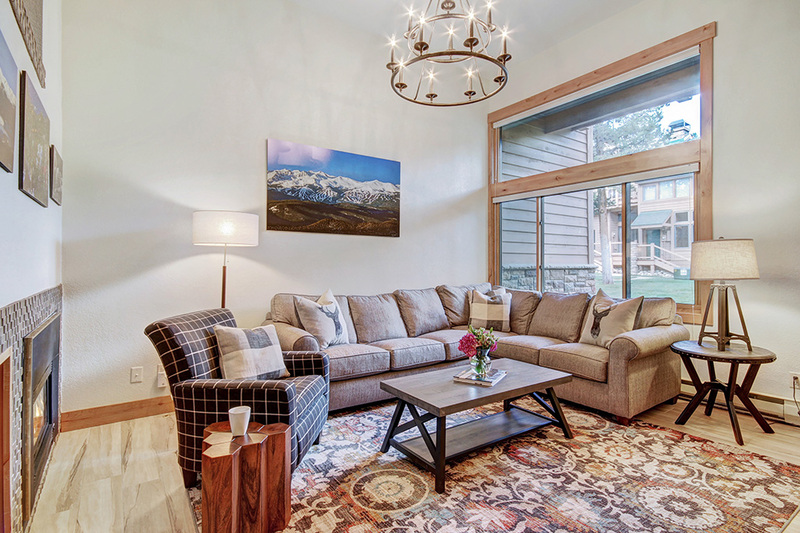 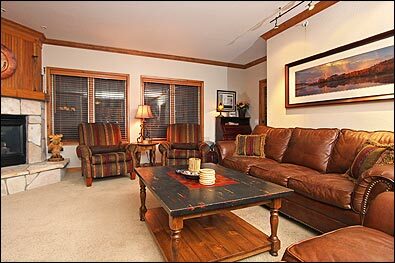 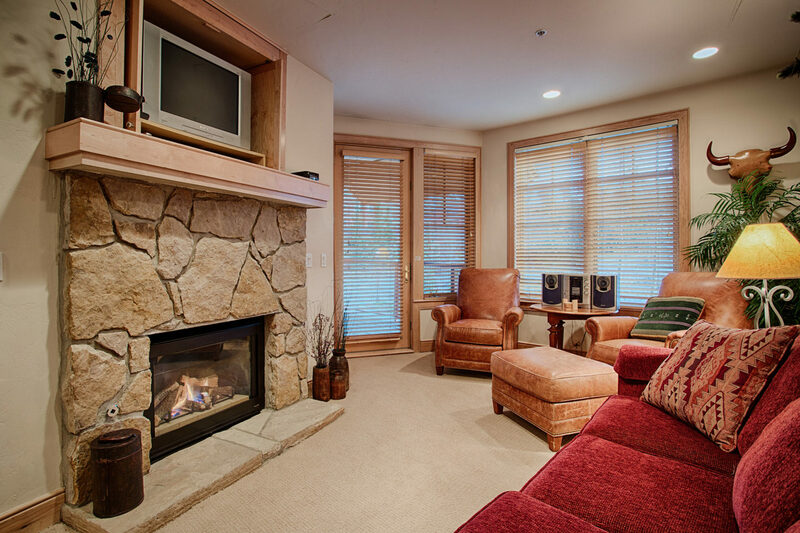 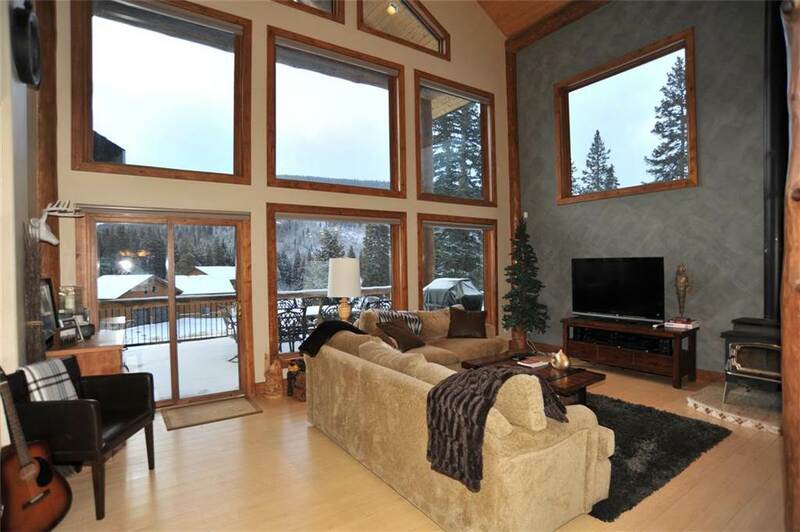 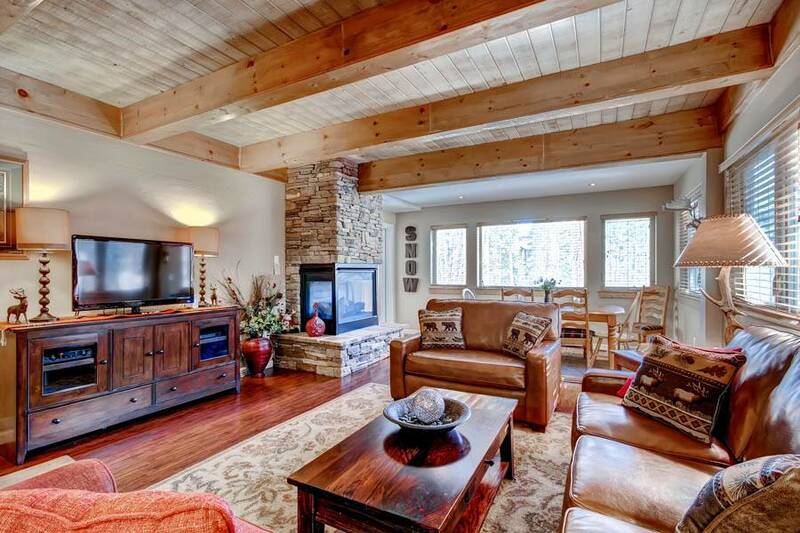 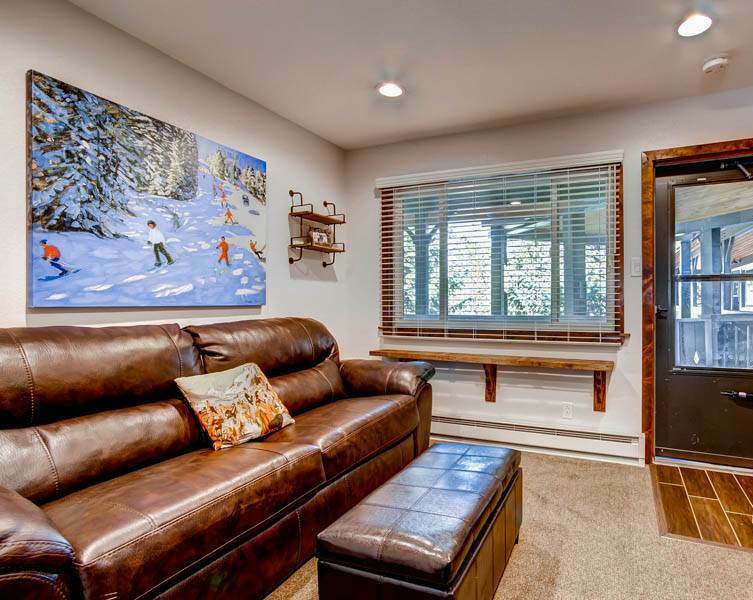 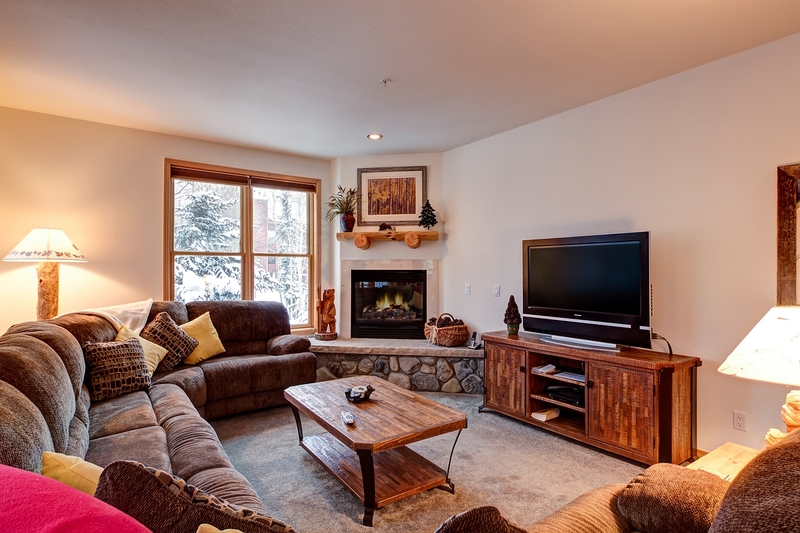 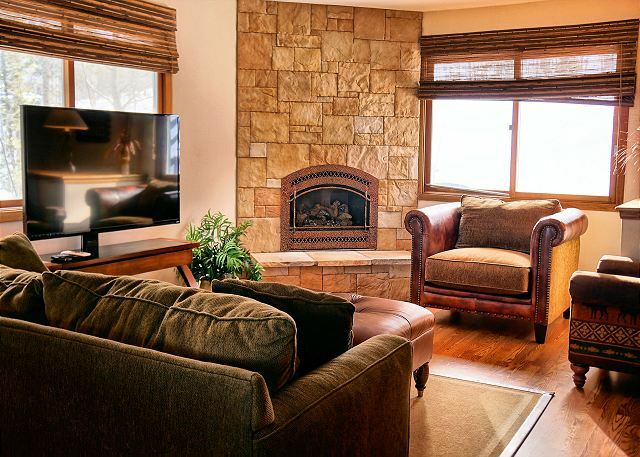 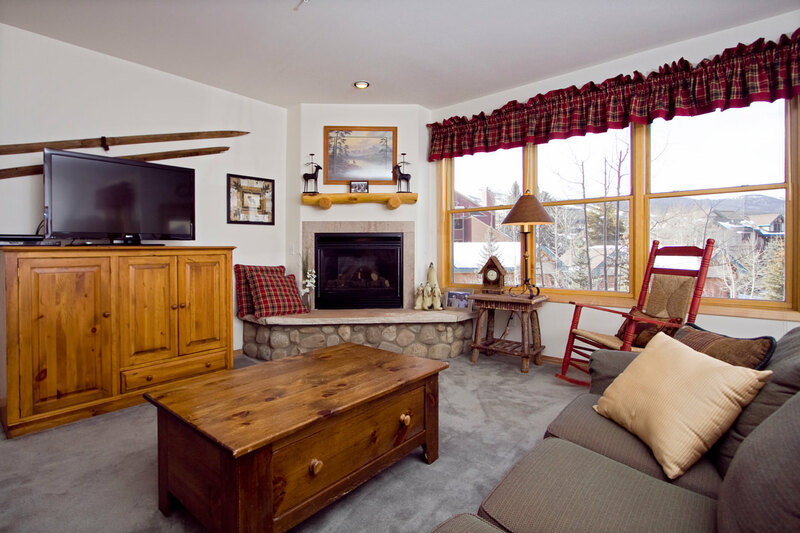 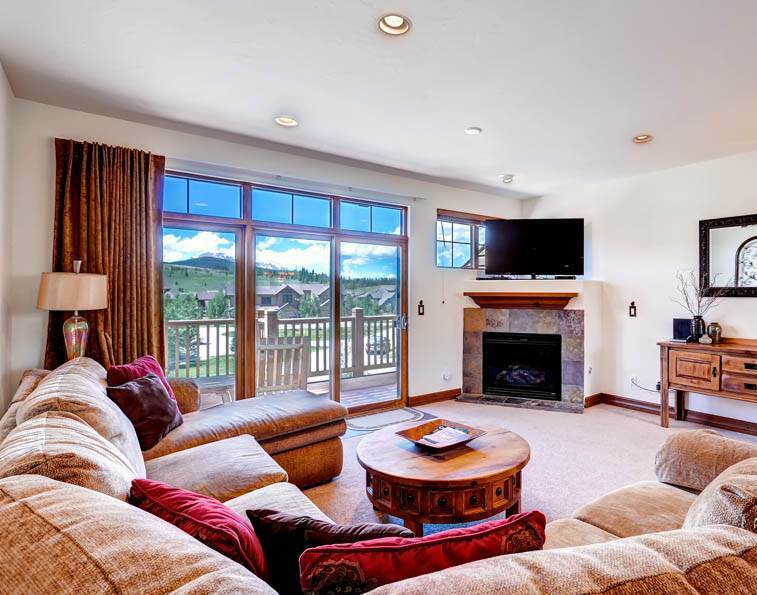 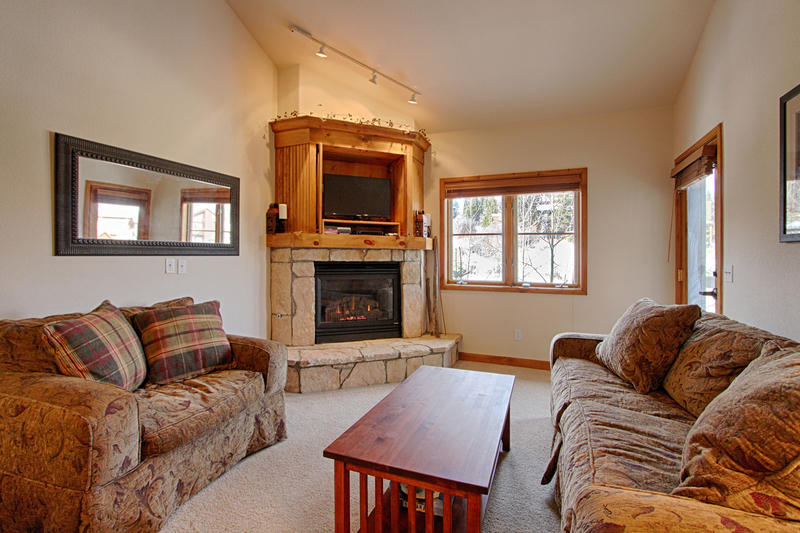 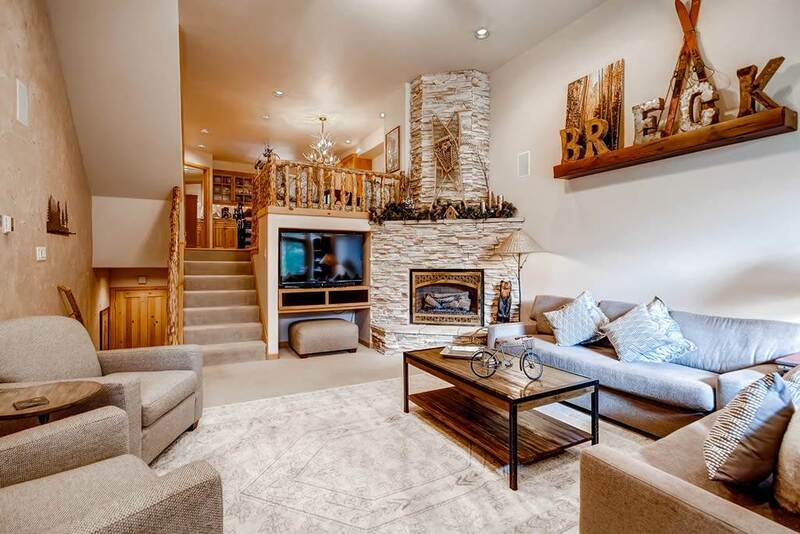 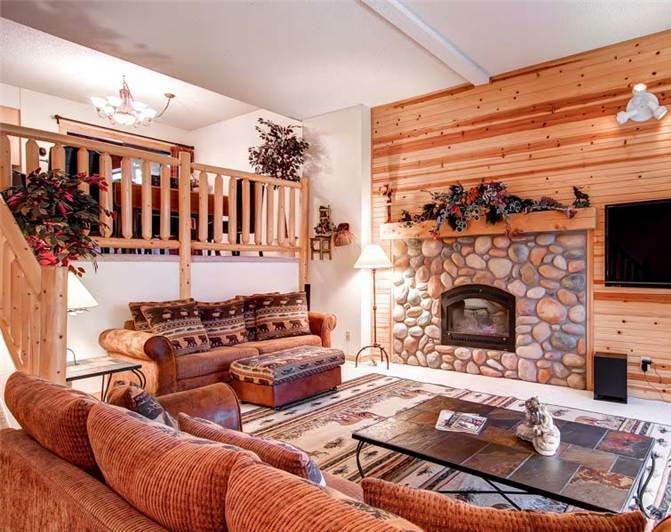 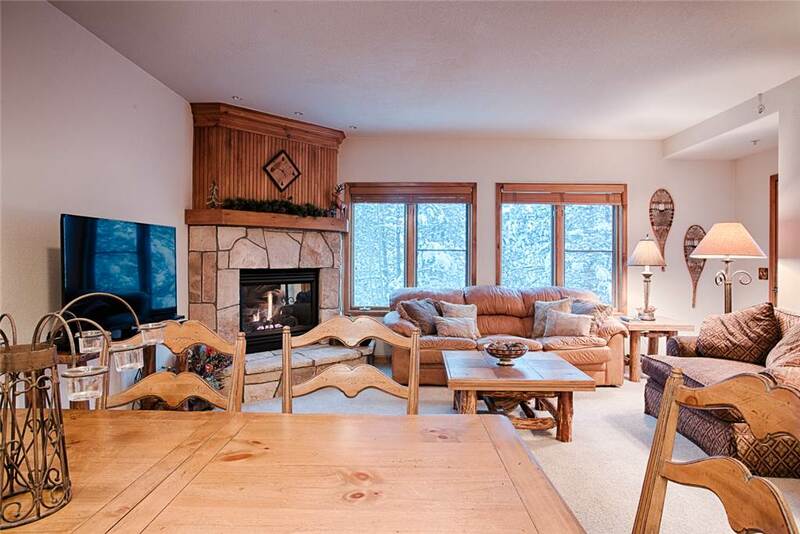 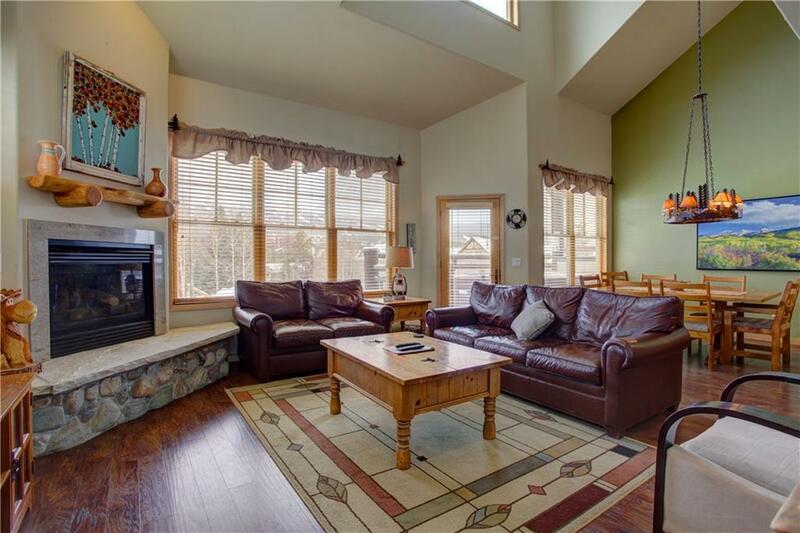 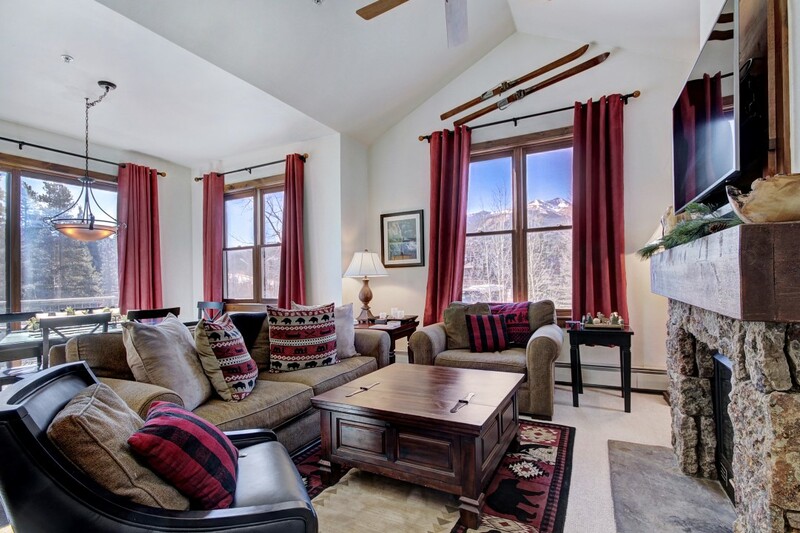 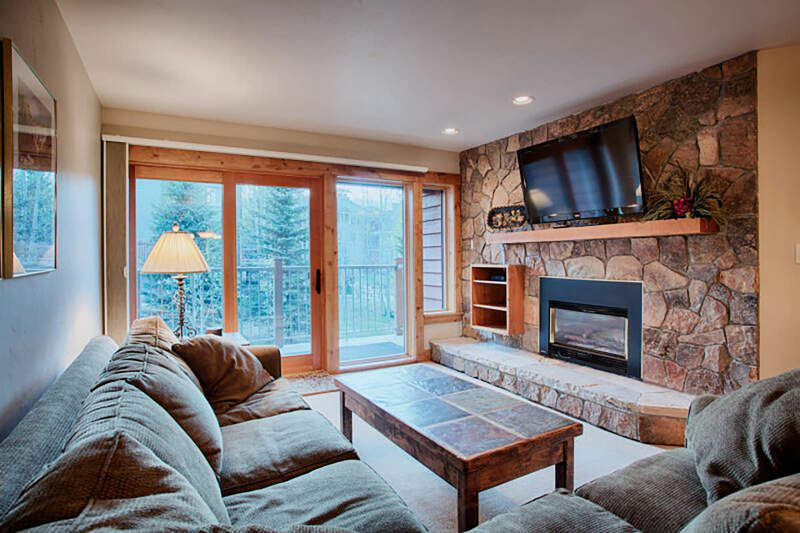 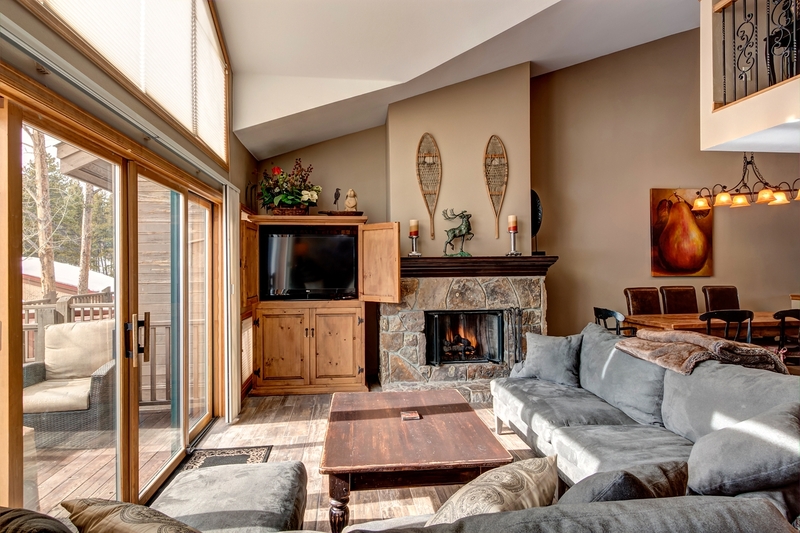 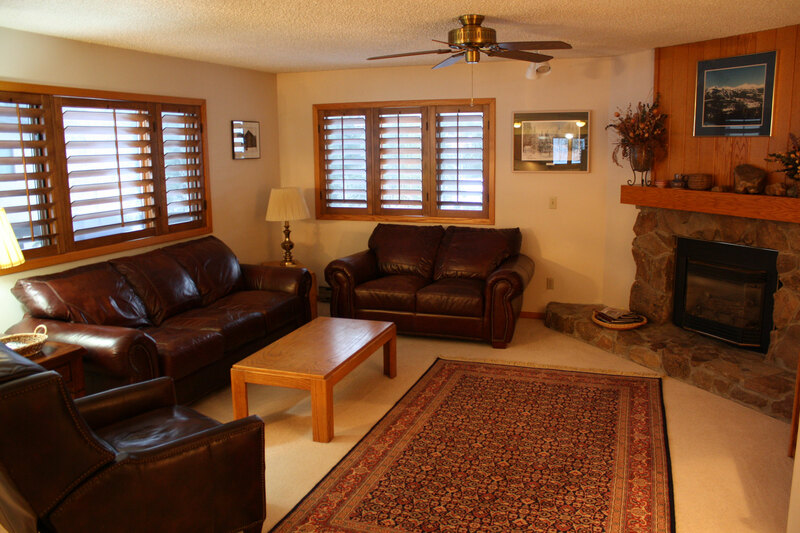 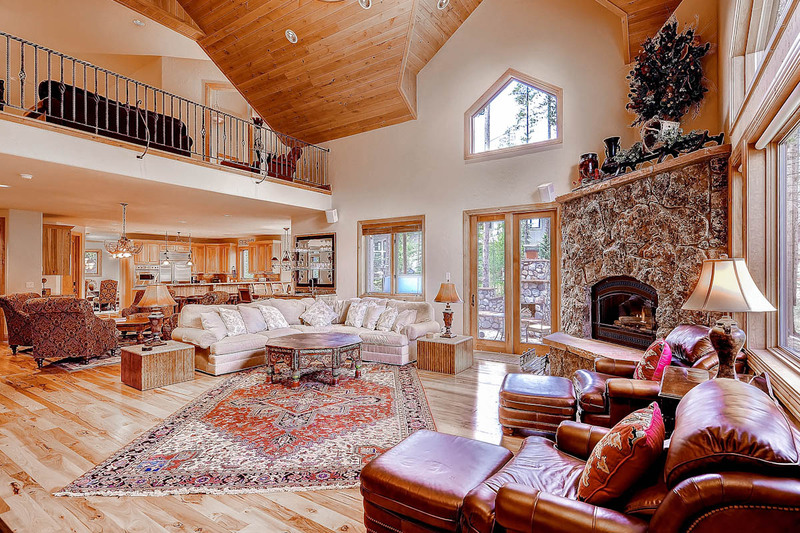 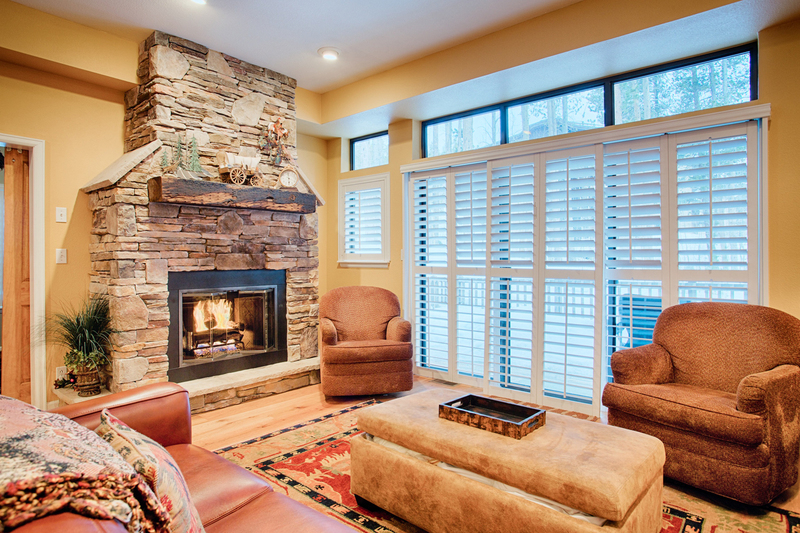 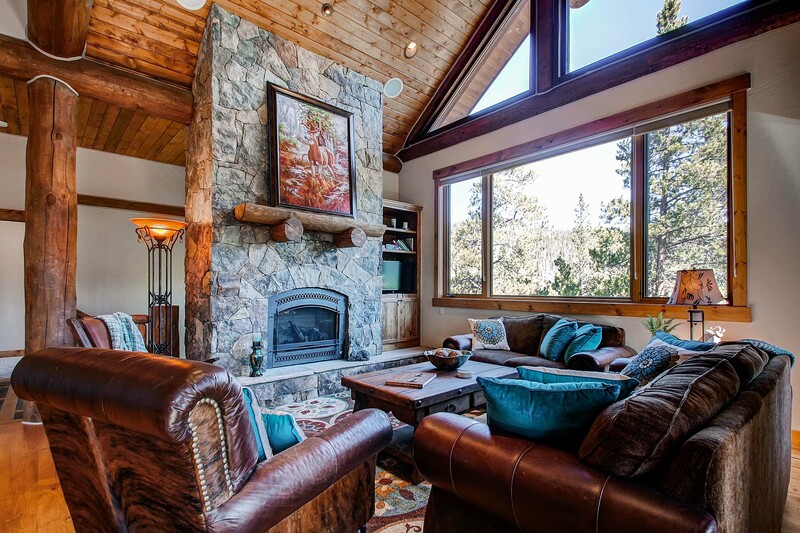 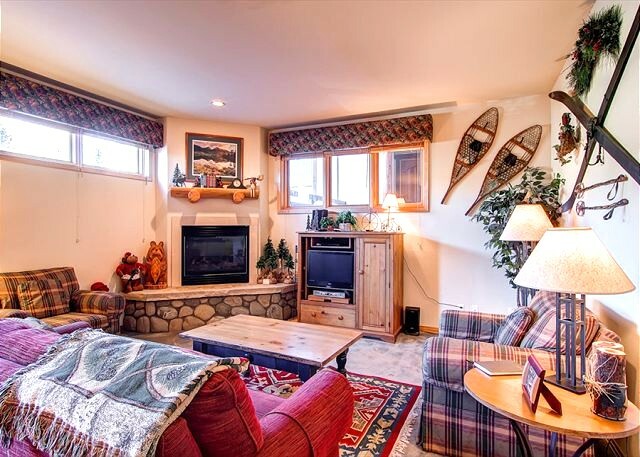 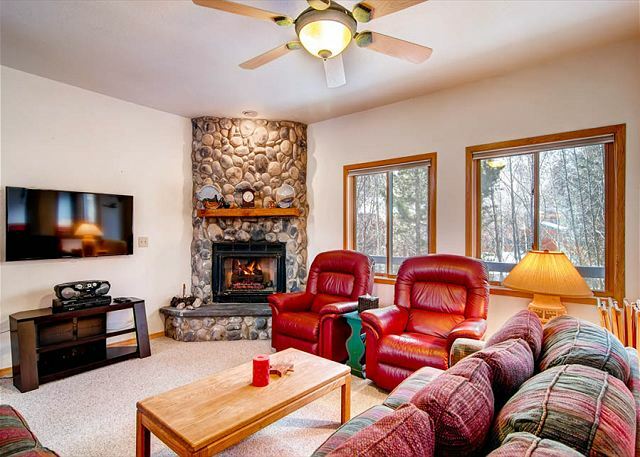 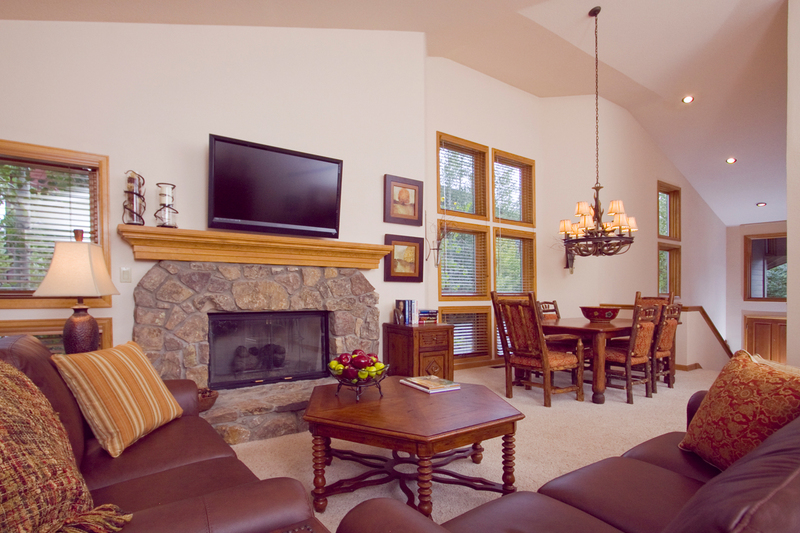 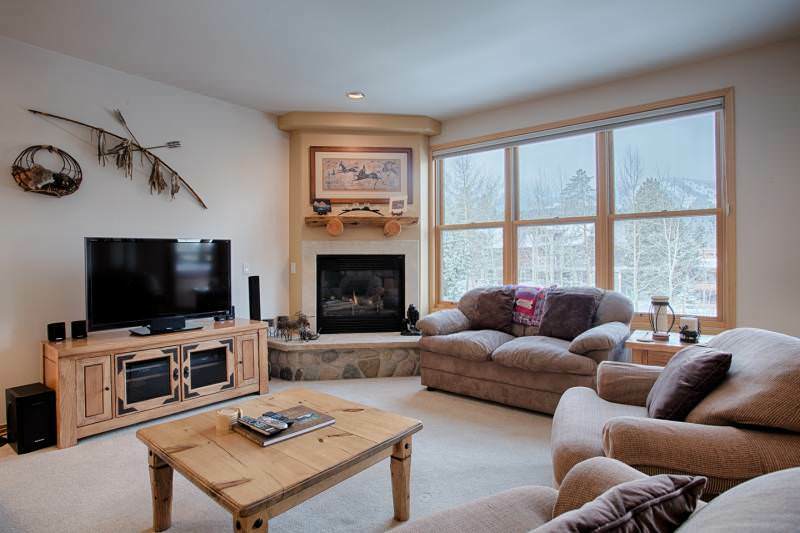 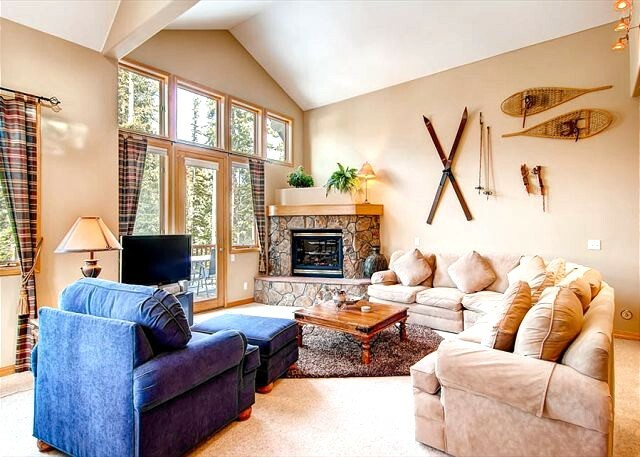 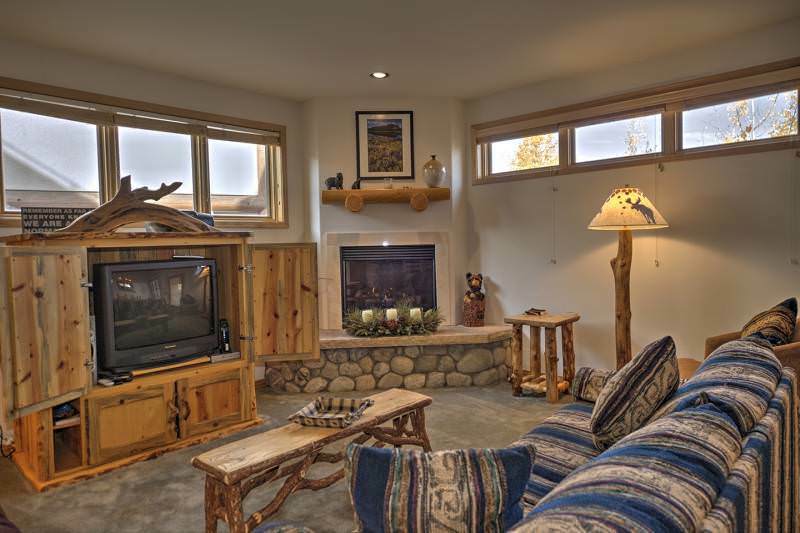 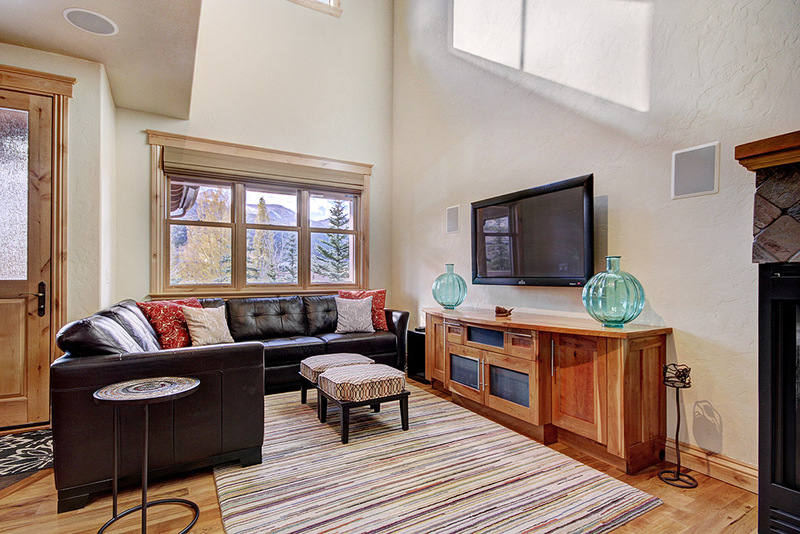 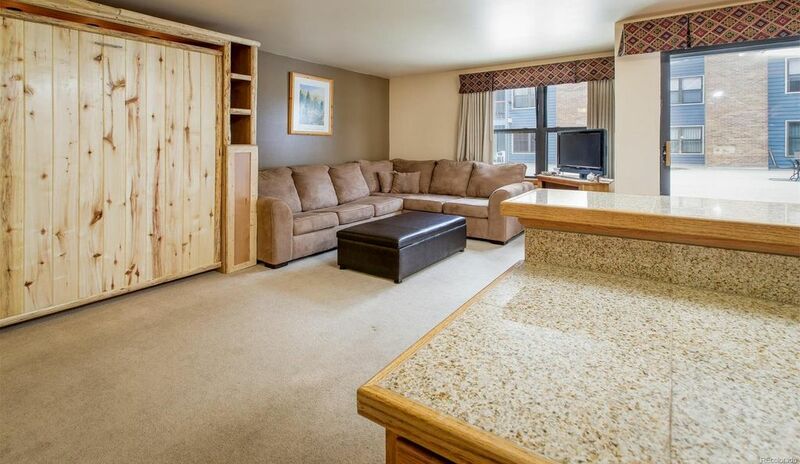 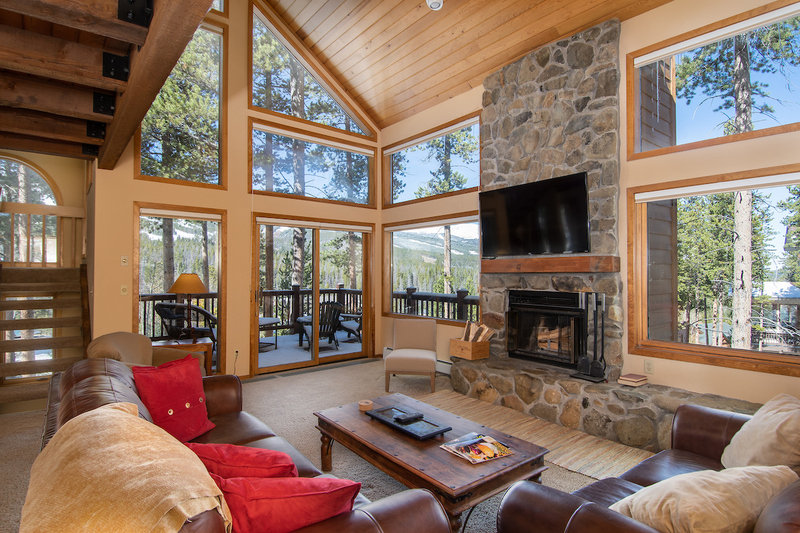 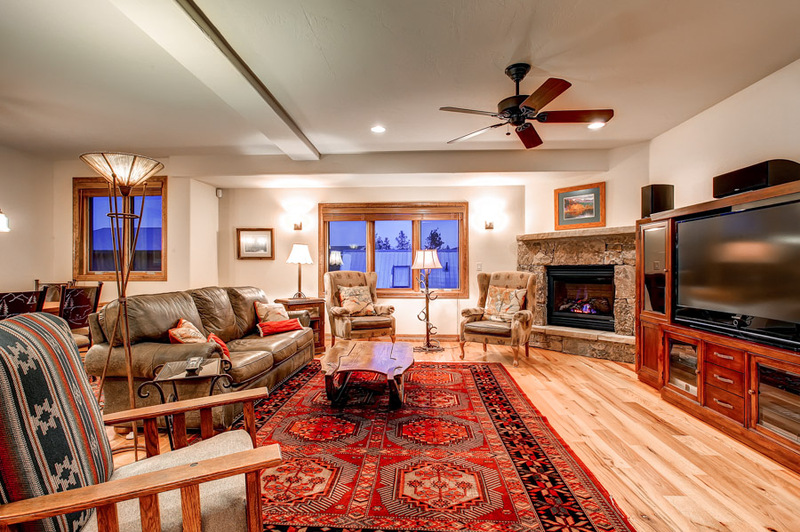 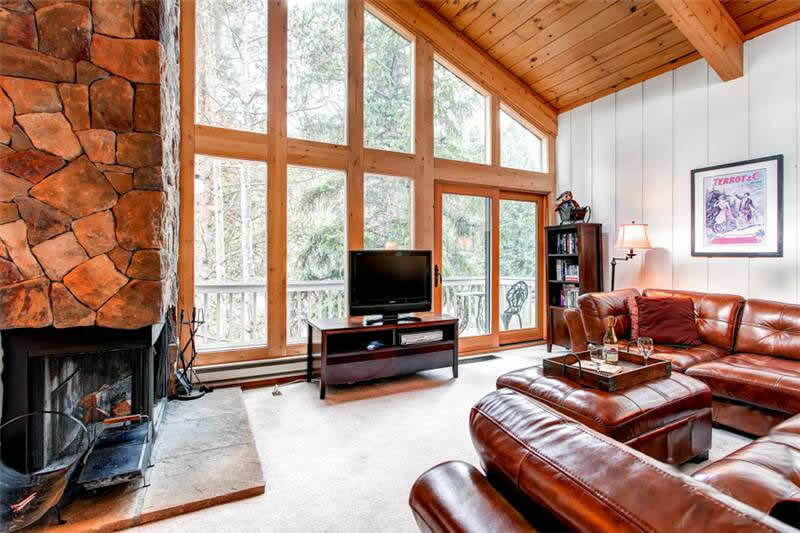 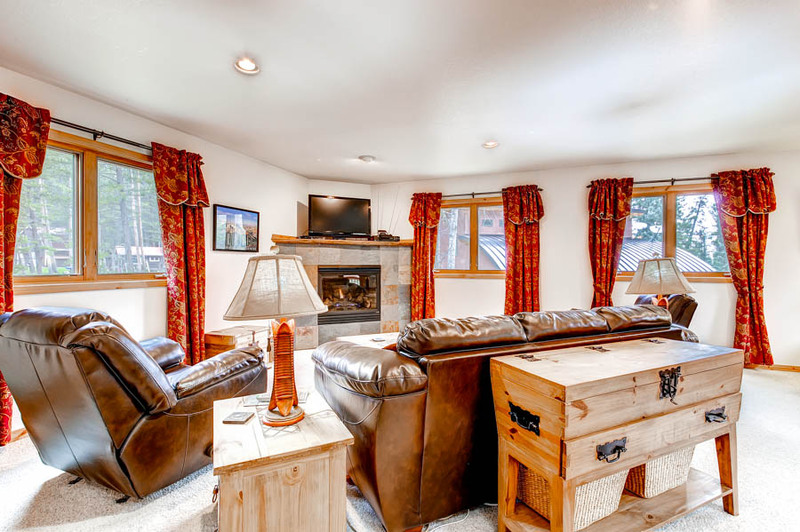 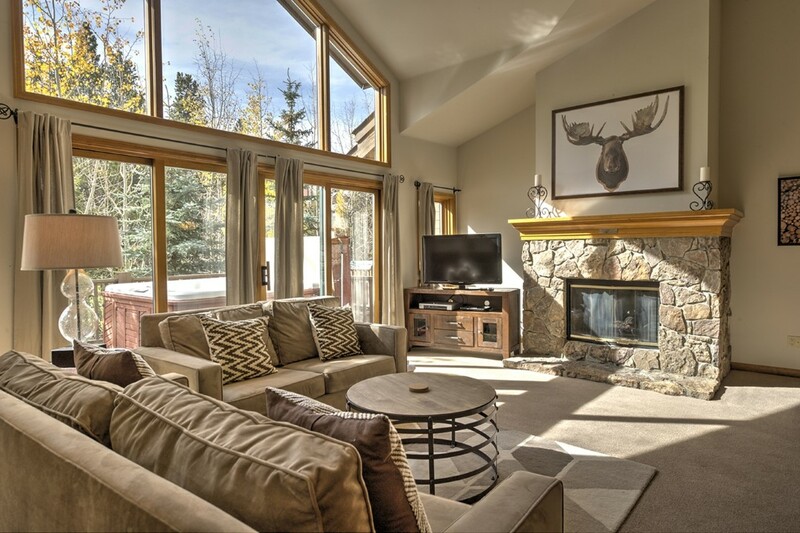 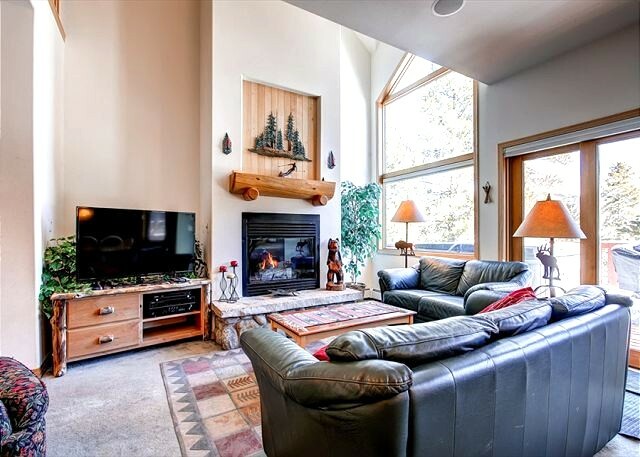 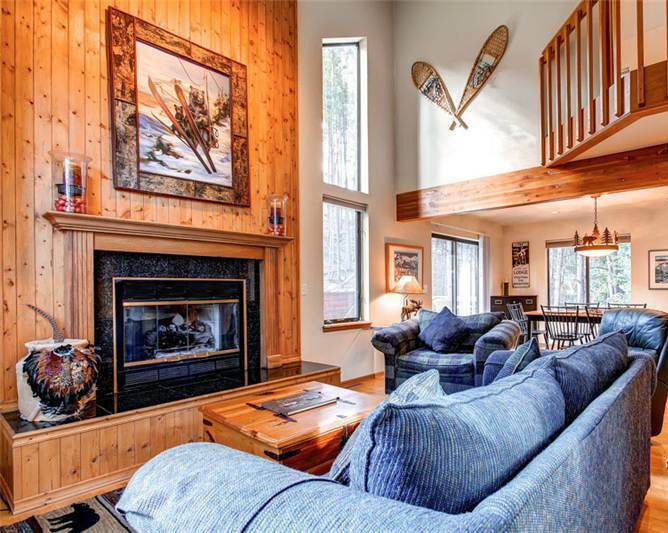 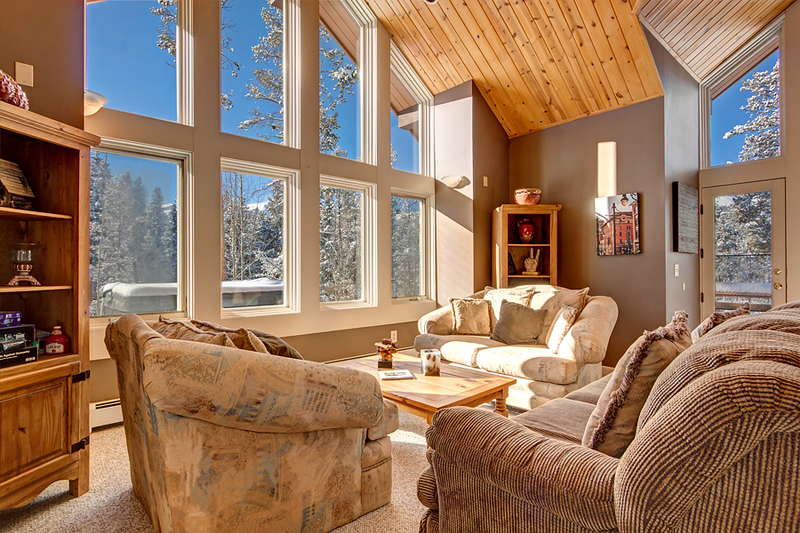 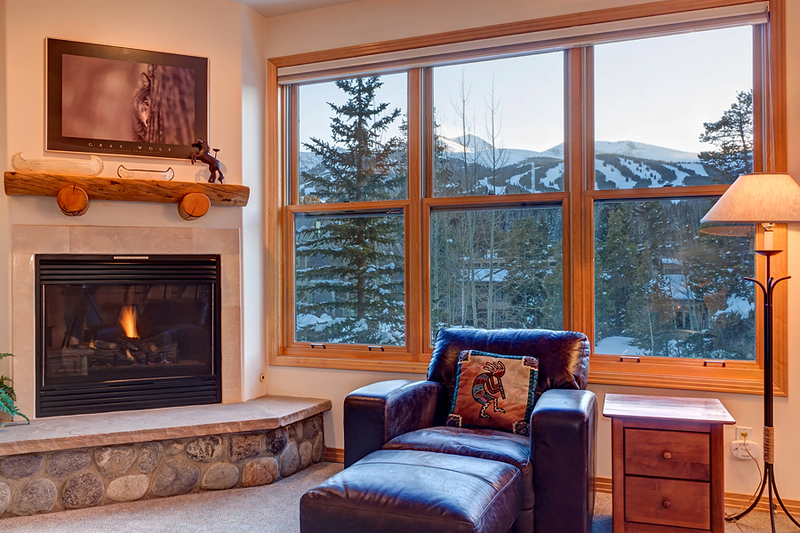 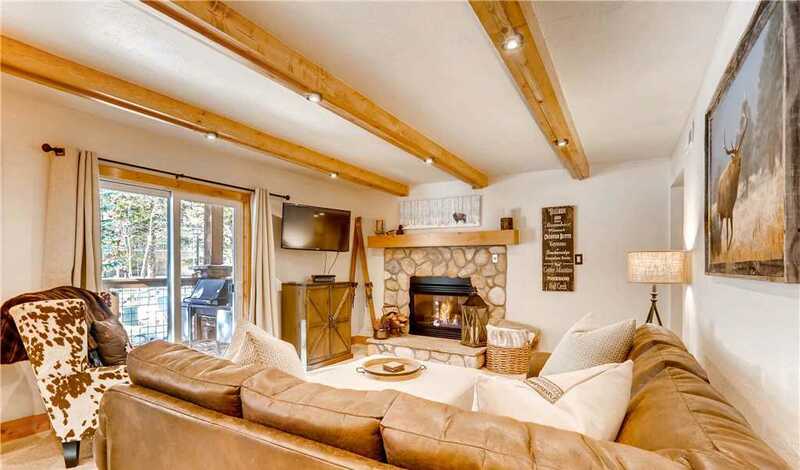 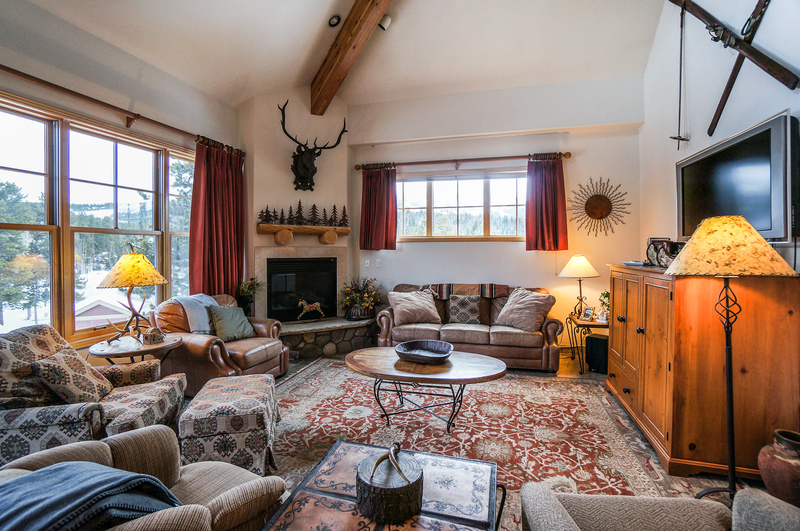 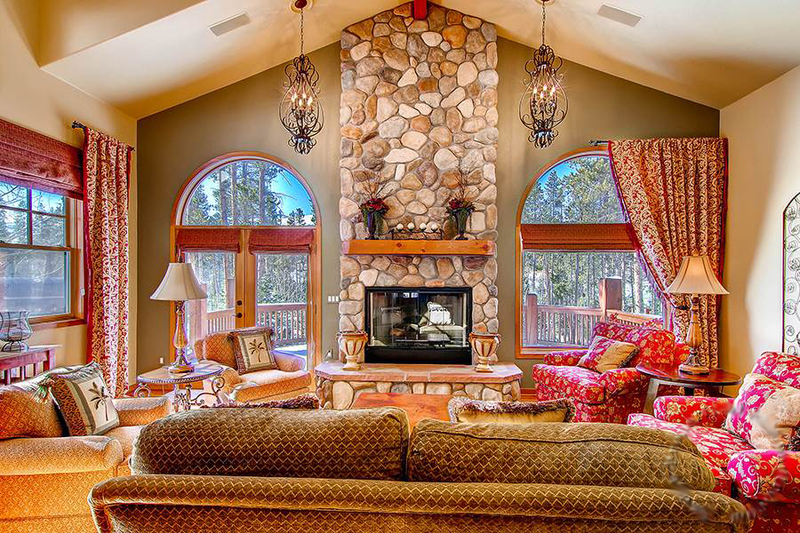 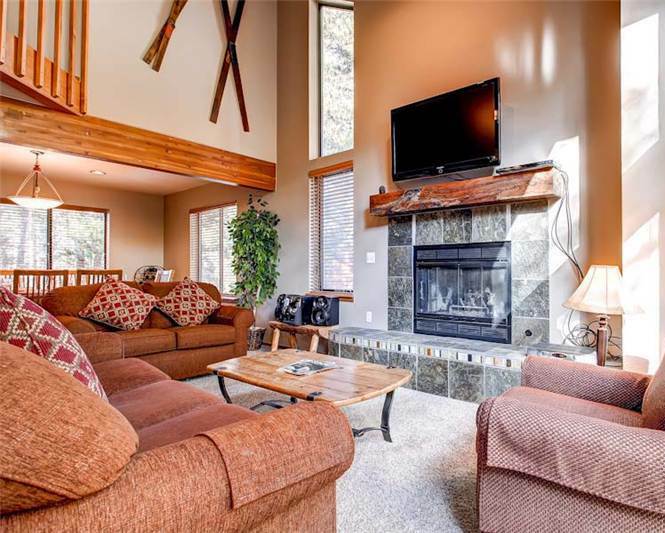 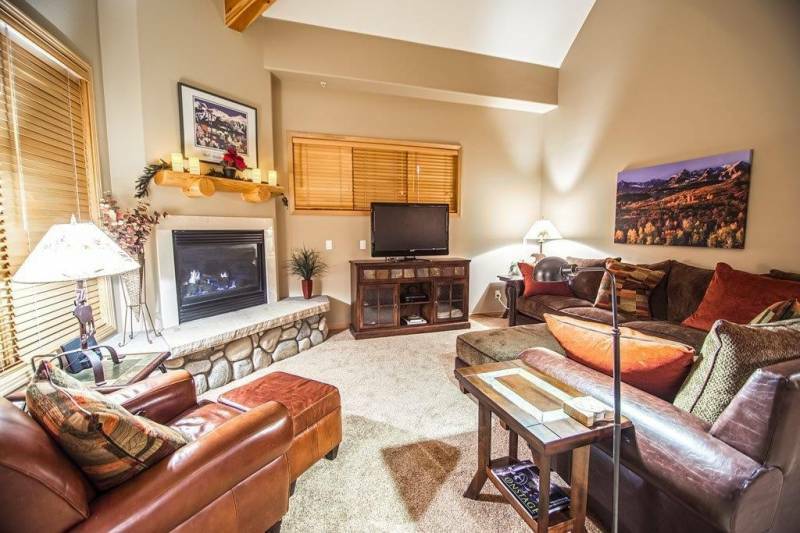 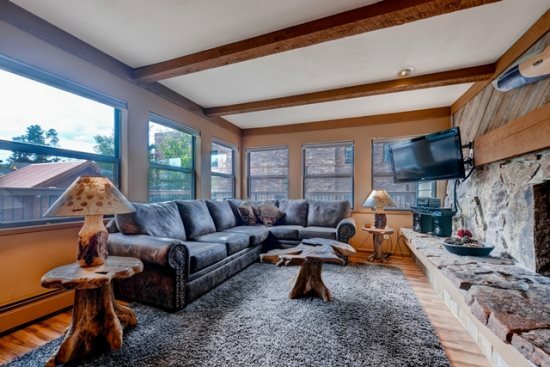 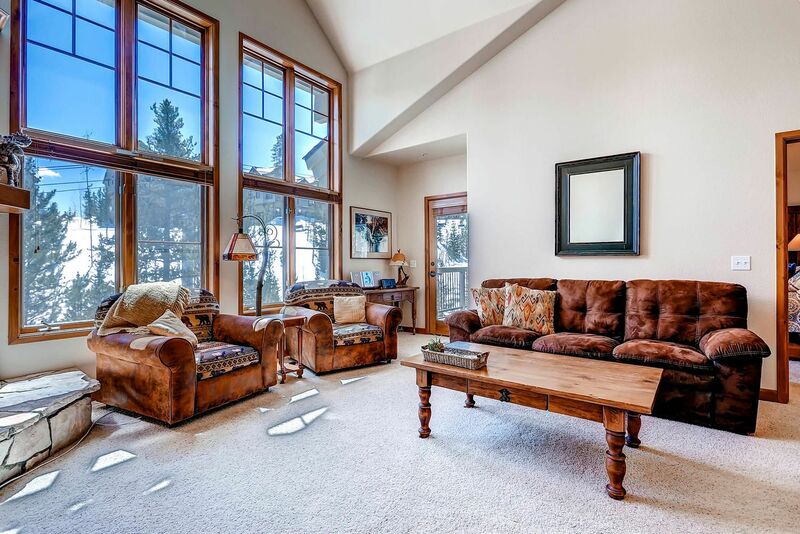 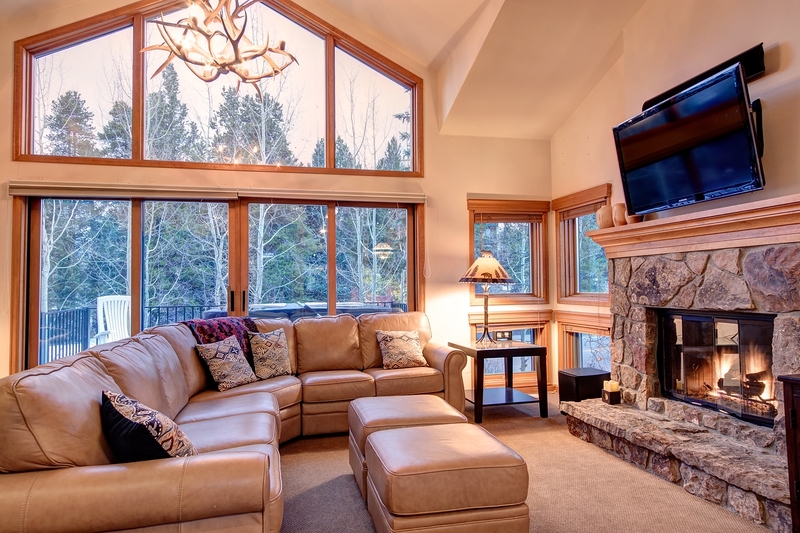 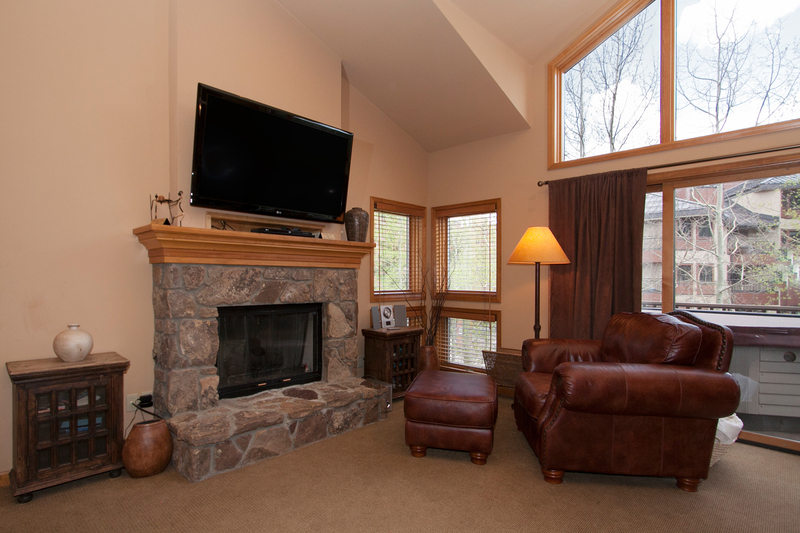 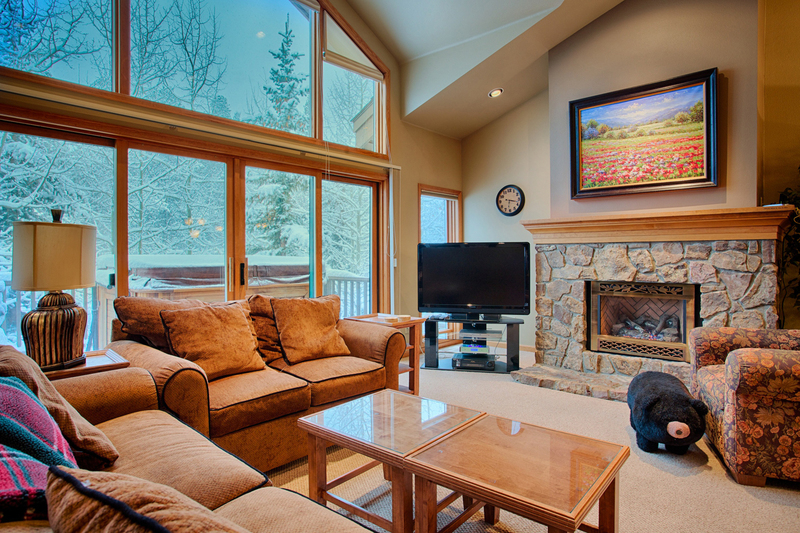 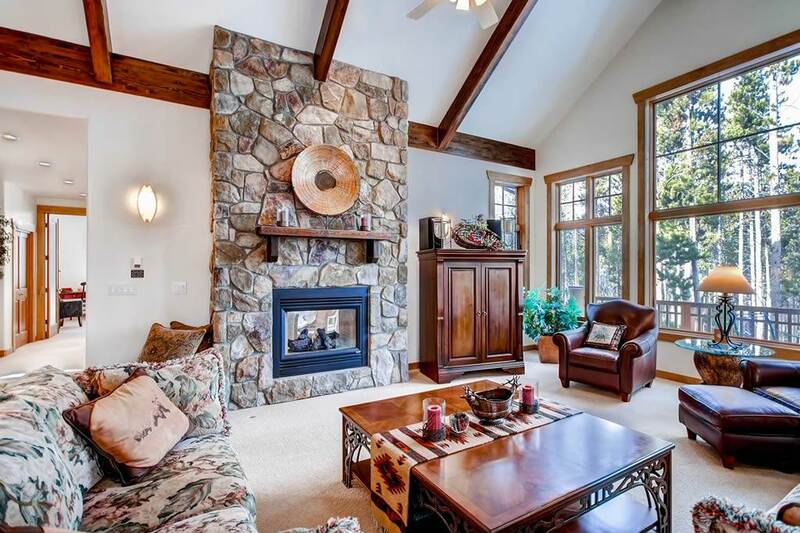 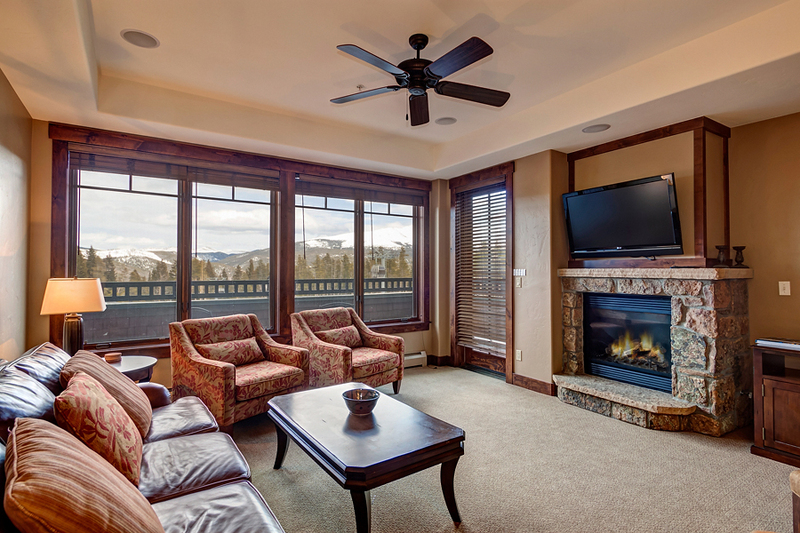 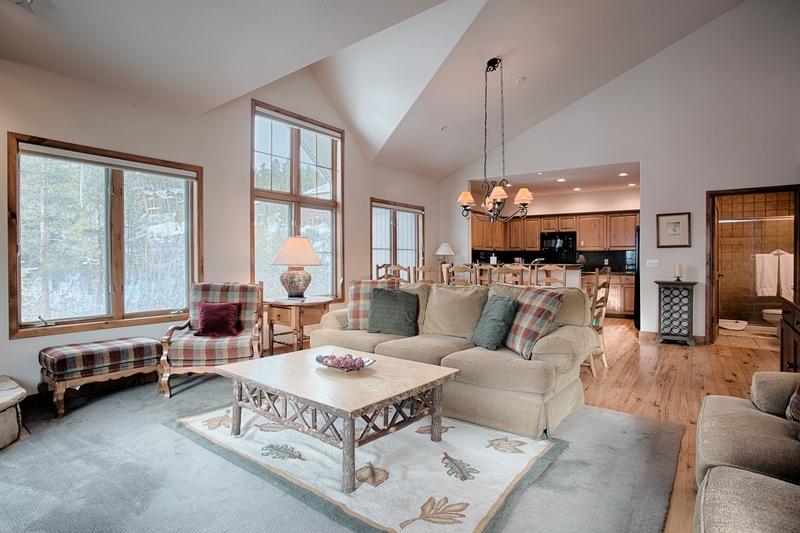 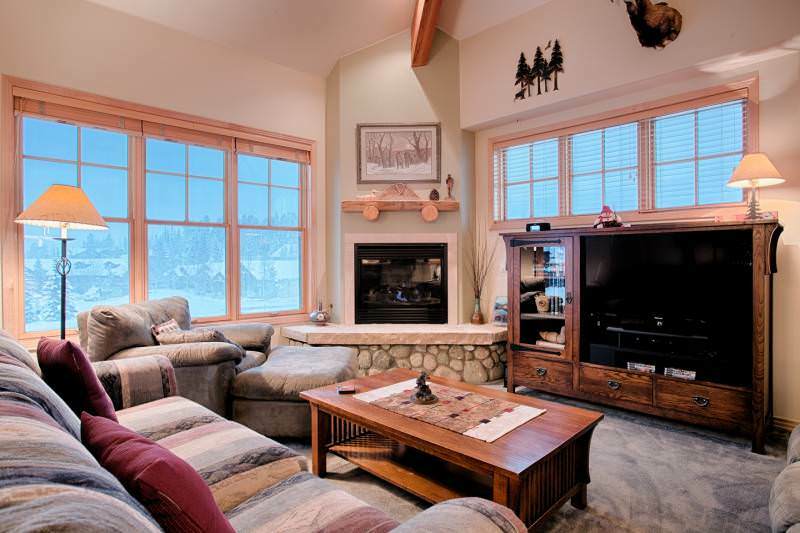 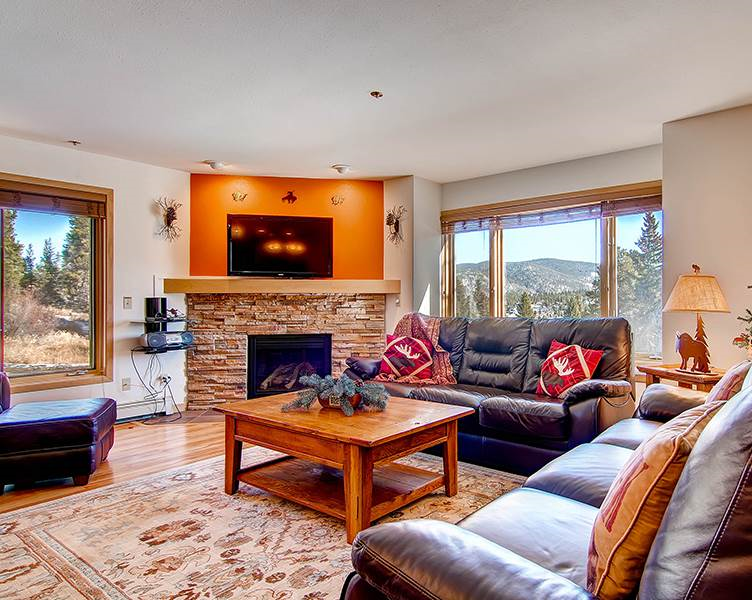 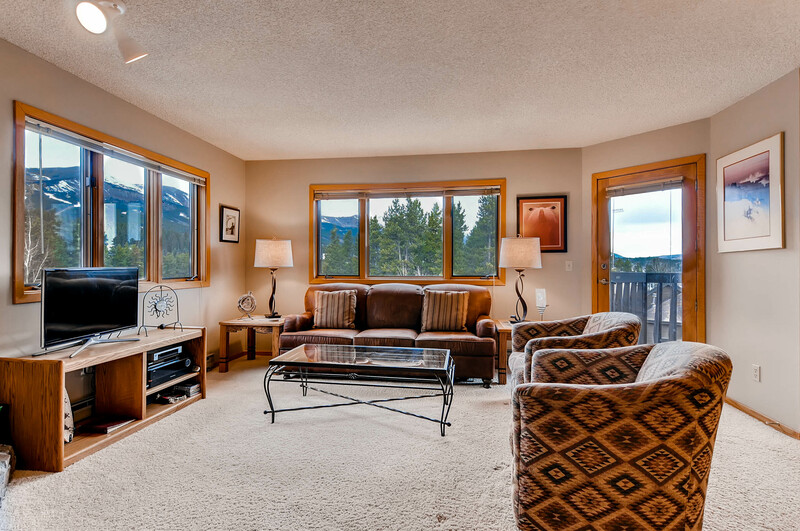 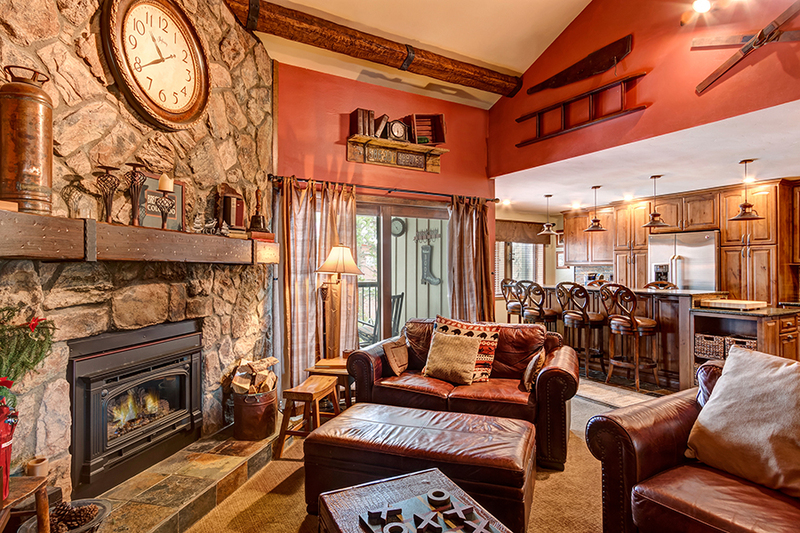 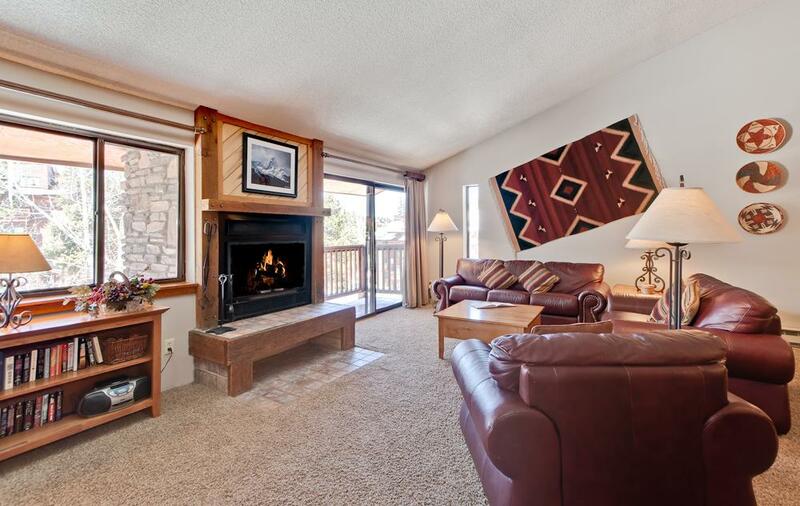 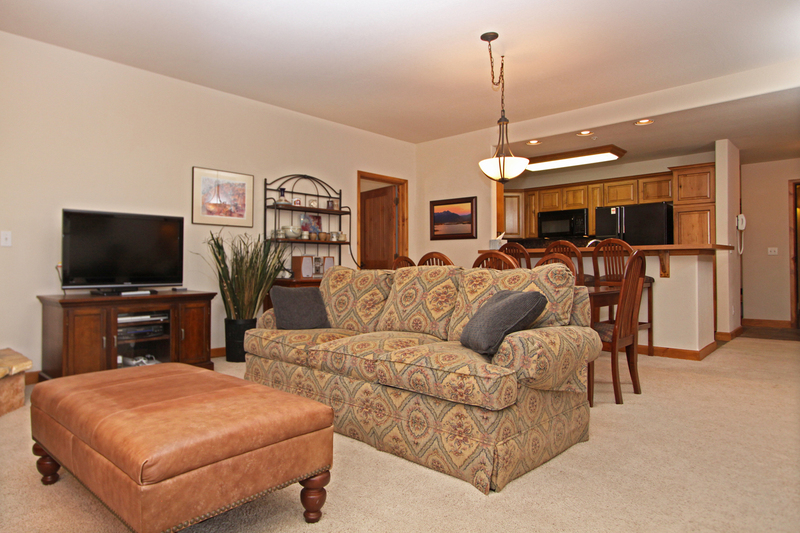 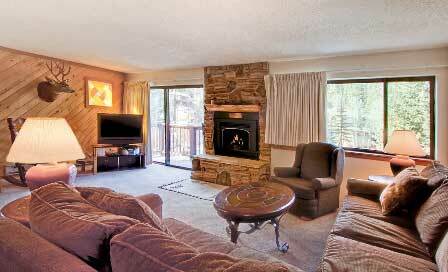 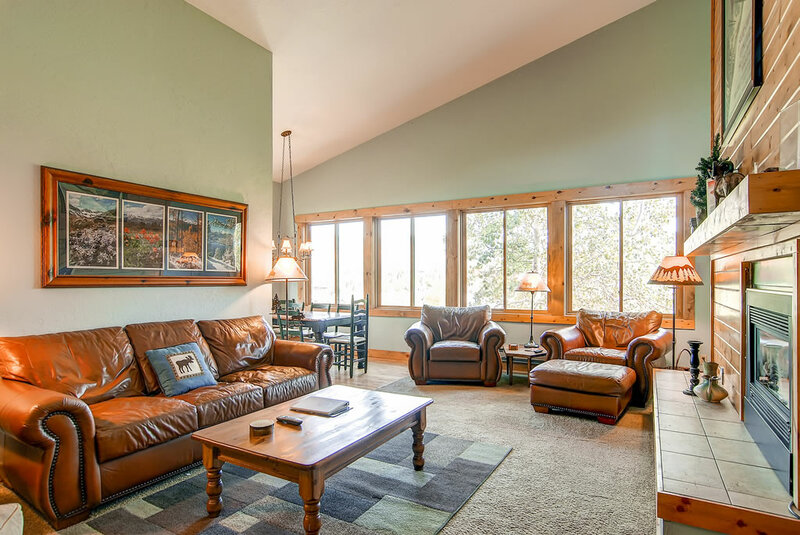 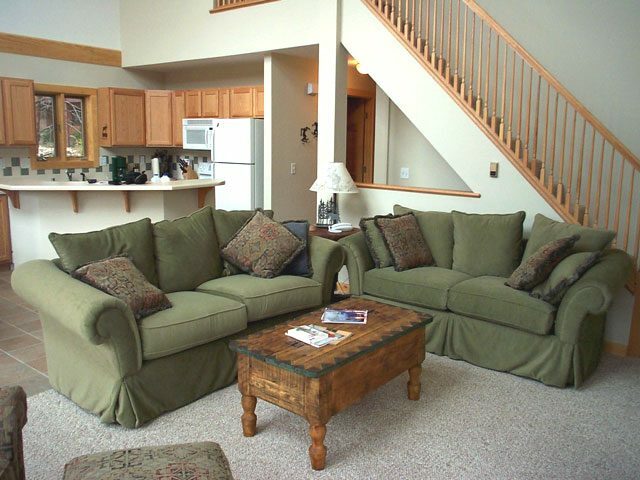 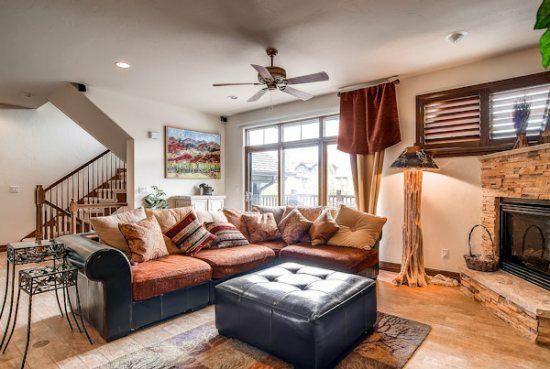 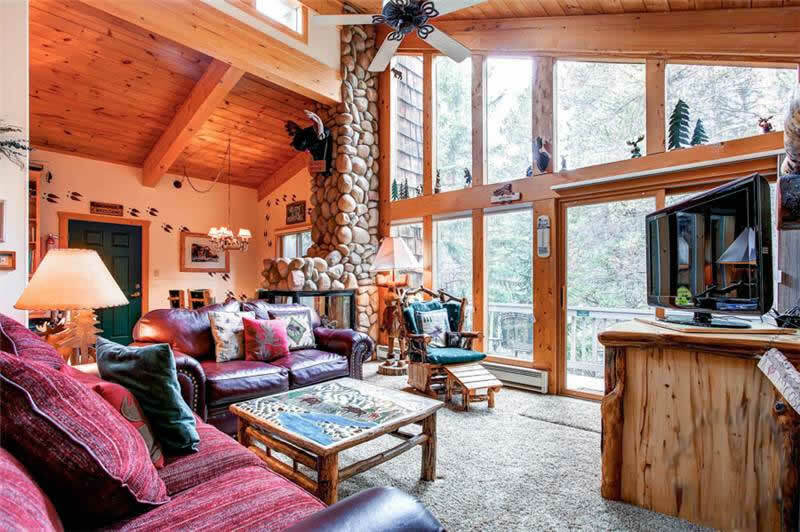 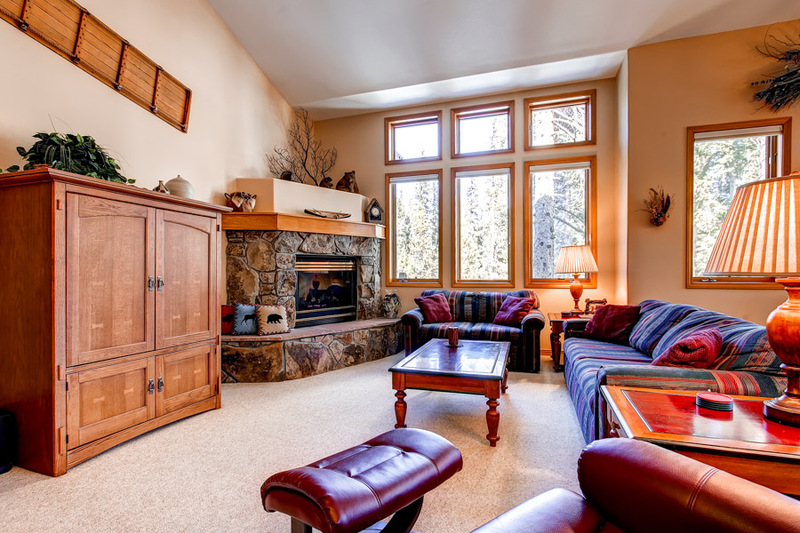 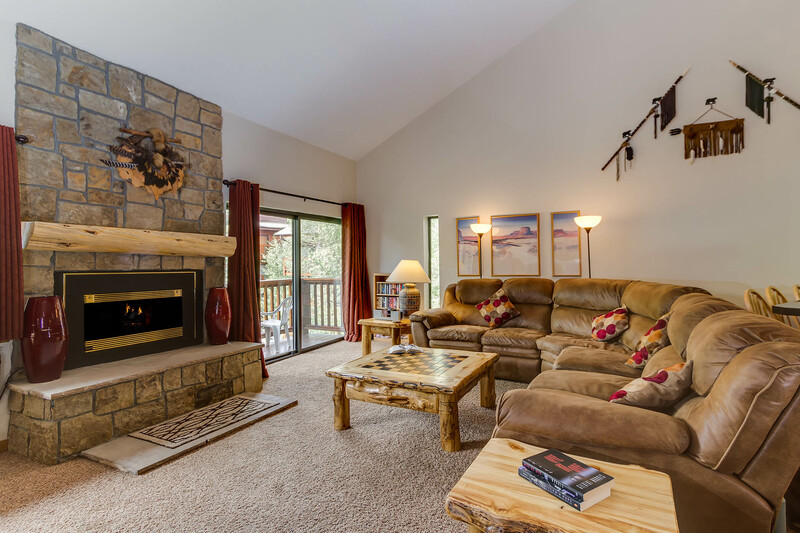 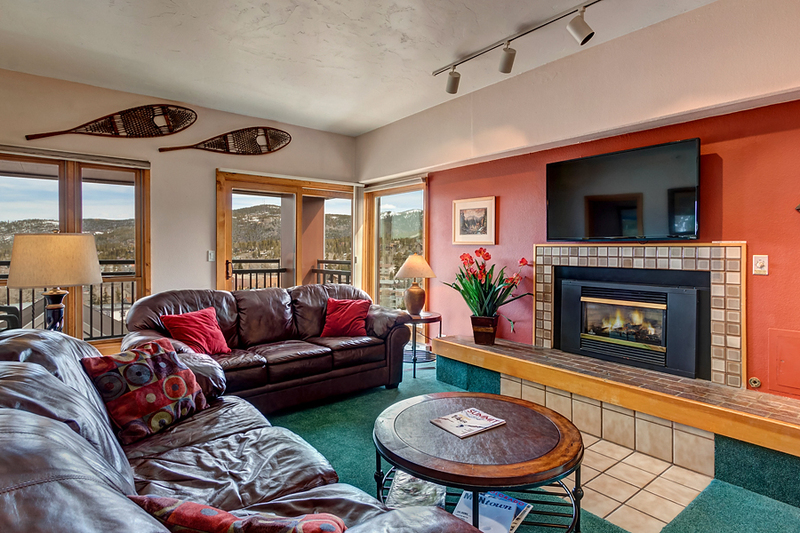 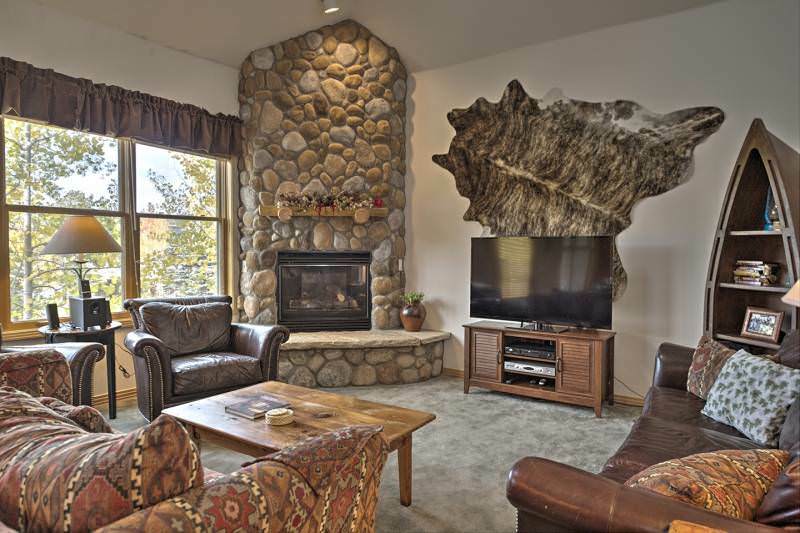 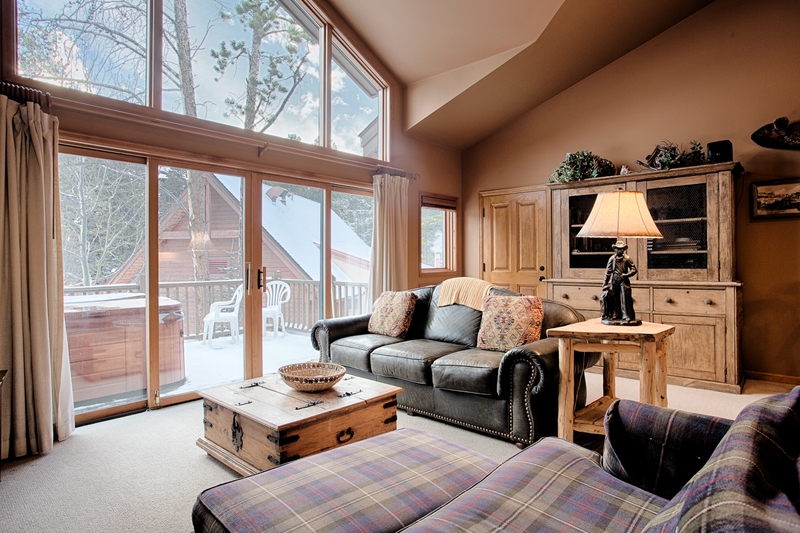 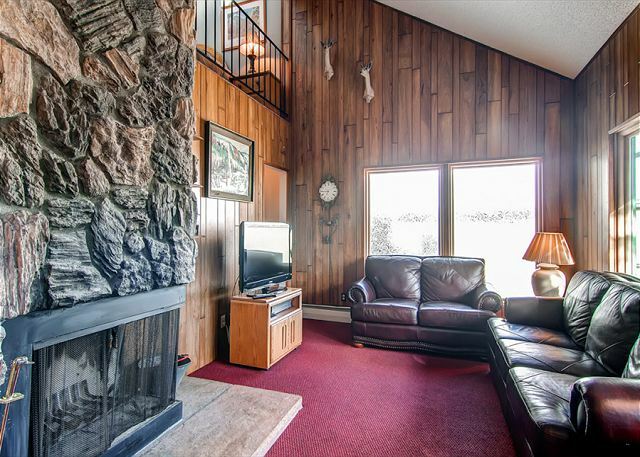 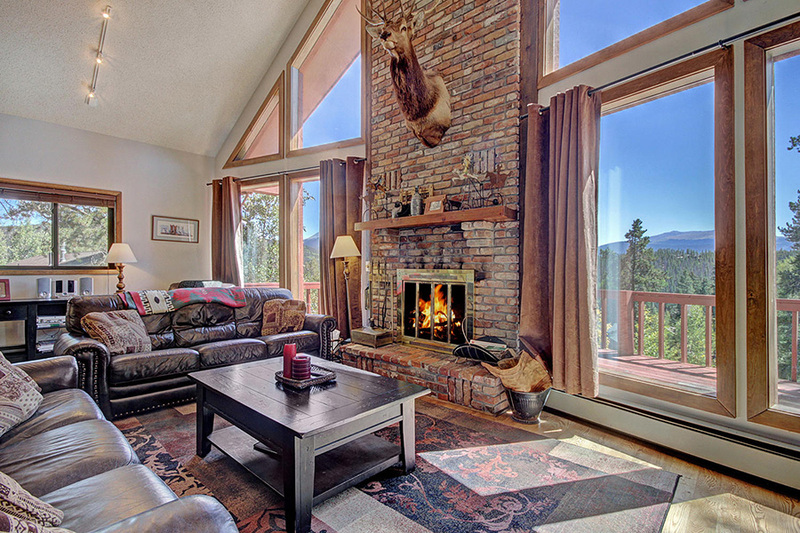 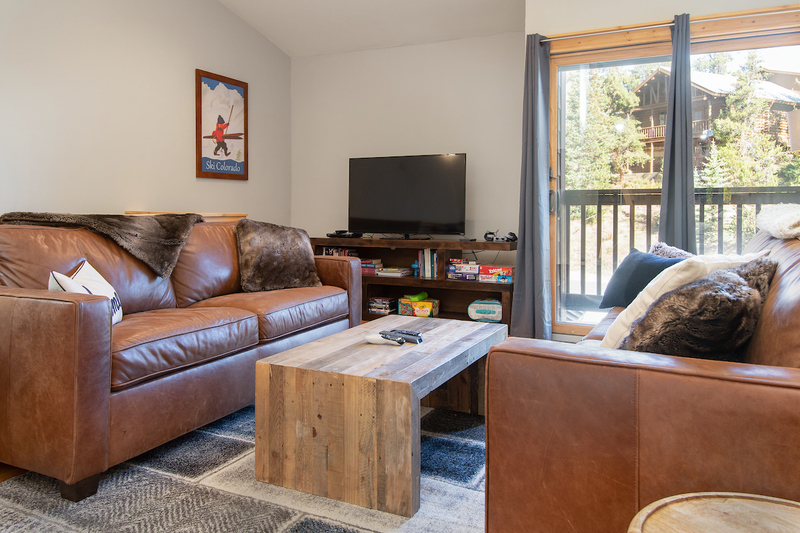 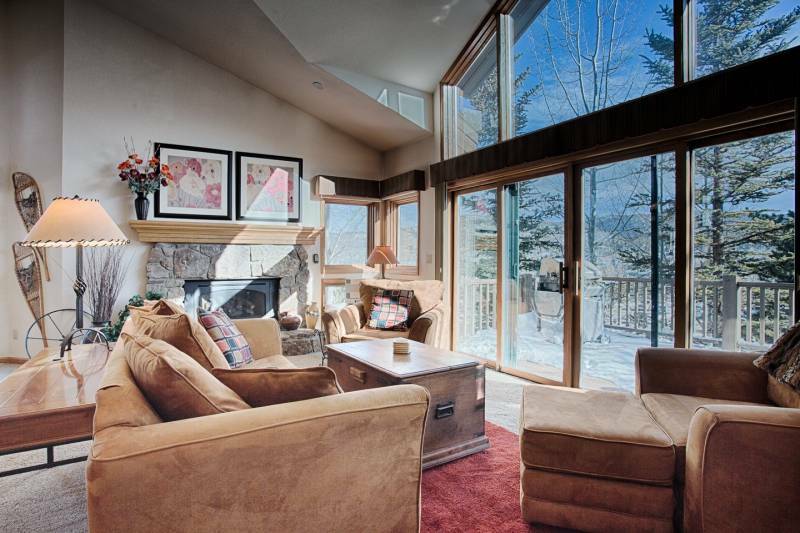 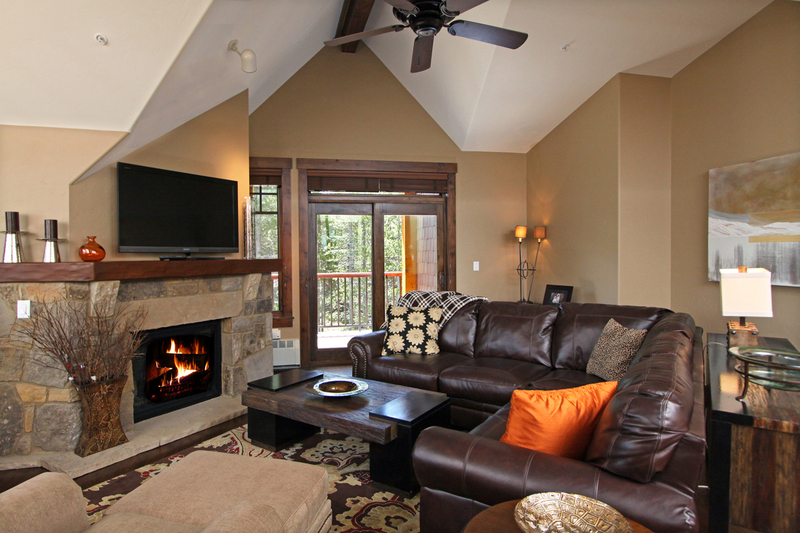 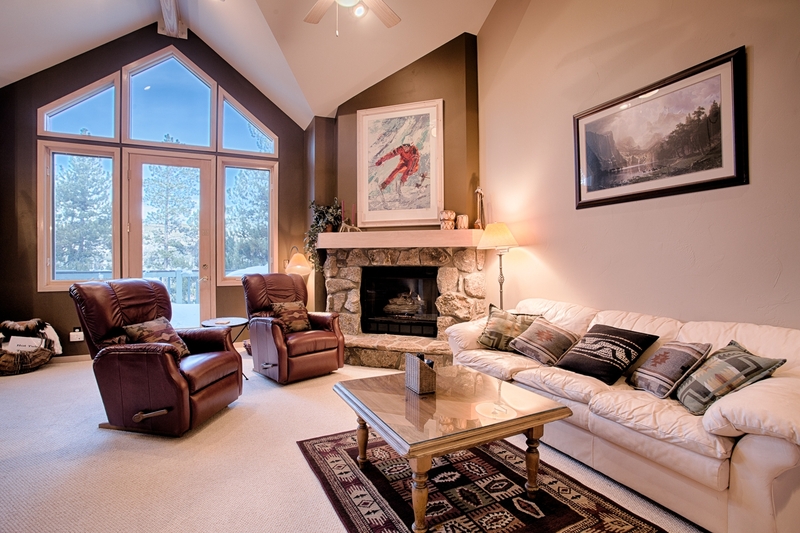 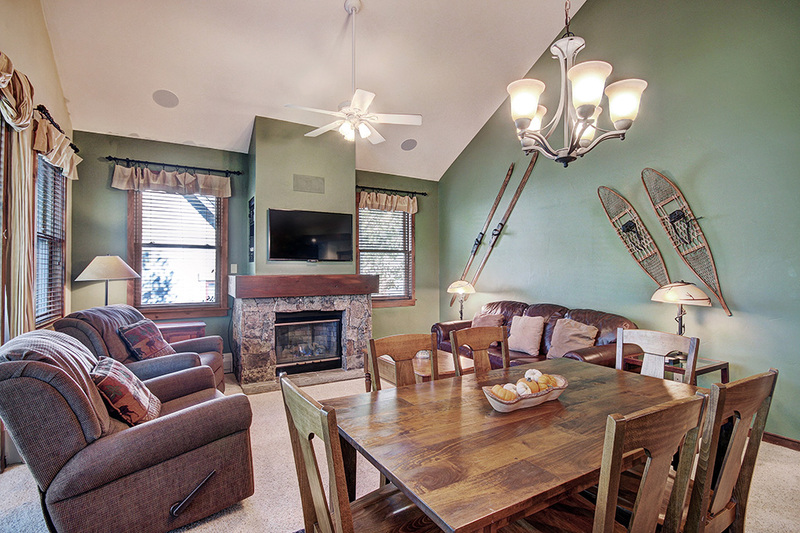 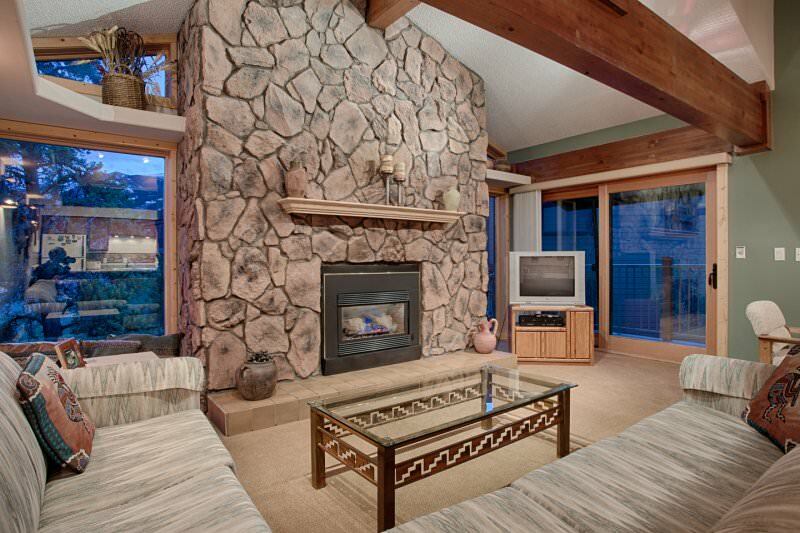 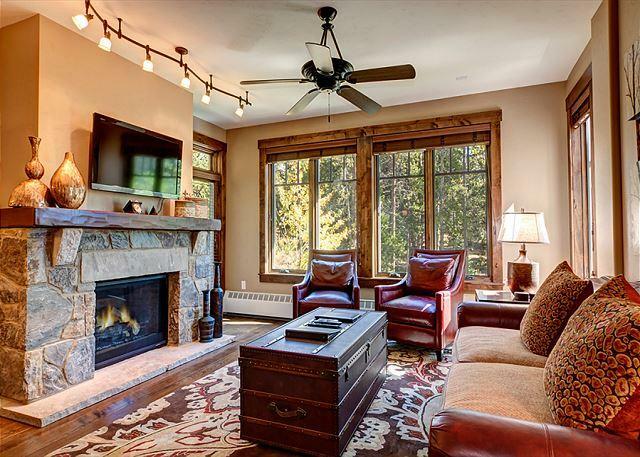 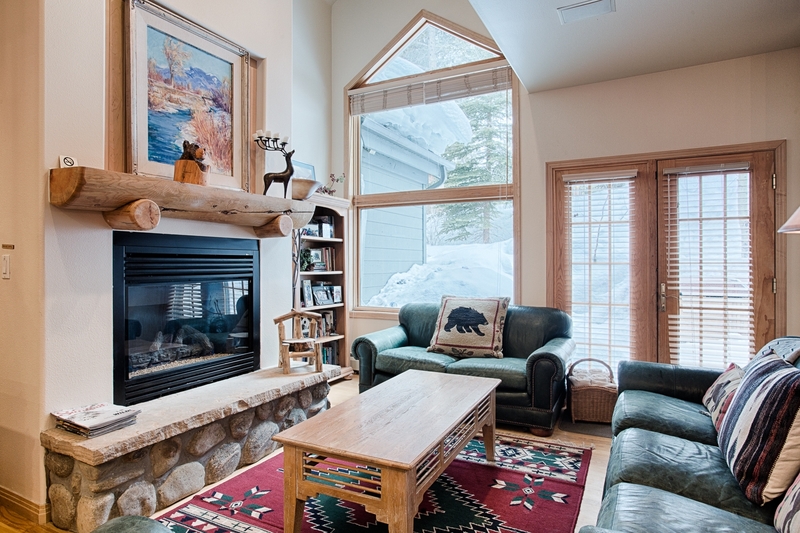 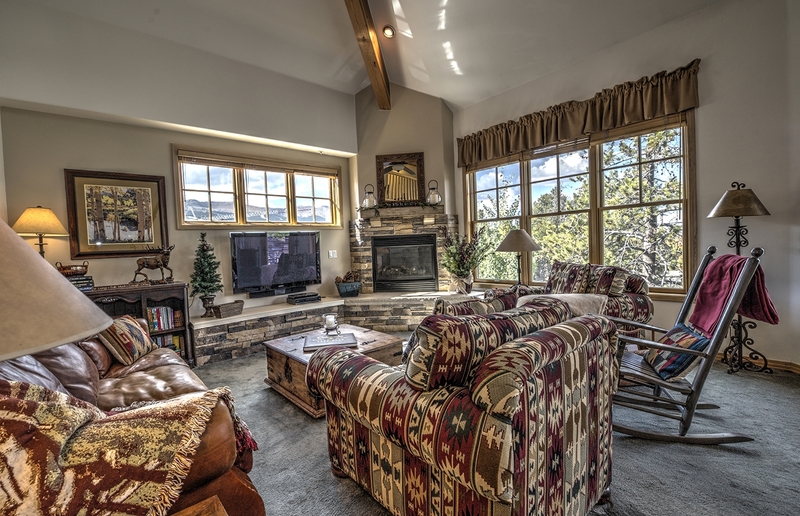 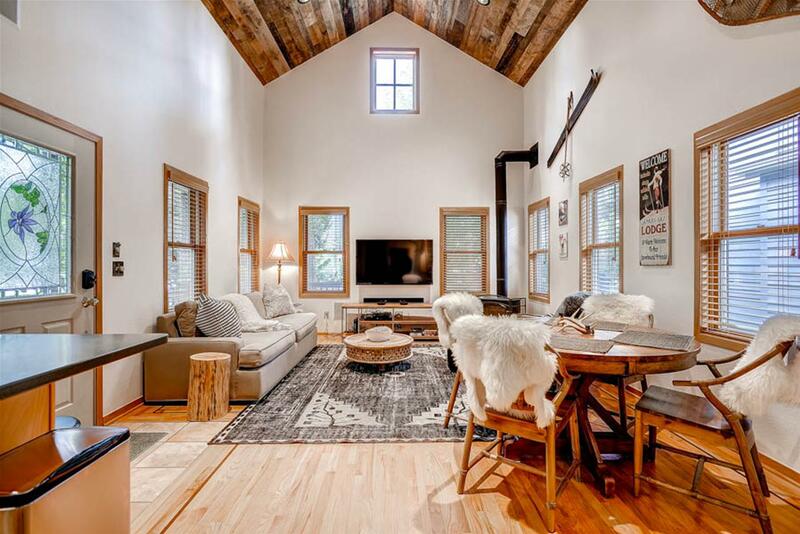 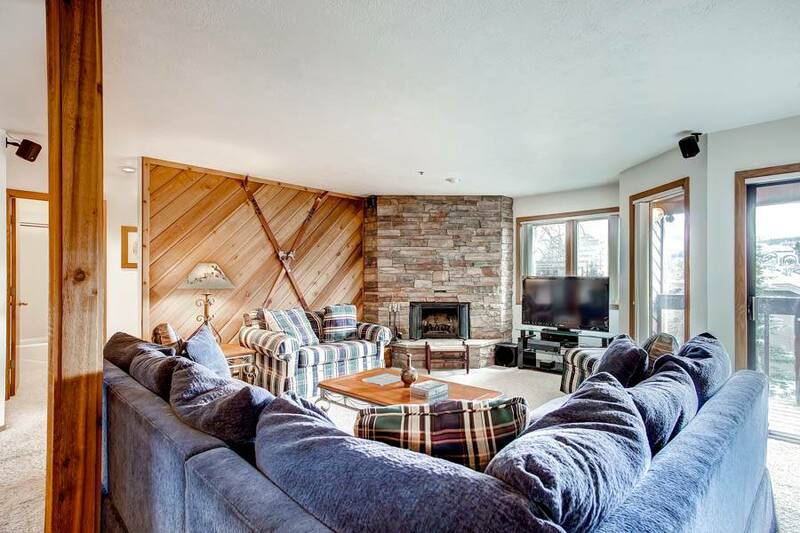 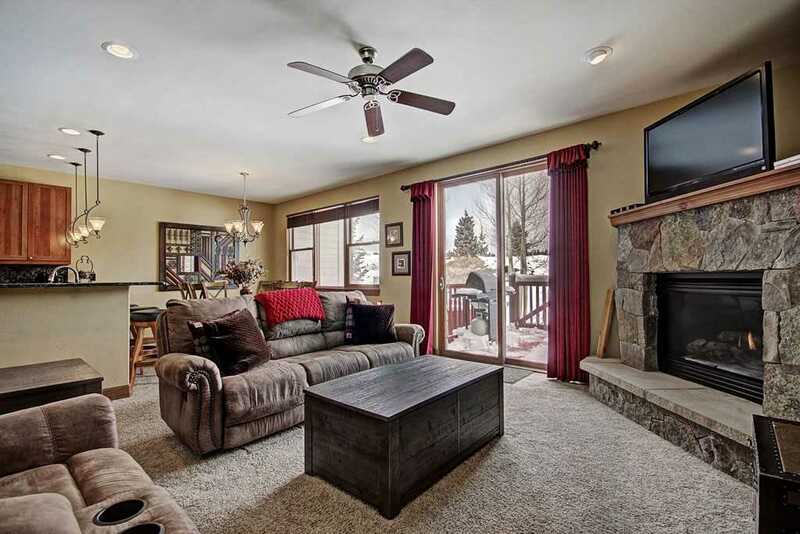 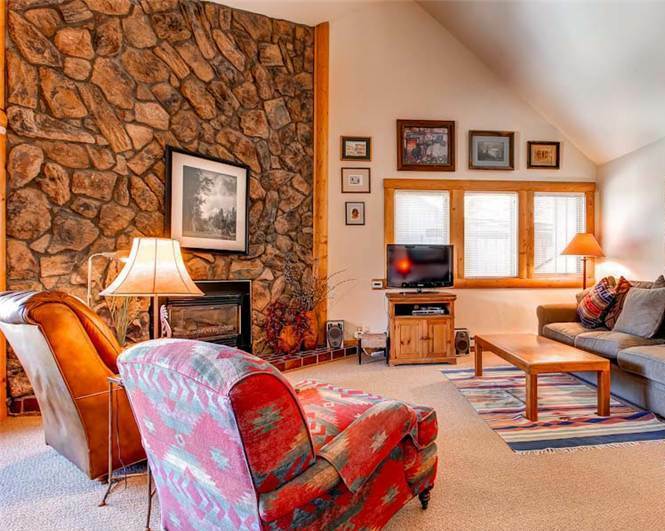 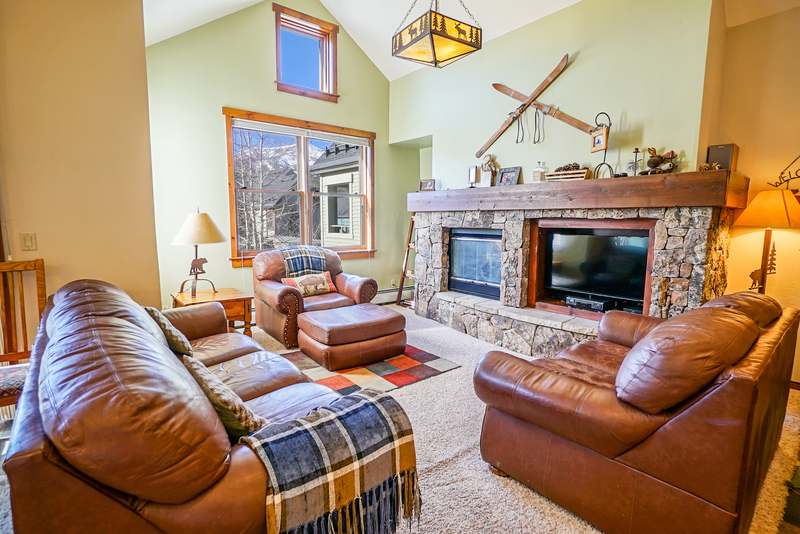 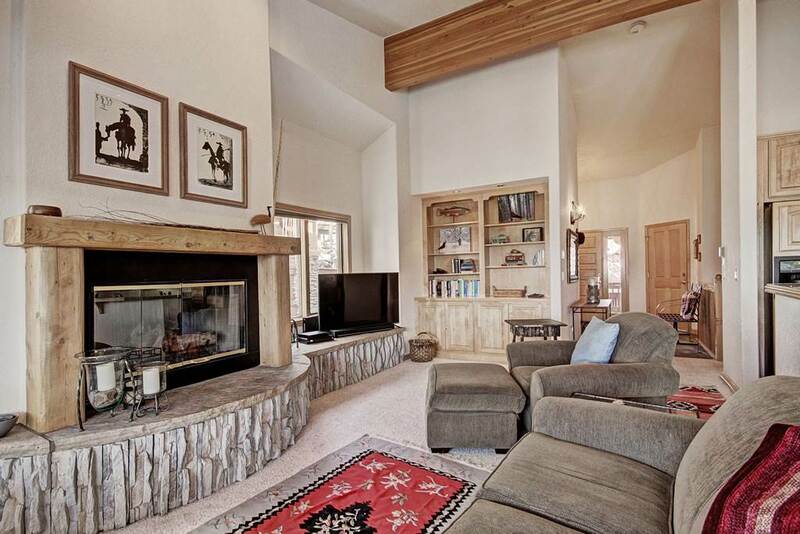 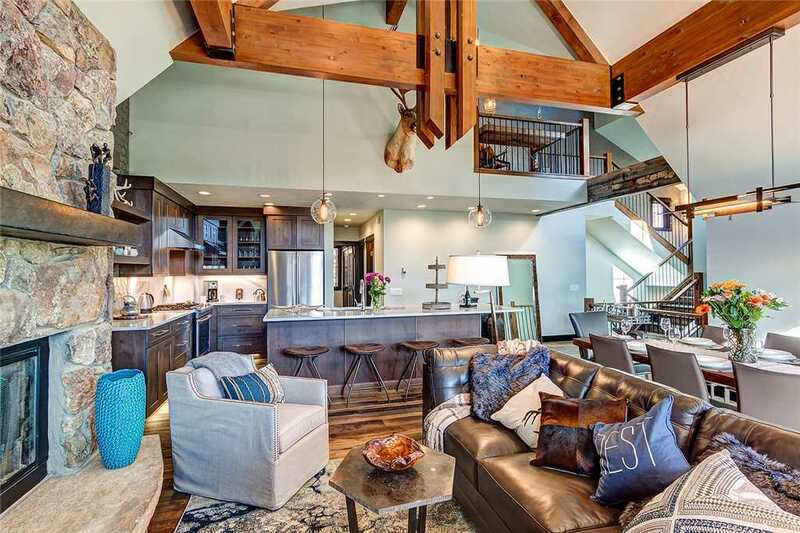 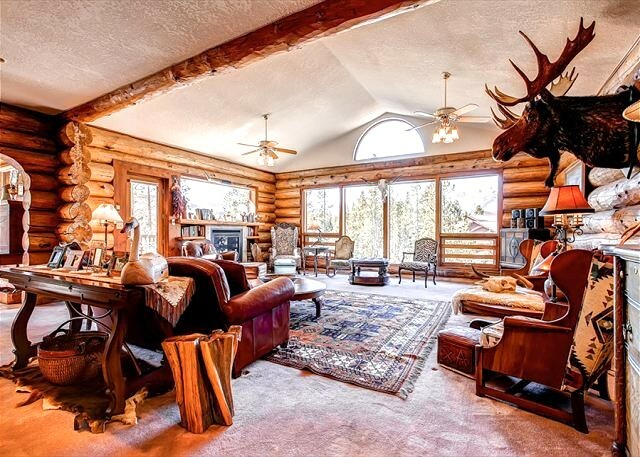 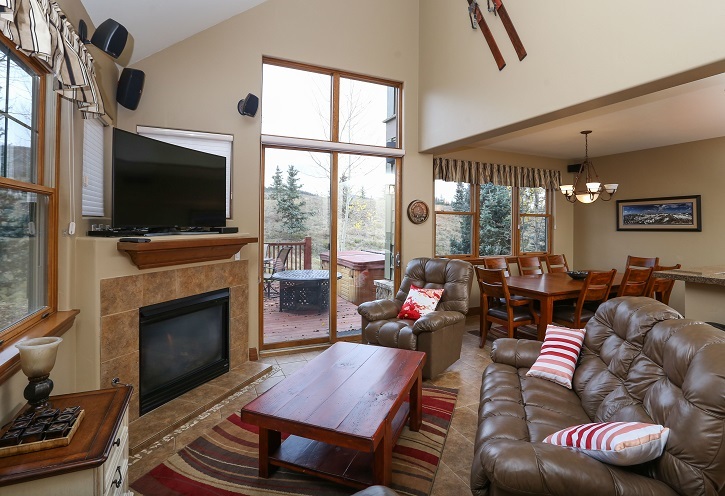 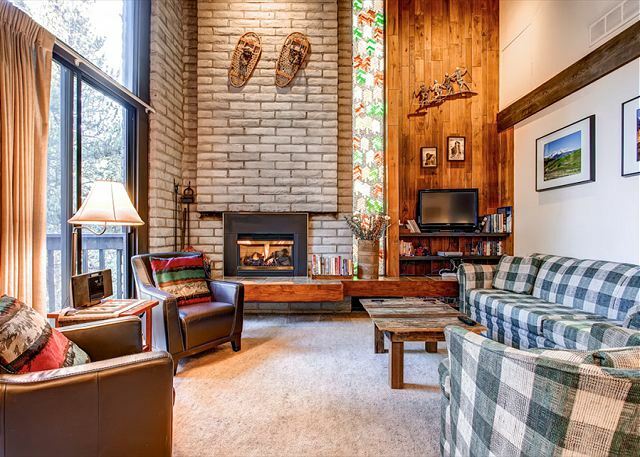 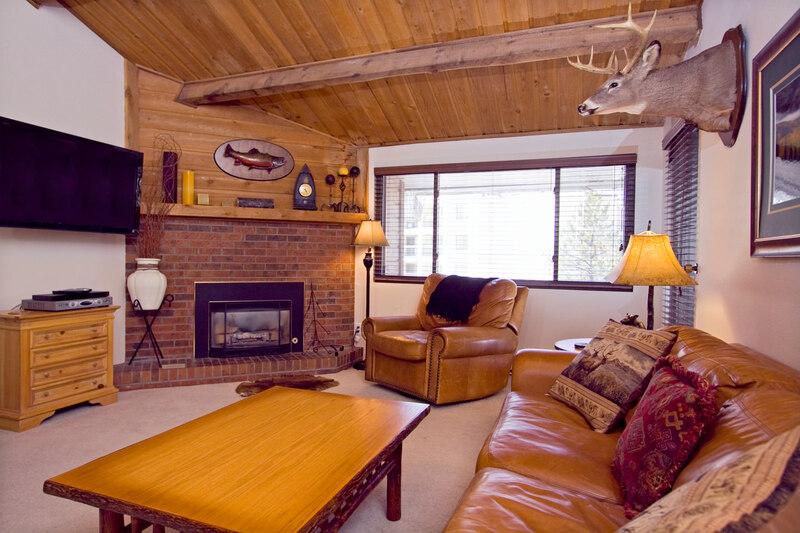 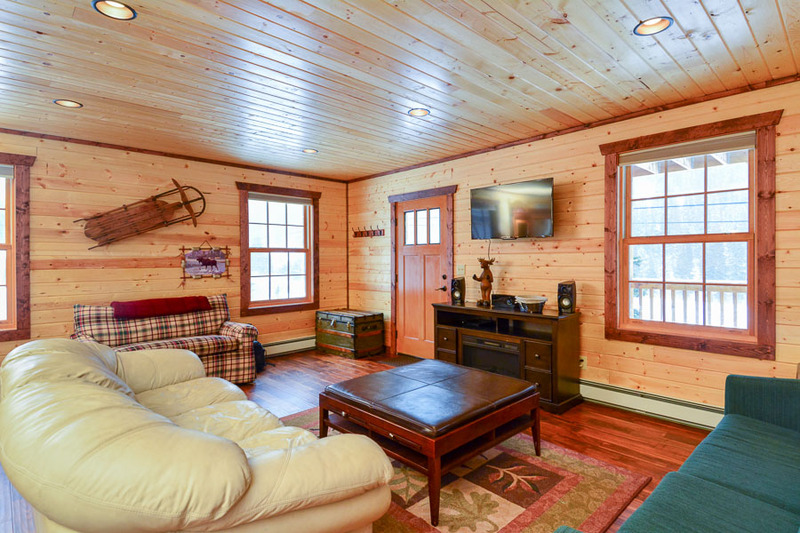 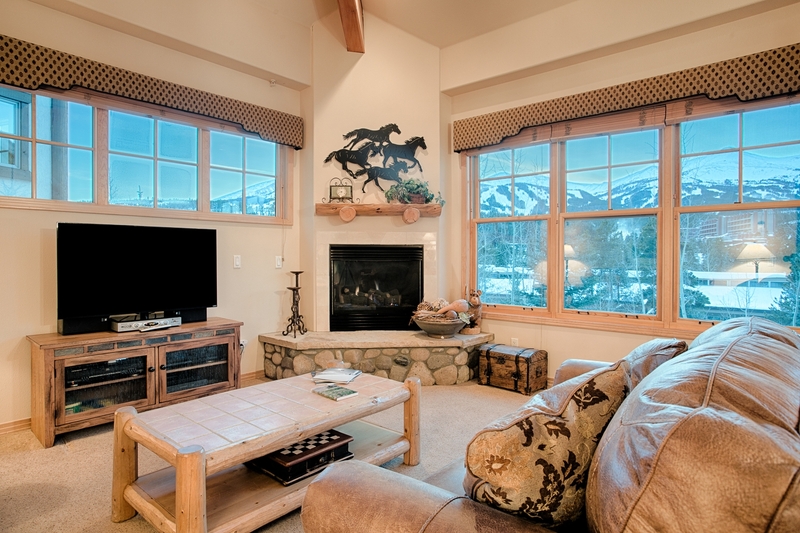 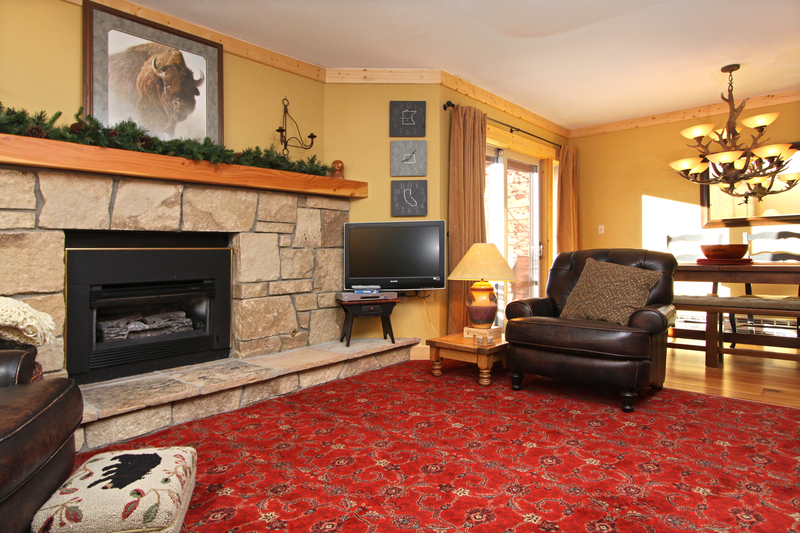 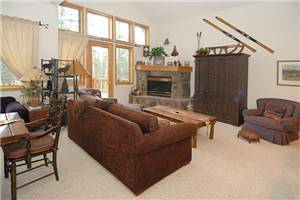 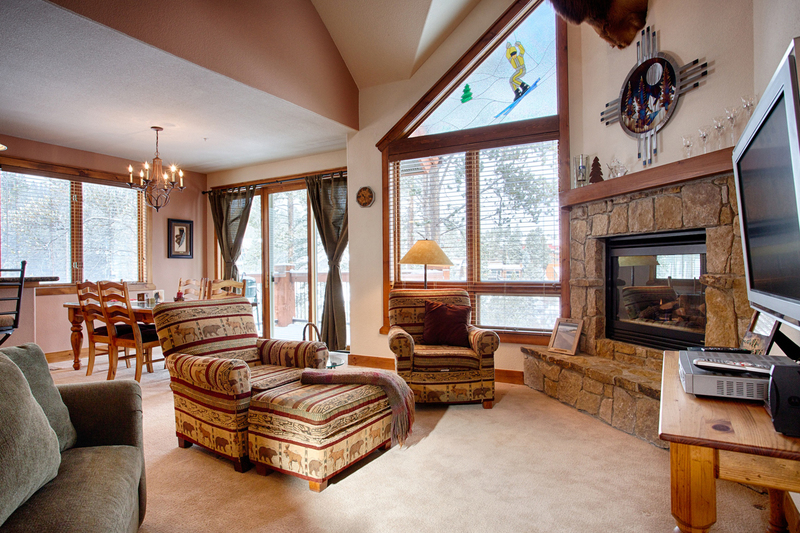 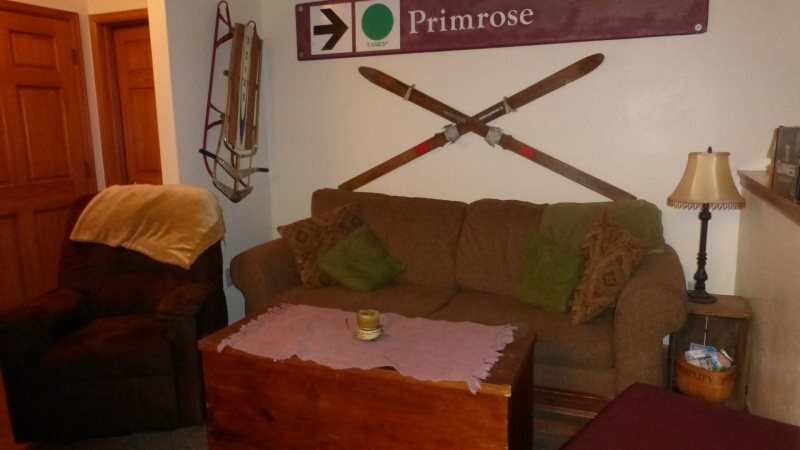 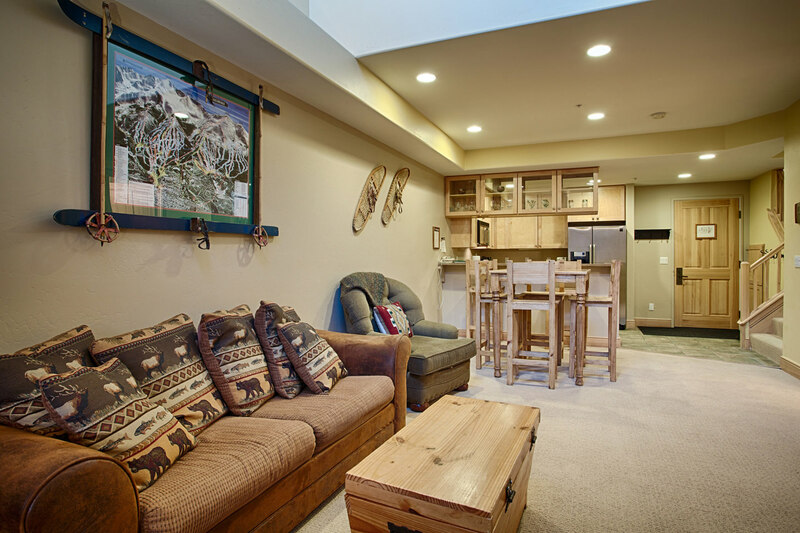 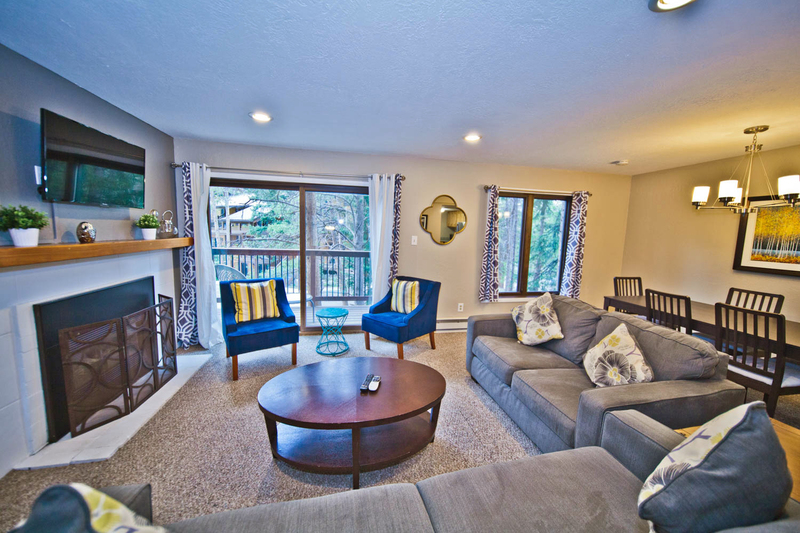 A large sectional couch offers plenty of space for lounging after a long day on the slopes. 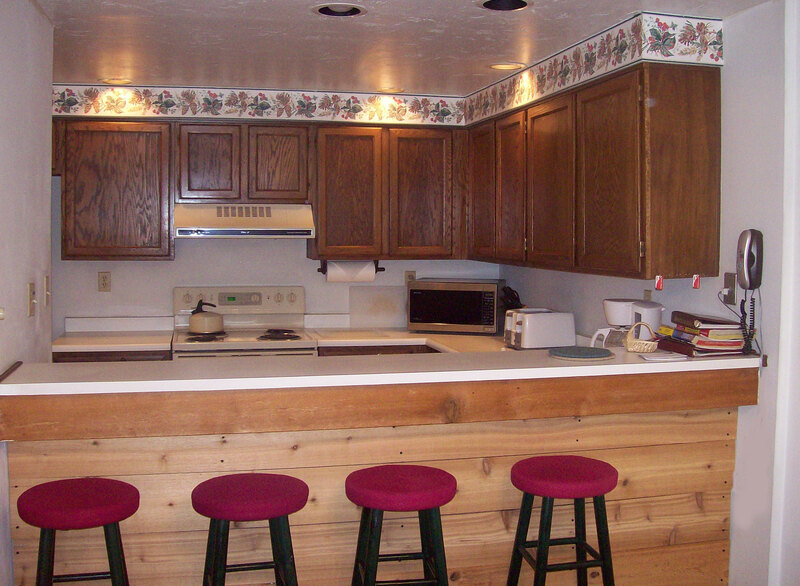 The dining table seats 8 in addition to bar stool seating at the kitchen counter. 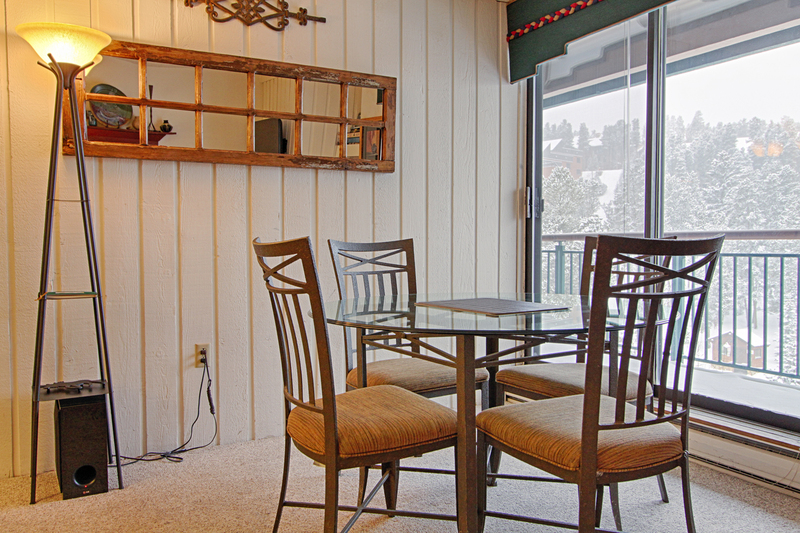 The deck off the kitchen has a gas grill for perfecting your grill skills. 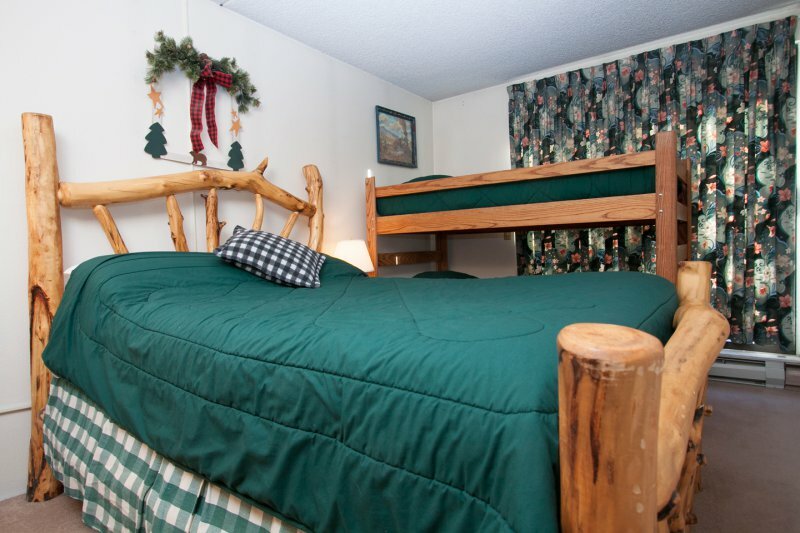 All bedrooms are on the second floor. 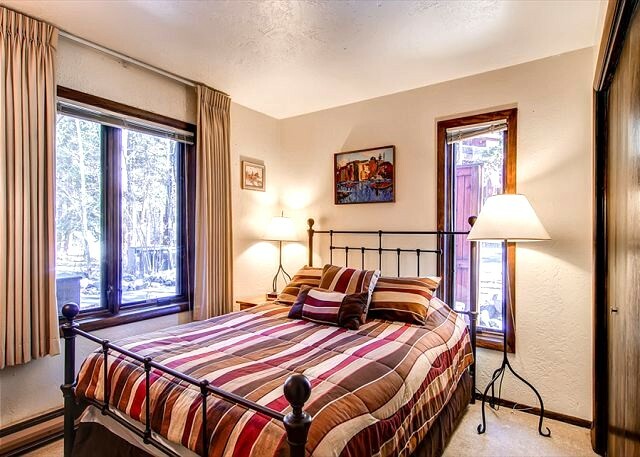 The master bedroom has a king size bed and it’s own private bathroom. 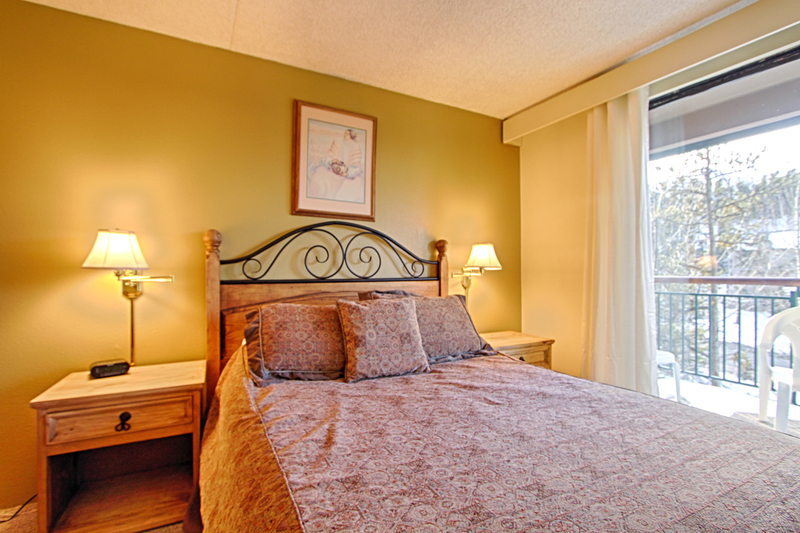 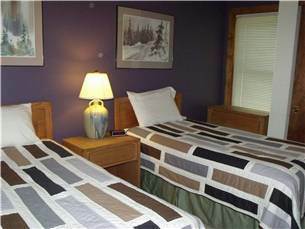 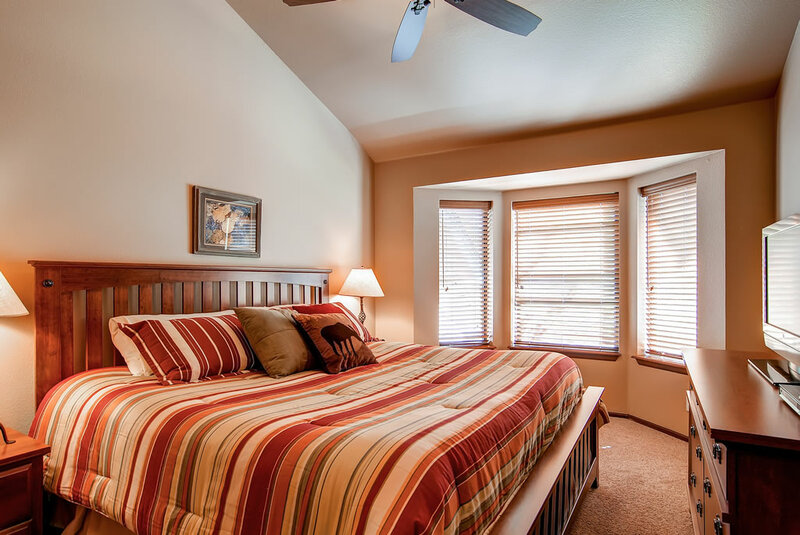 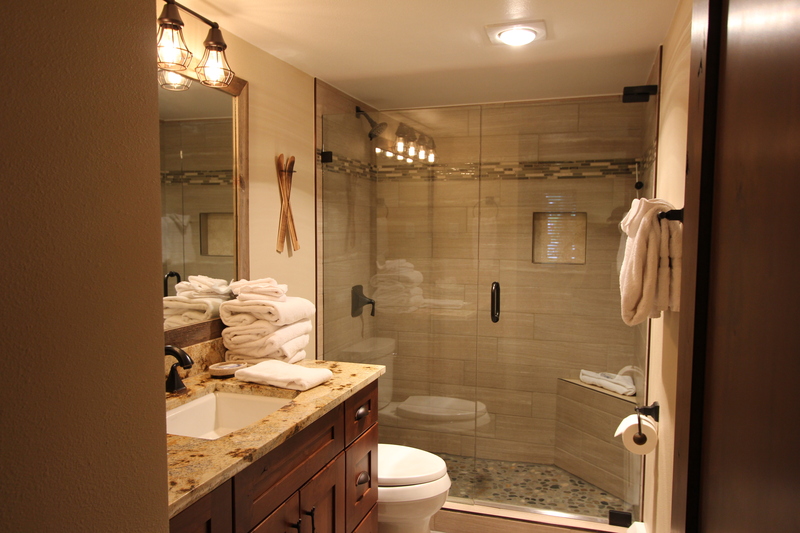 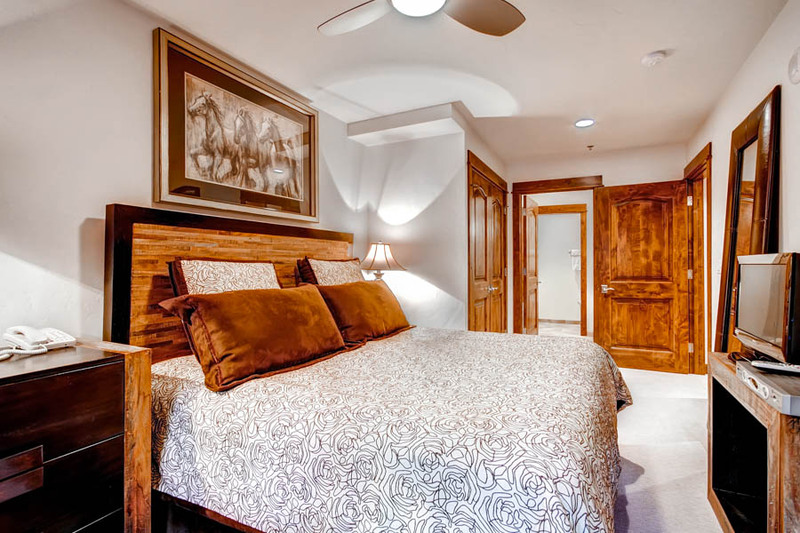 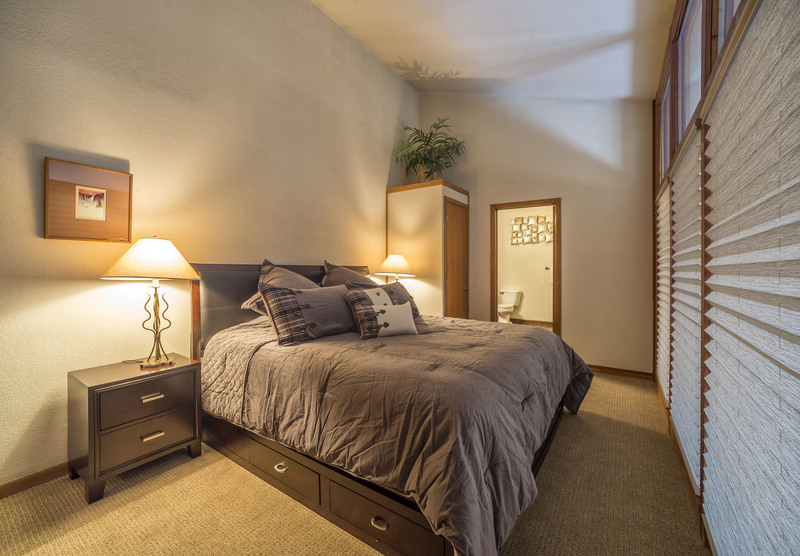 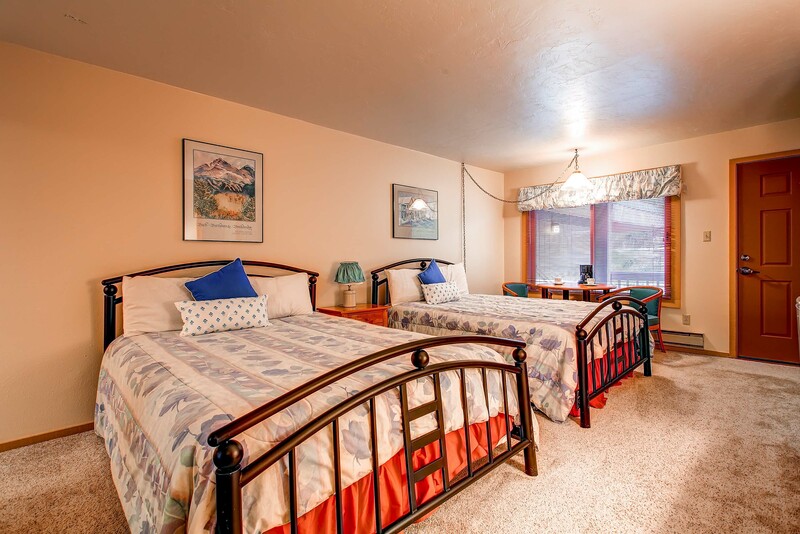 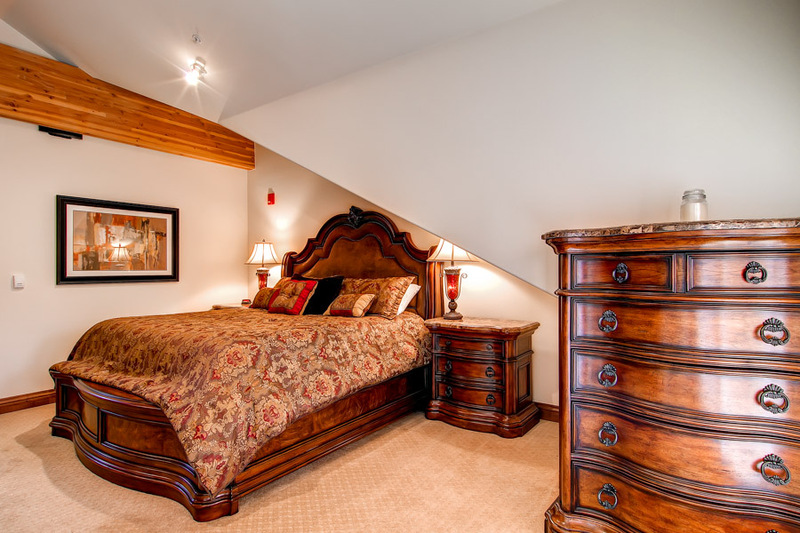 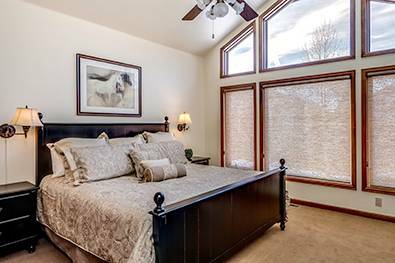 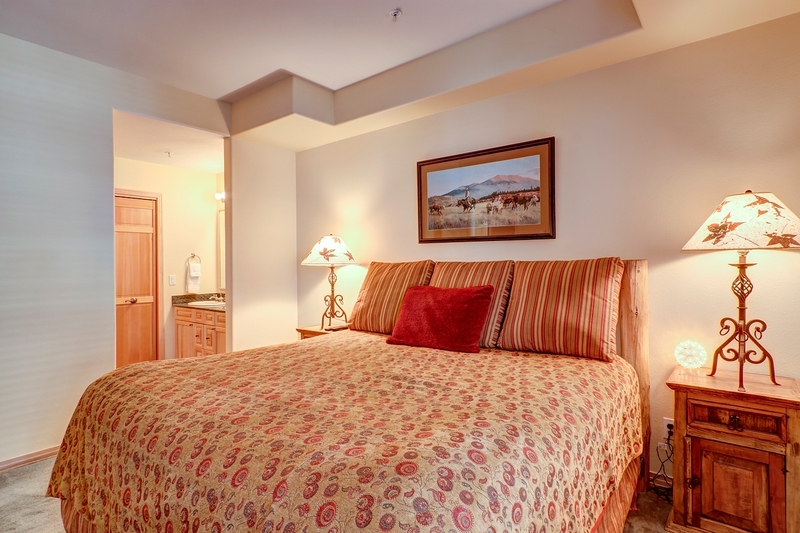 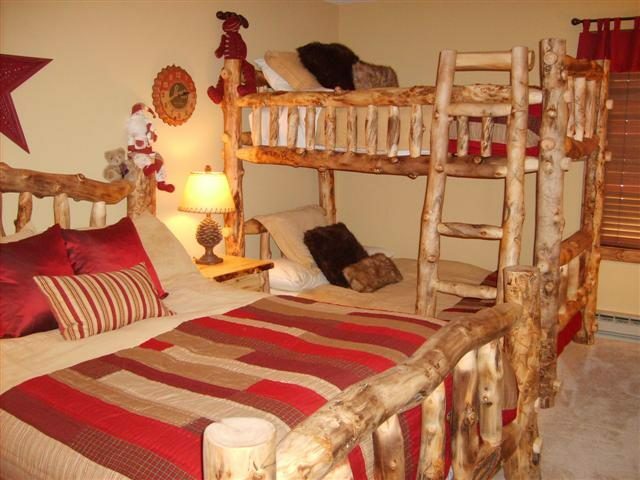 The second and third bedrooms both have queen size beds and share the a common area bathroom. 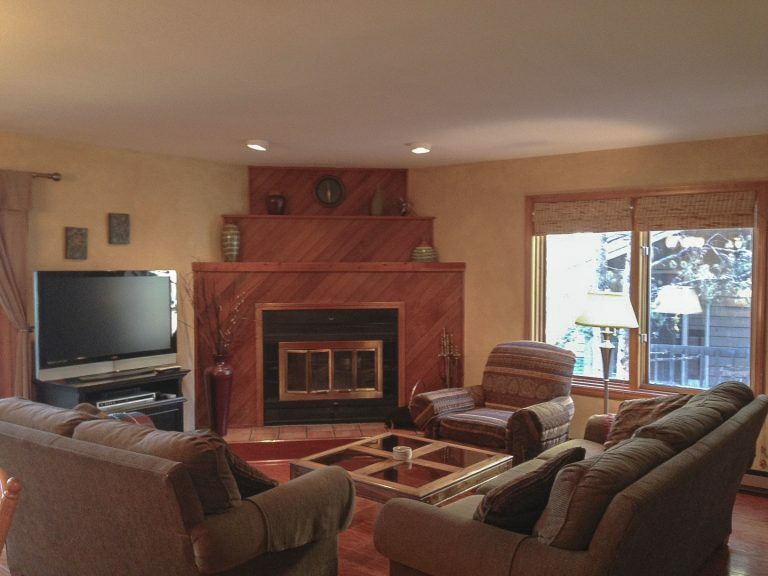 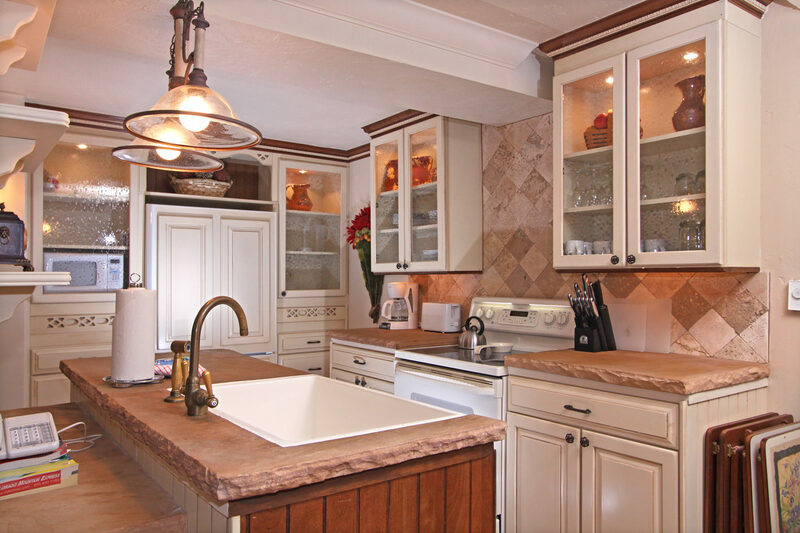 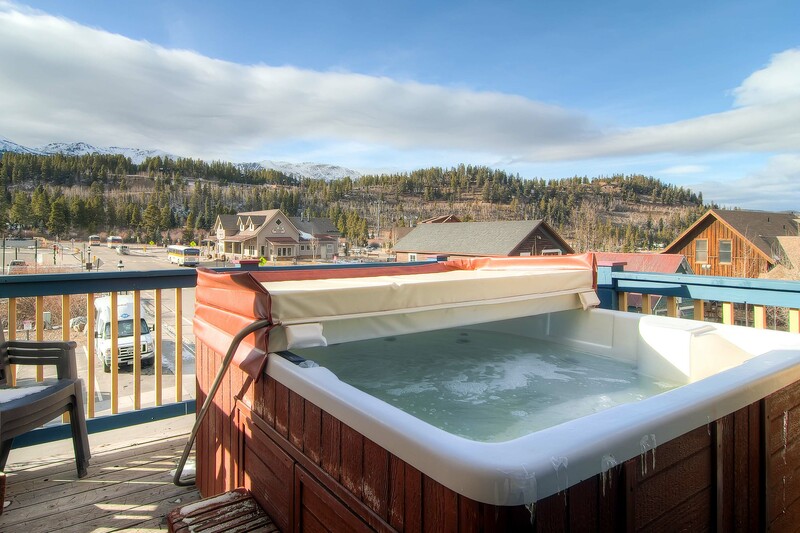 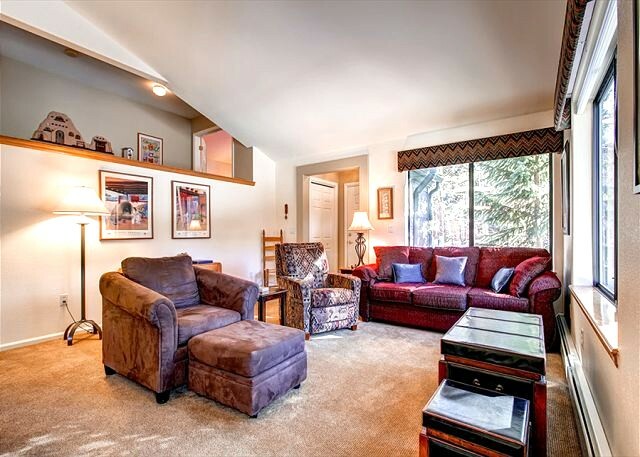 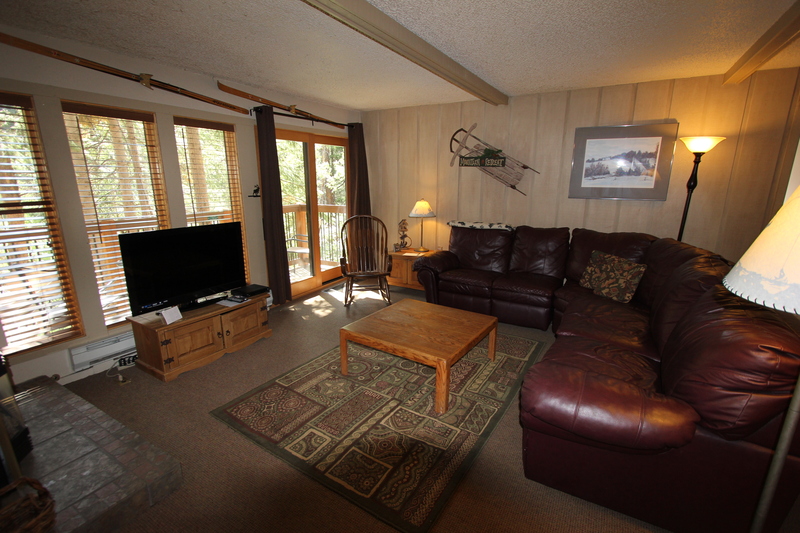 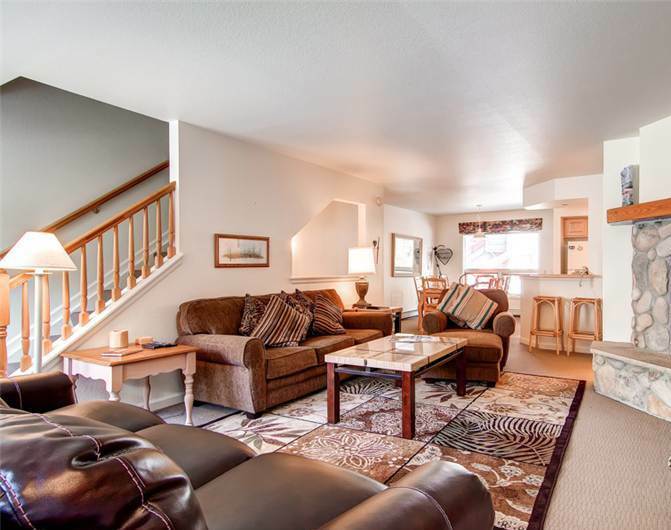 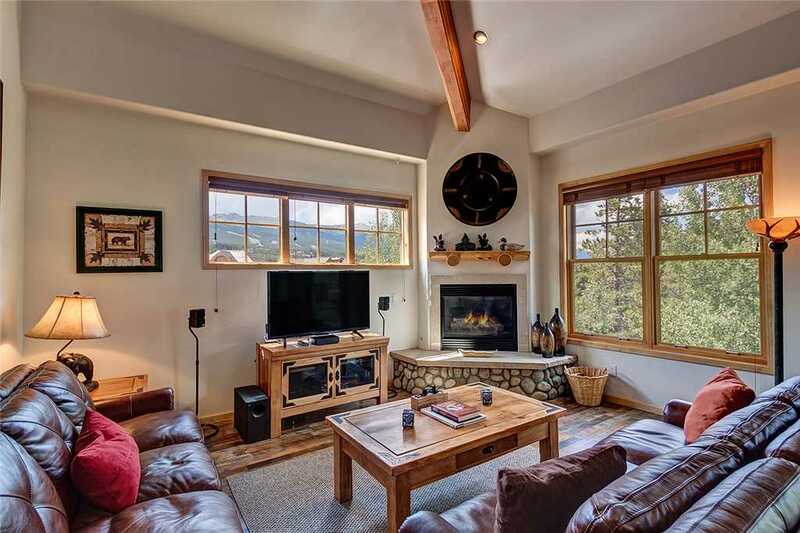 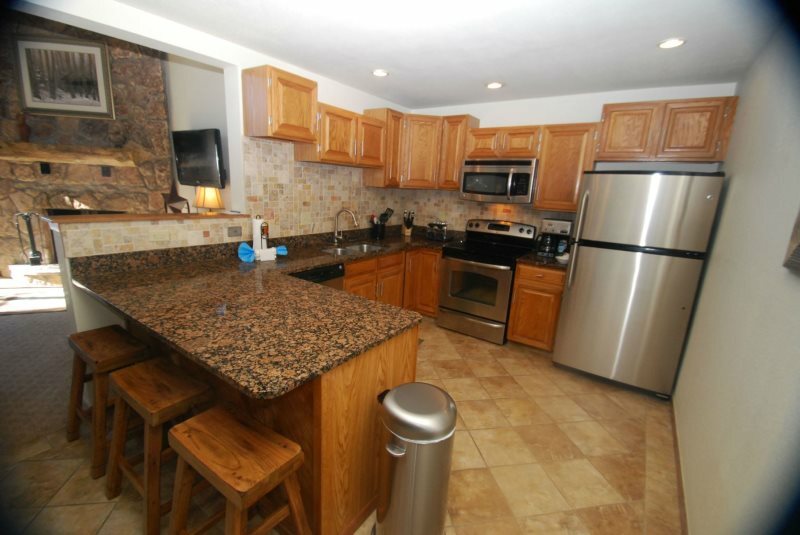 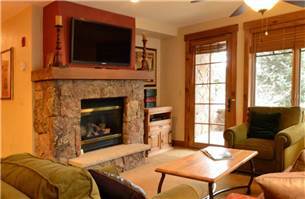 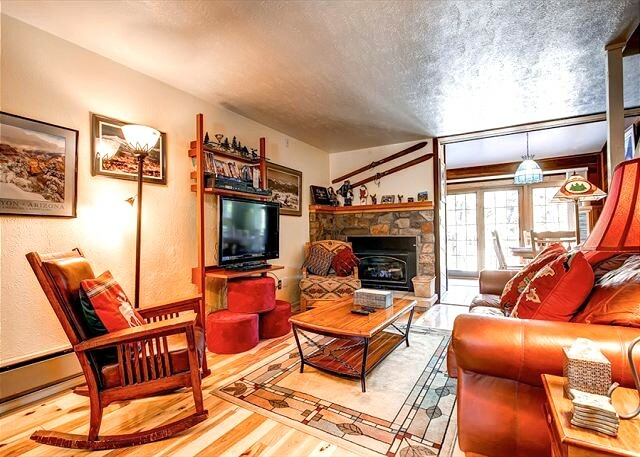 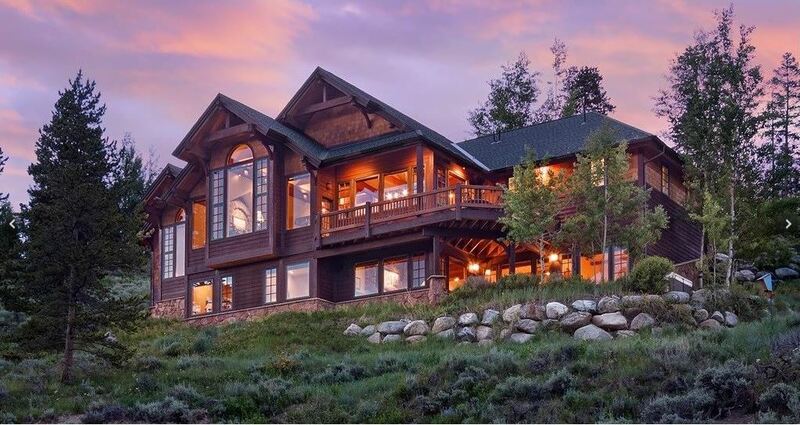 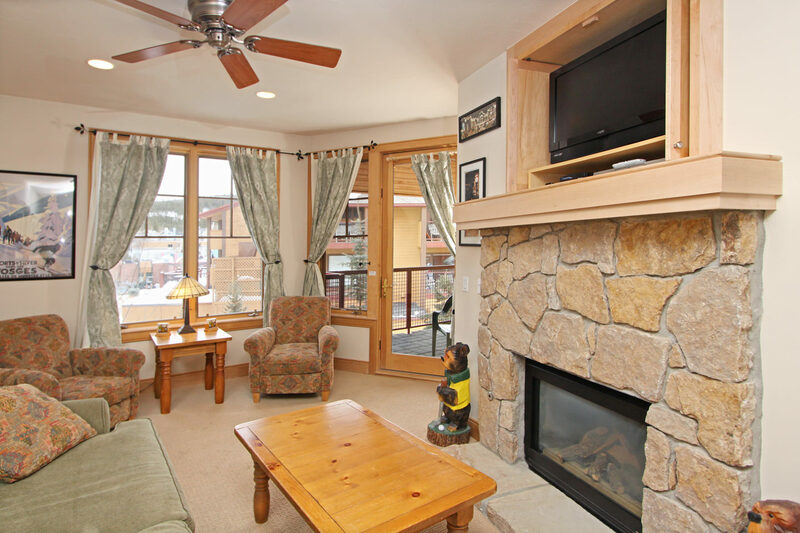 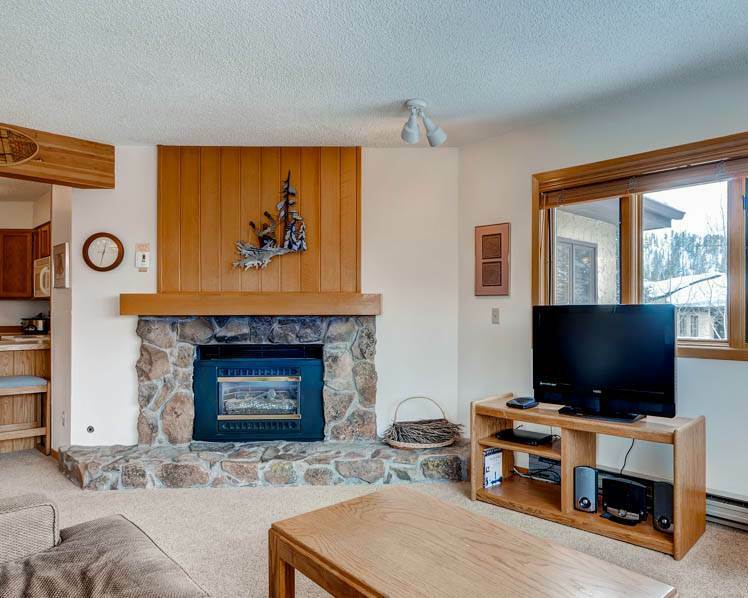 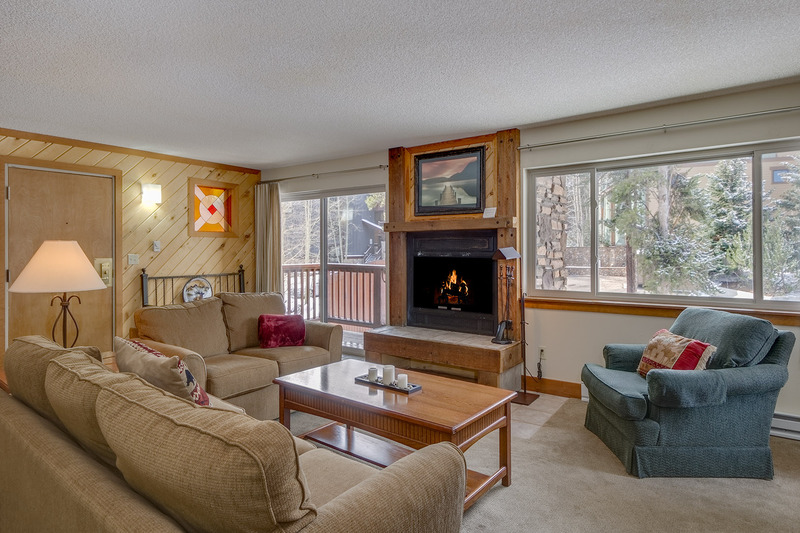 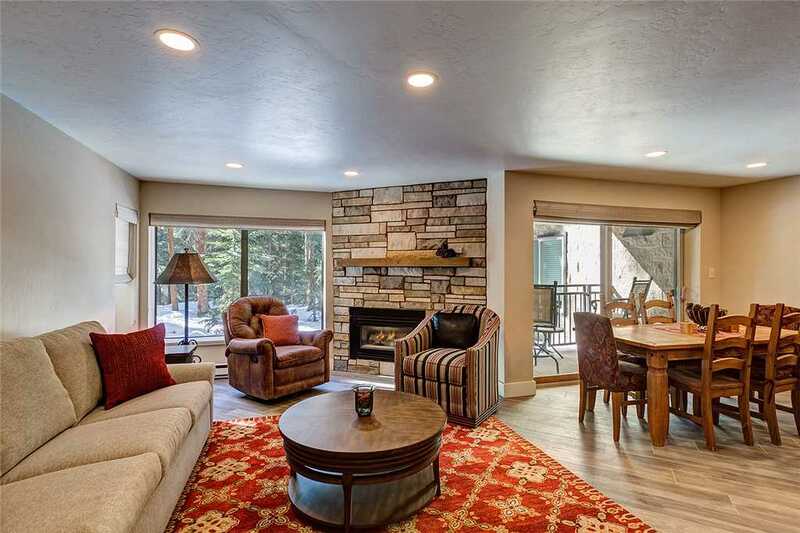 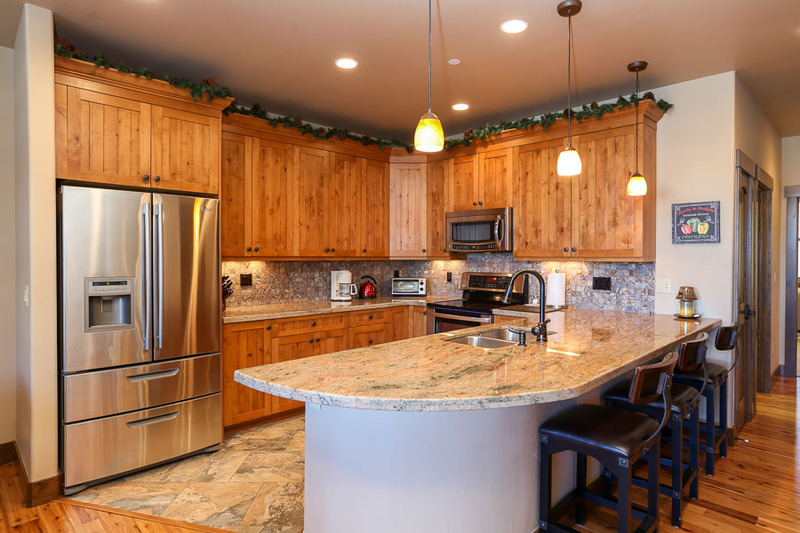 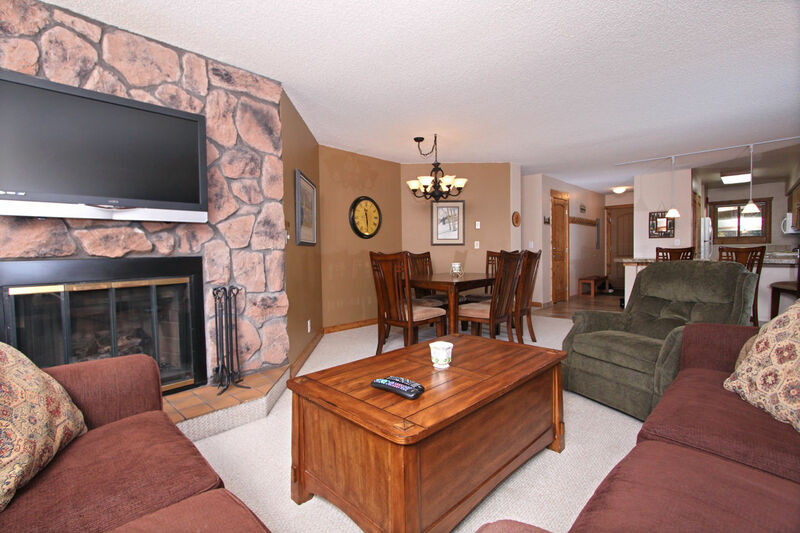 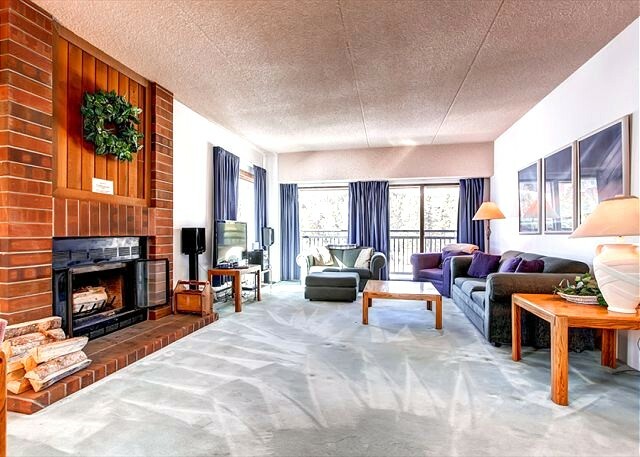 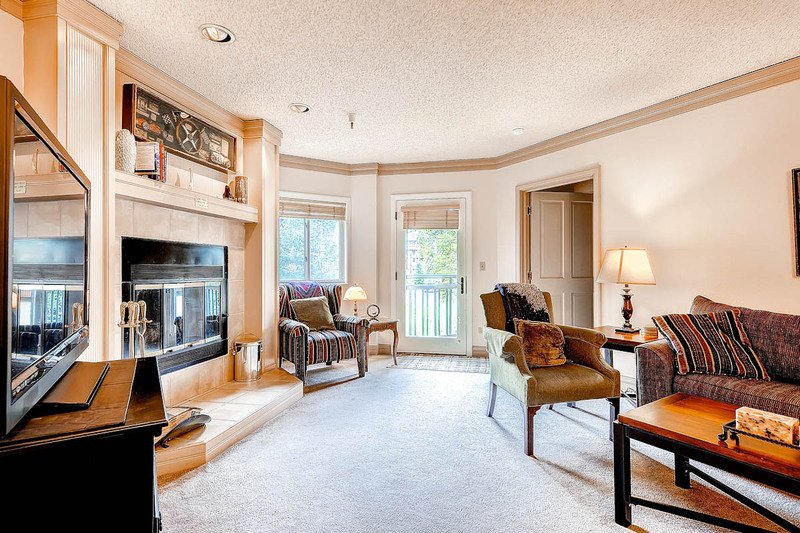 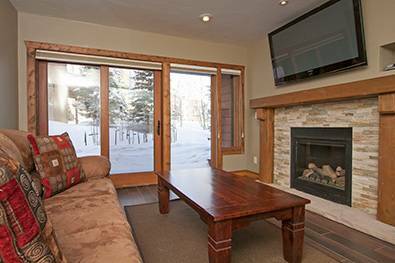 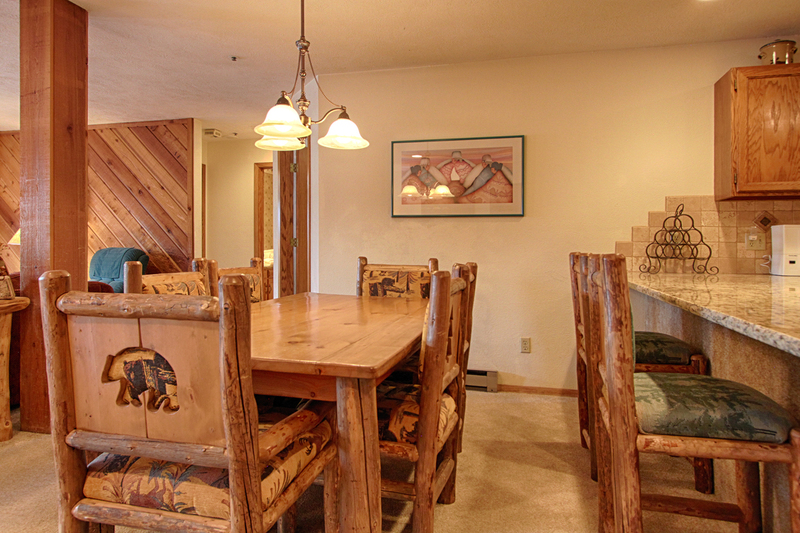 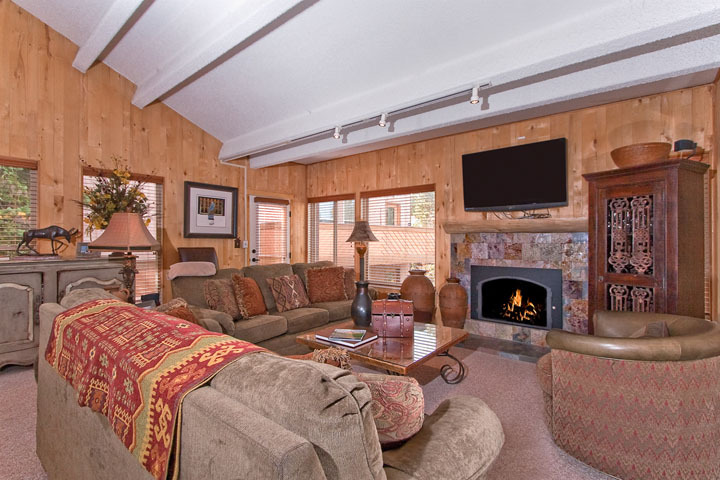 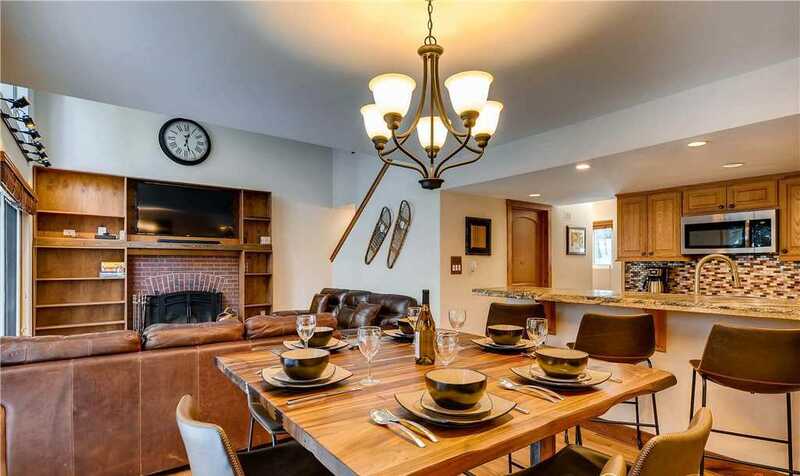 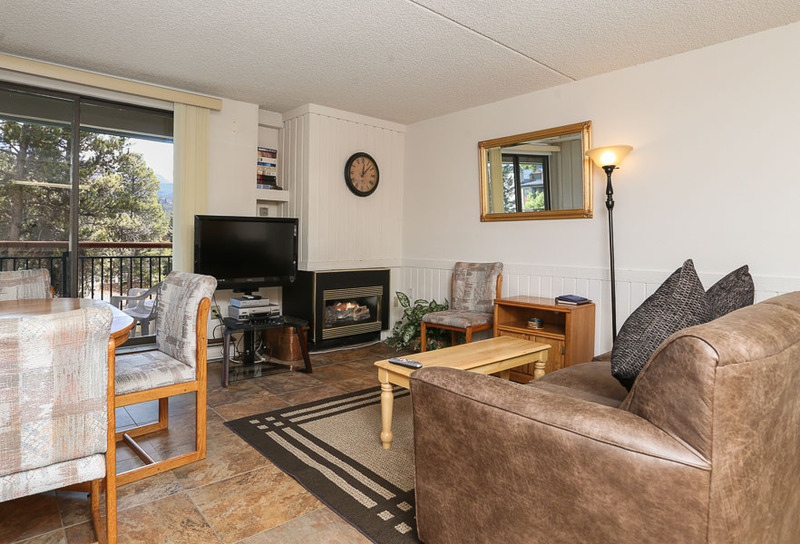 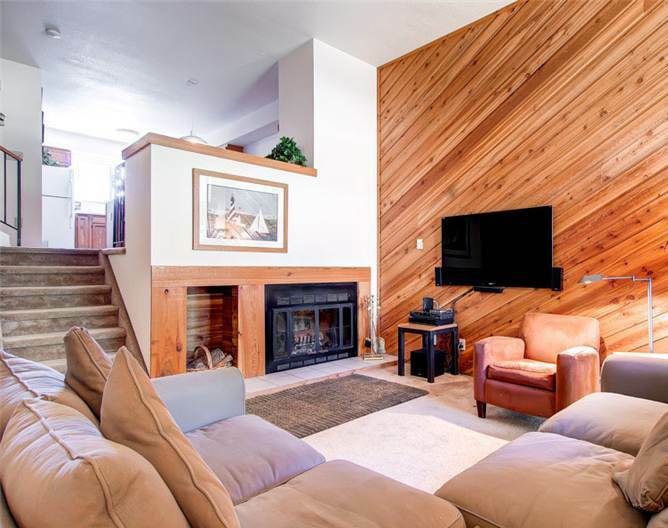 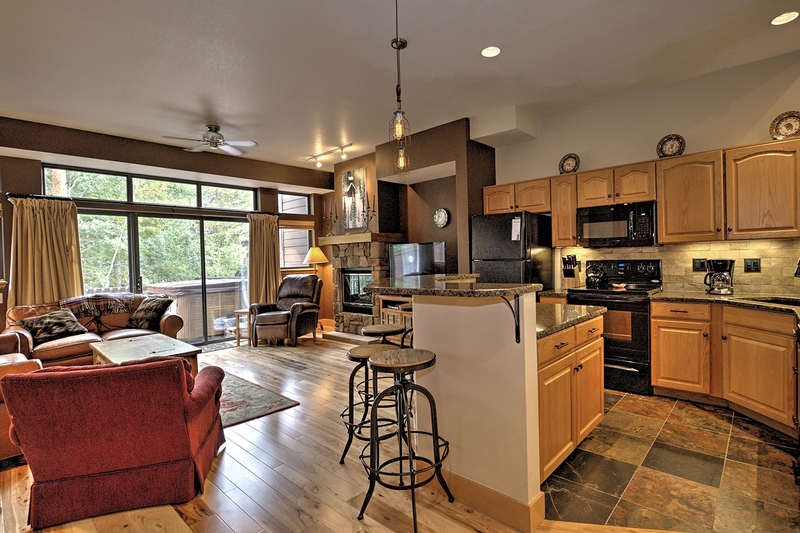 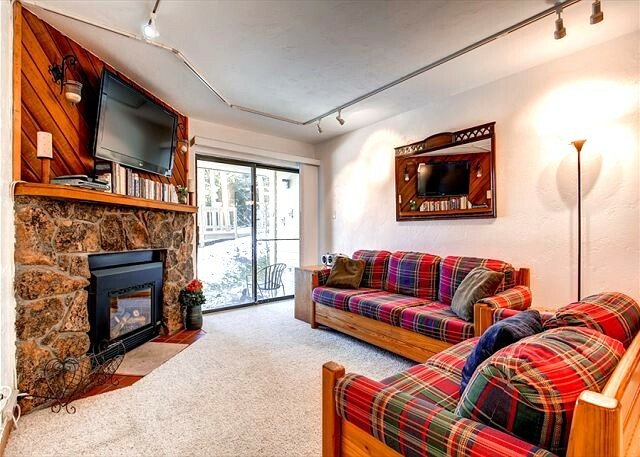 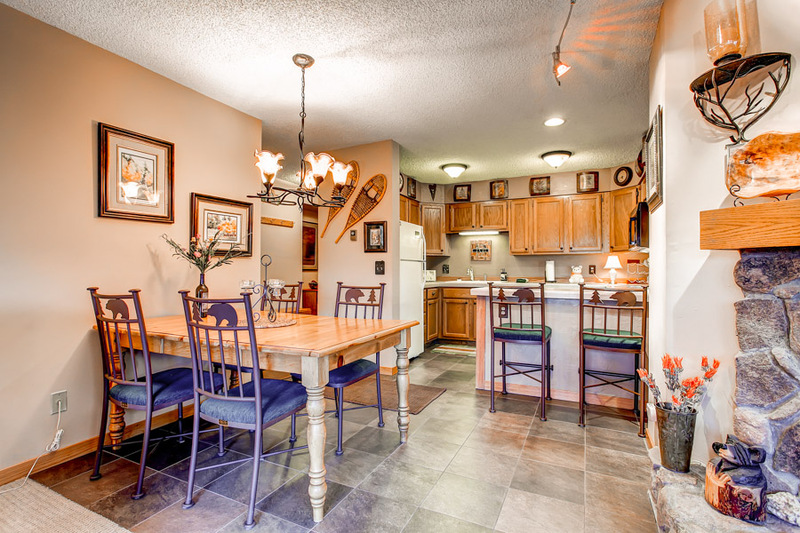 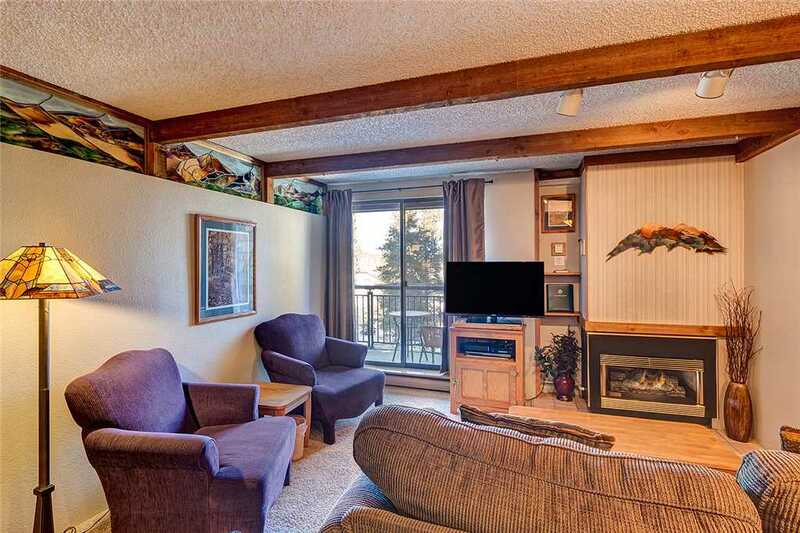 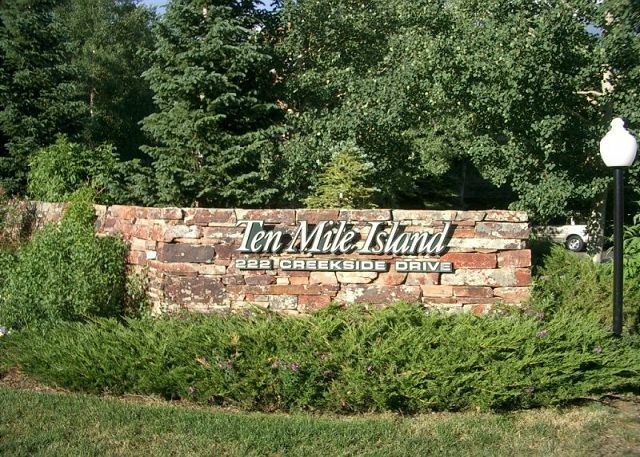 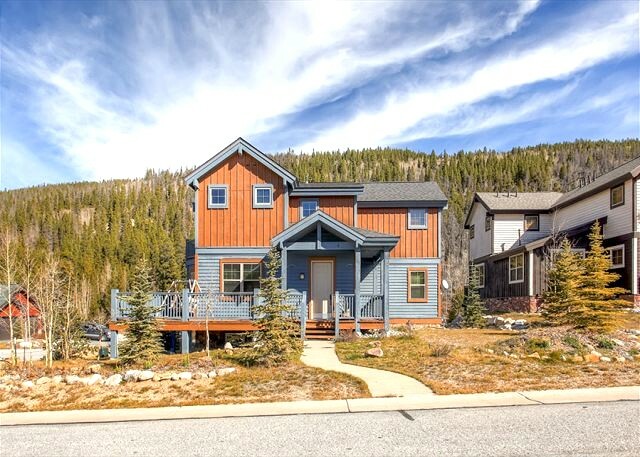 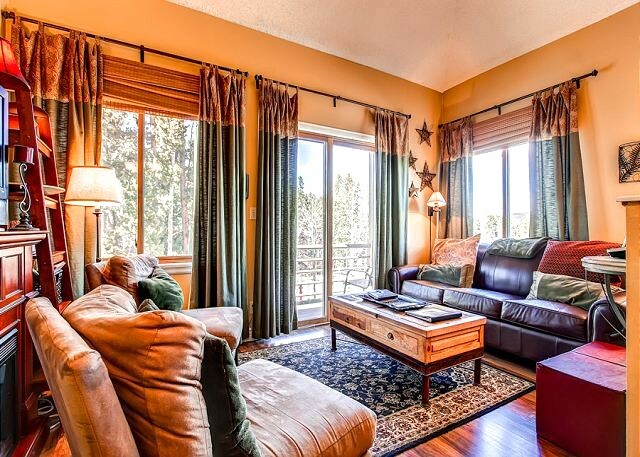 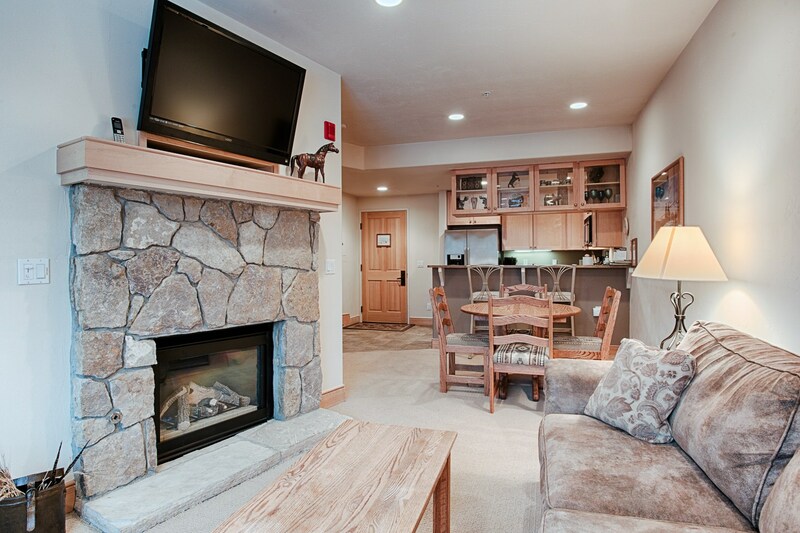 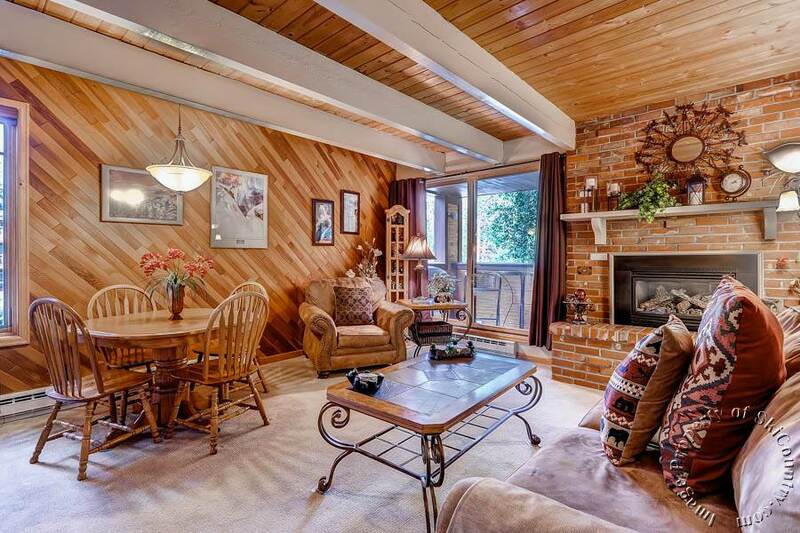 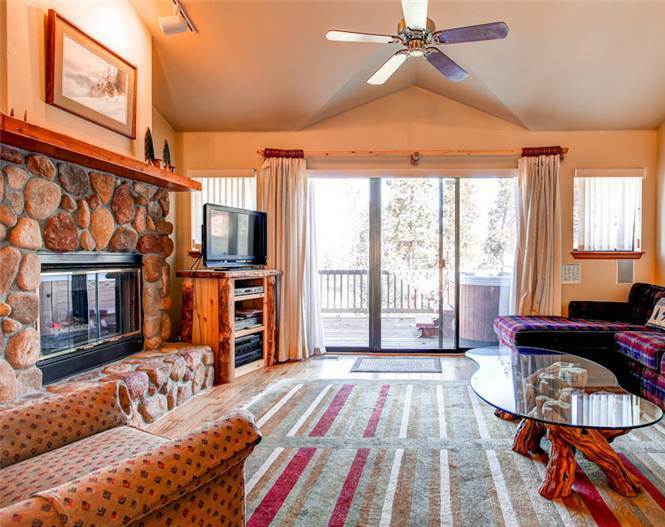 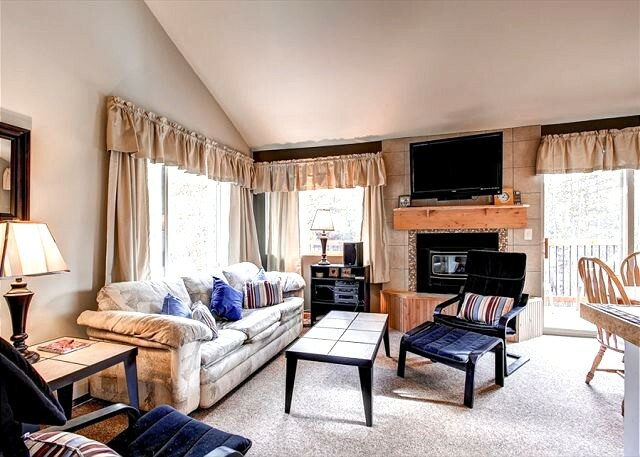 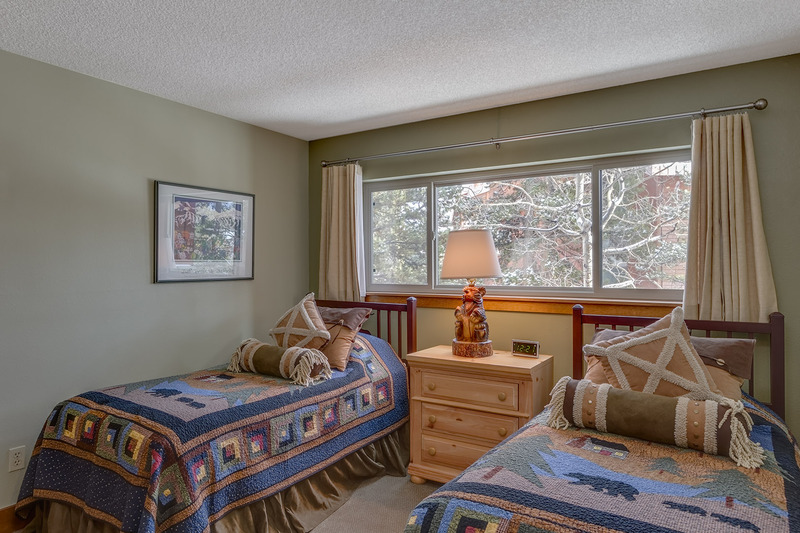 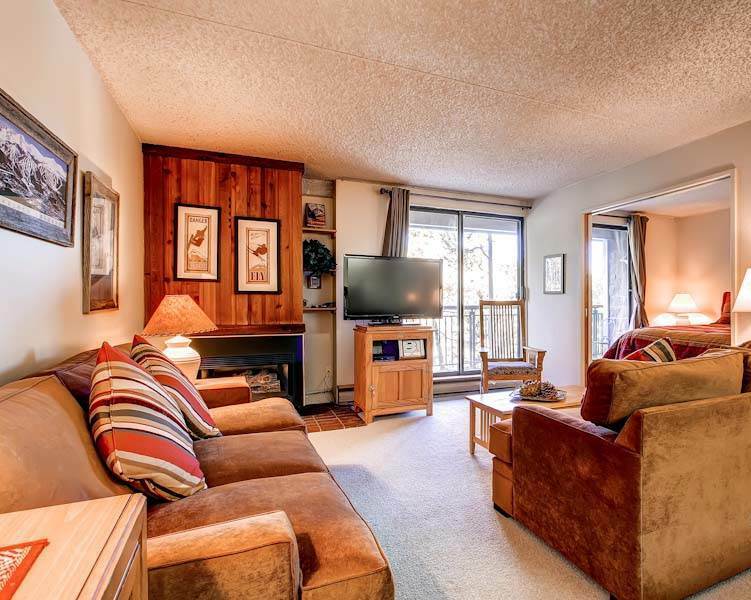 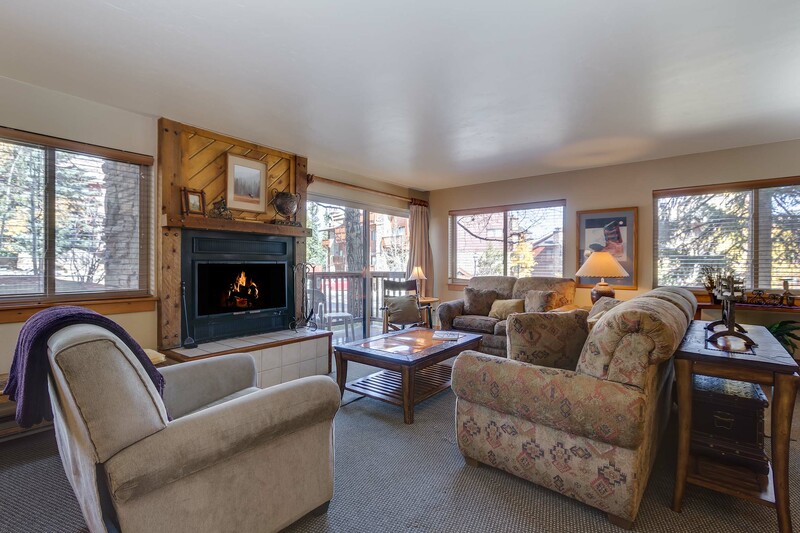 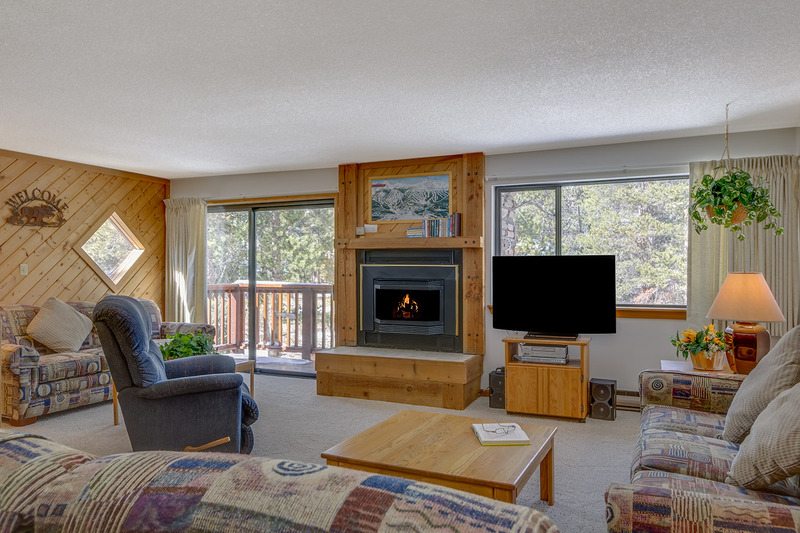 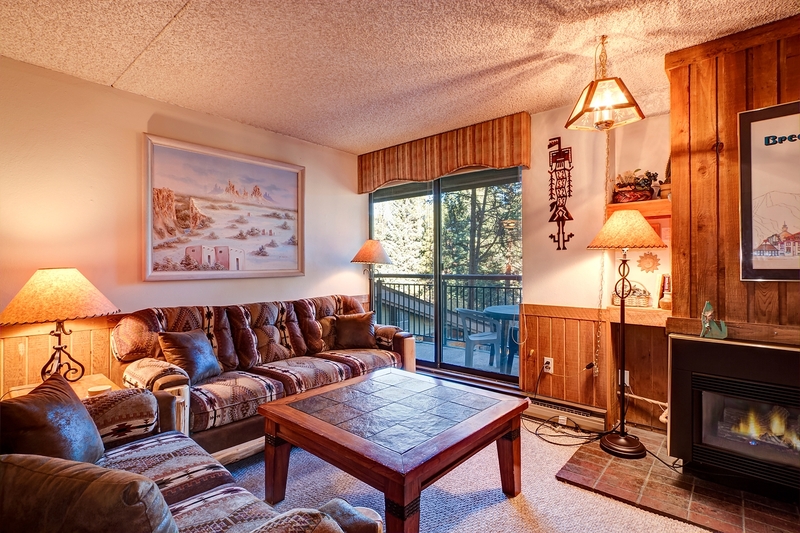 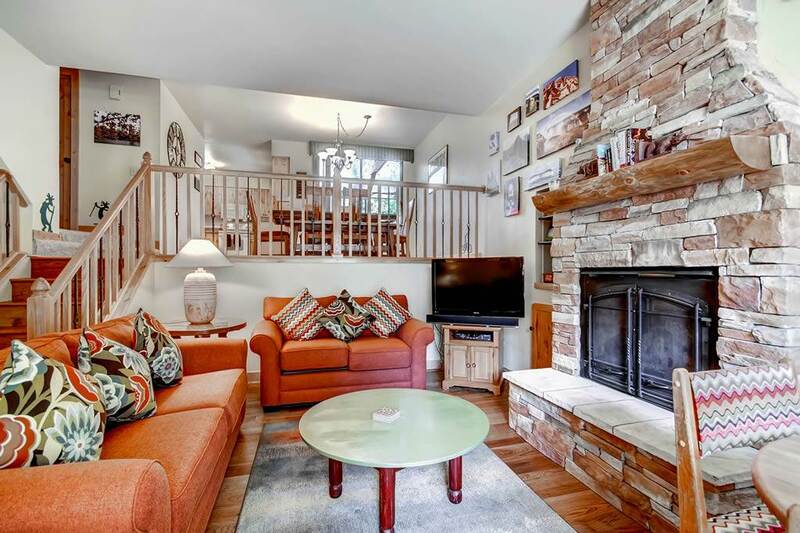 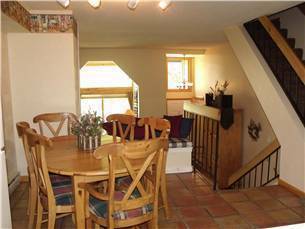 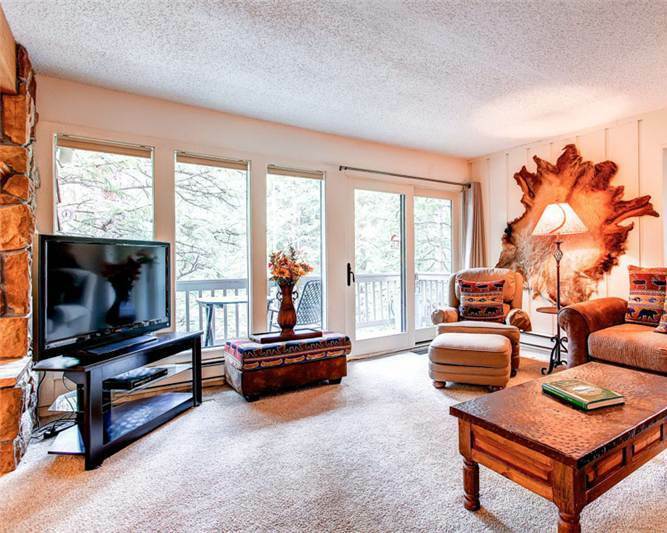 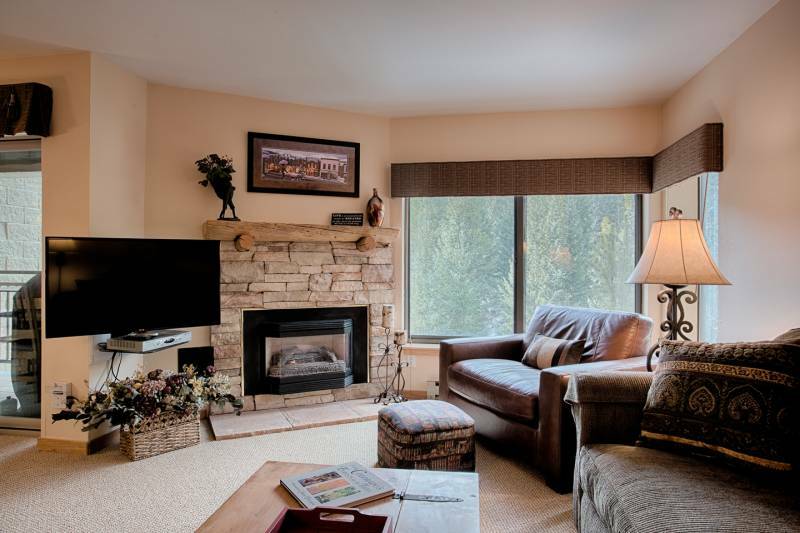 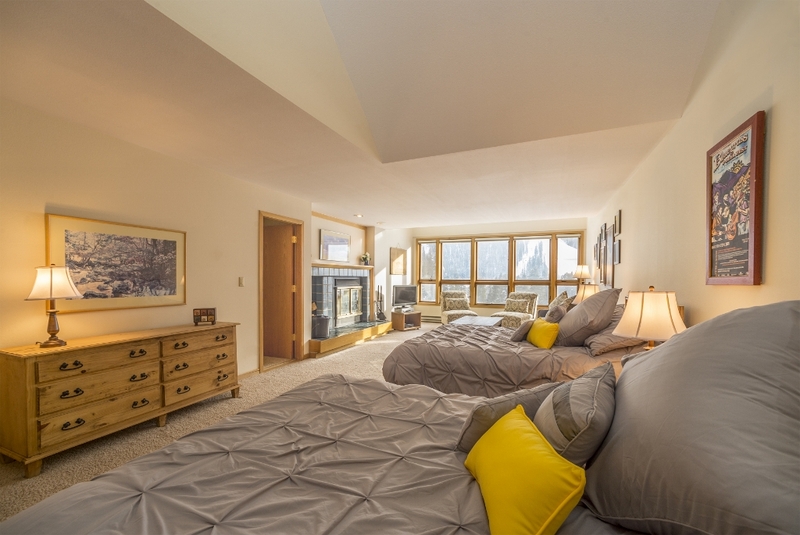 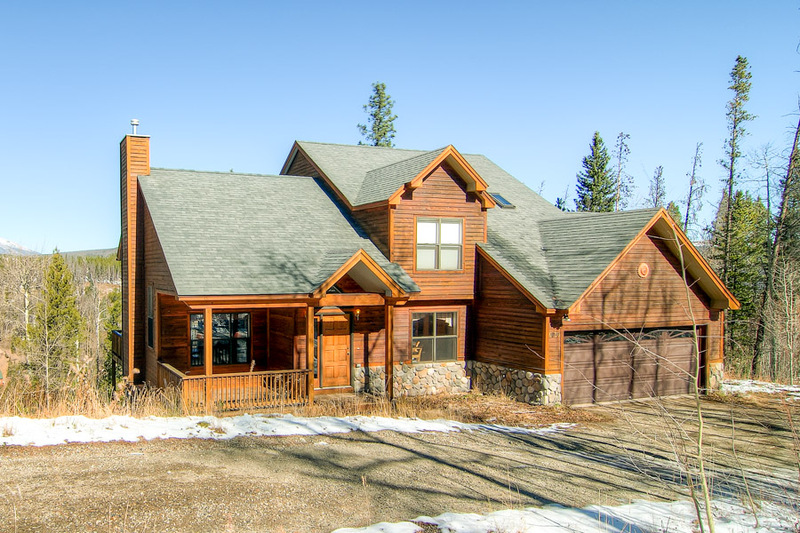 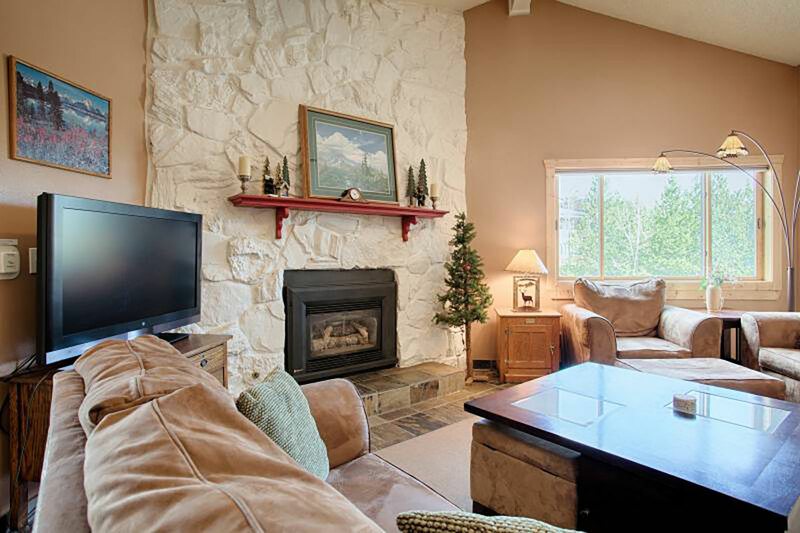 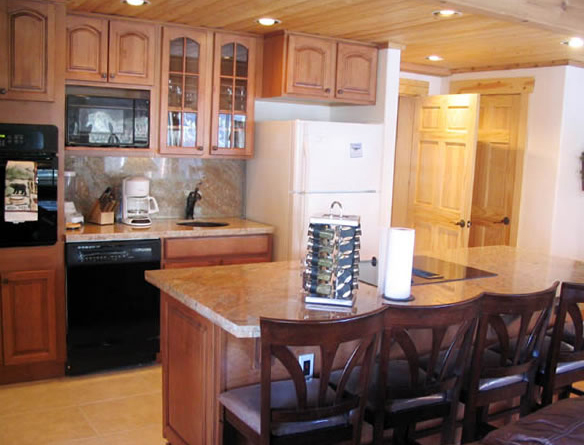 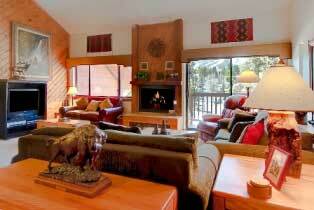 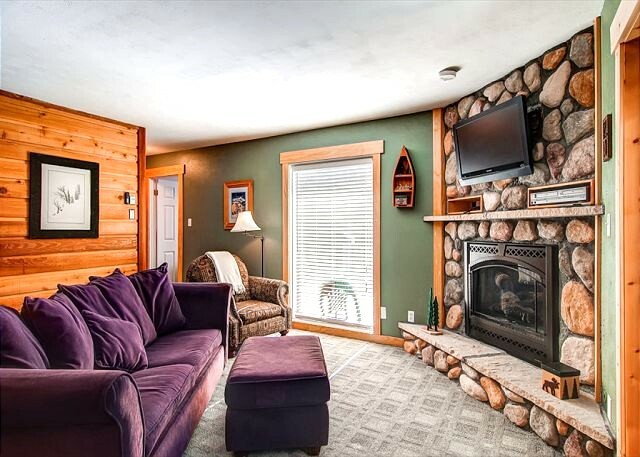 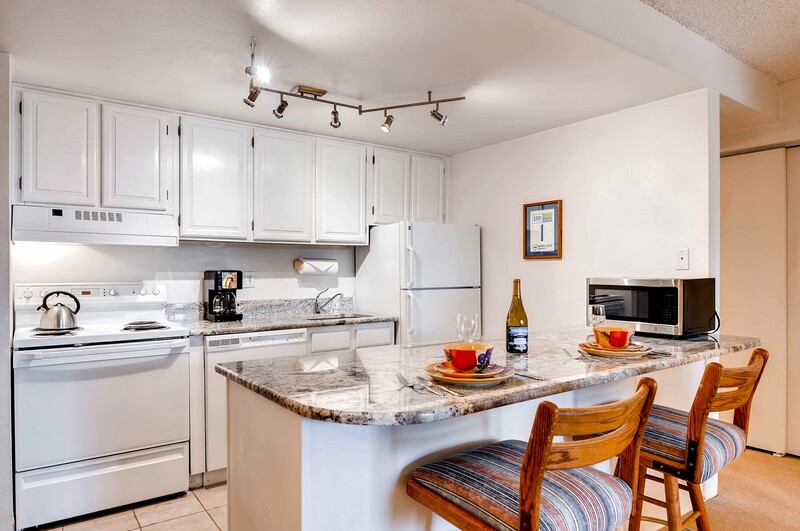 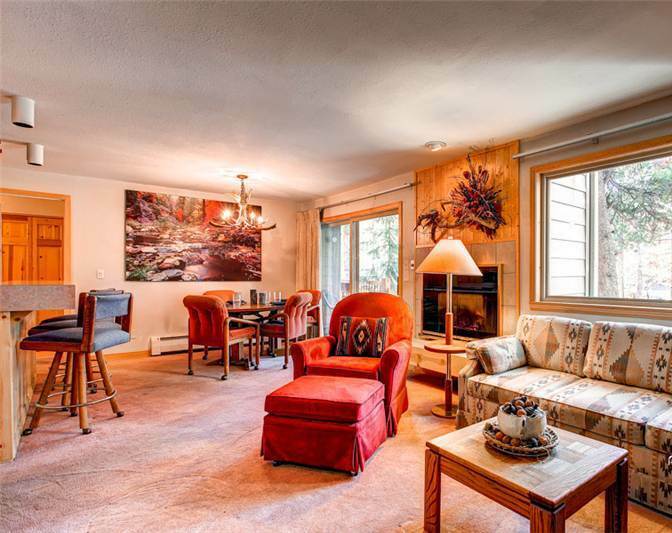 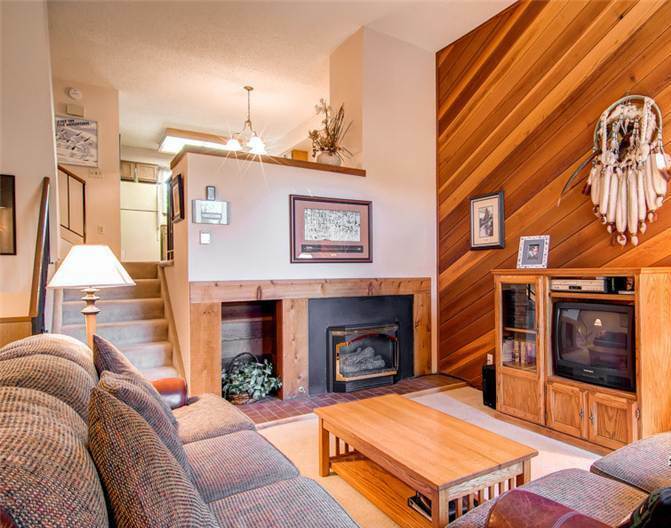 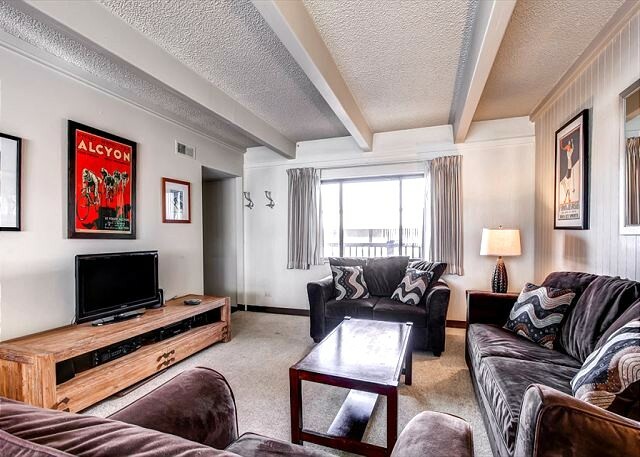 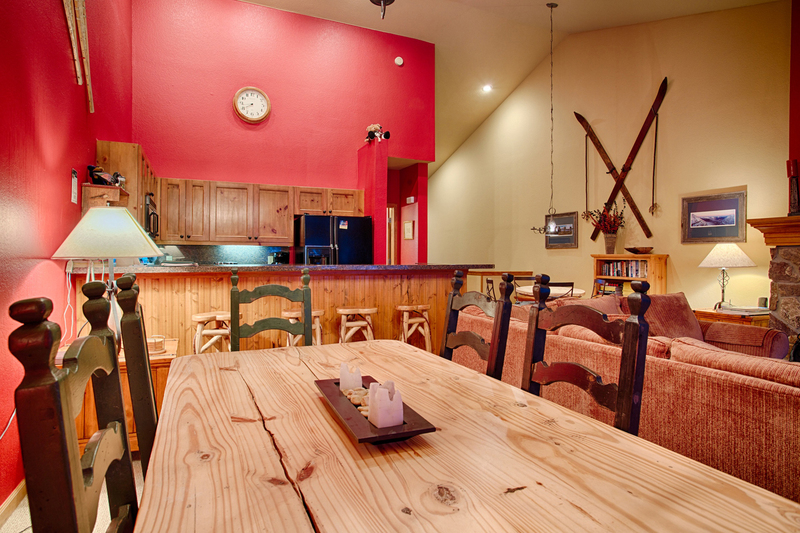 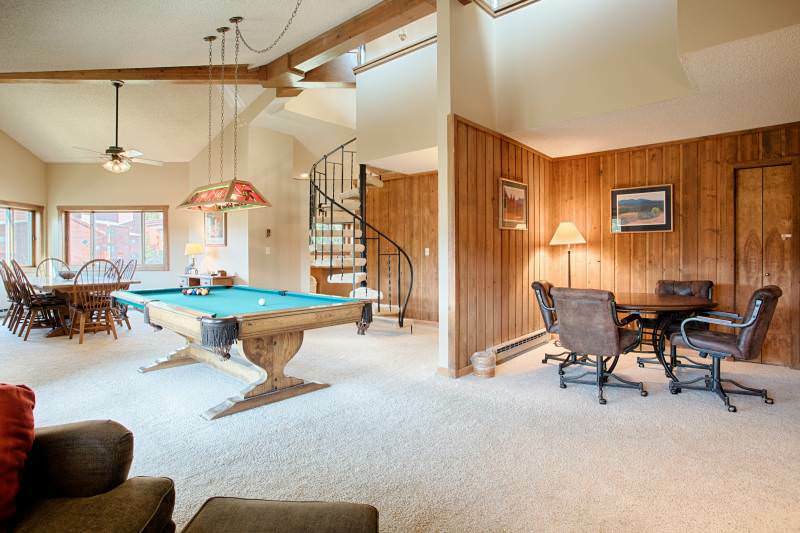 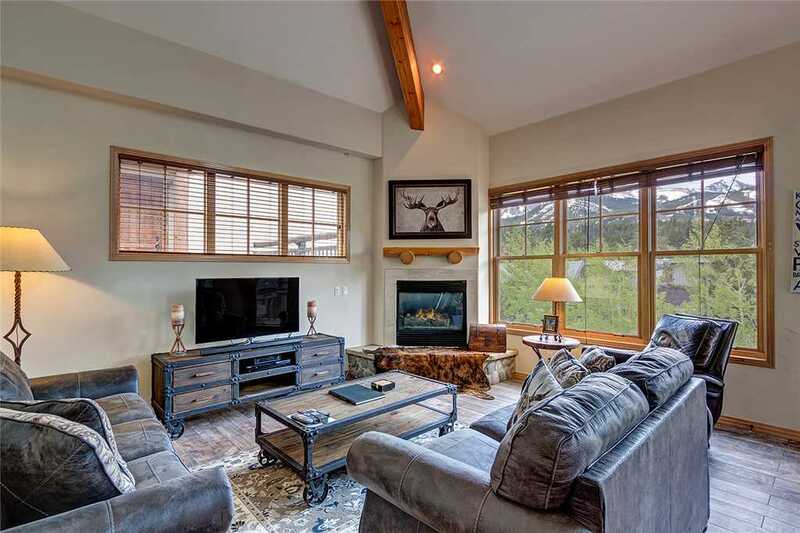 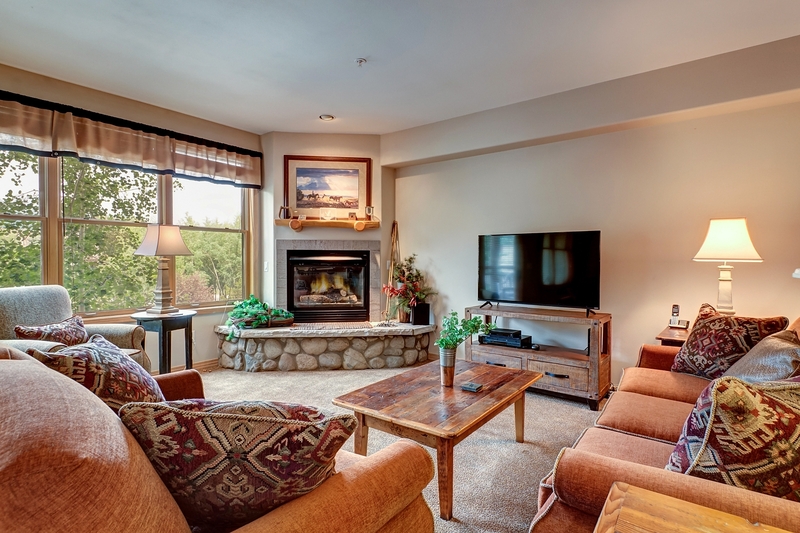 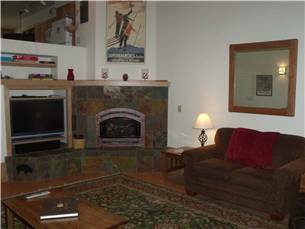 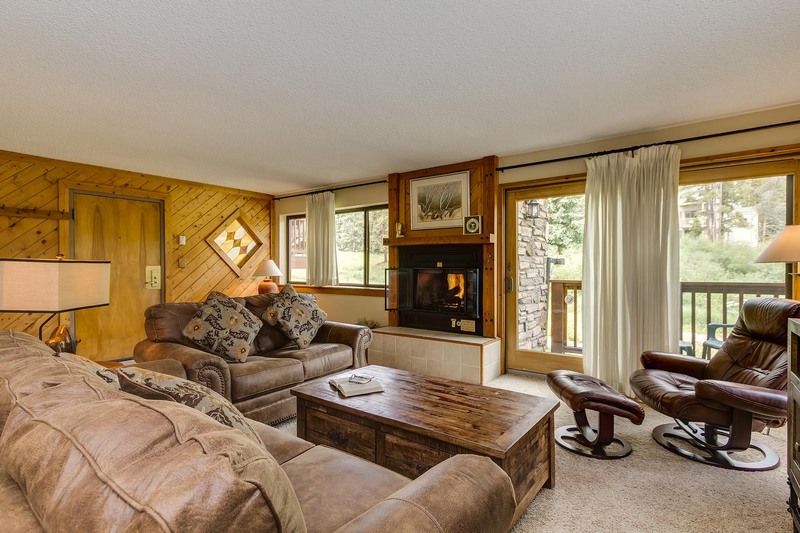 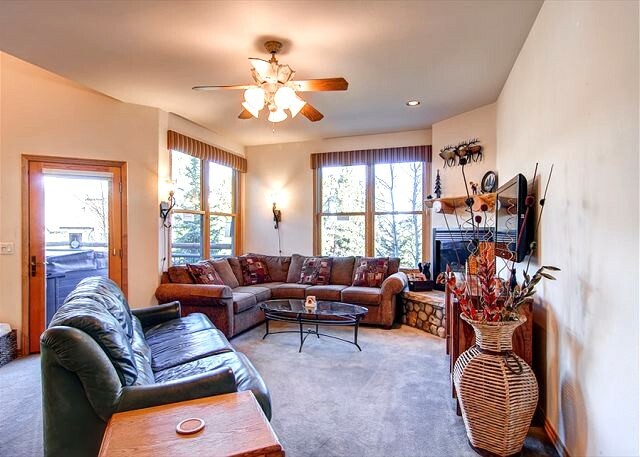 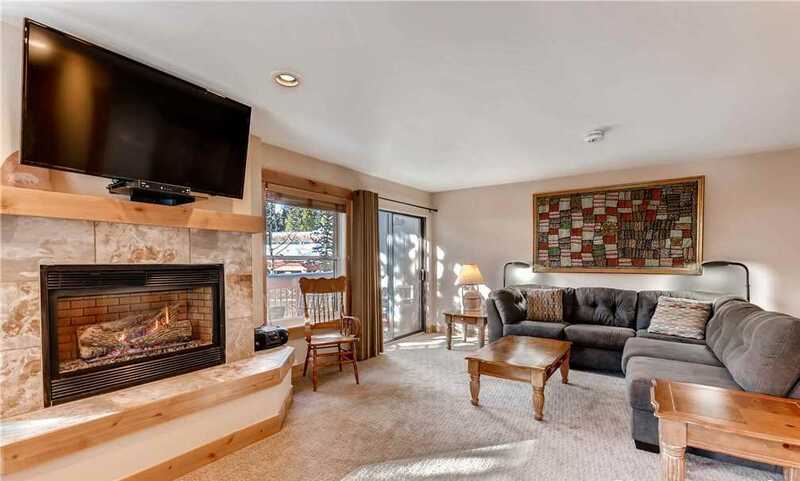 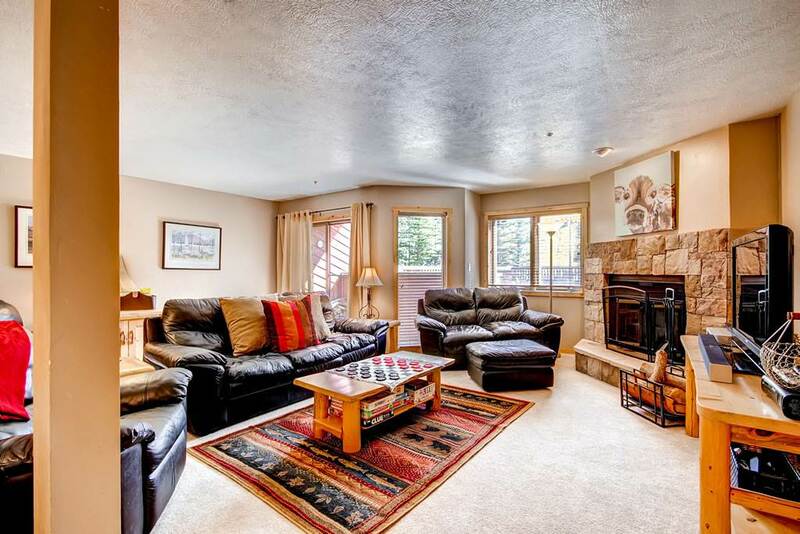 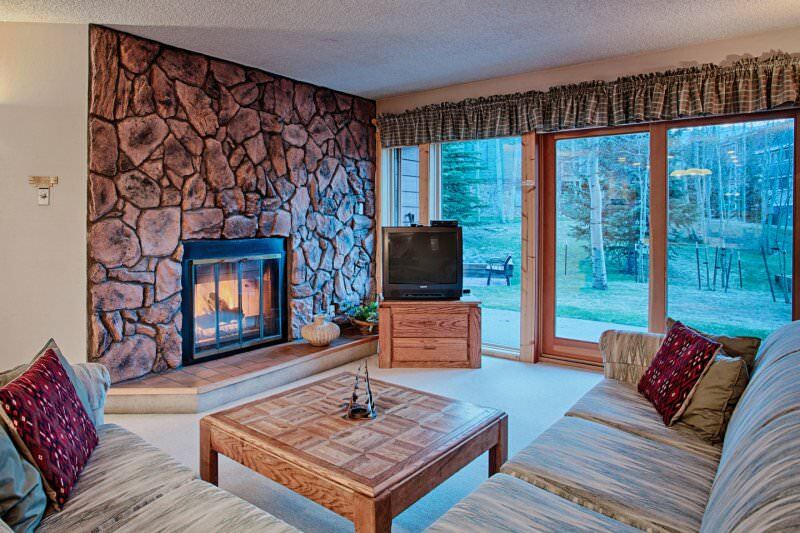 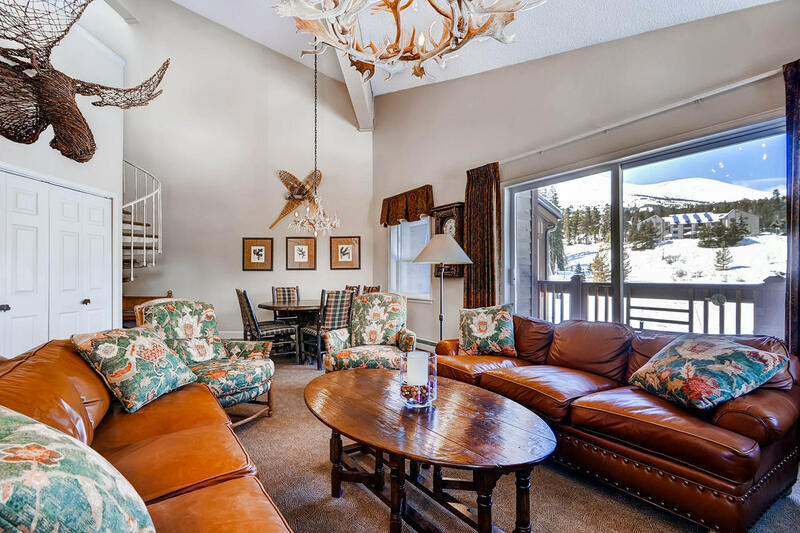 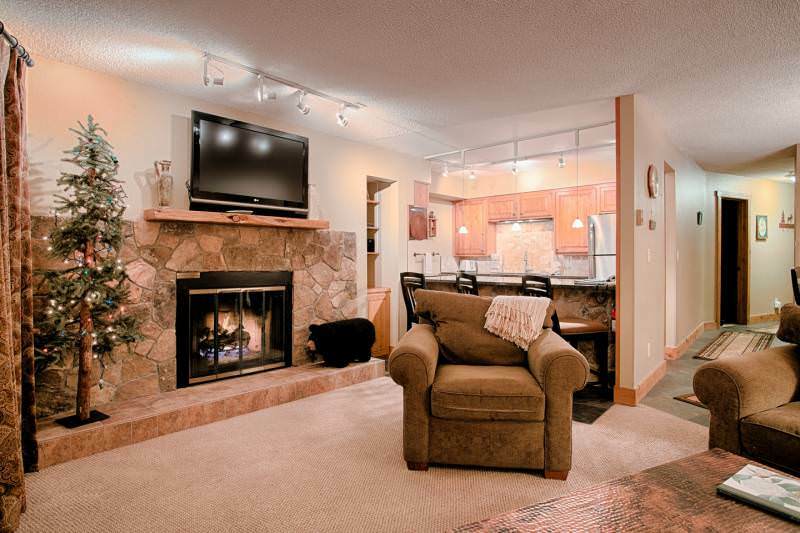 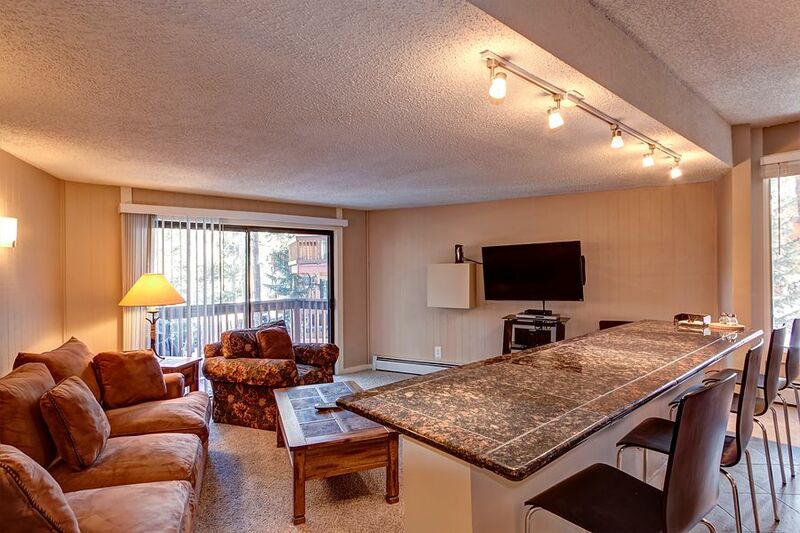 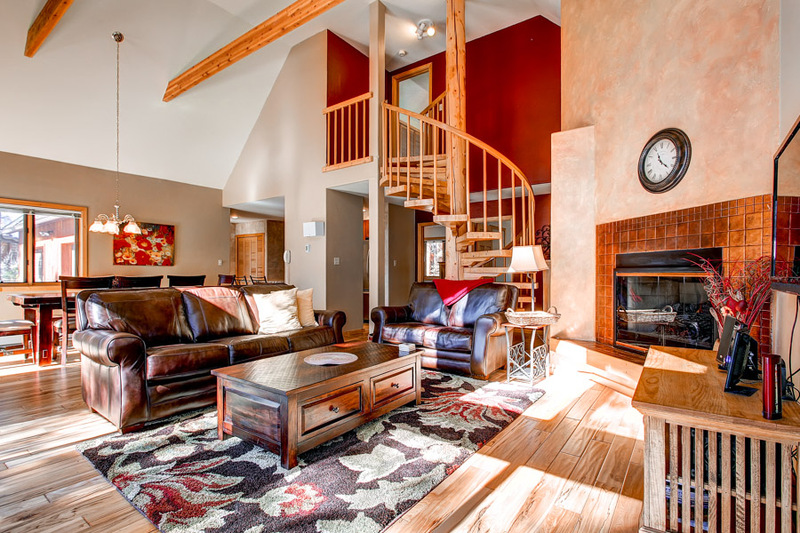 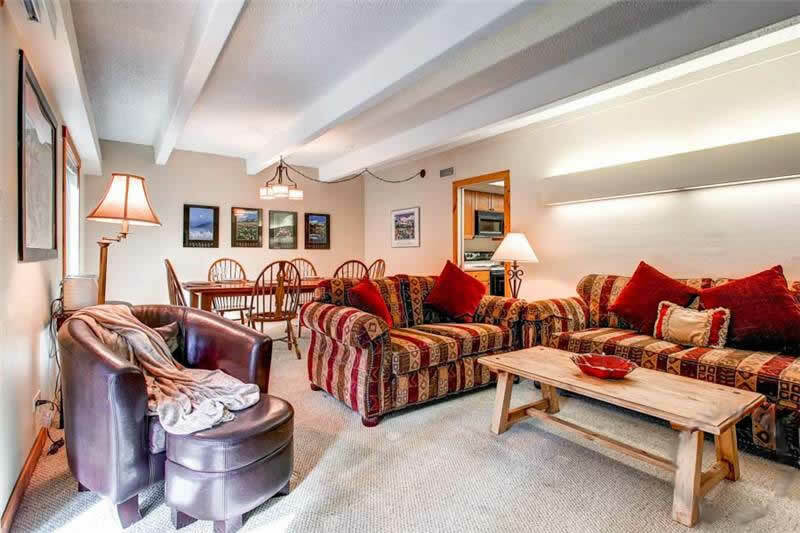 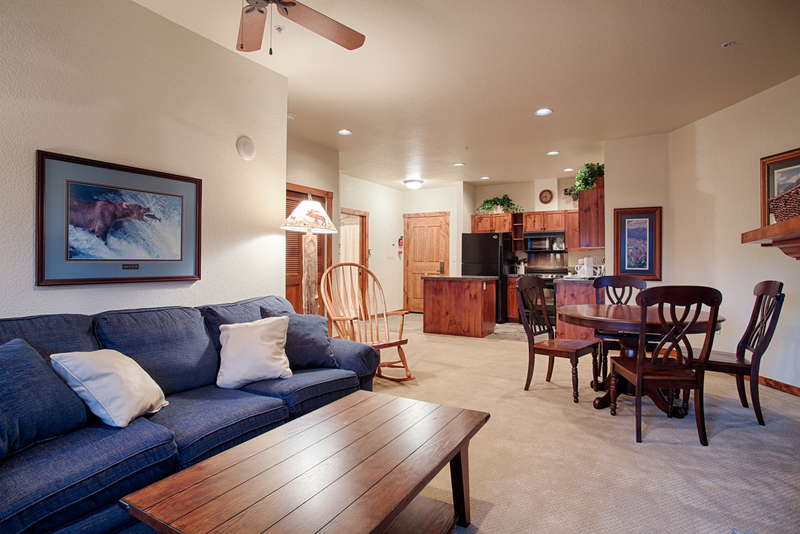 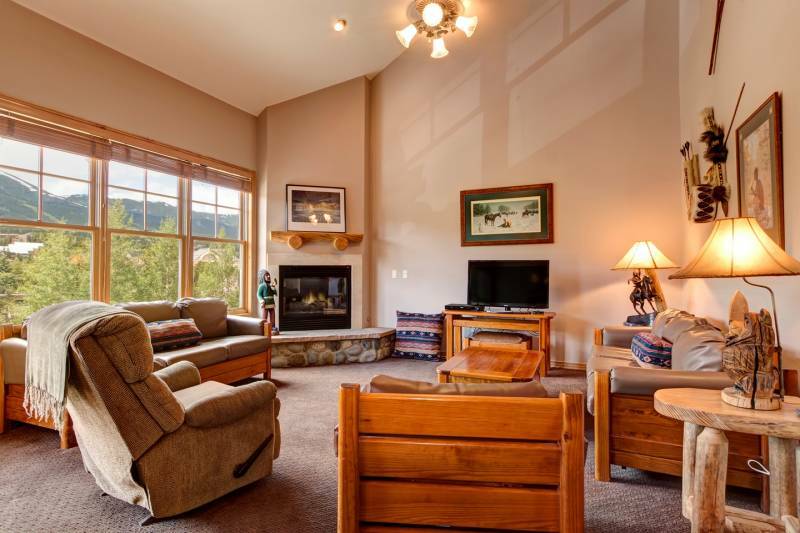 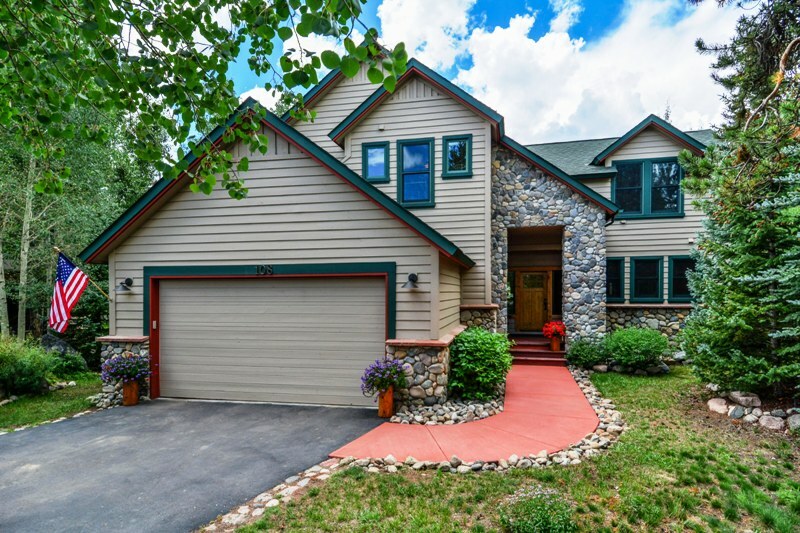 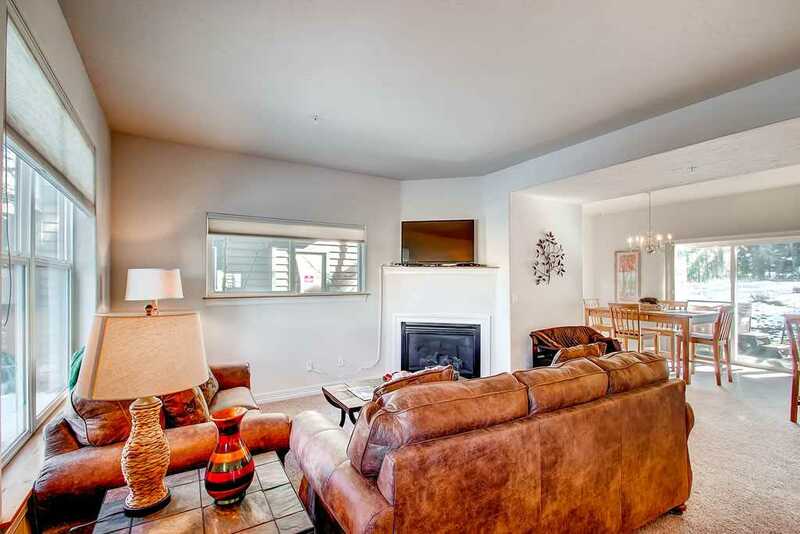 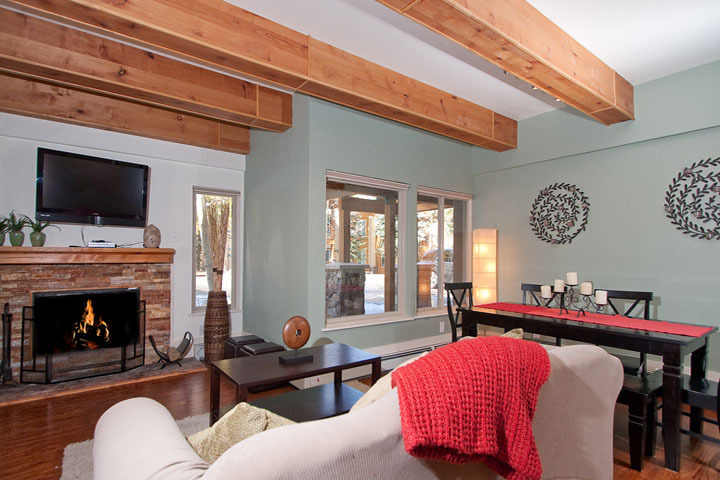 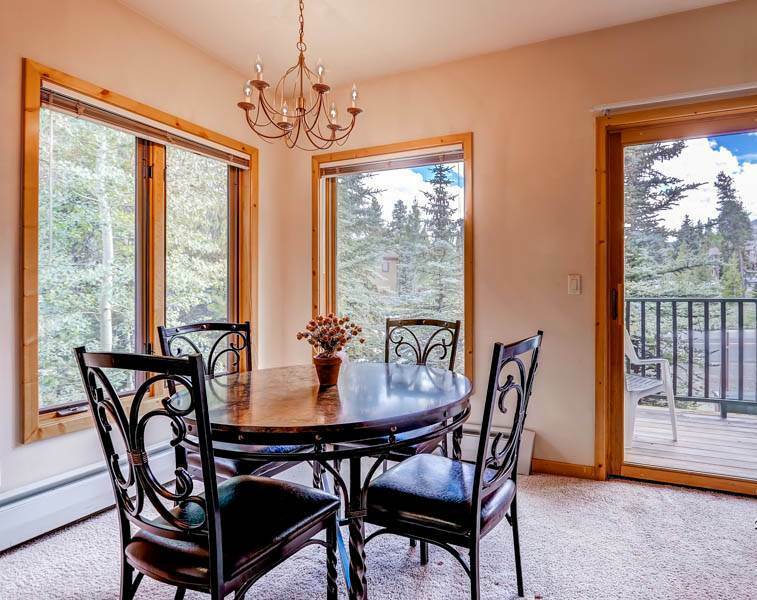 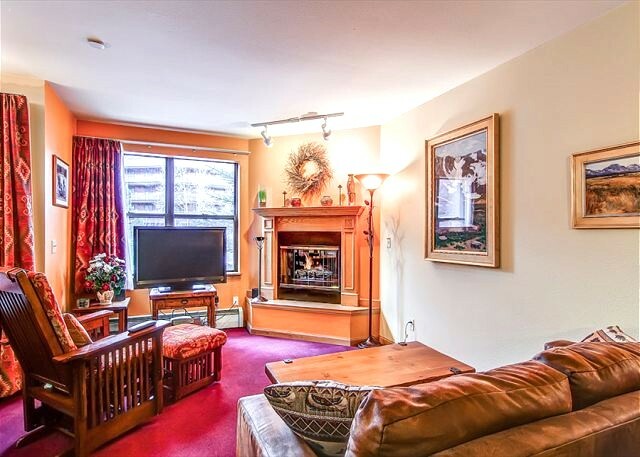 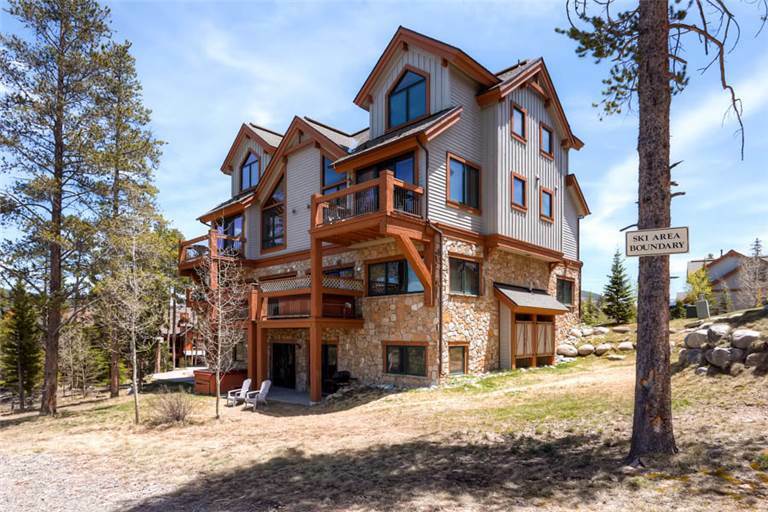 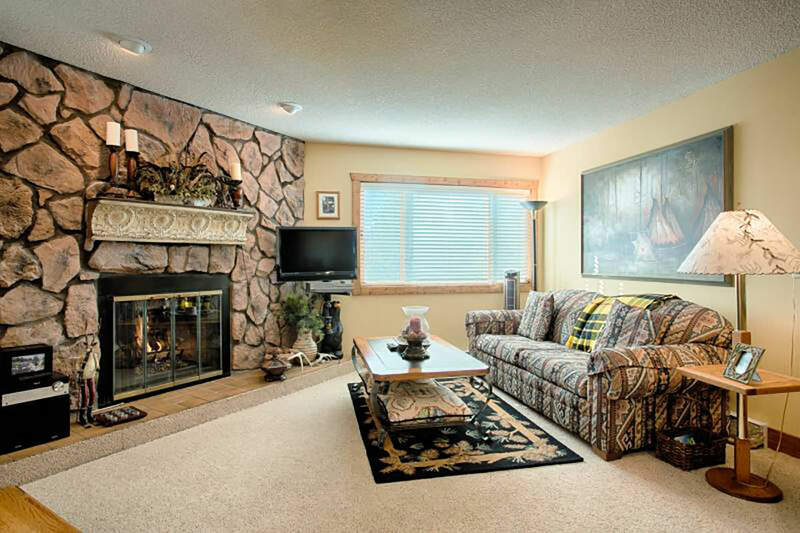 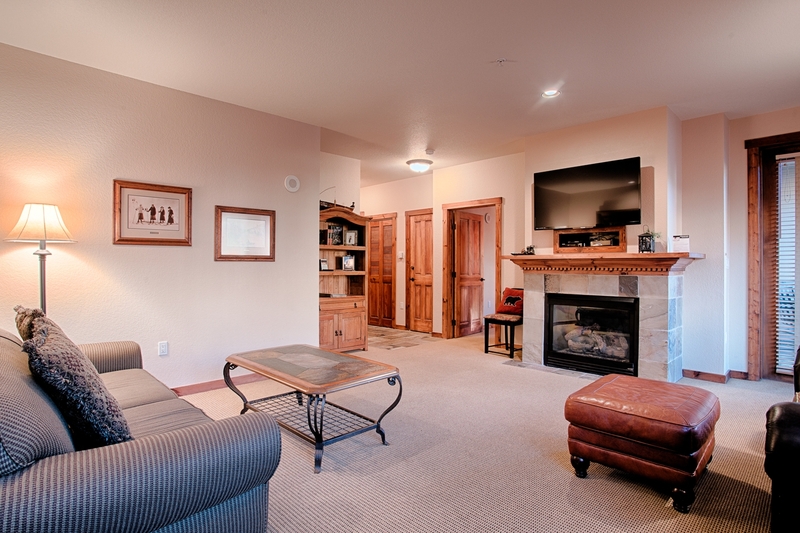 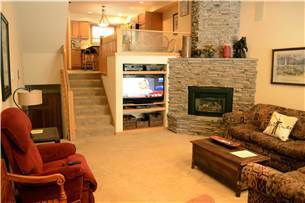 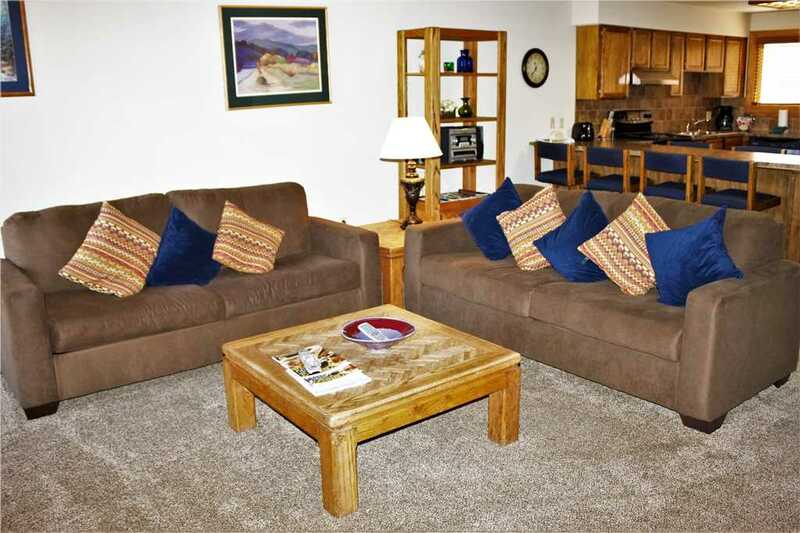 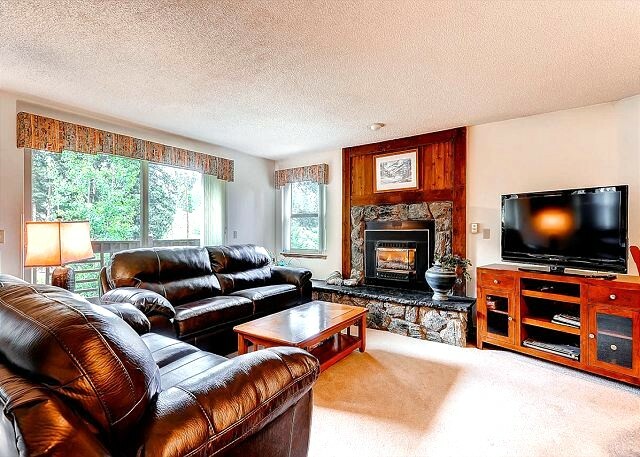 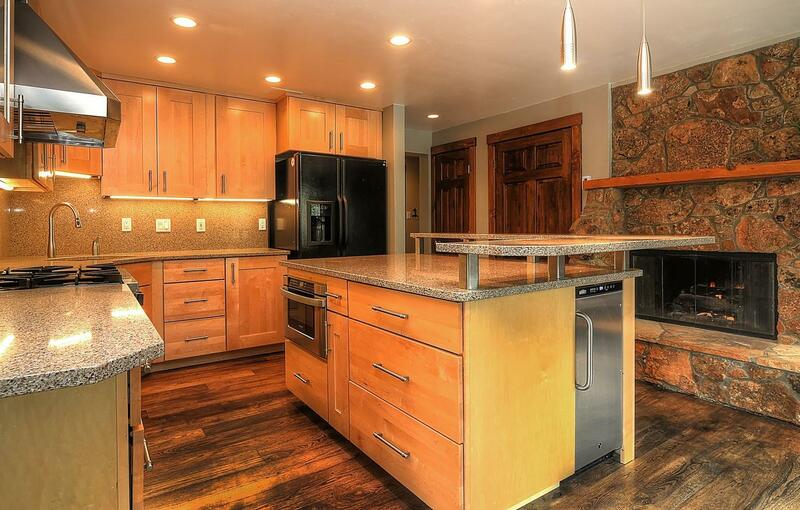 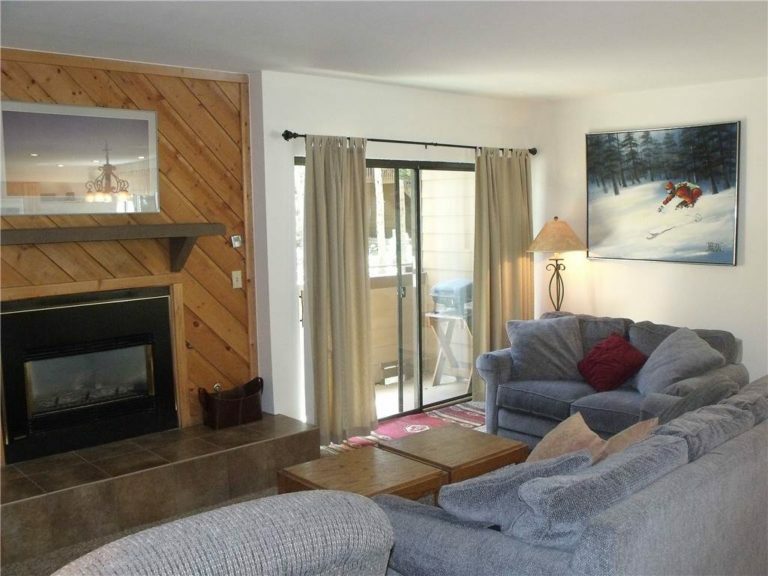 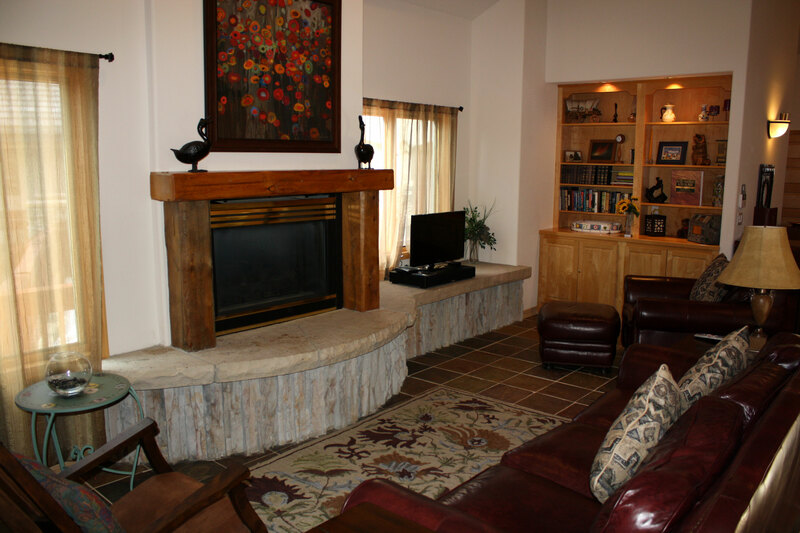 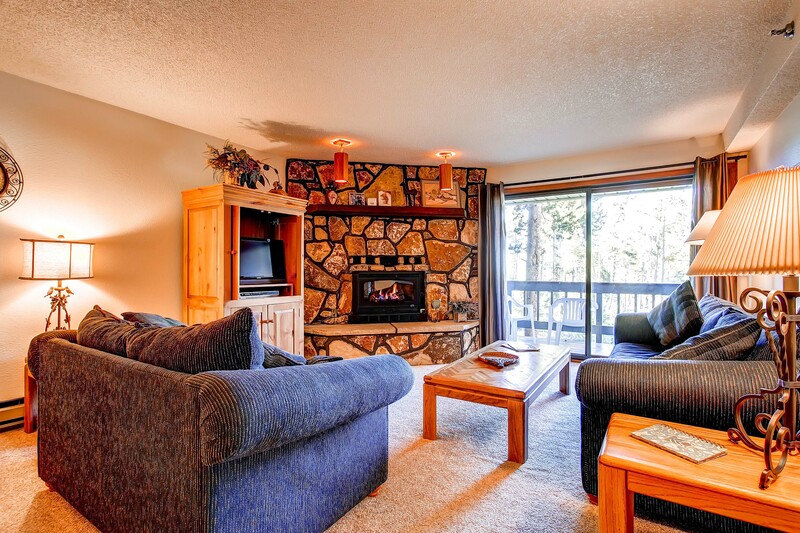 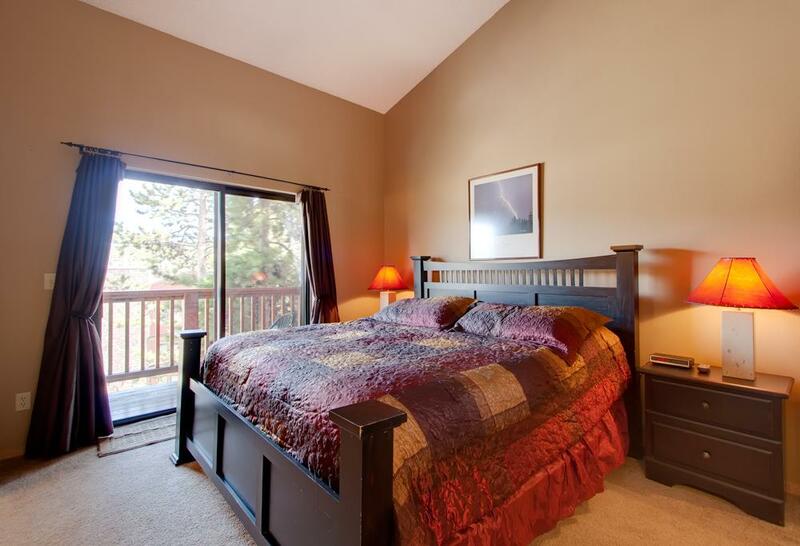 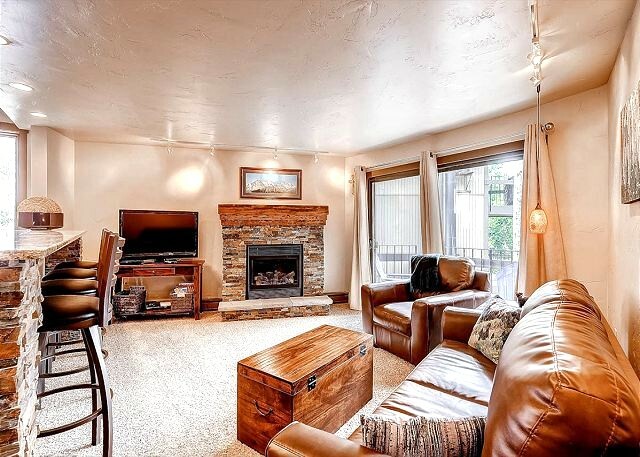 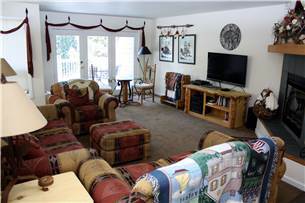 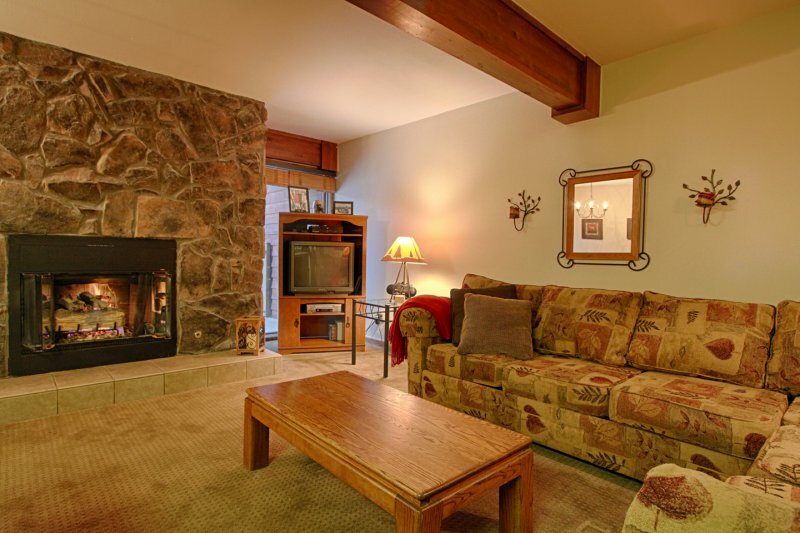 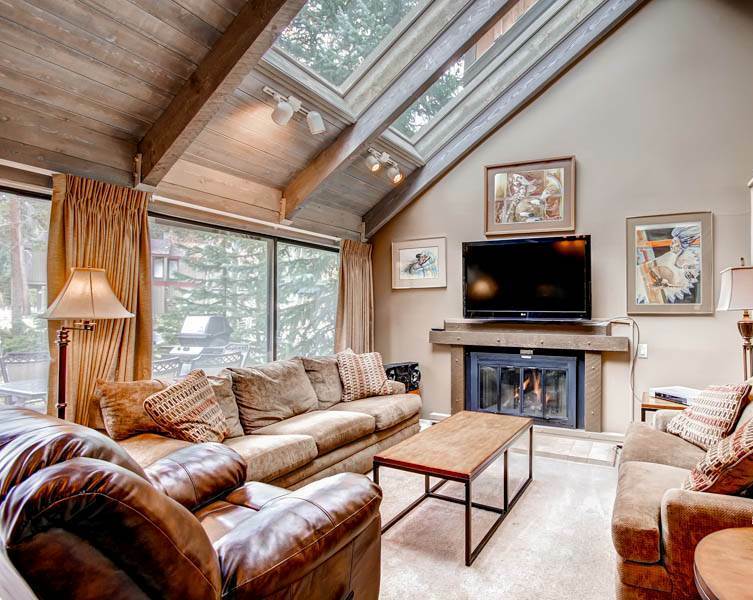 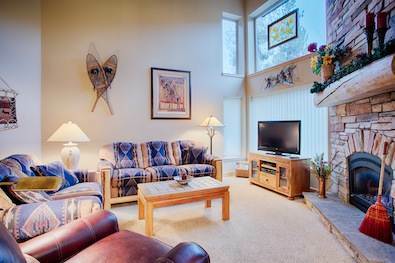 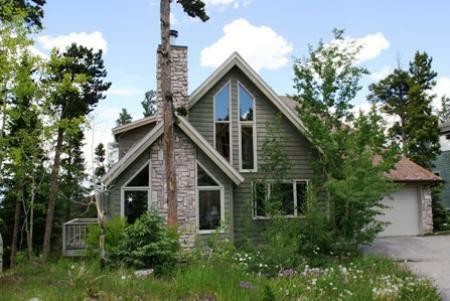 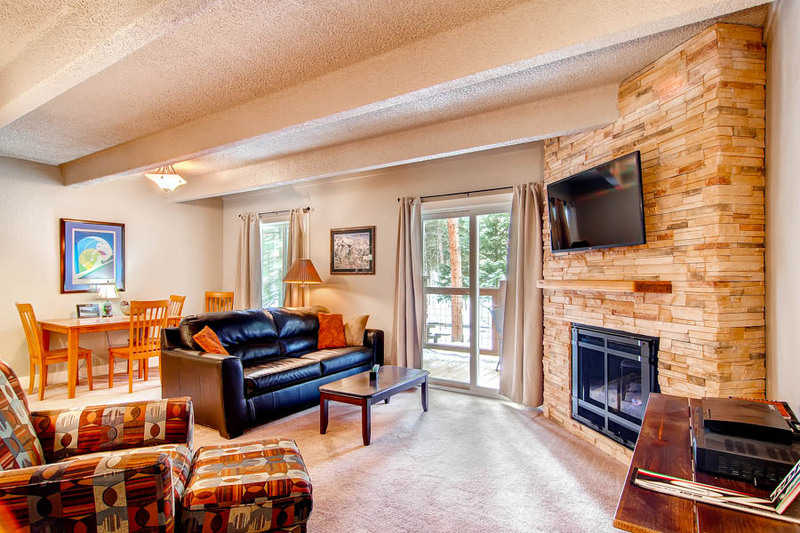 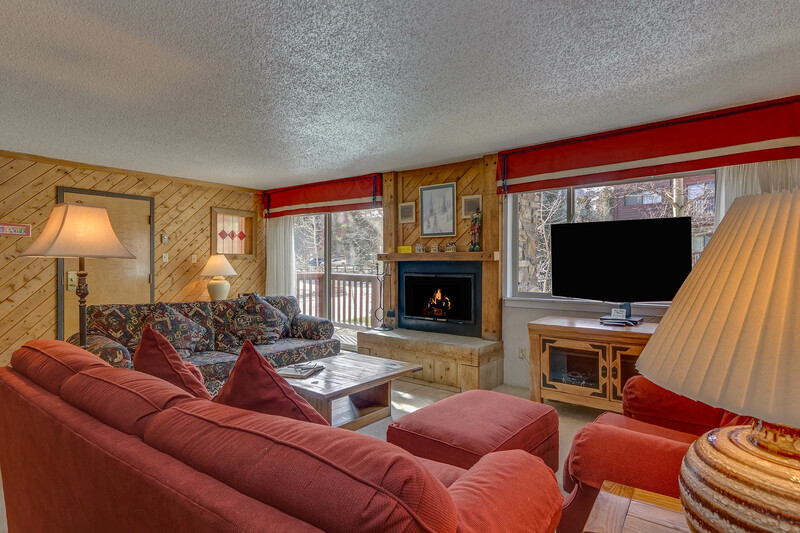 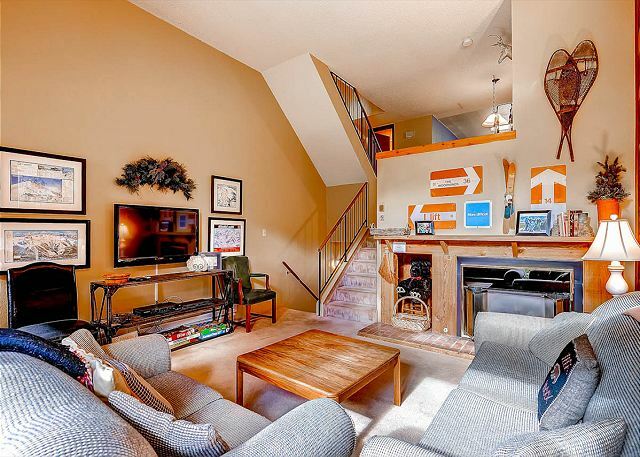 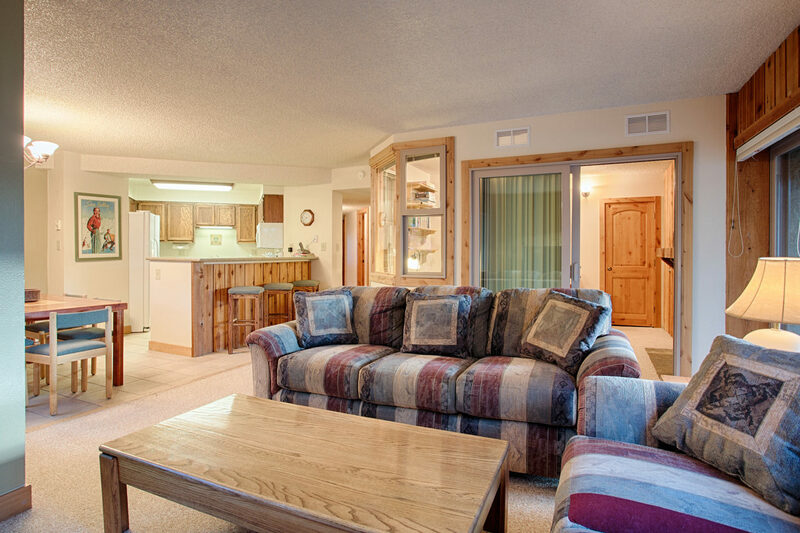 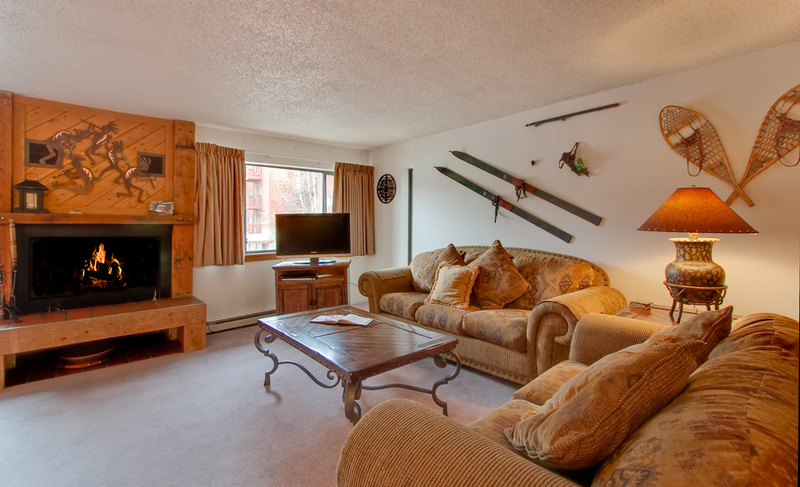 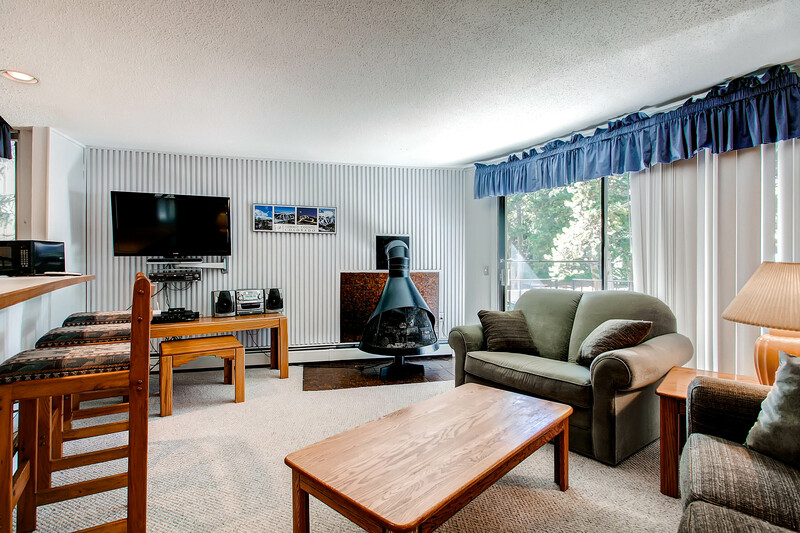 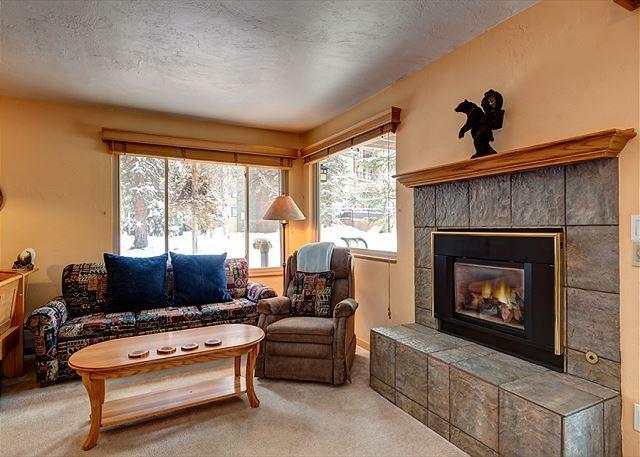 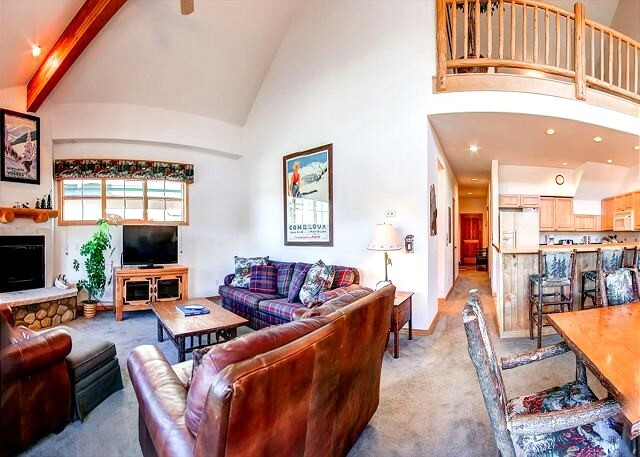 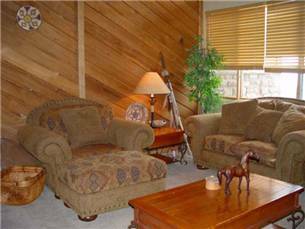 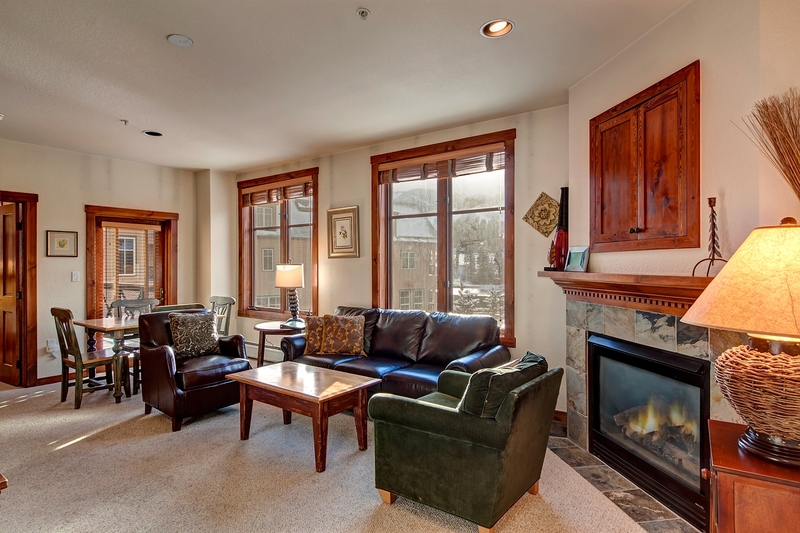 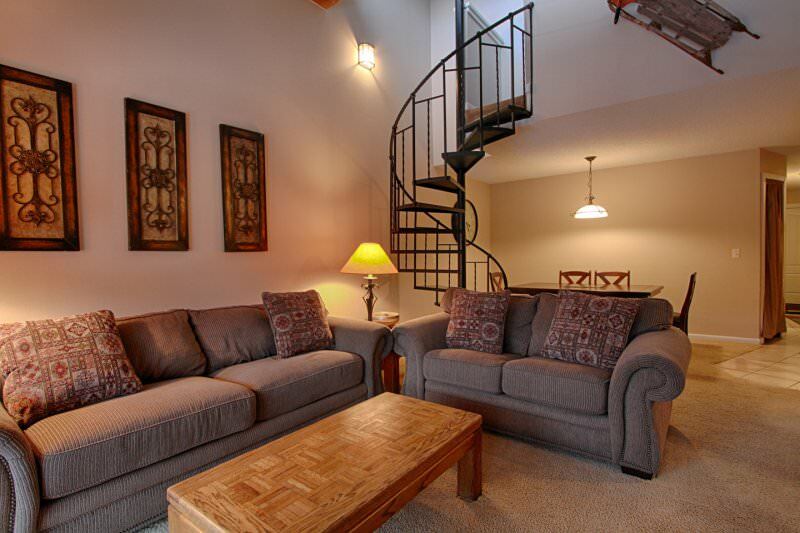 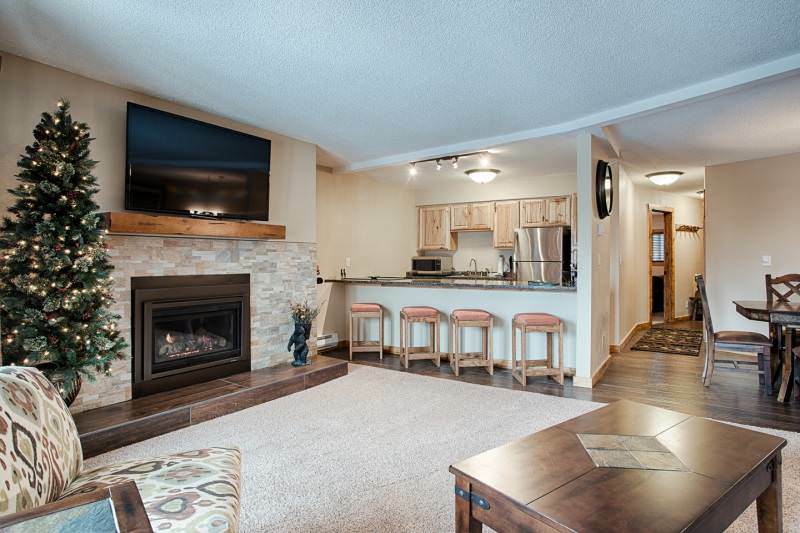 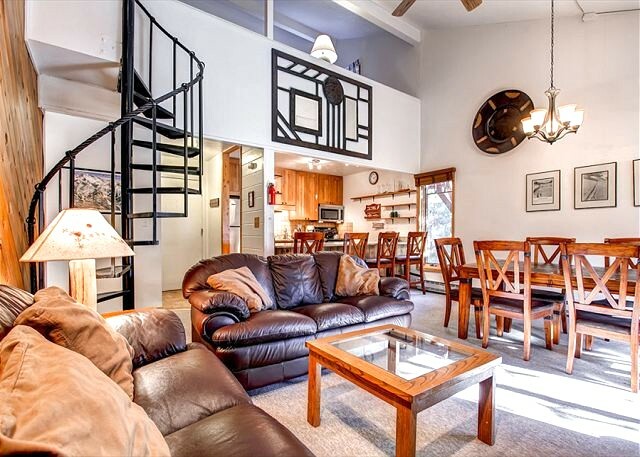 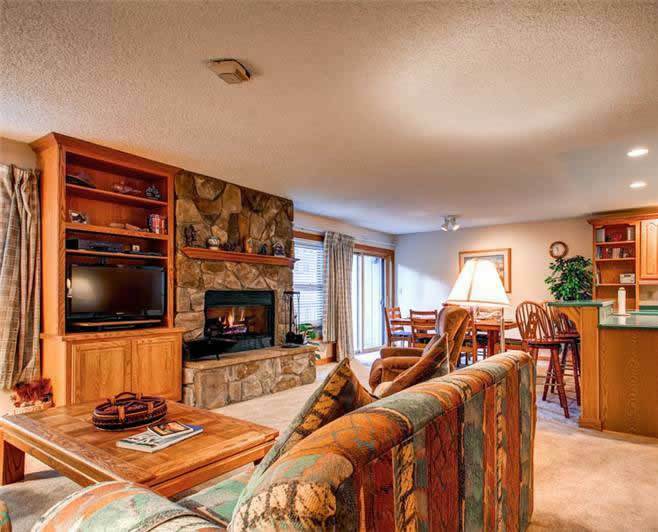 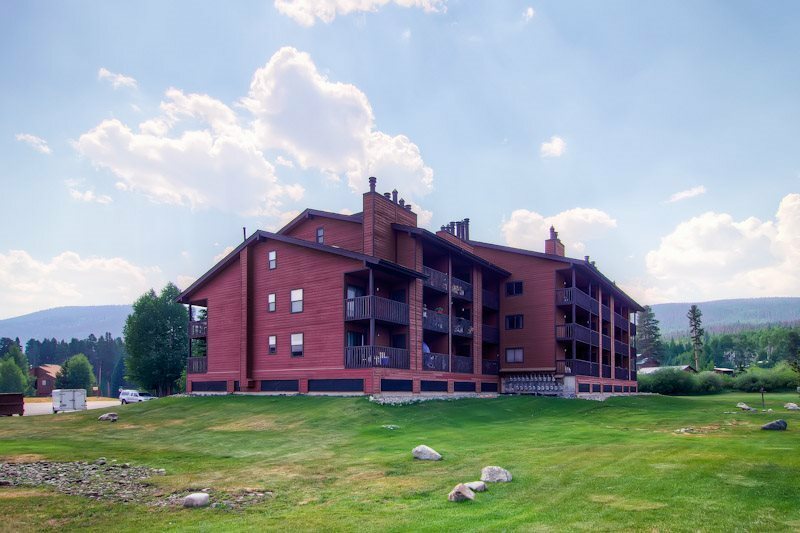 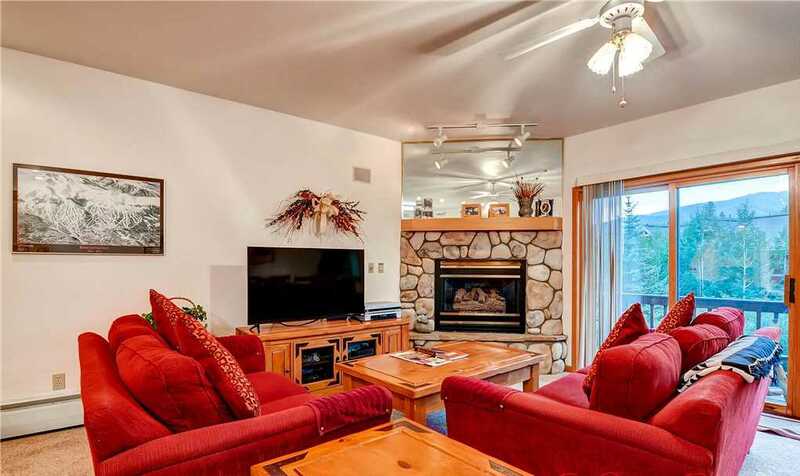 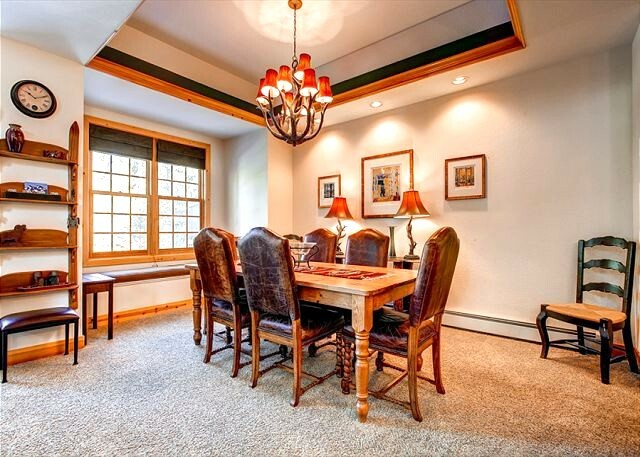 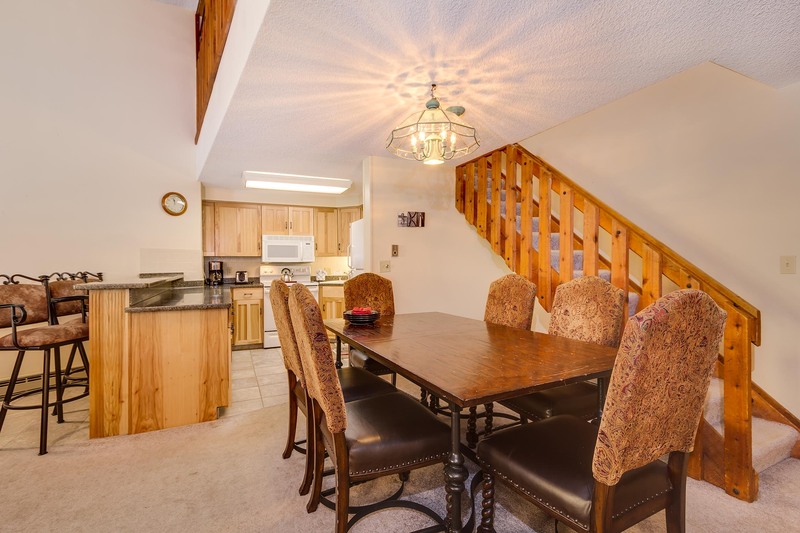 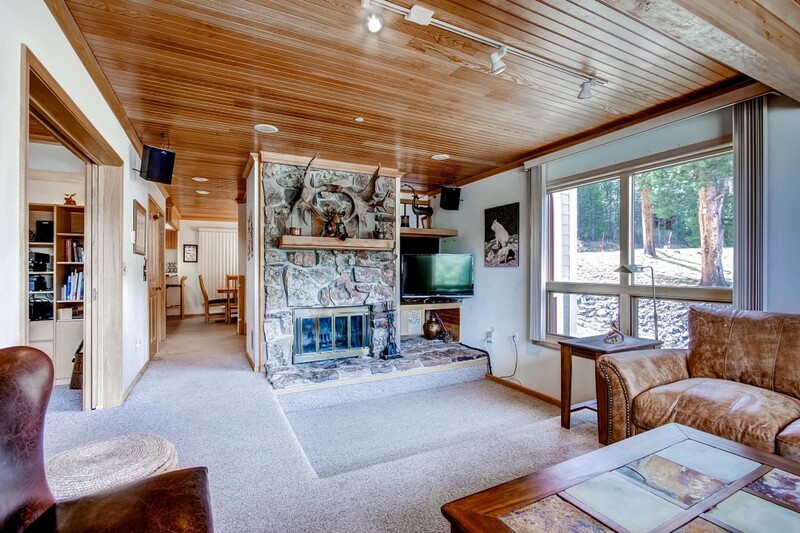 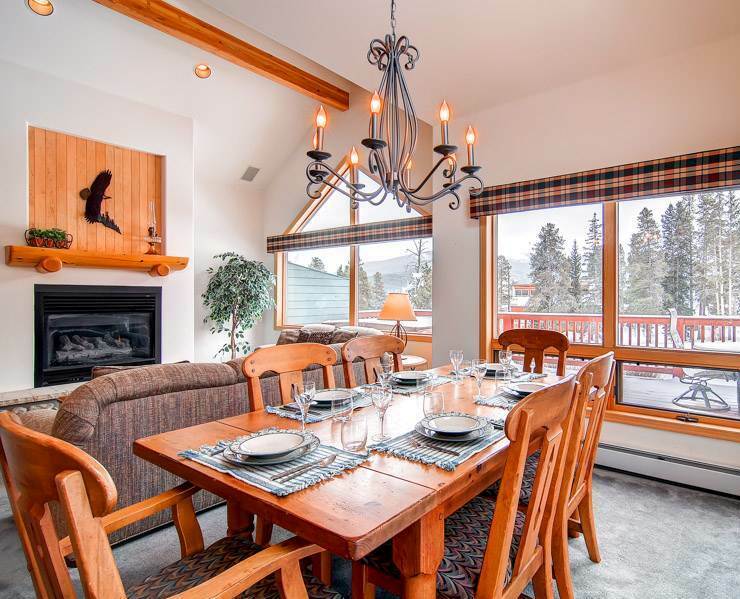 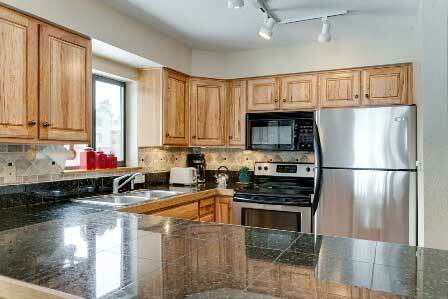 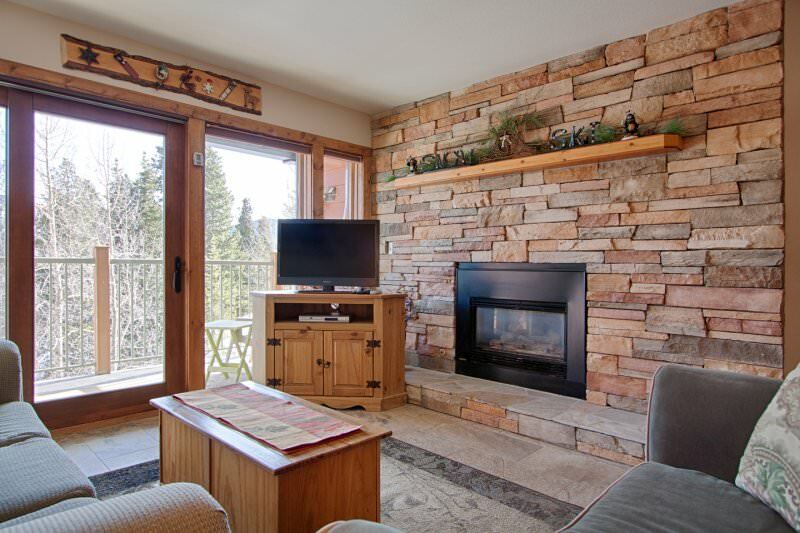 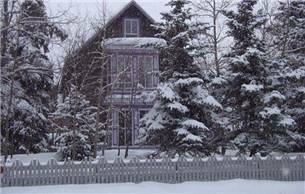 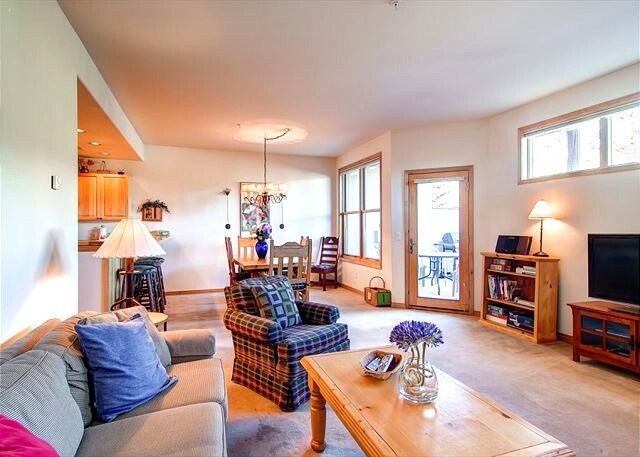 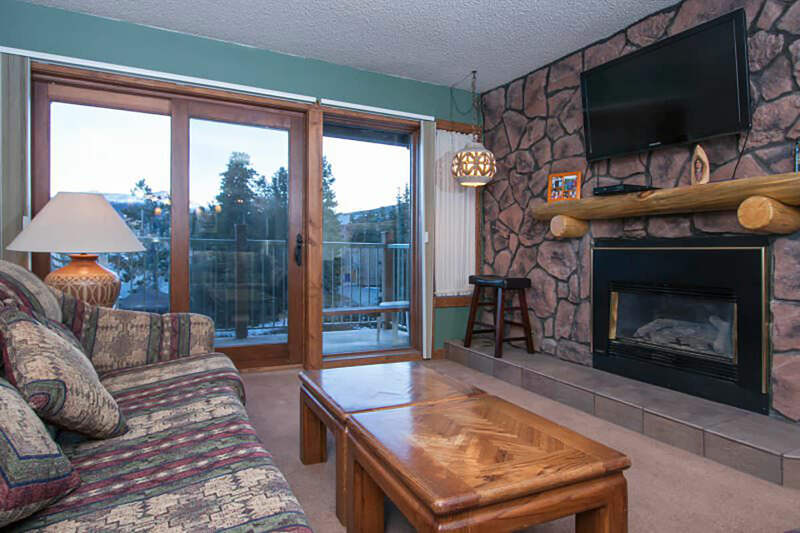 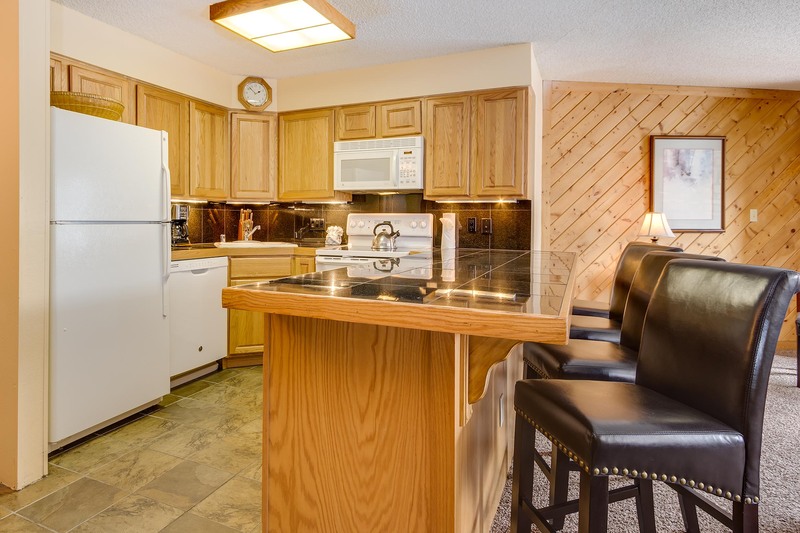 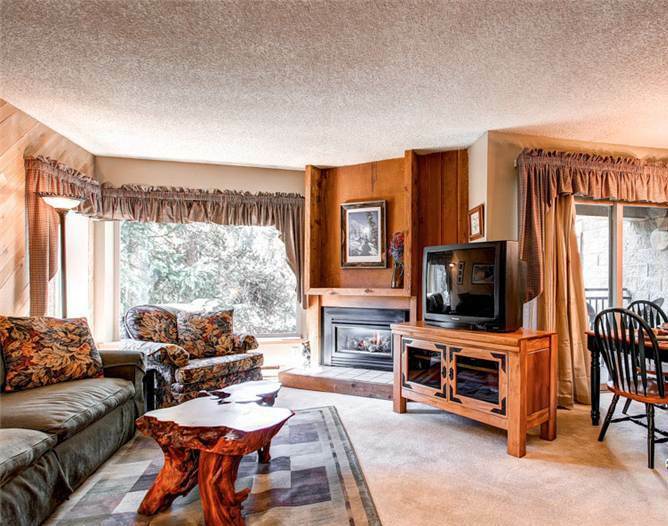 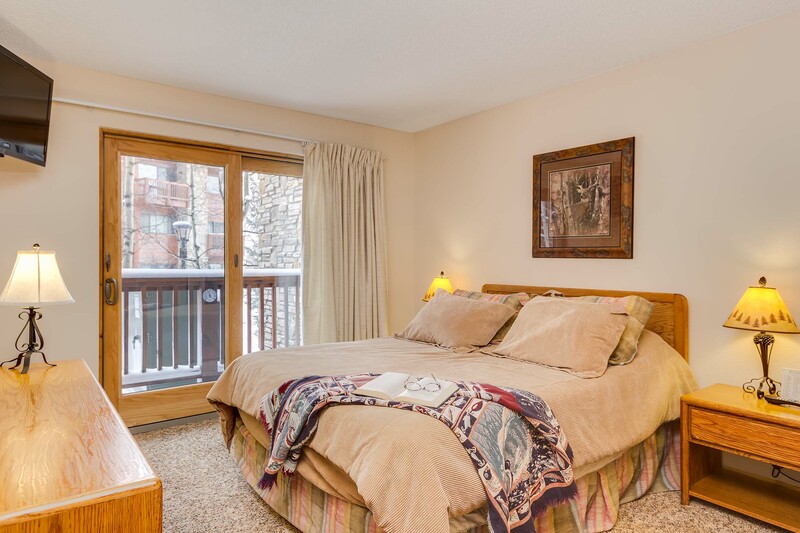 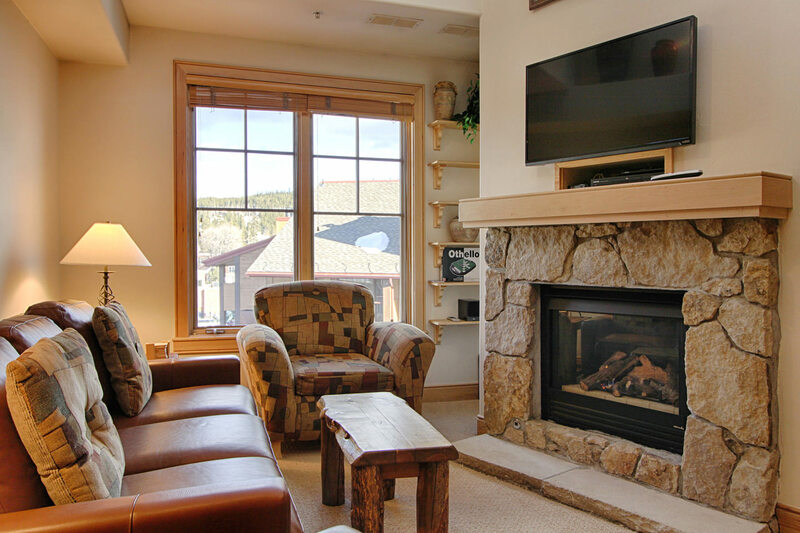 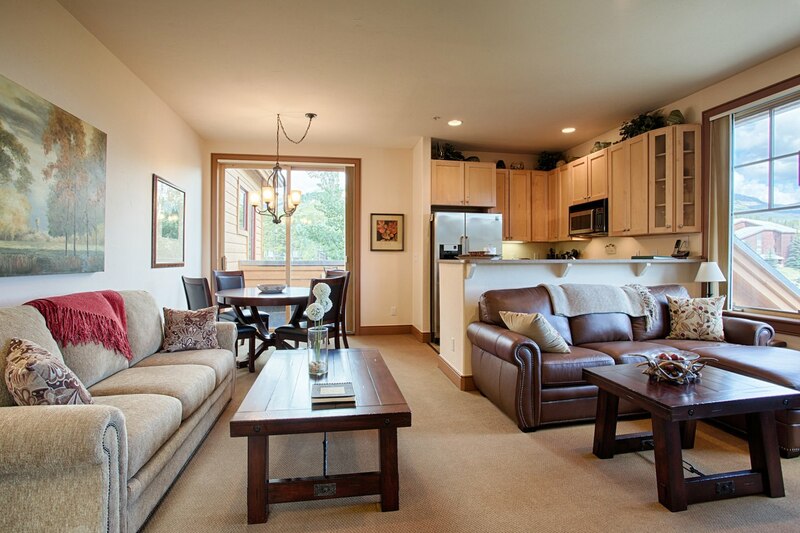 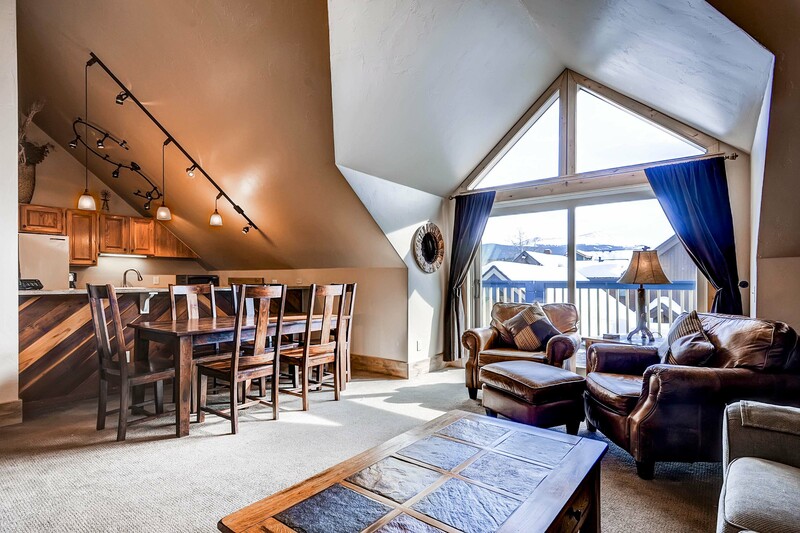 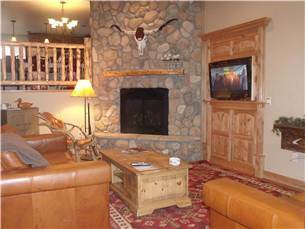 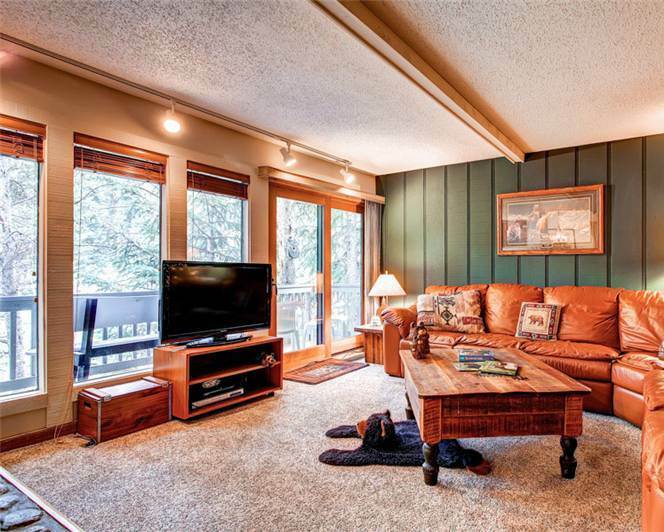 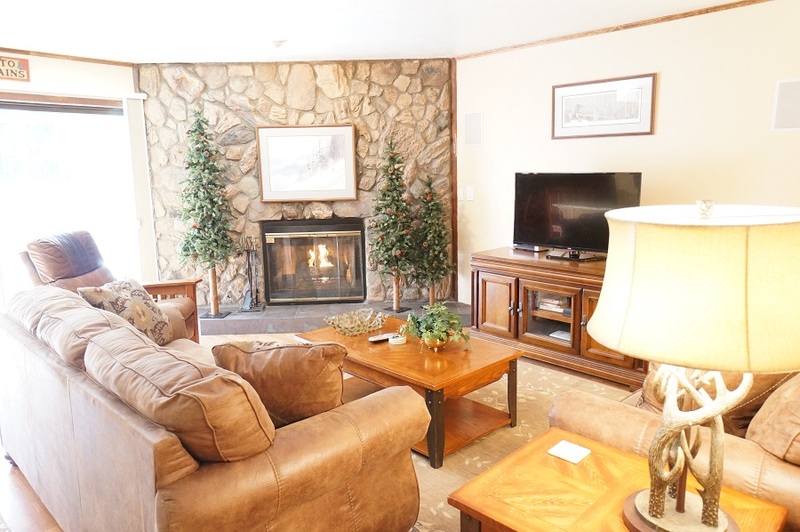 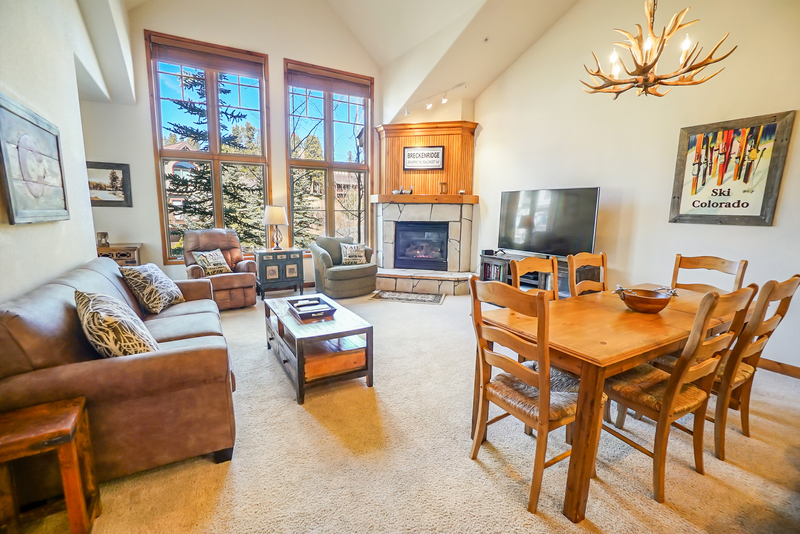 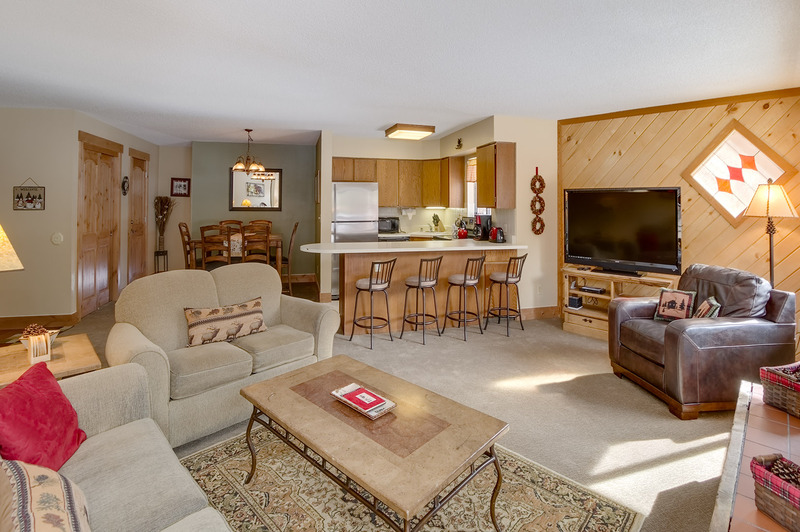 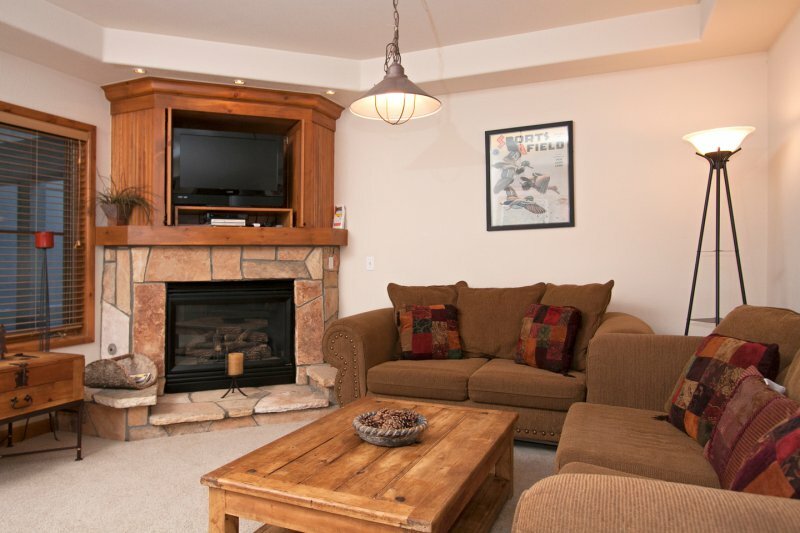 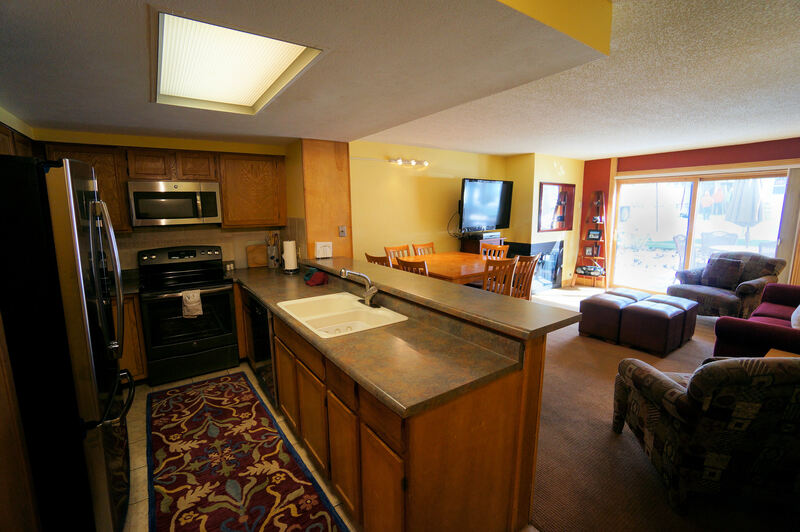 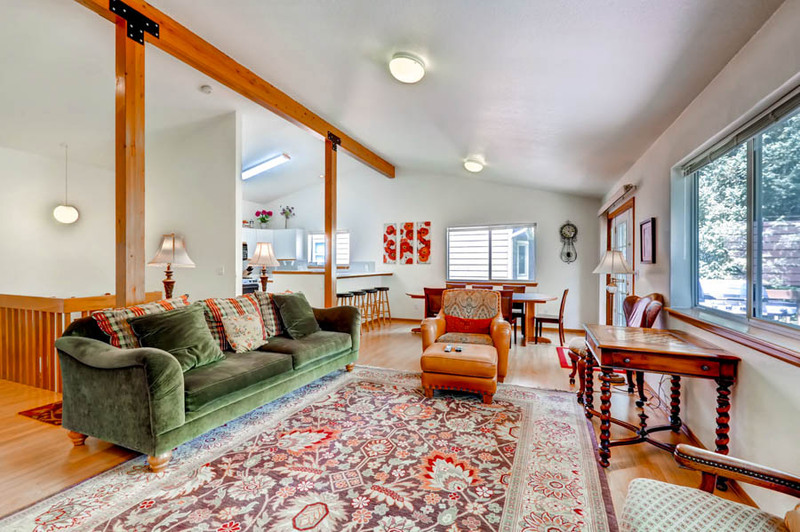 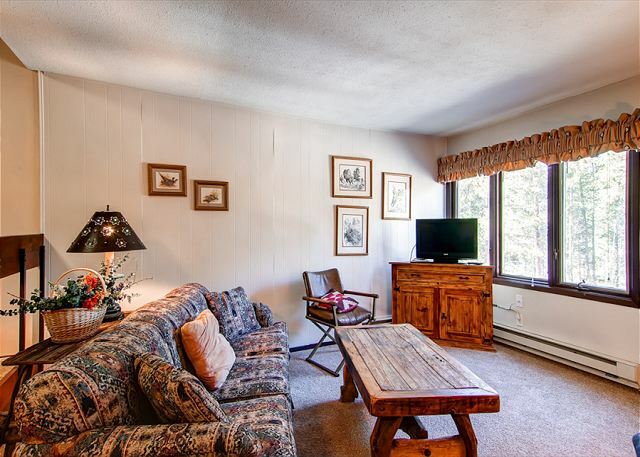 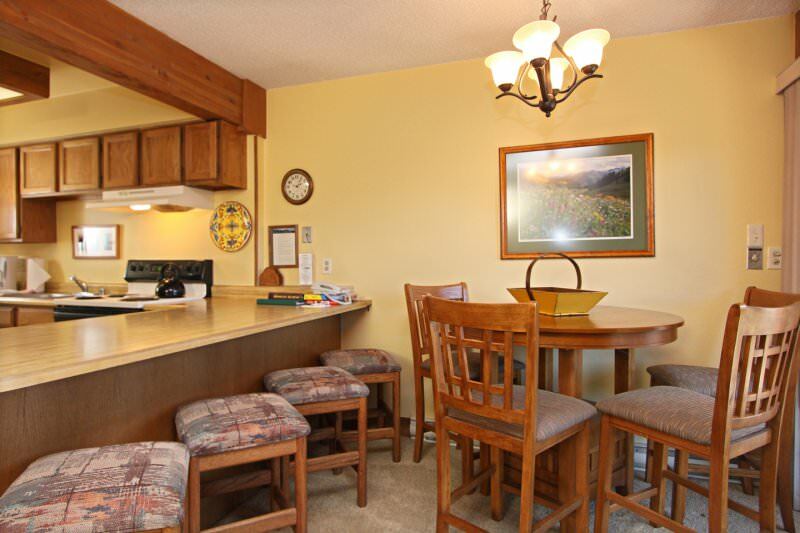 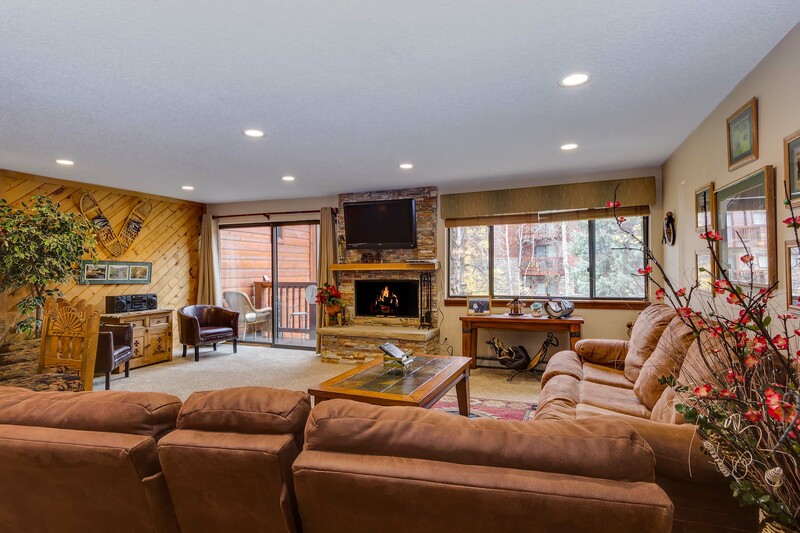 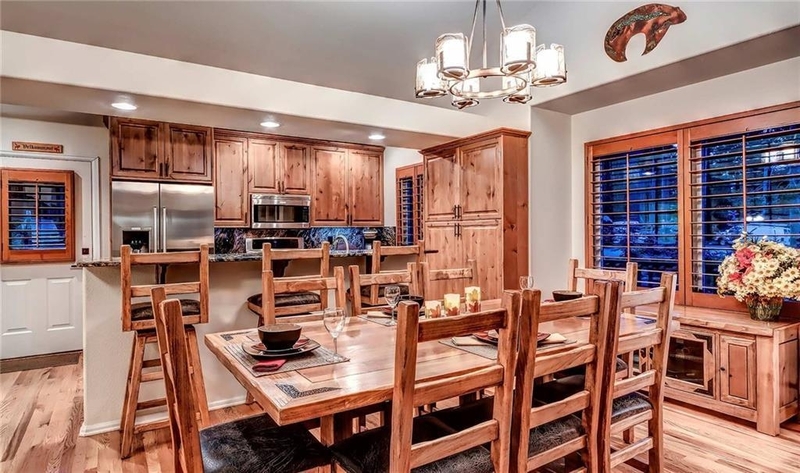 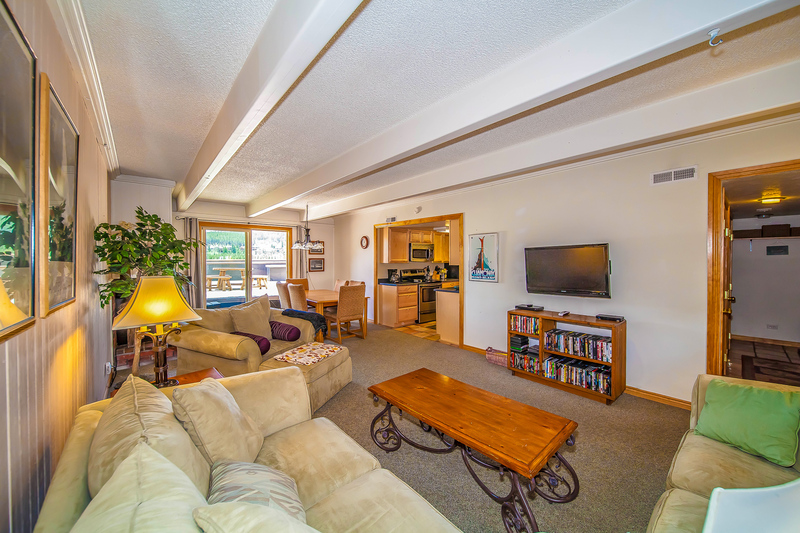 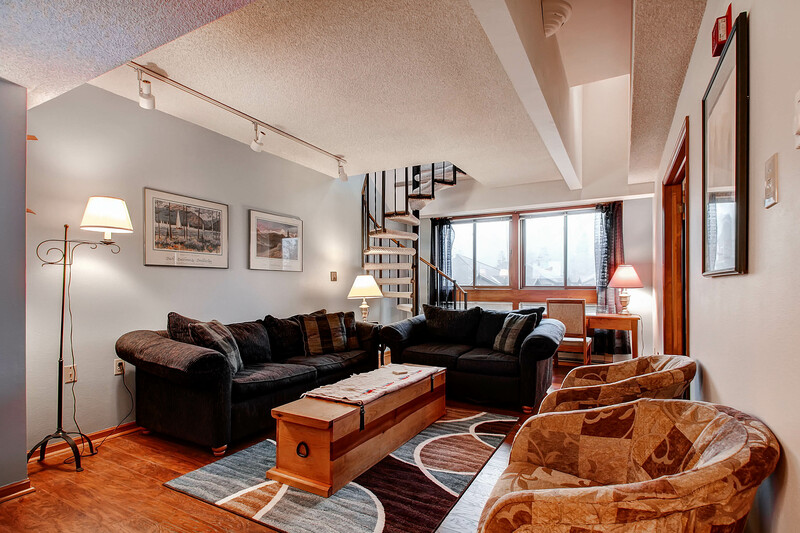 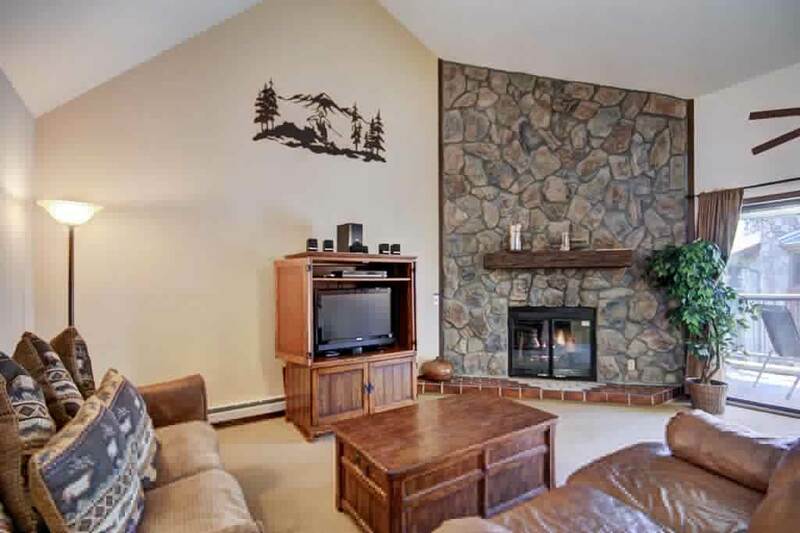 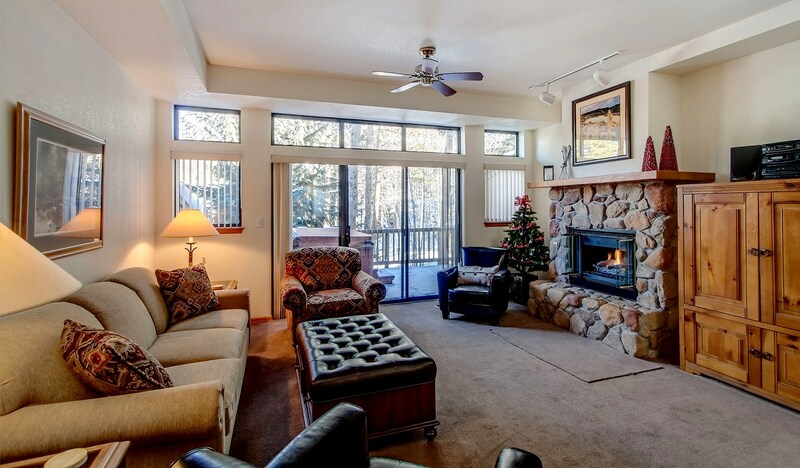 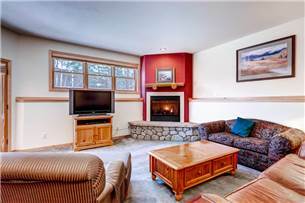 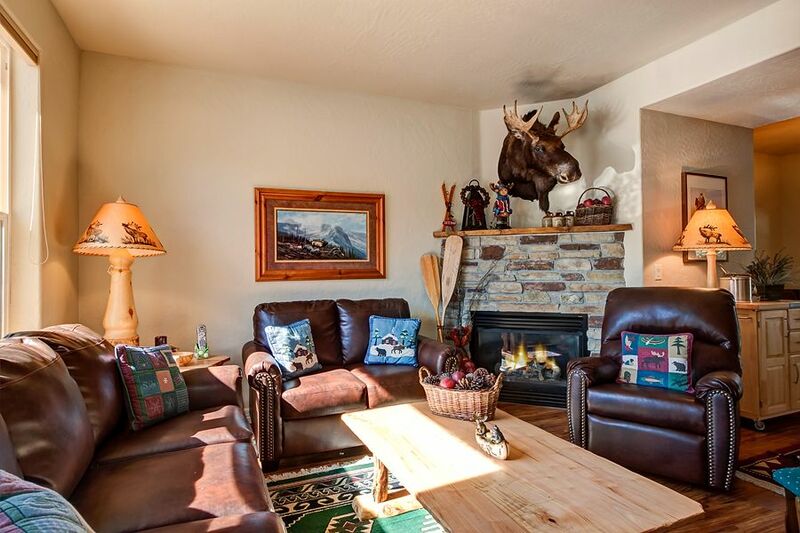 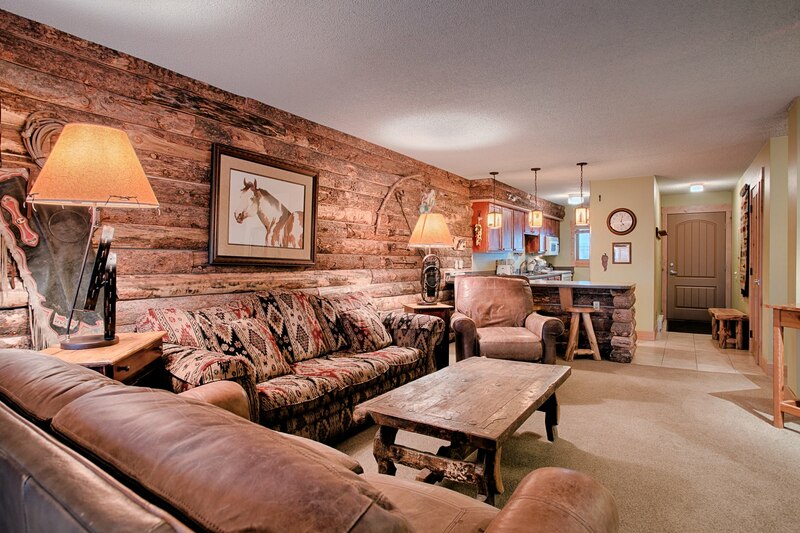 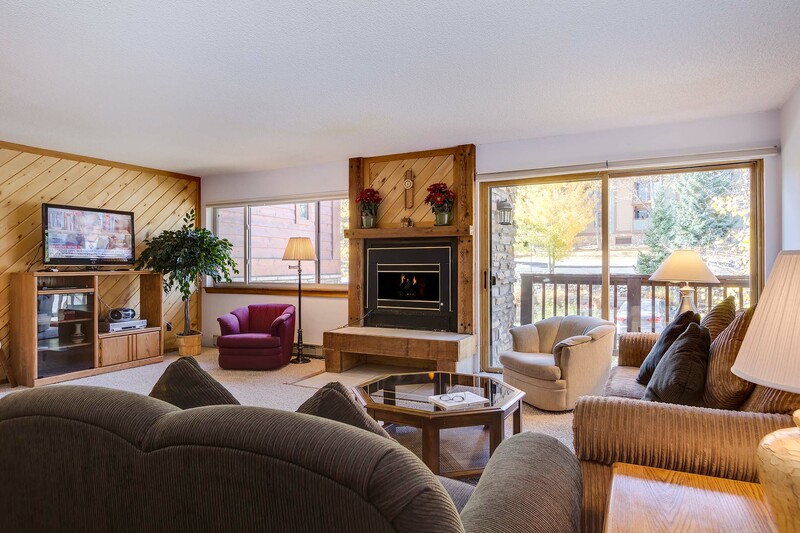 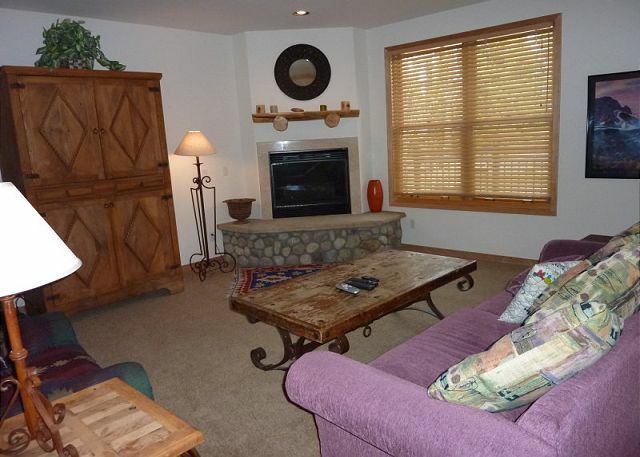 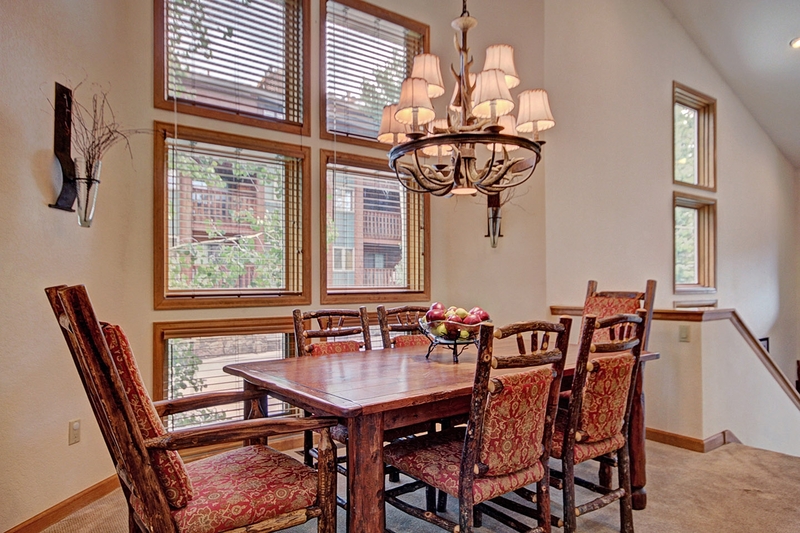 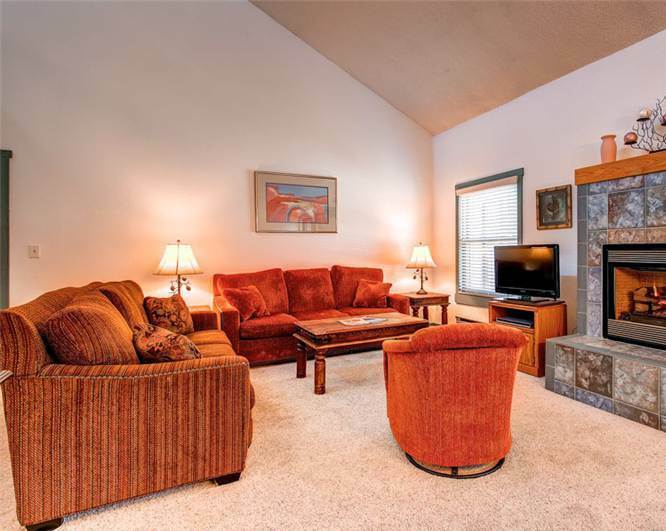 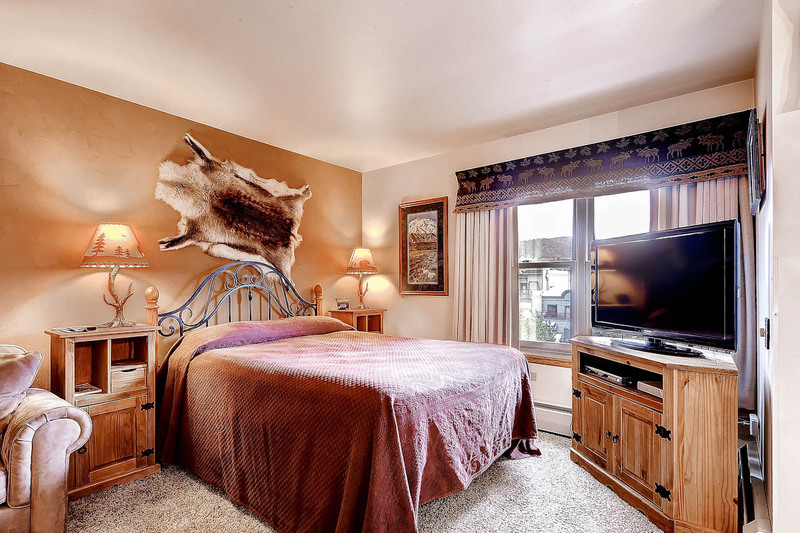 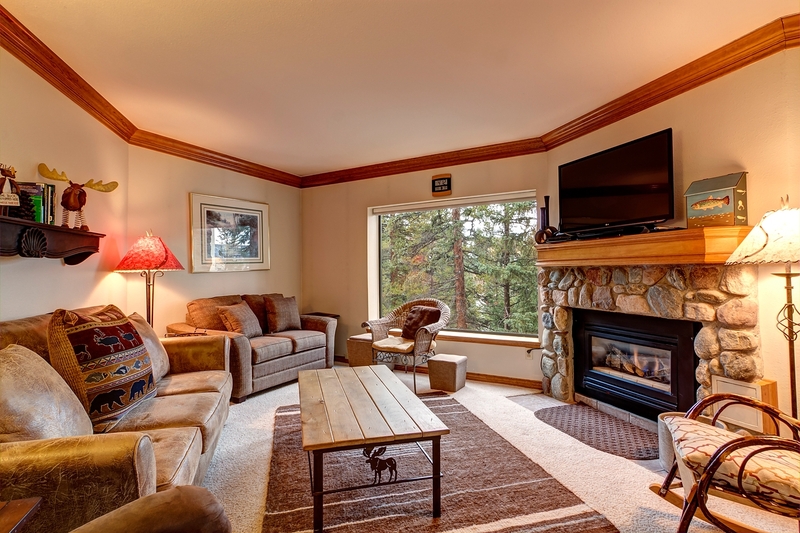 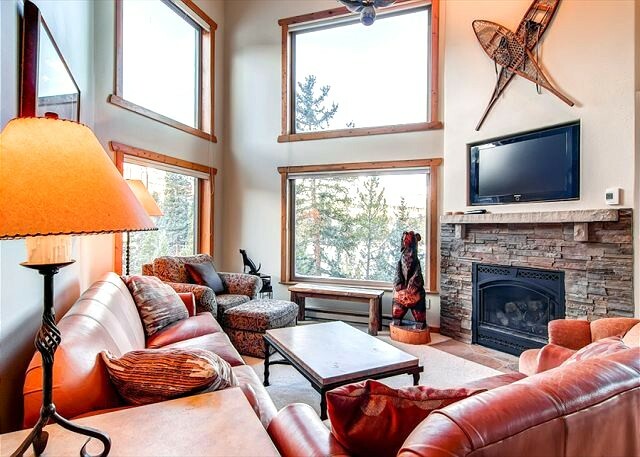 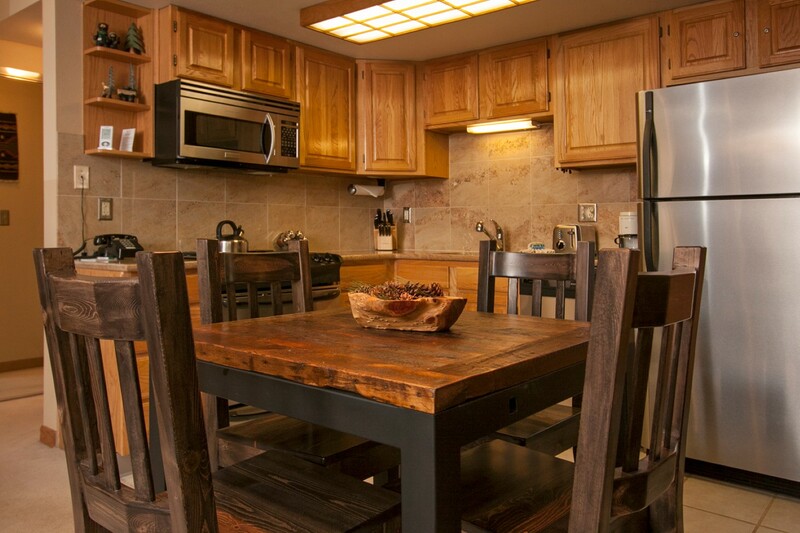 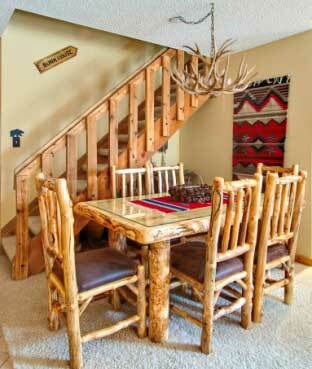 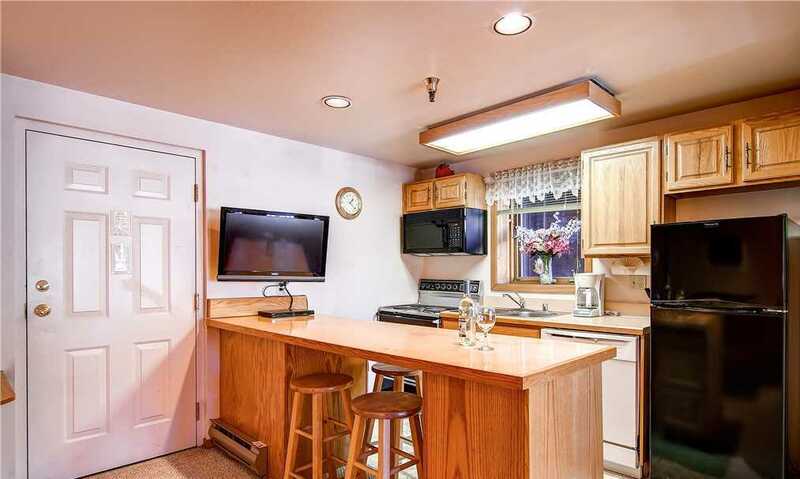 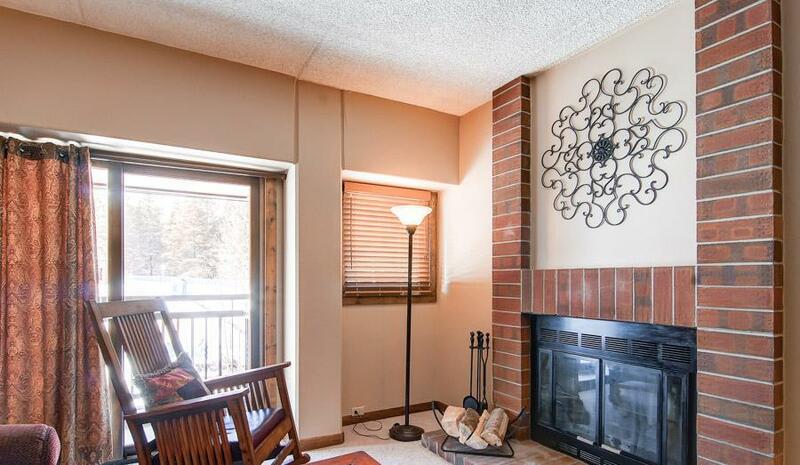 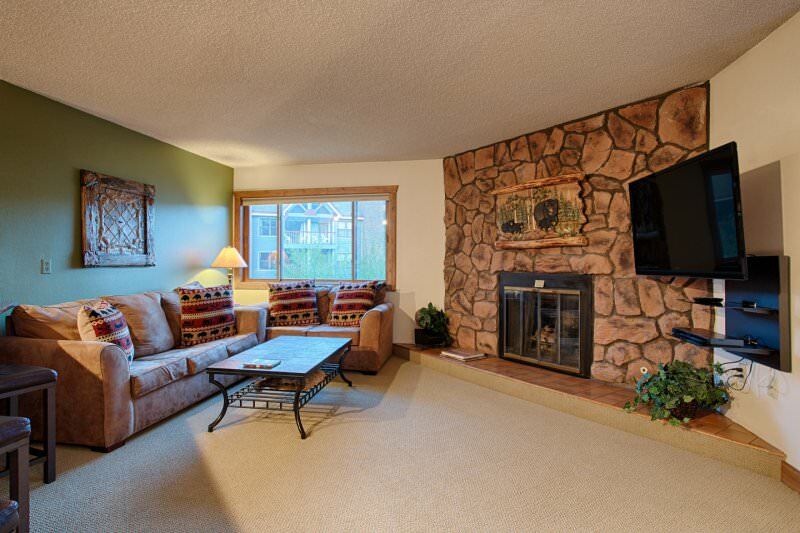 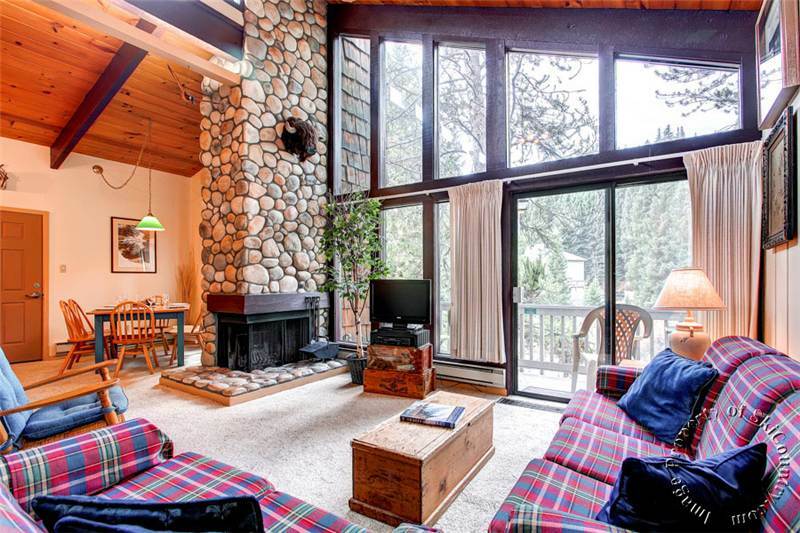 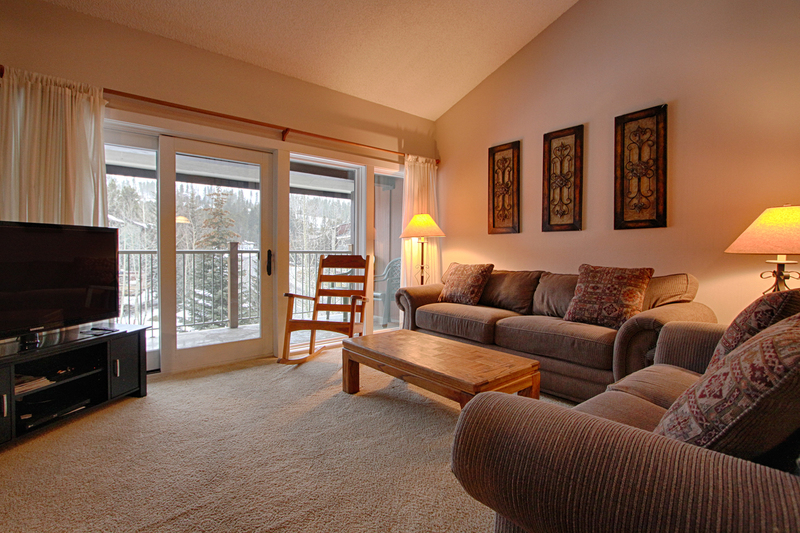 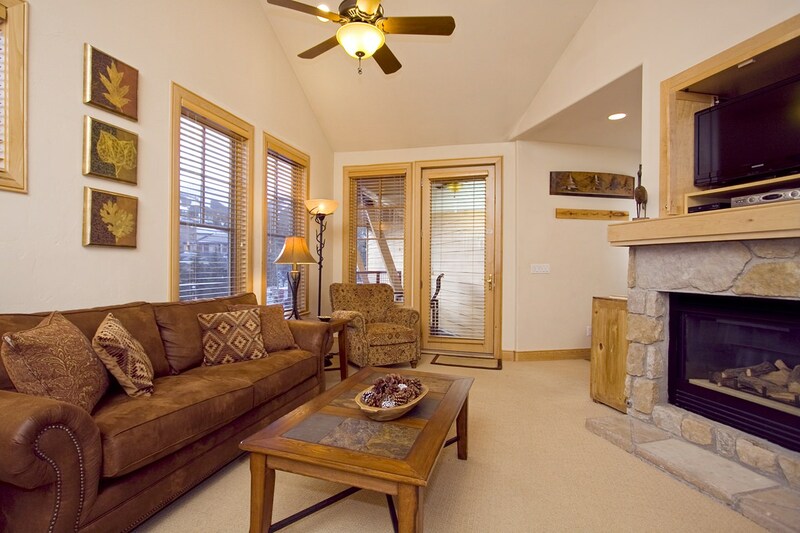 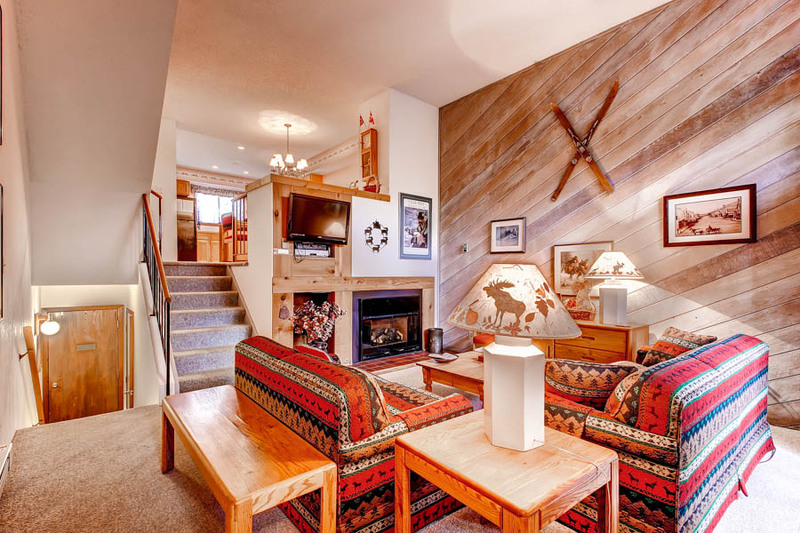 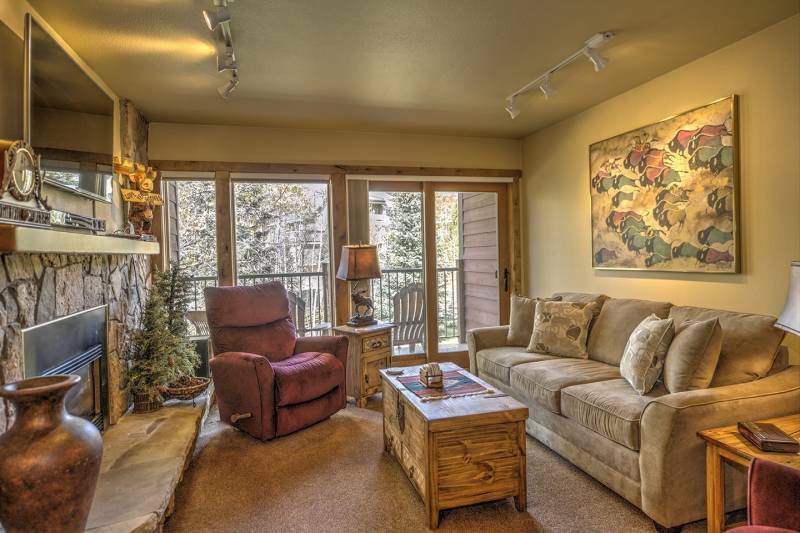 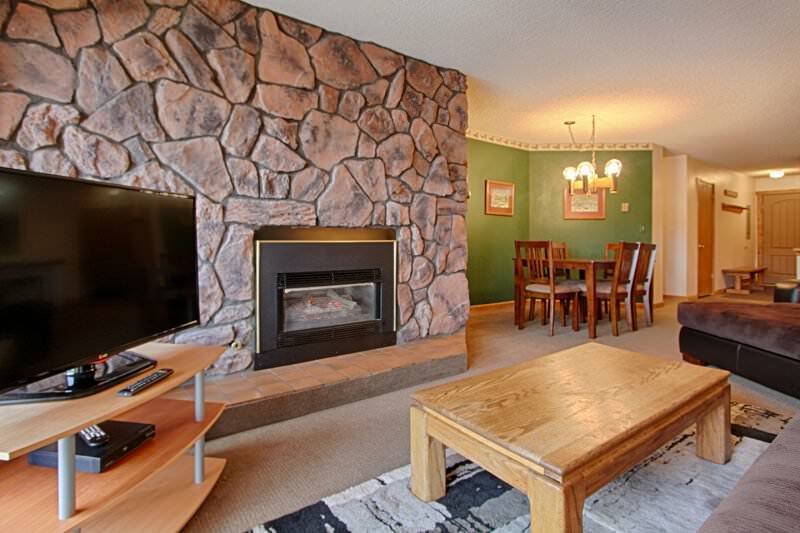 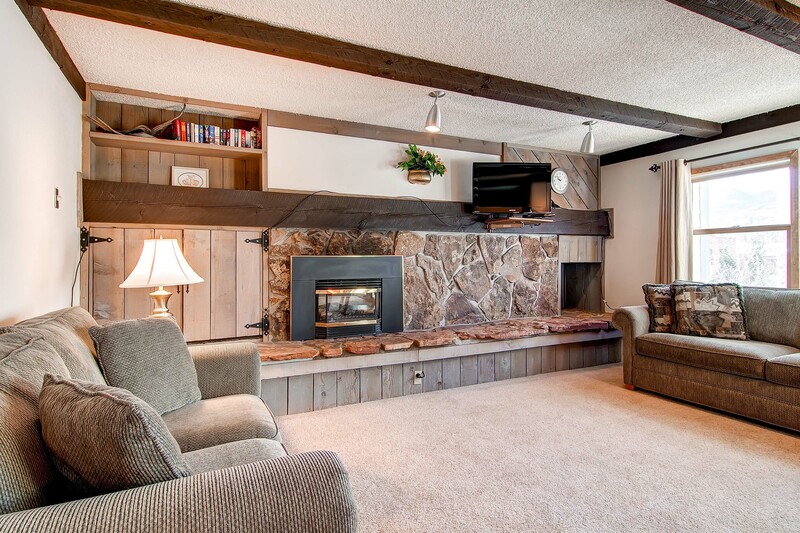 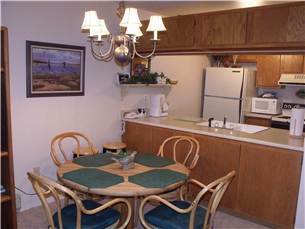 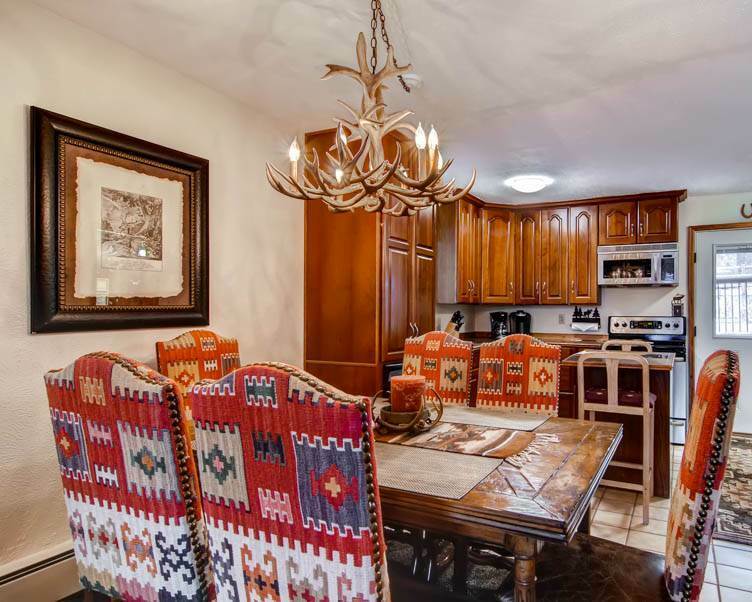 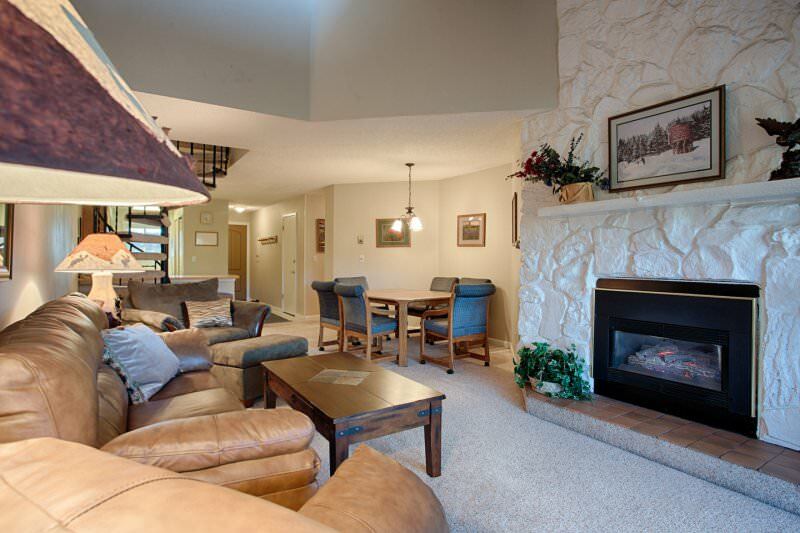 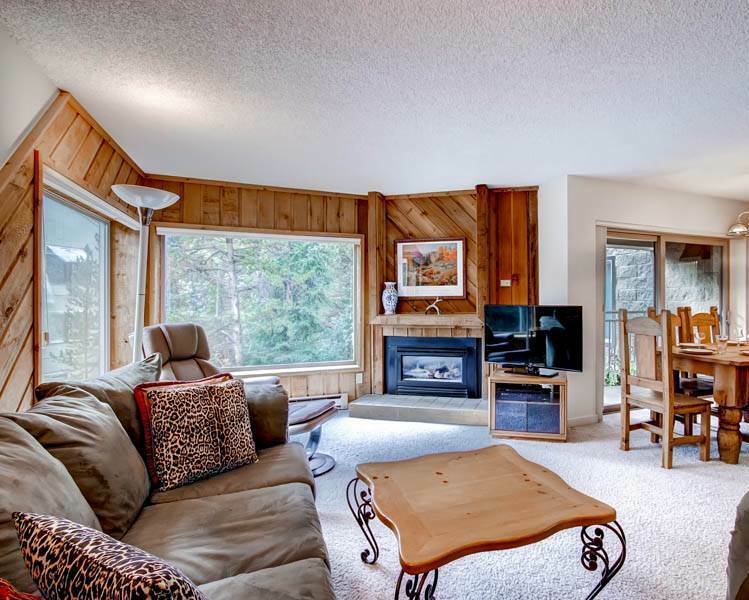 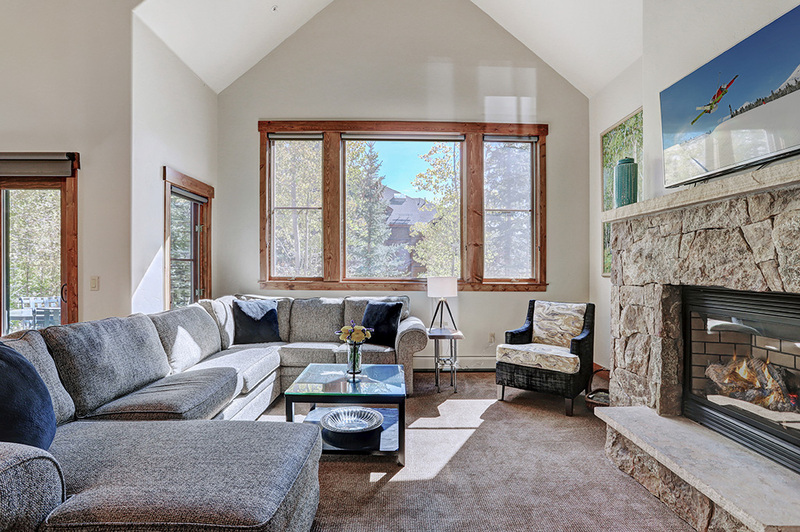 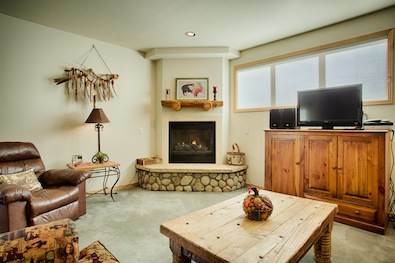 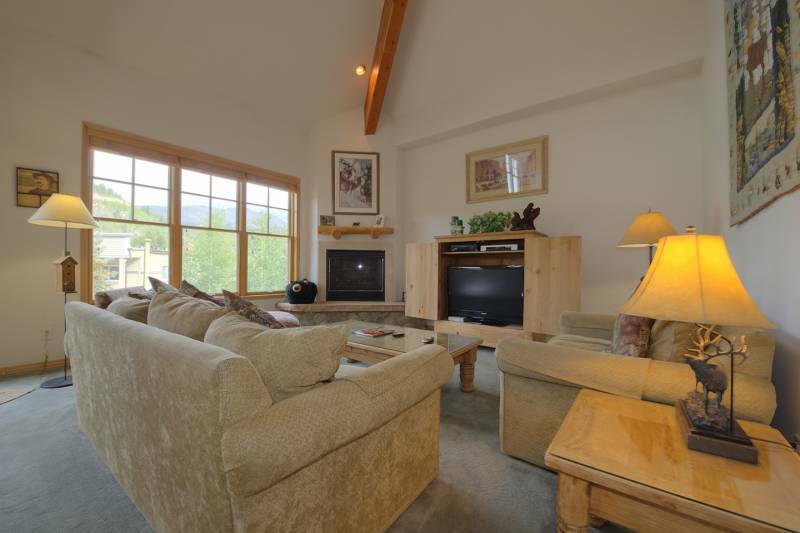 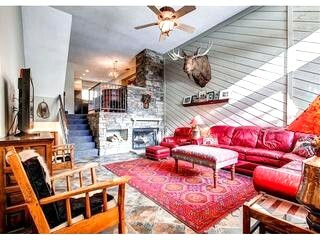 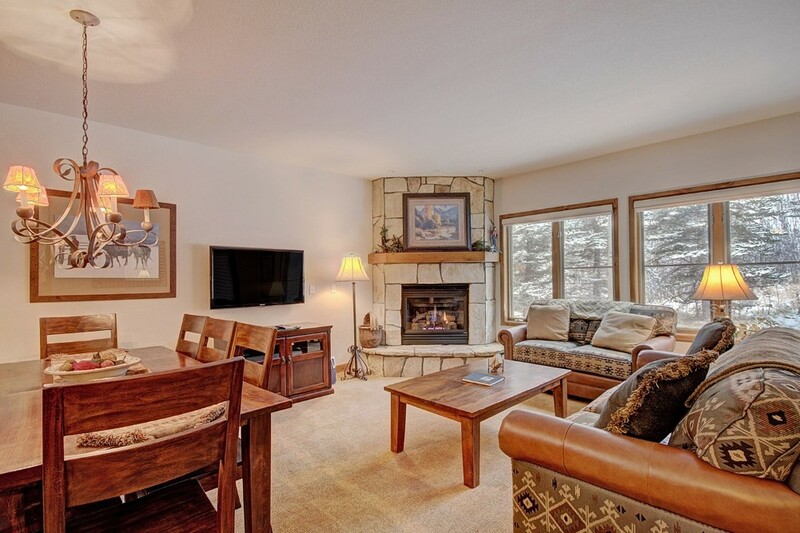 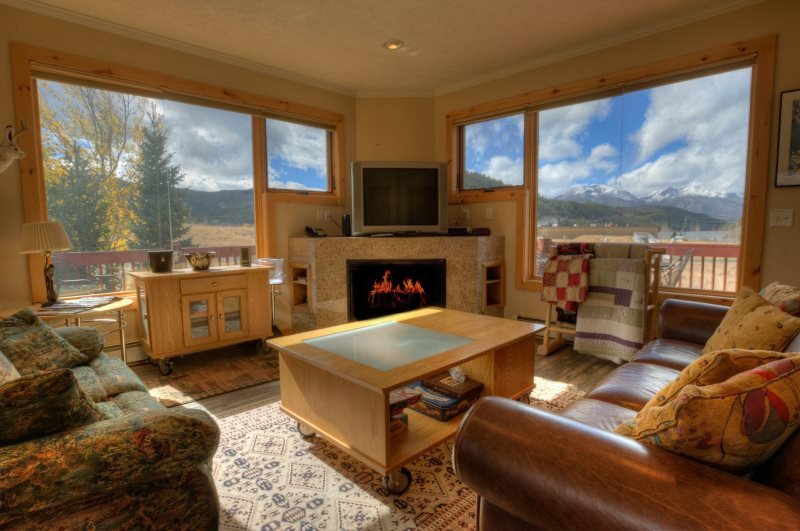 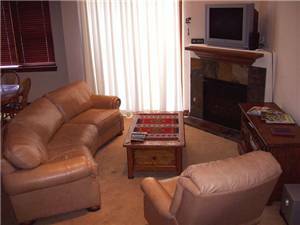 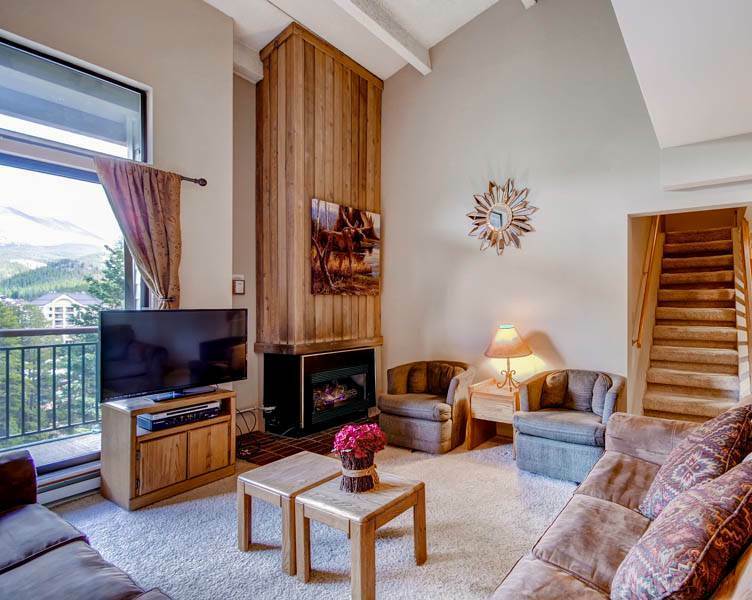 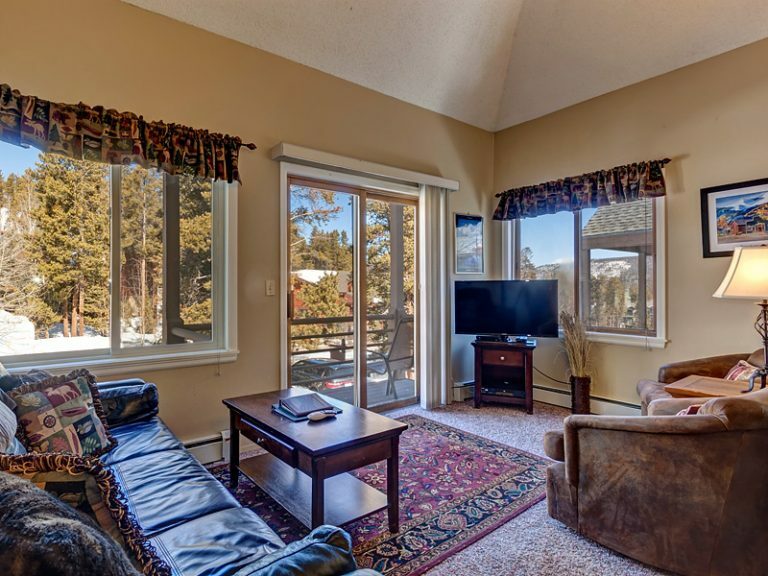 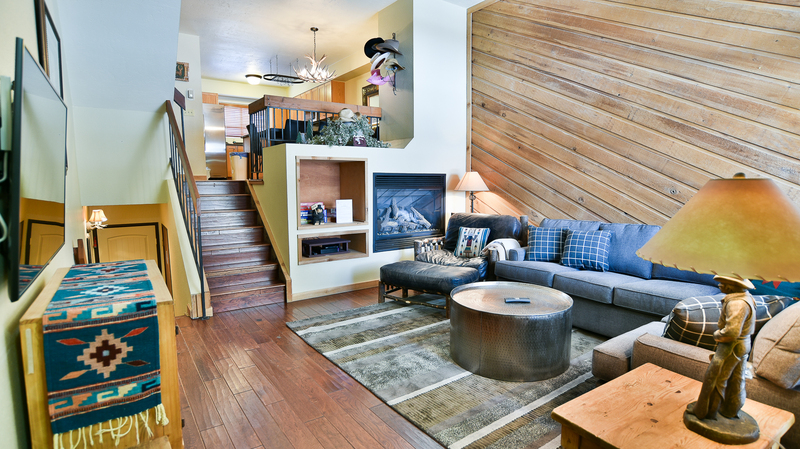 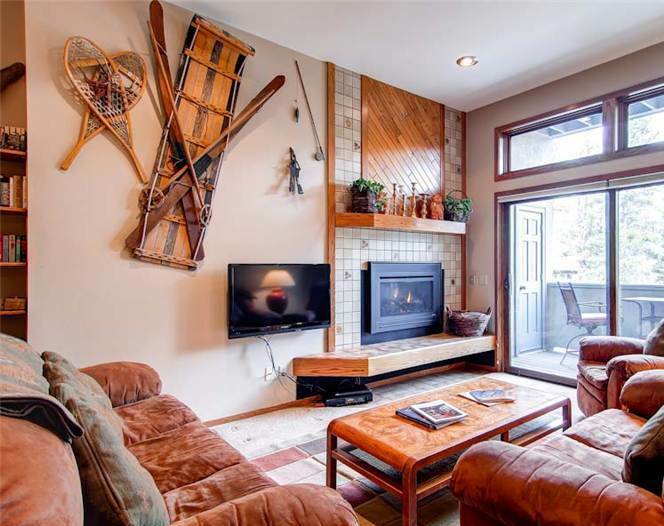 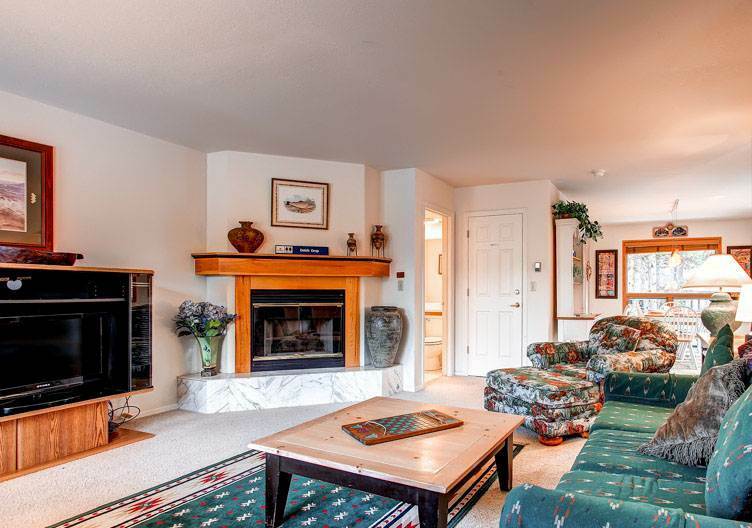 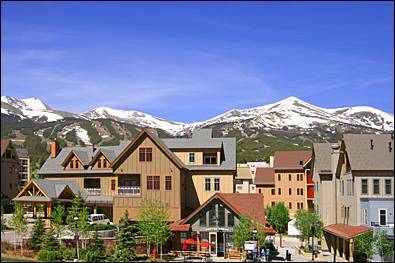 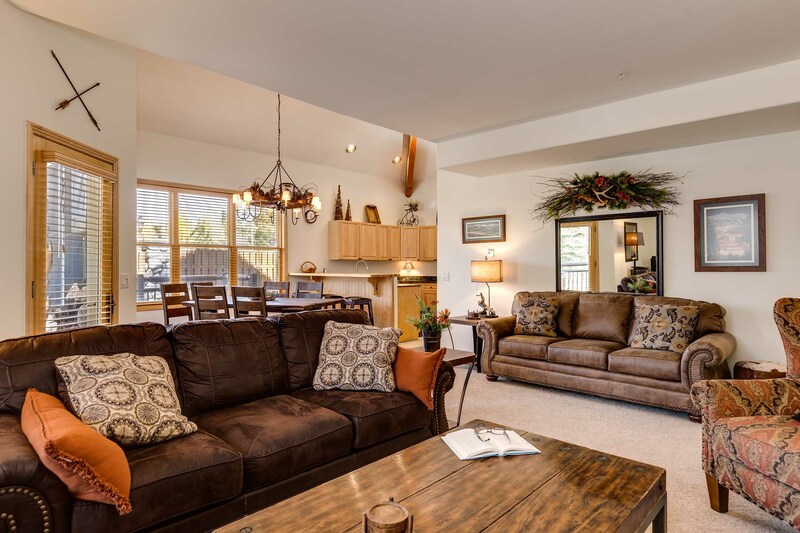 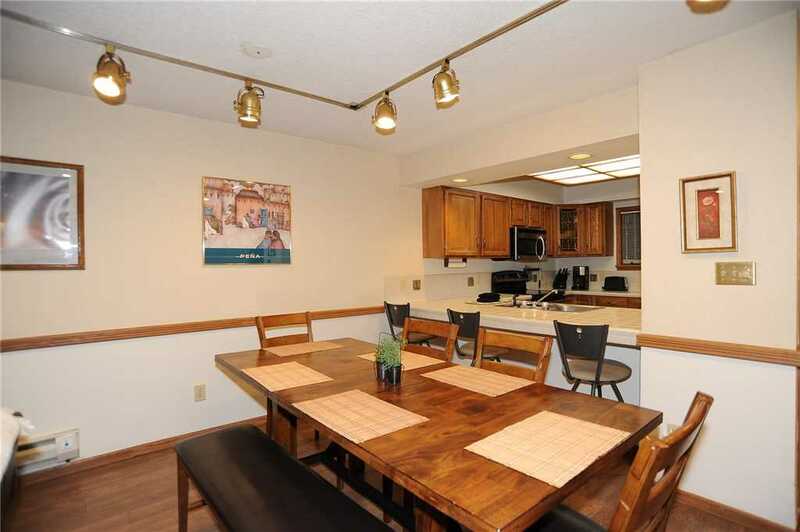 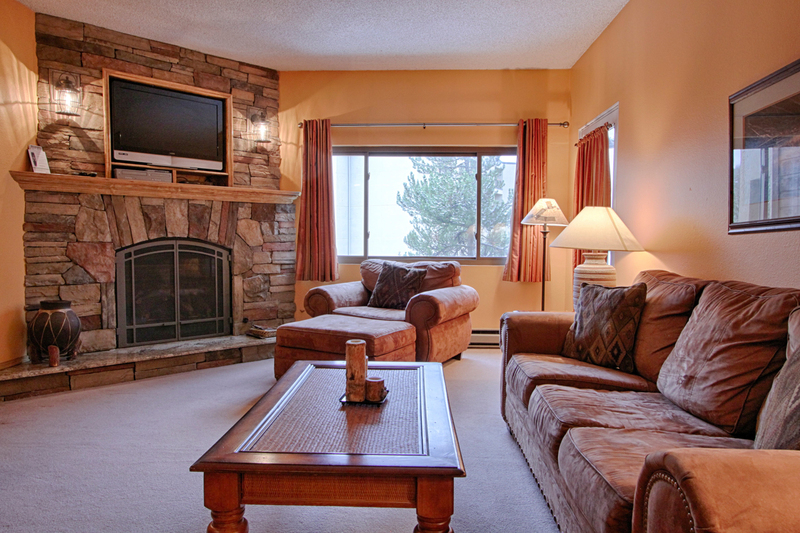 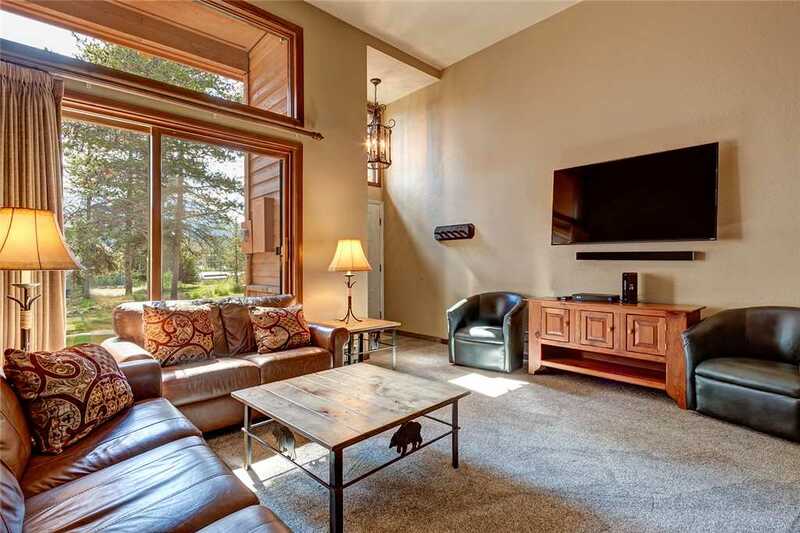 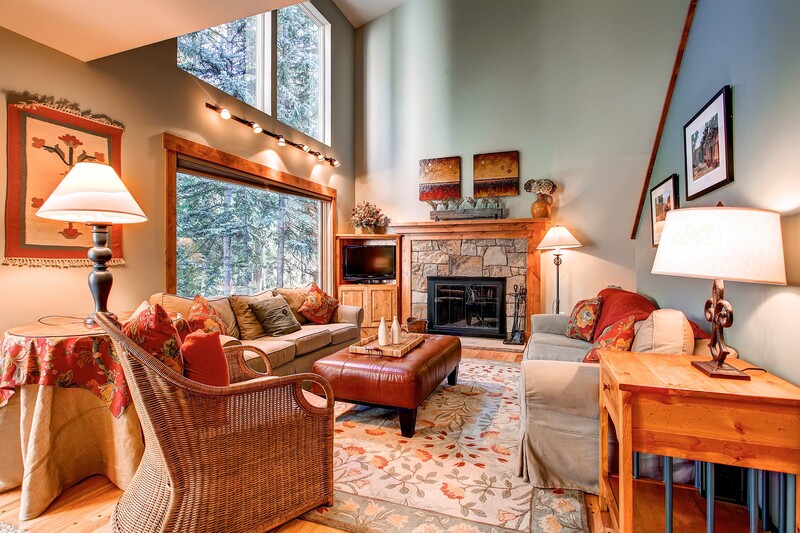 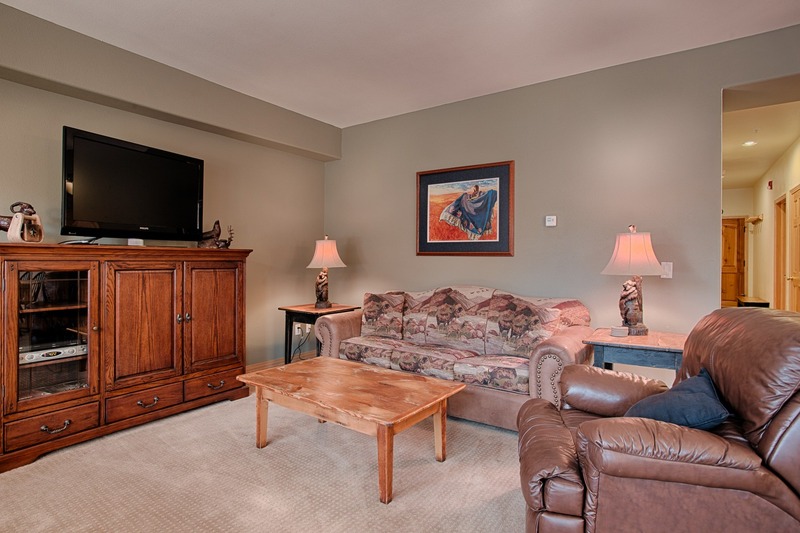 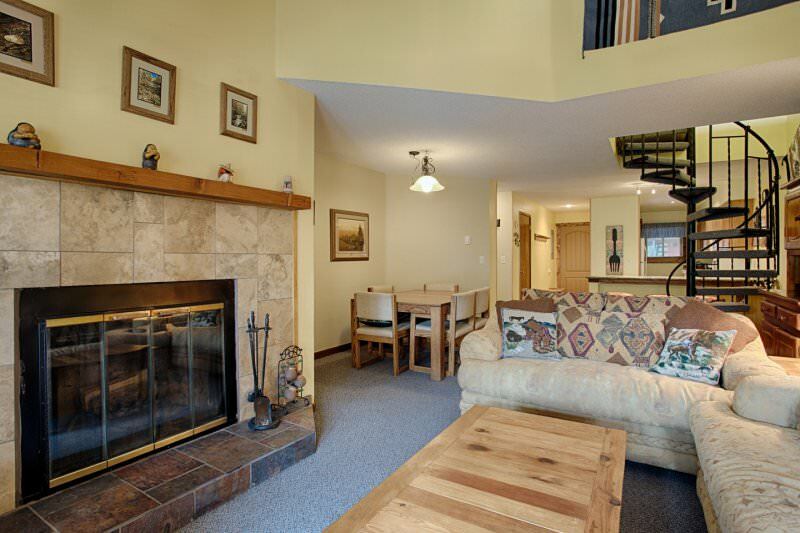 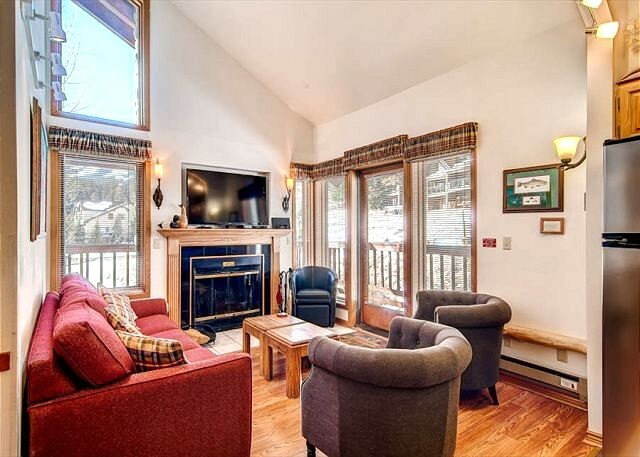 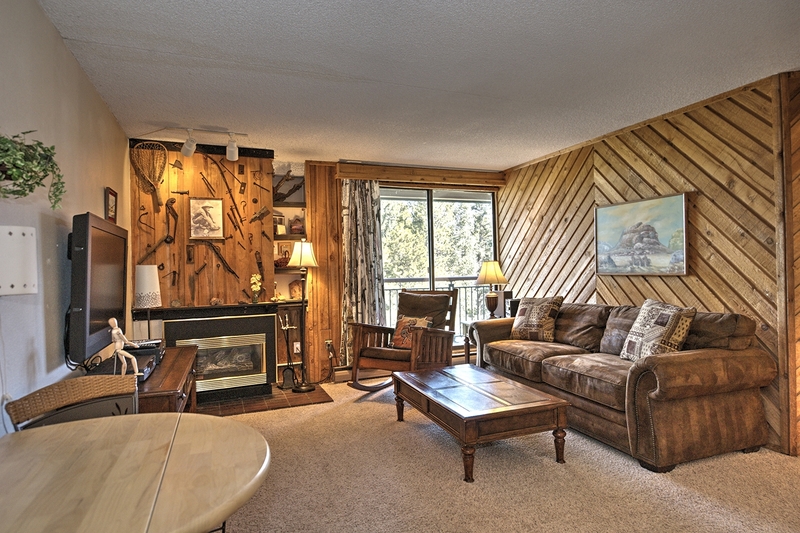 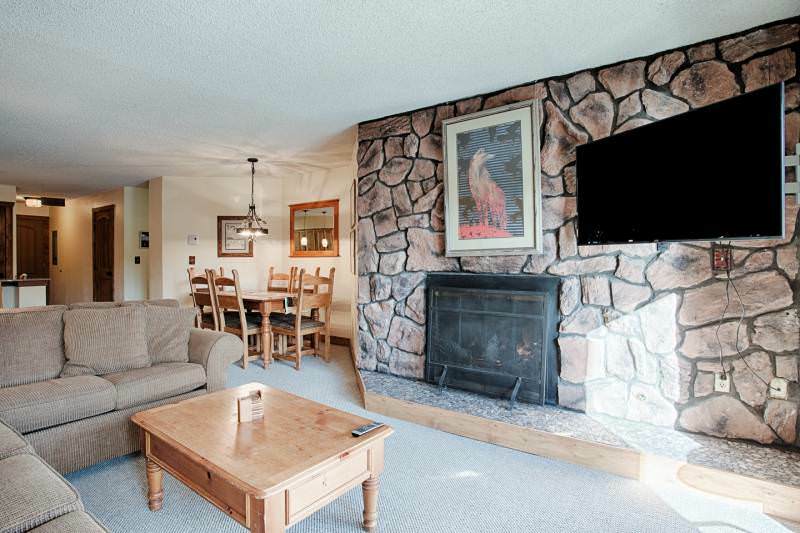 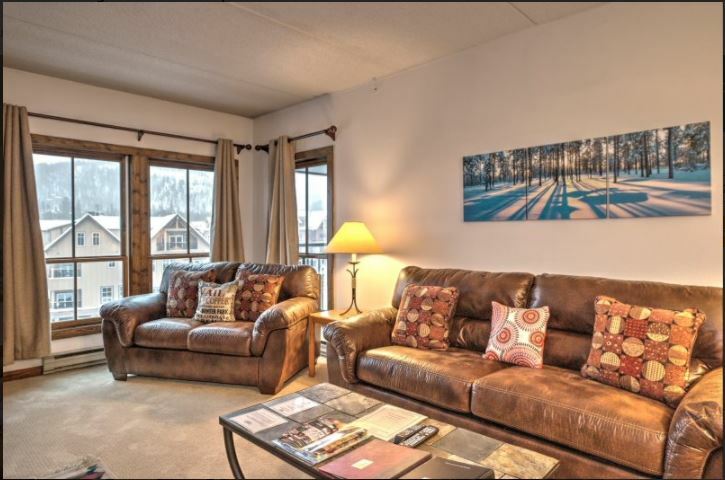 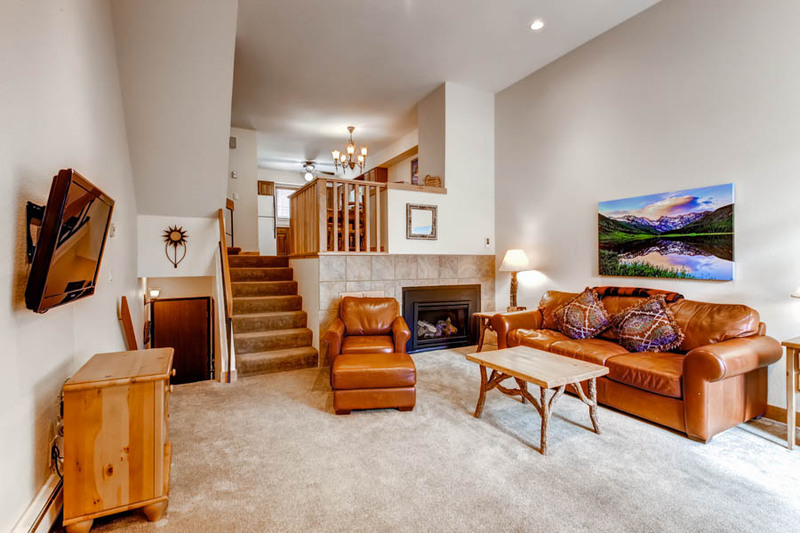 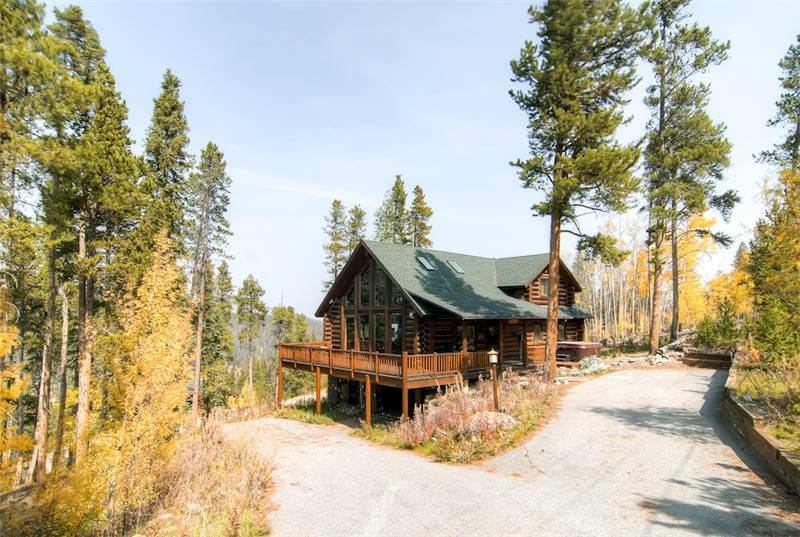 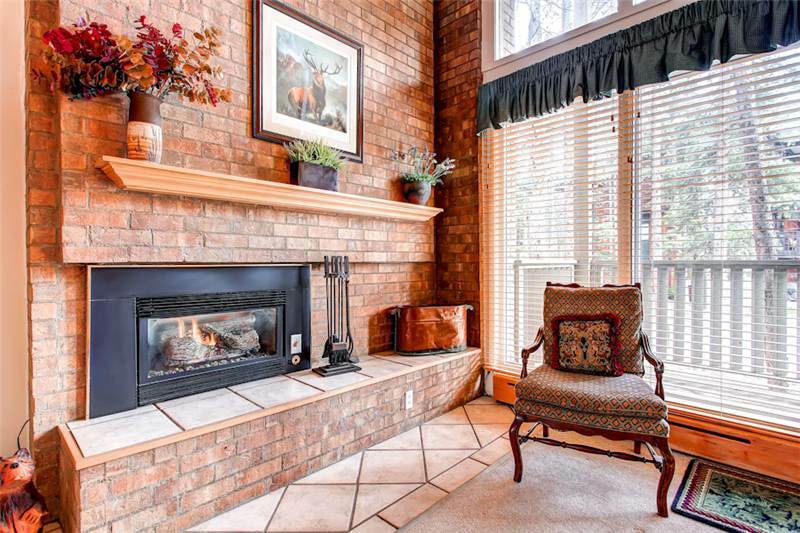 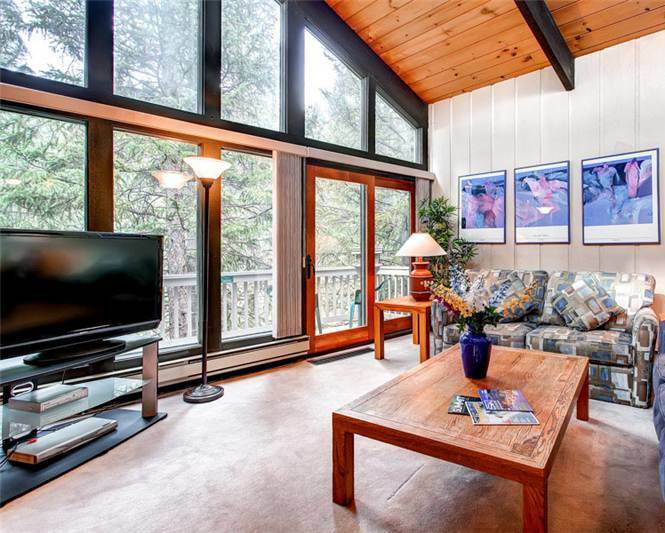 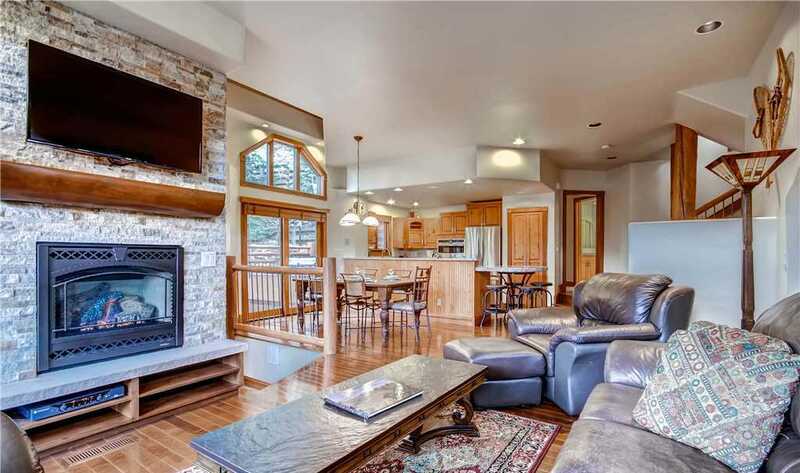 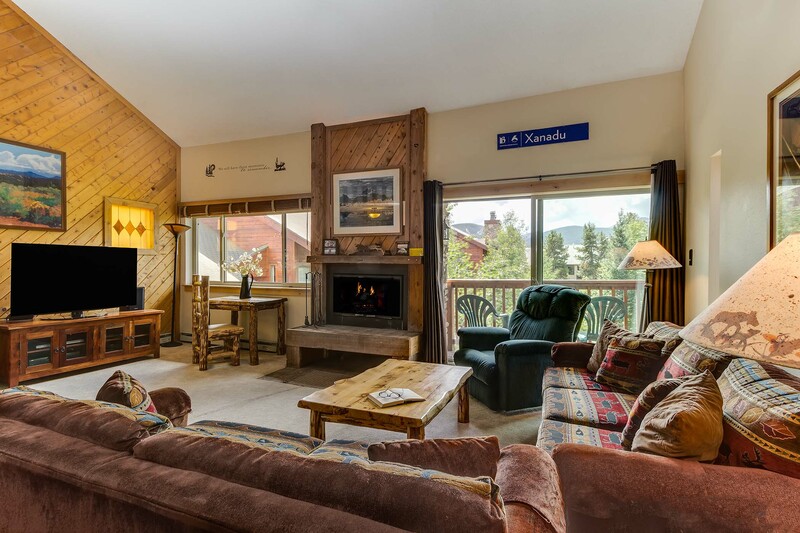 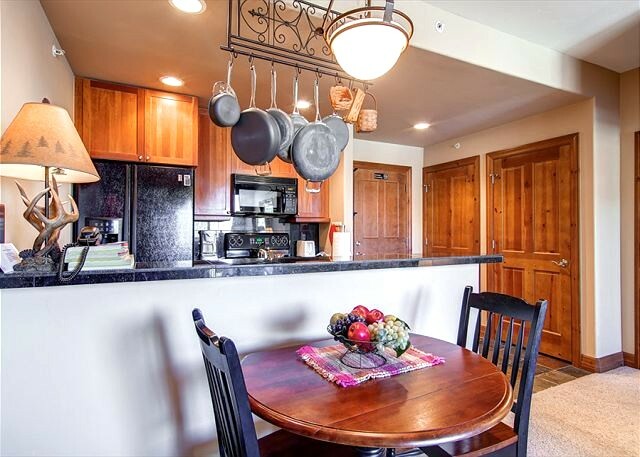 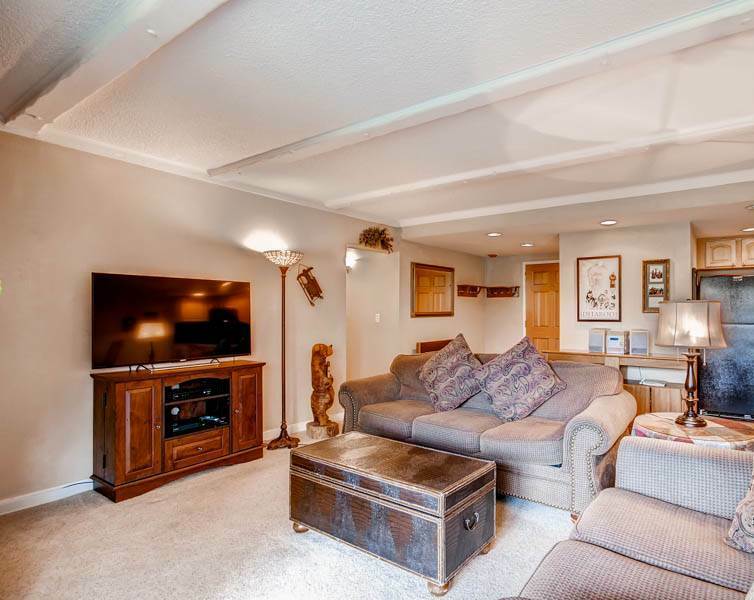 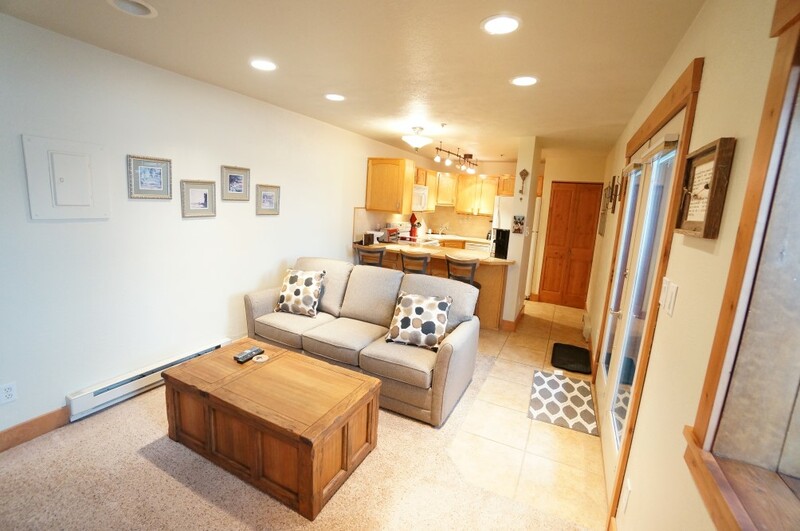 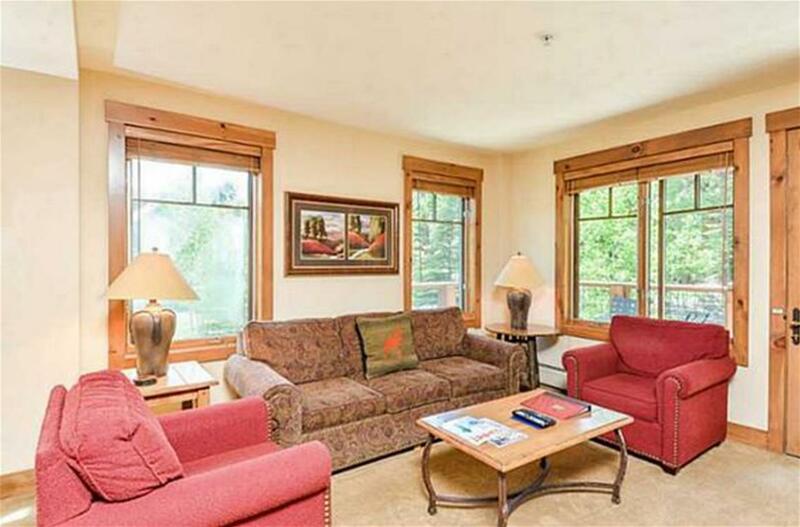 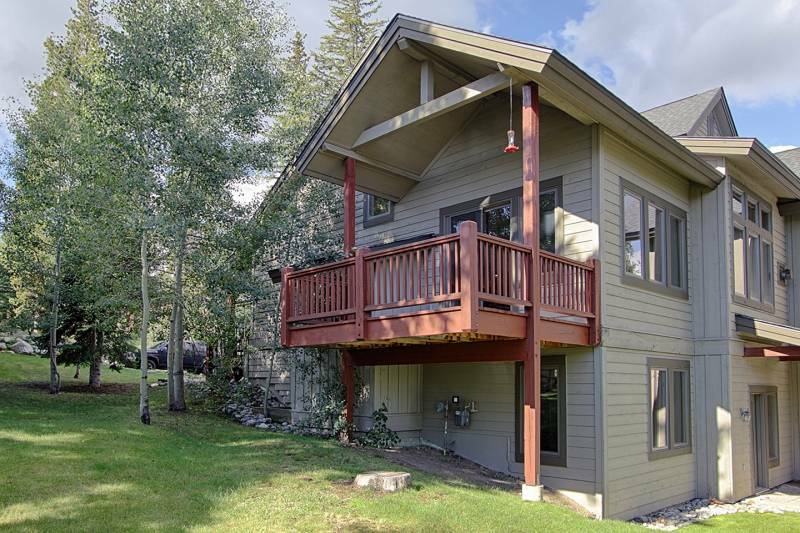 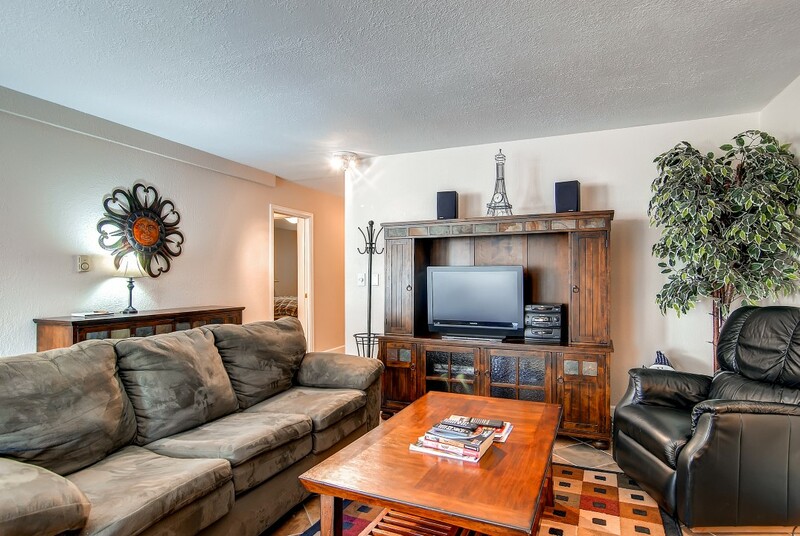 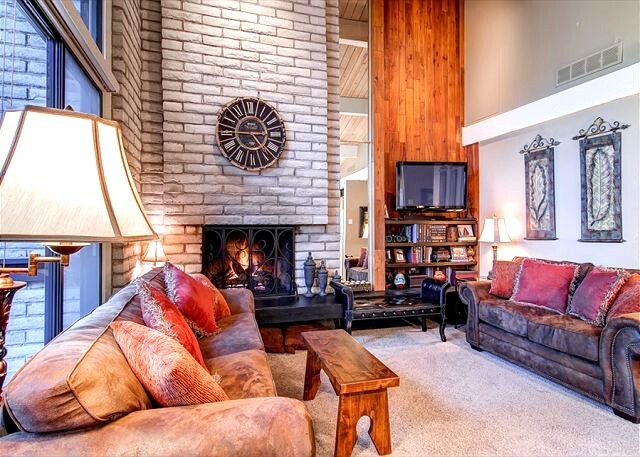 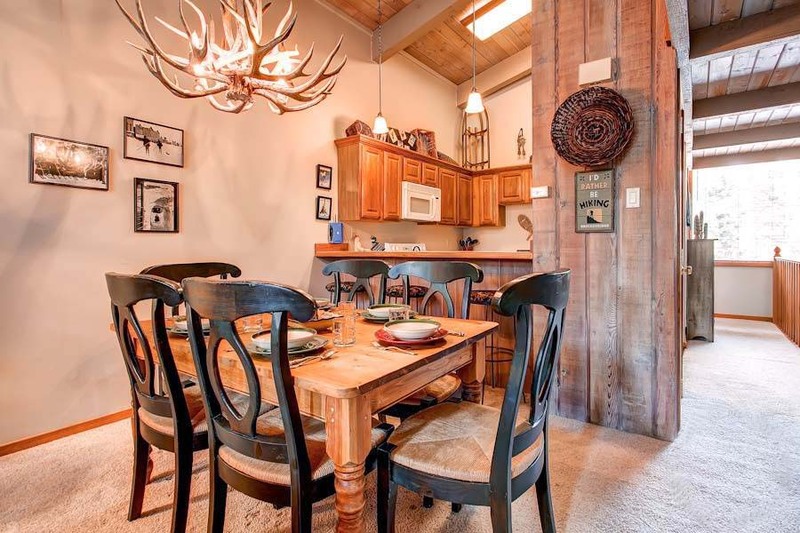 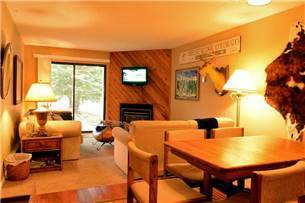 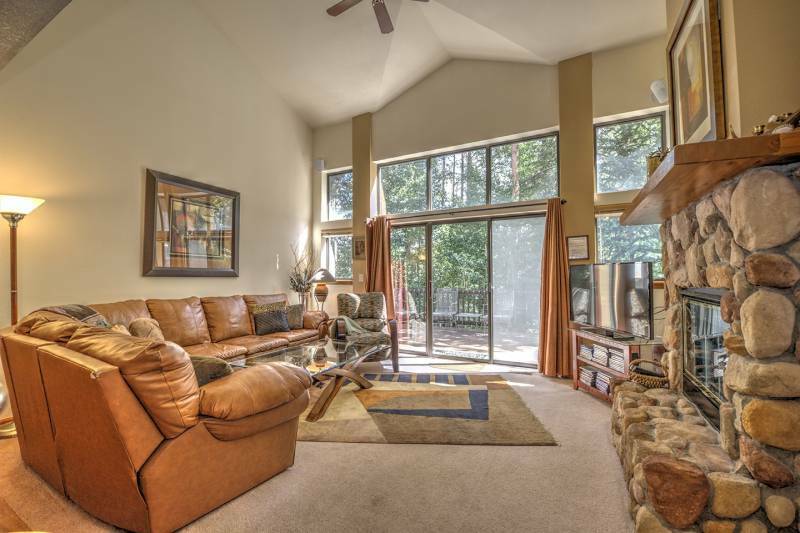 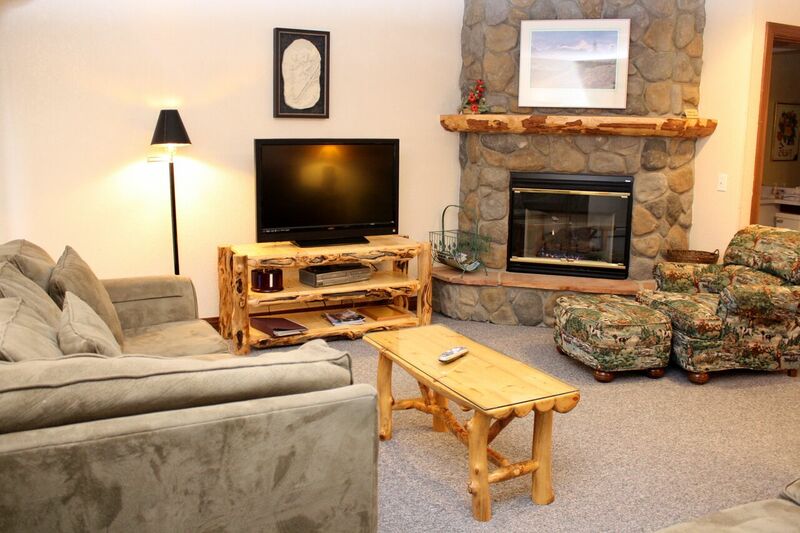 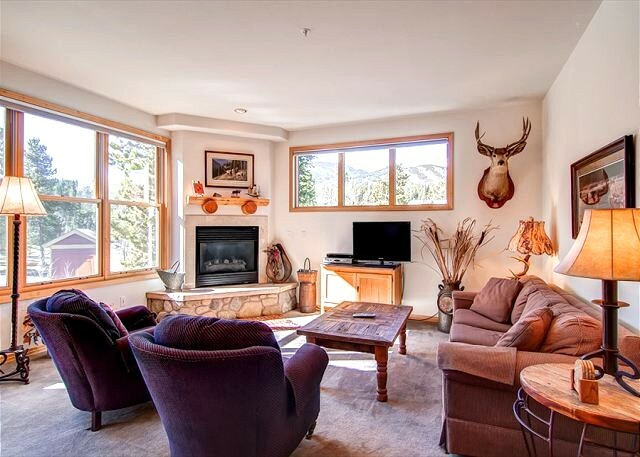 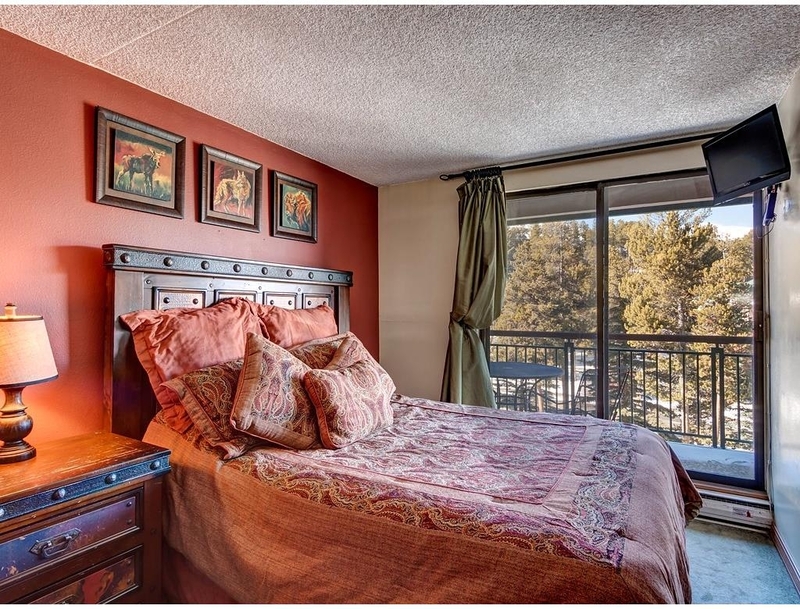 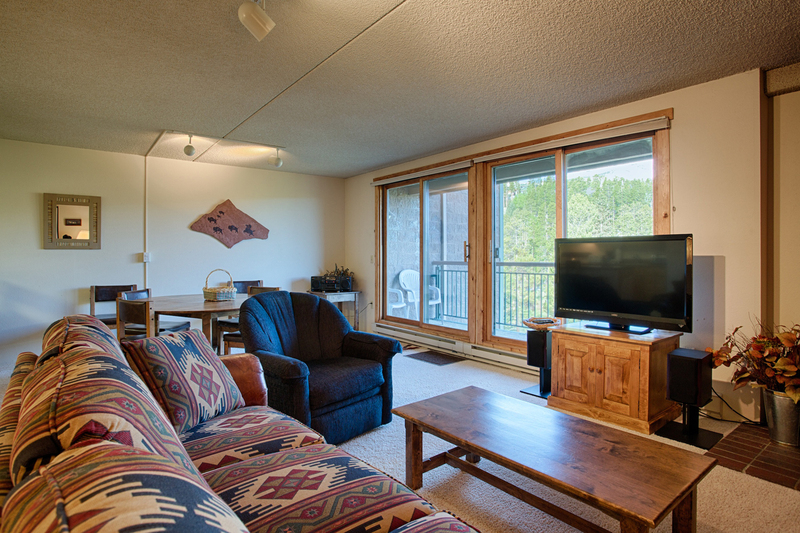 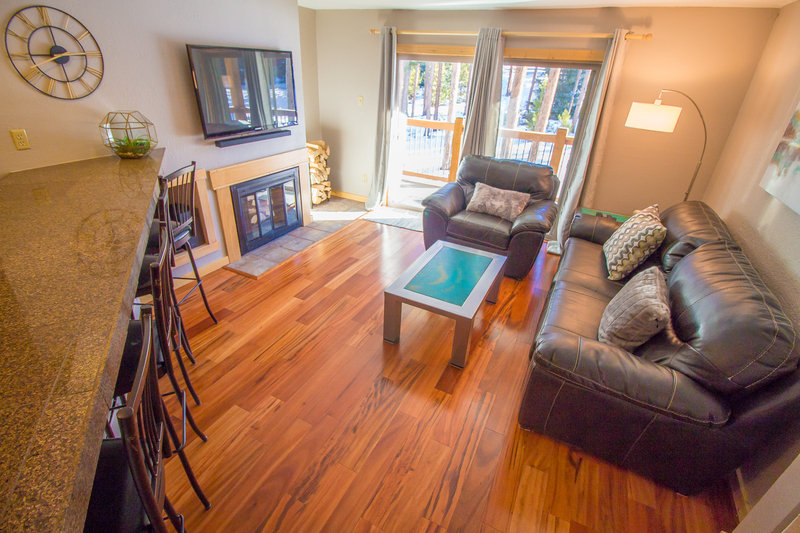 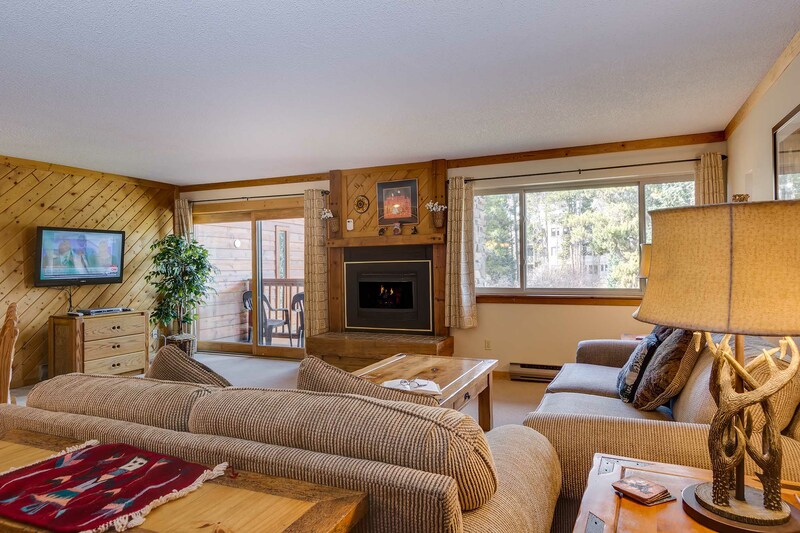 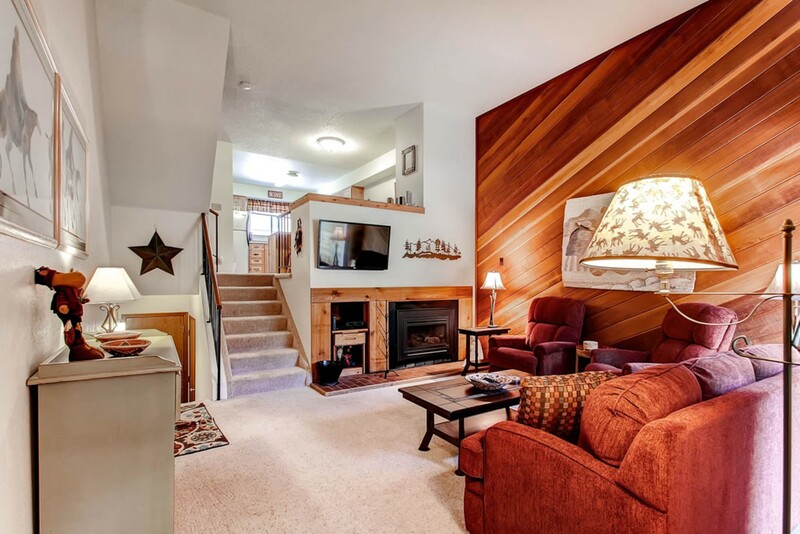 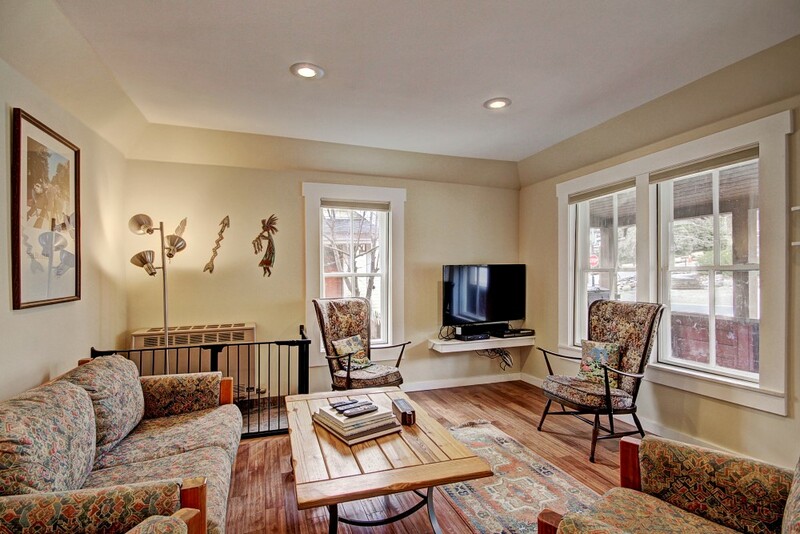 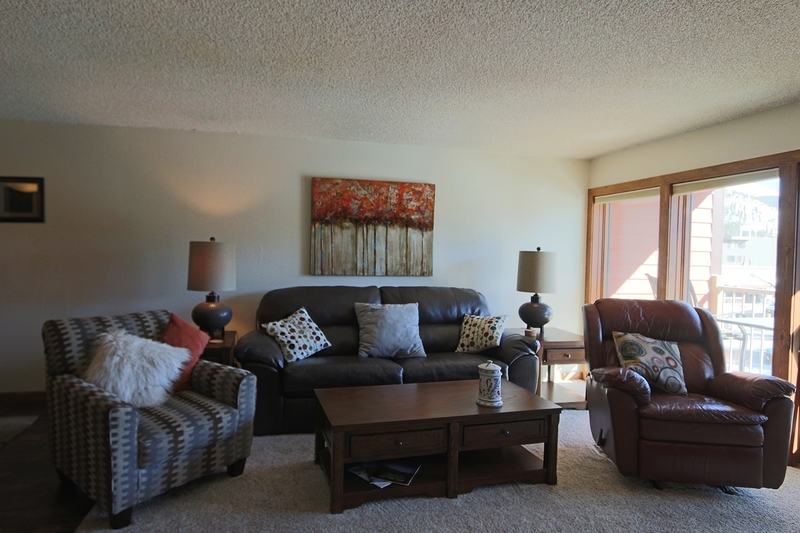 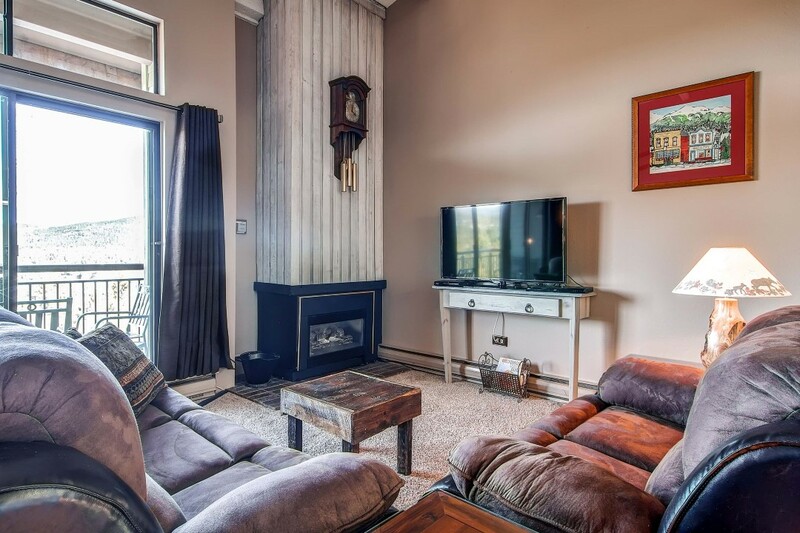 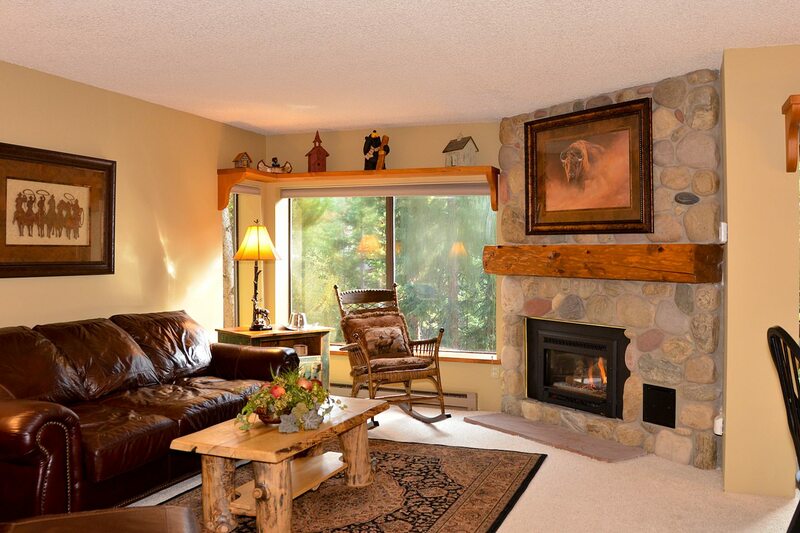 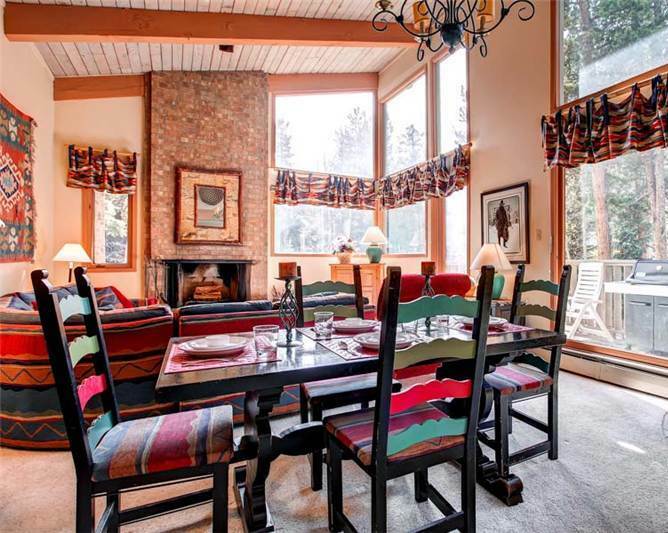 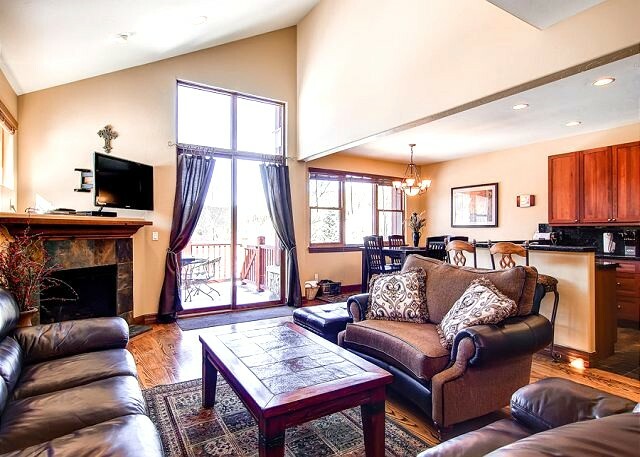 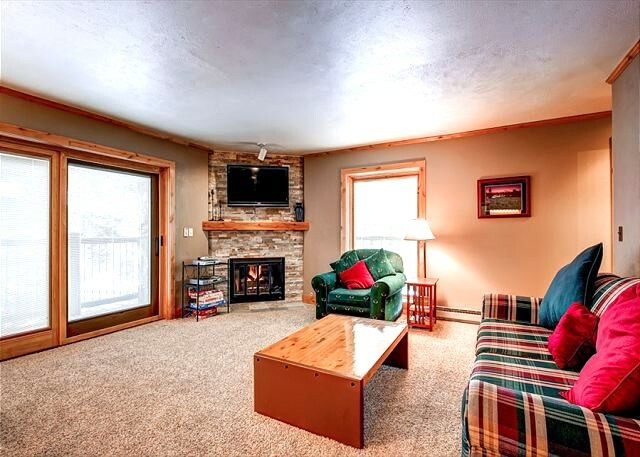 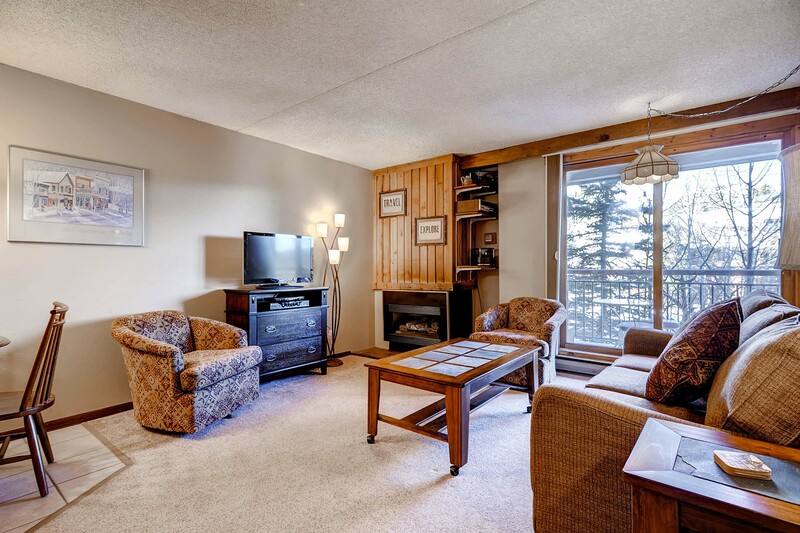 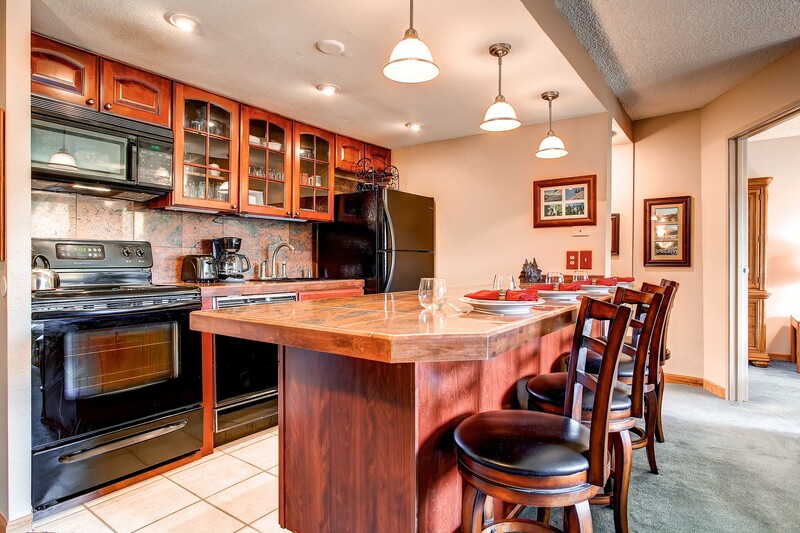 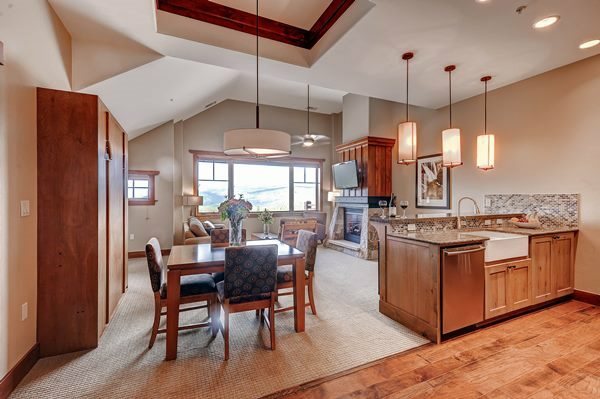 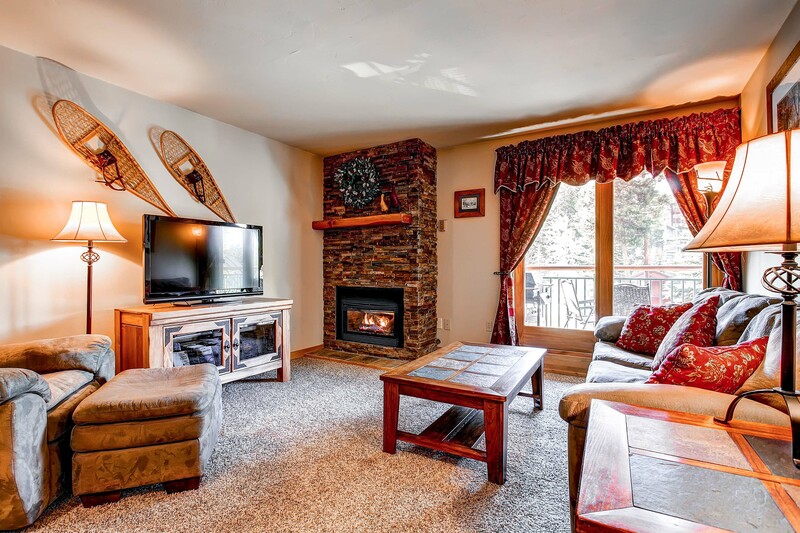 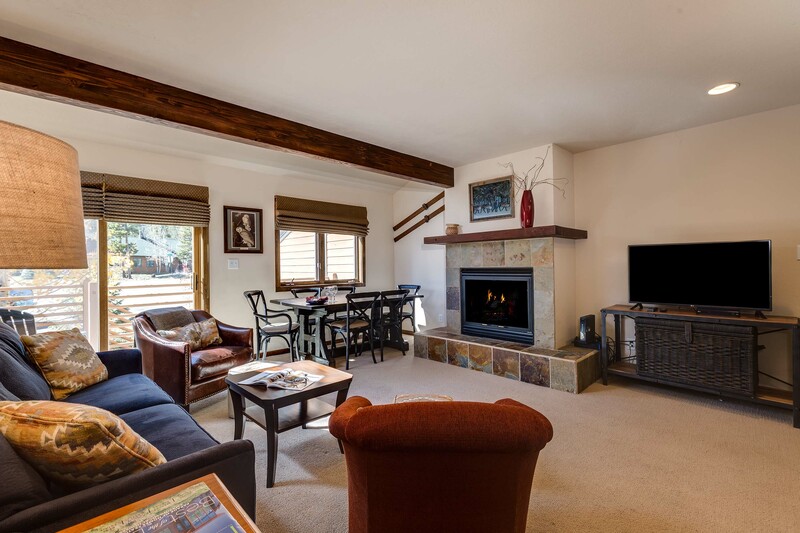 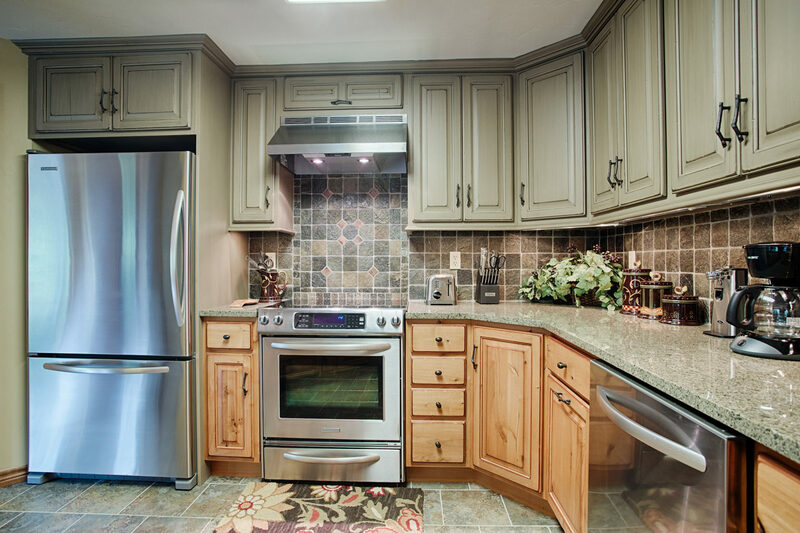 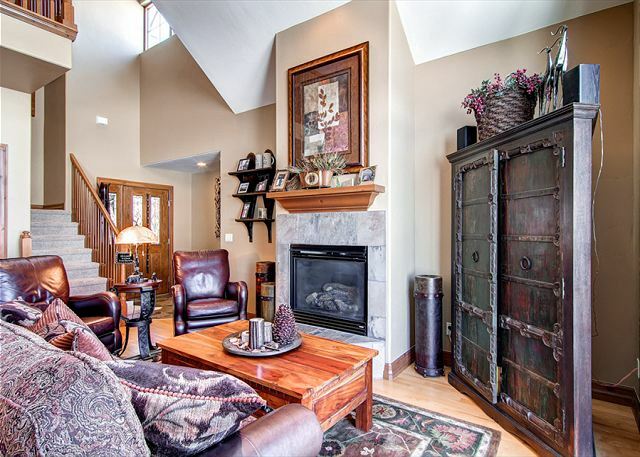 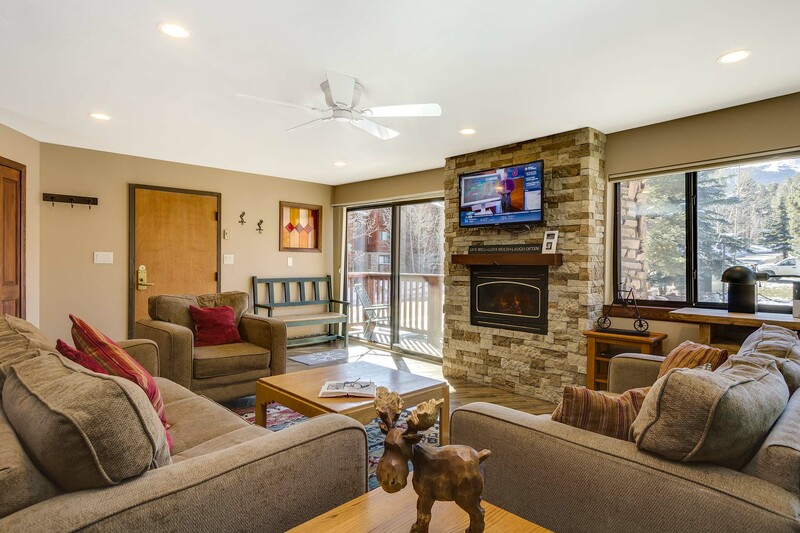 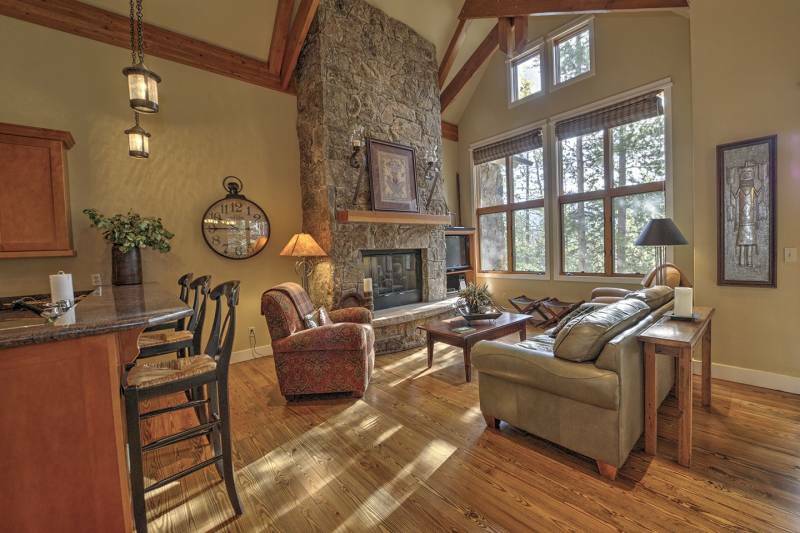 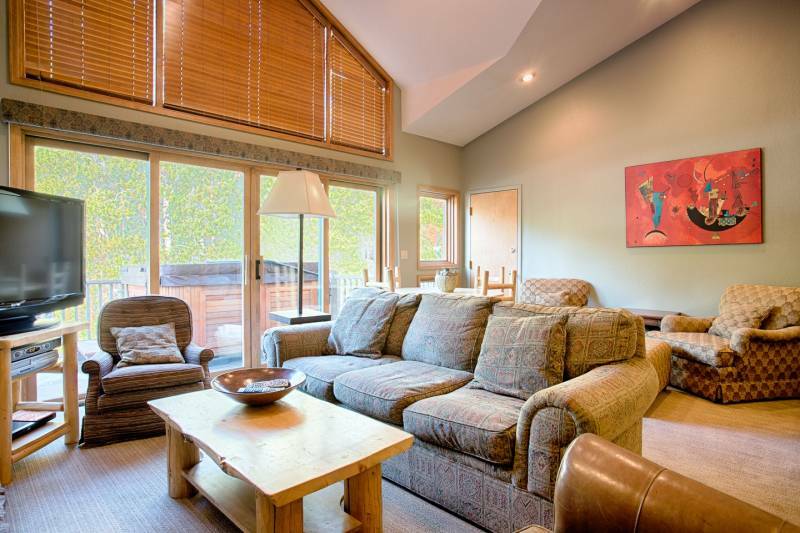 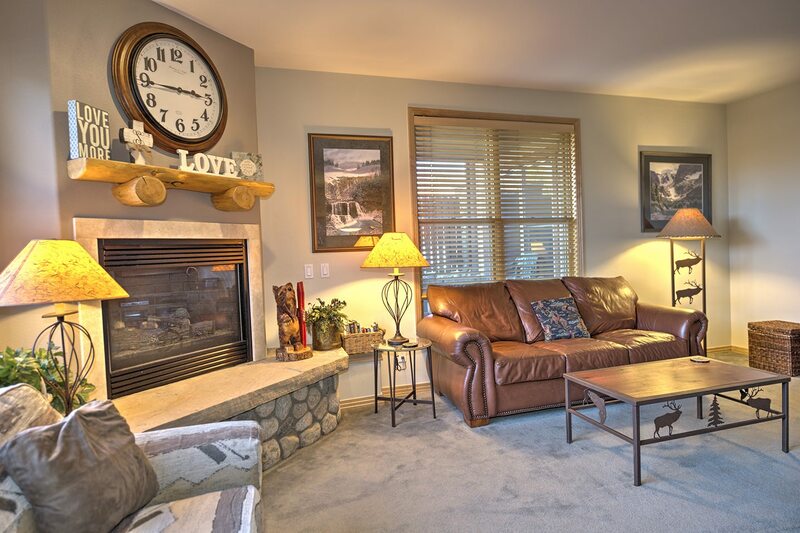 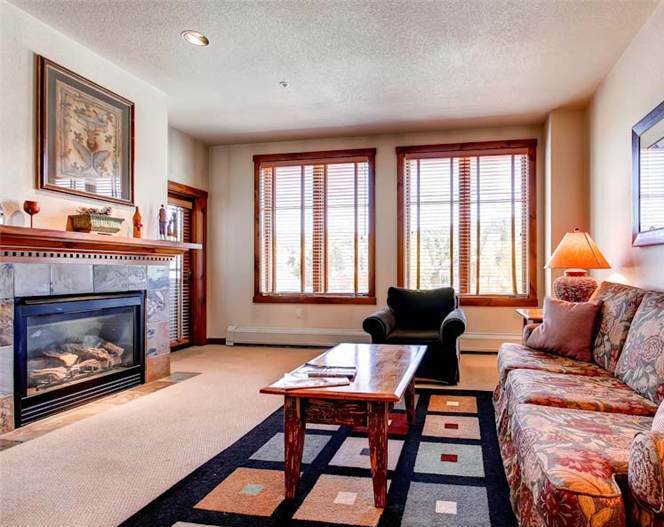 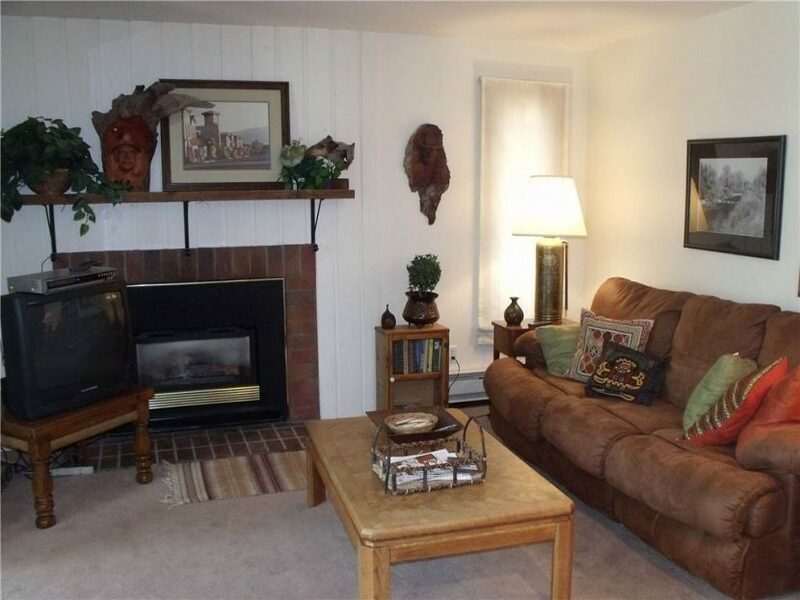 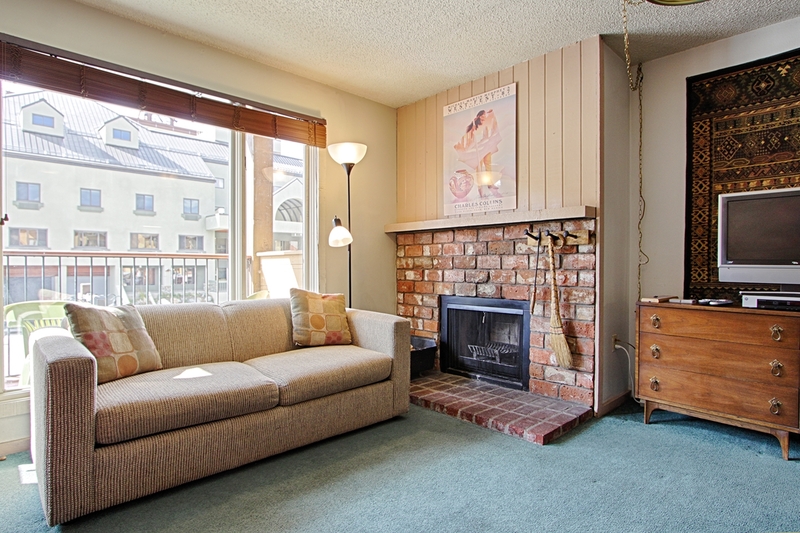 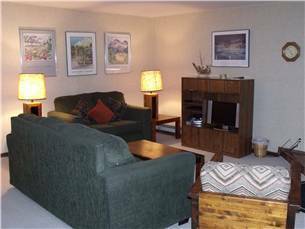 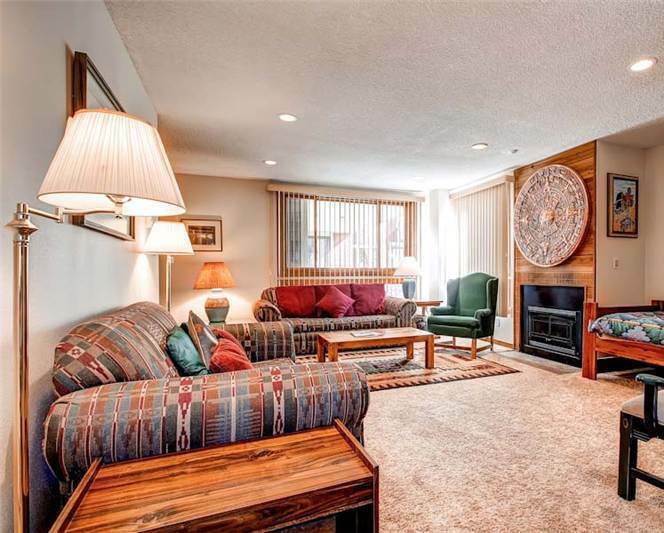 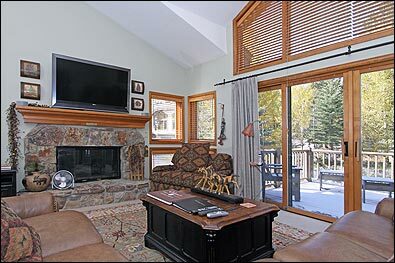 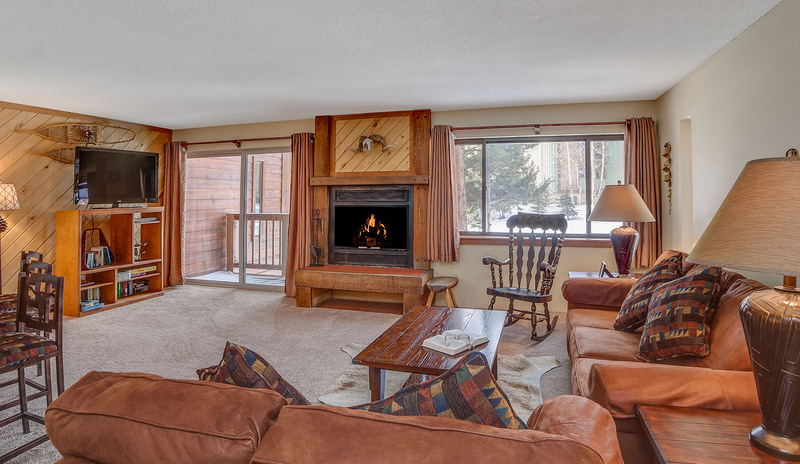 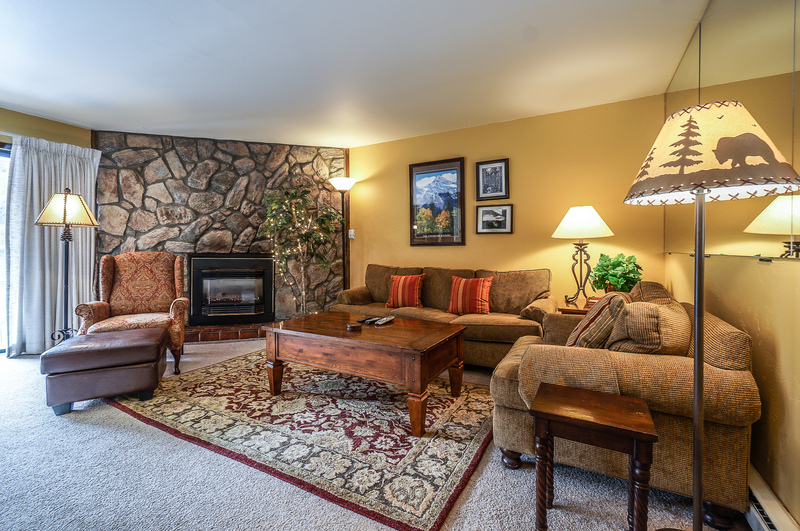 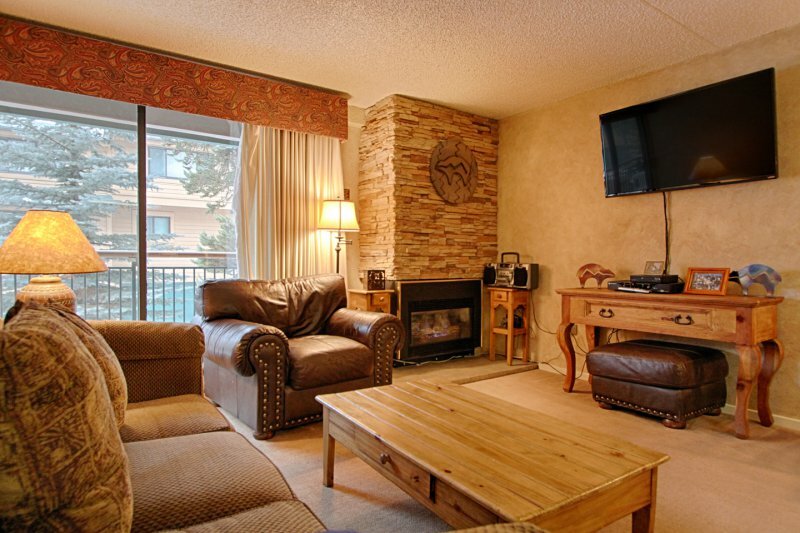 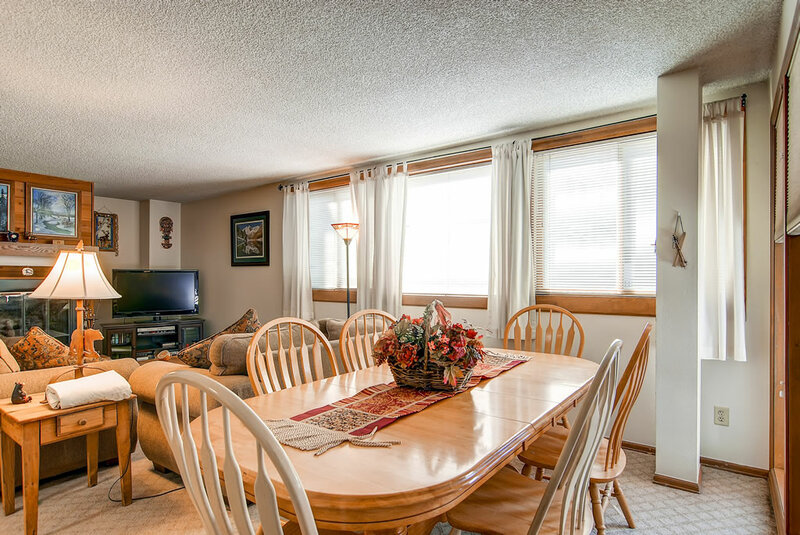 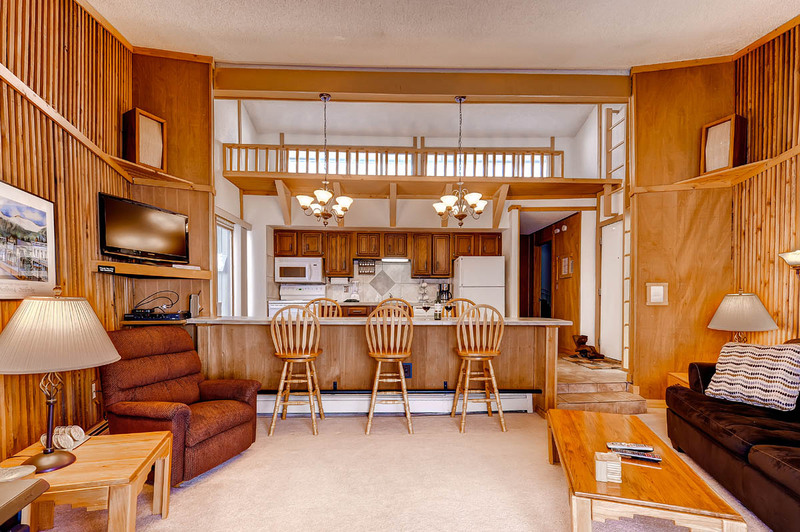 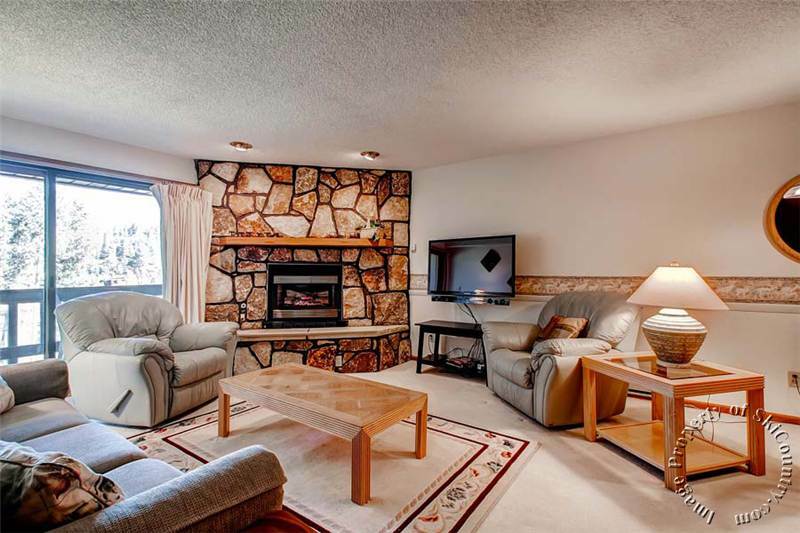 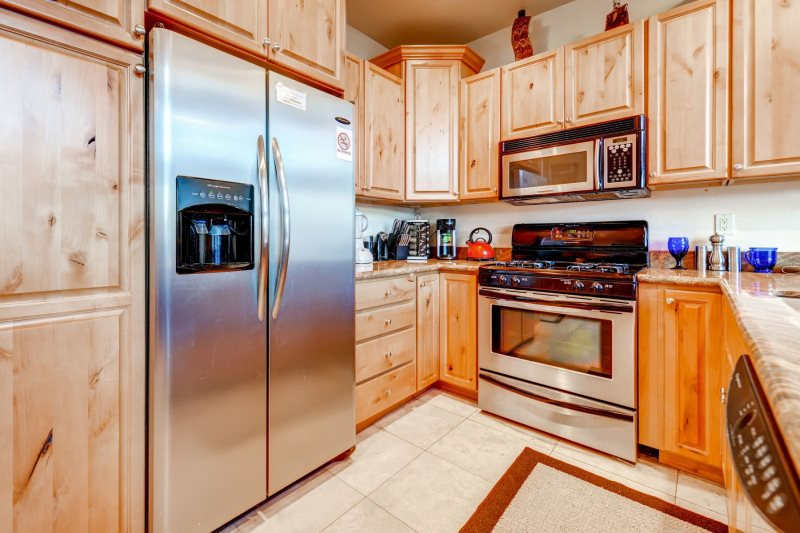 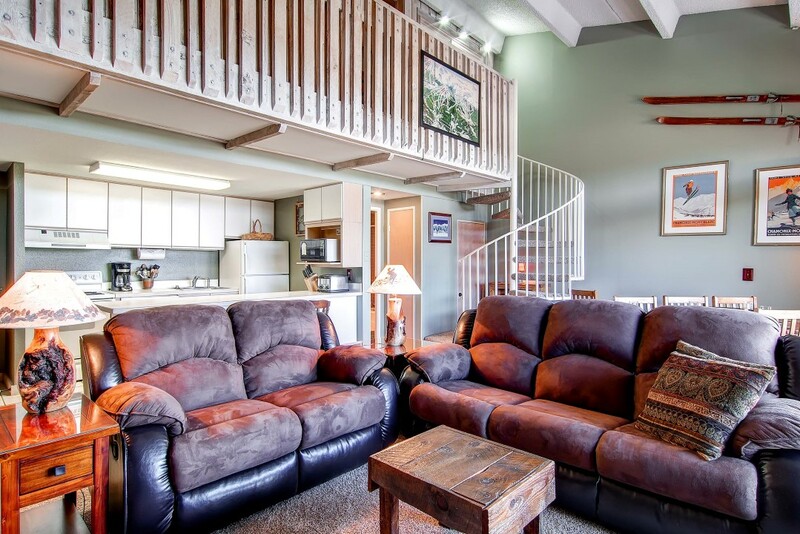 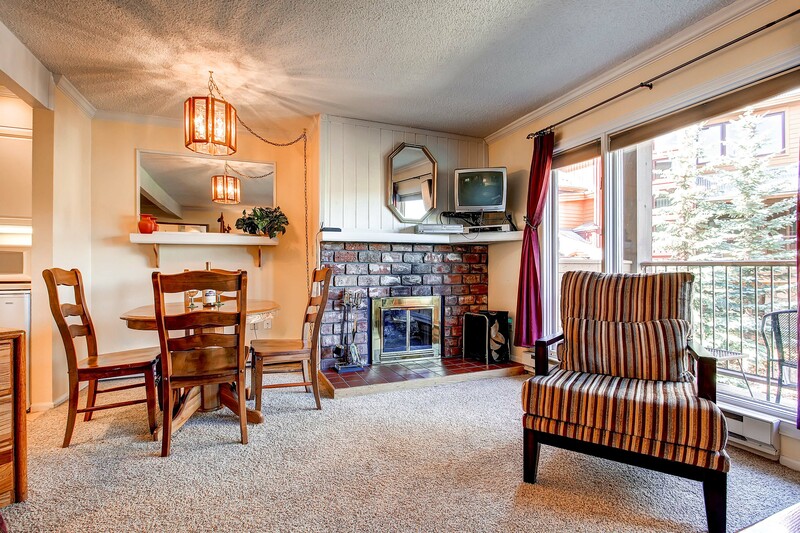 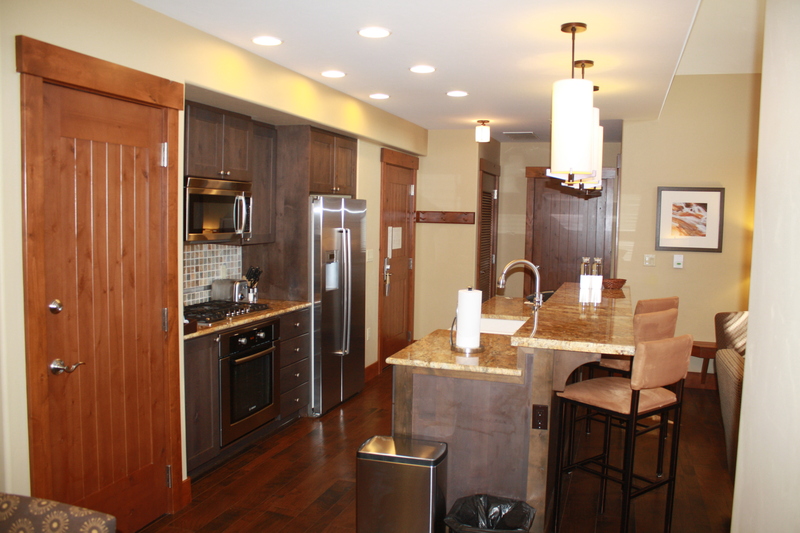 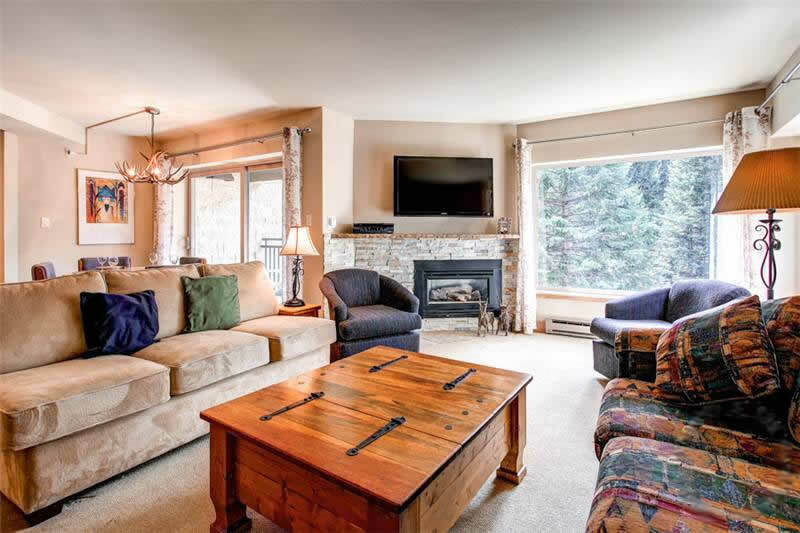 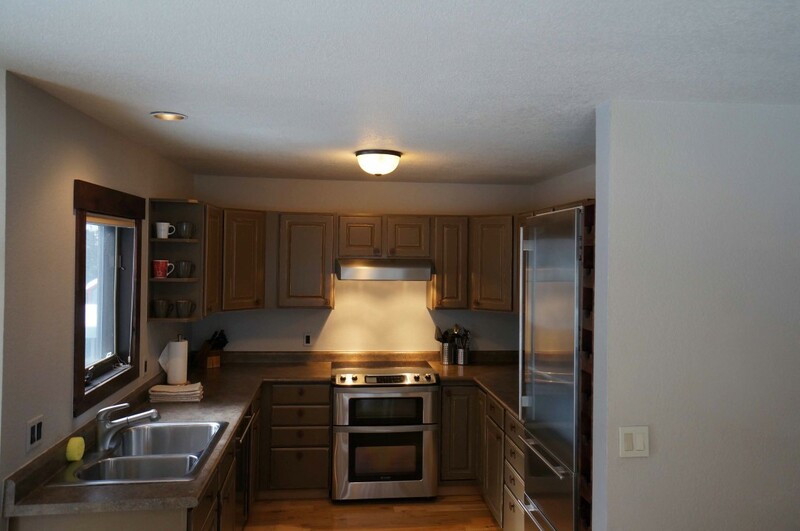 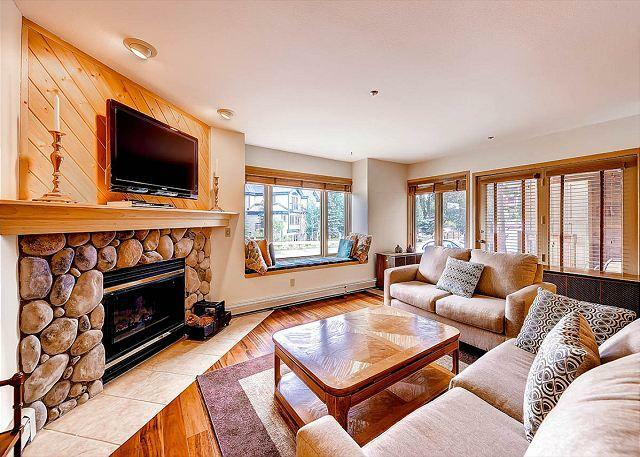 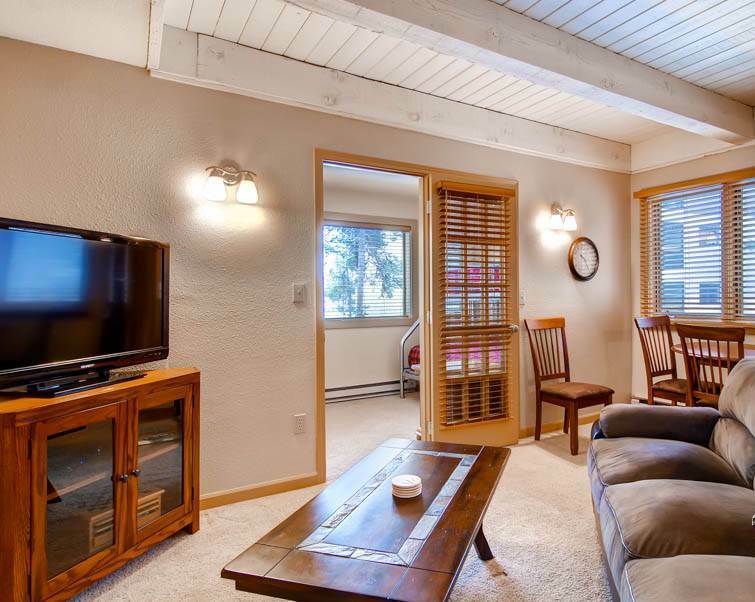 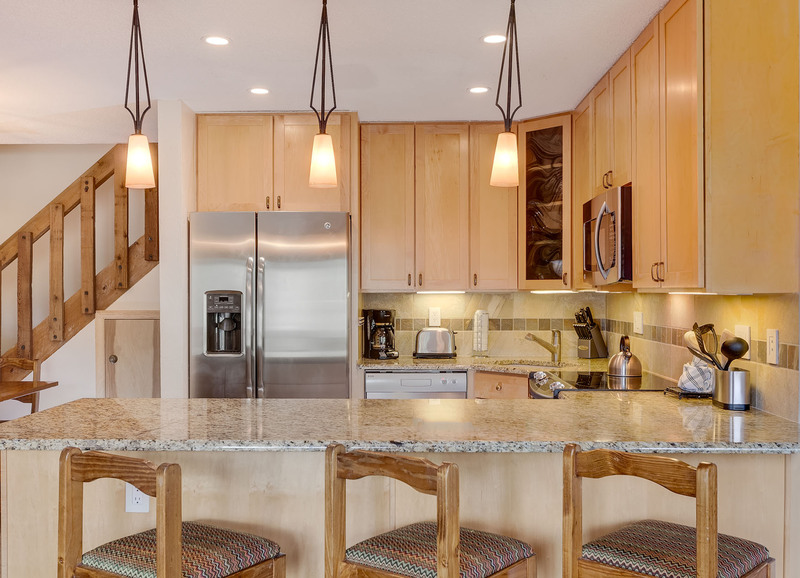 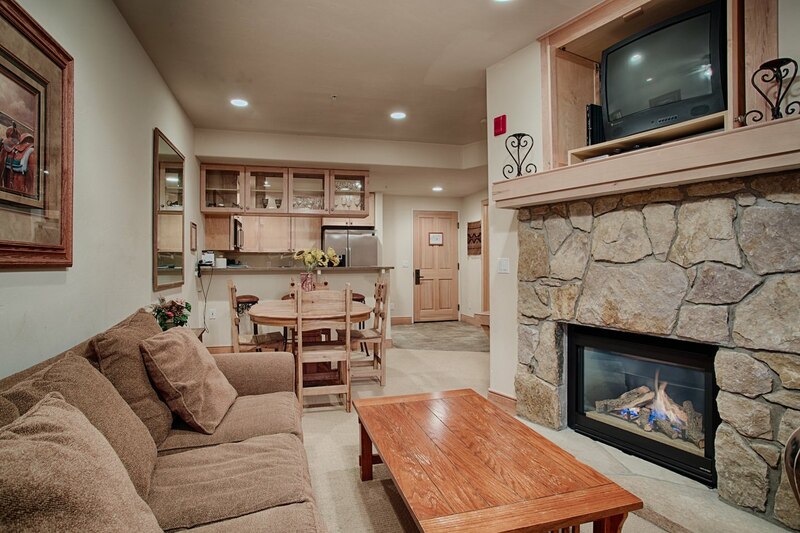 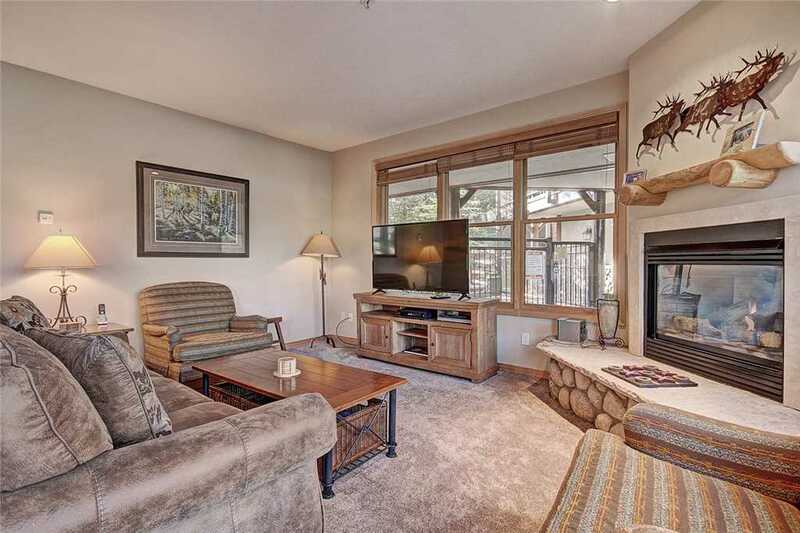 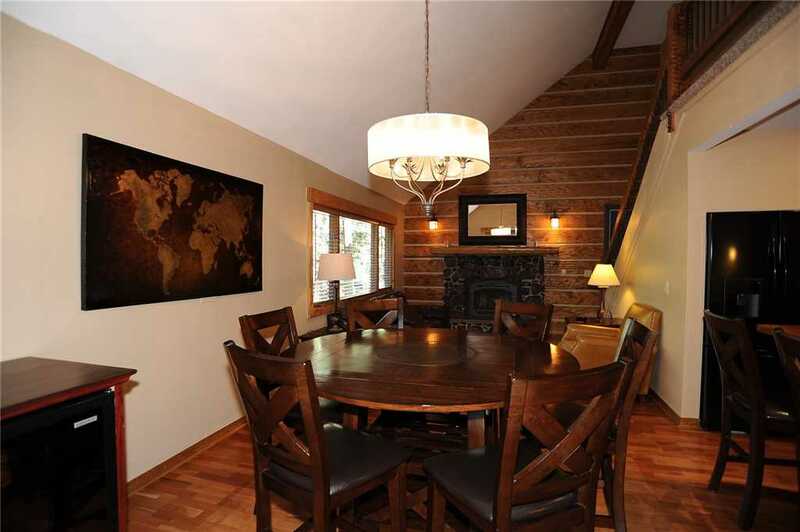 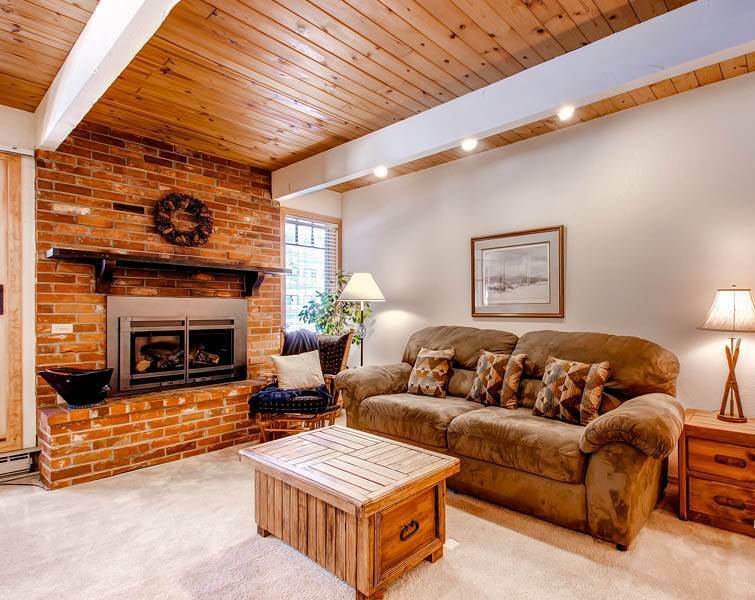 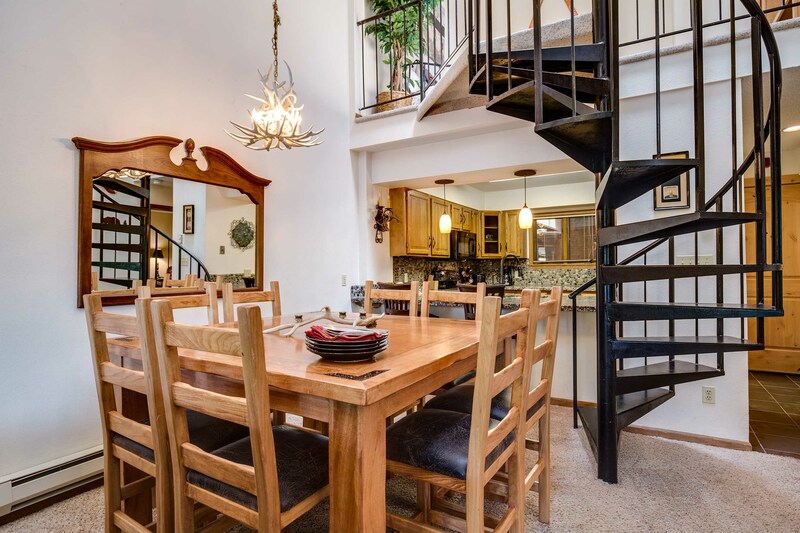 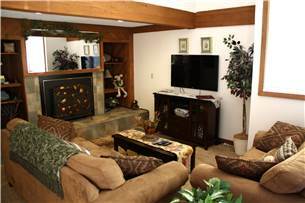 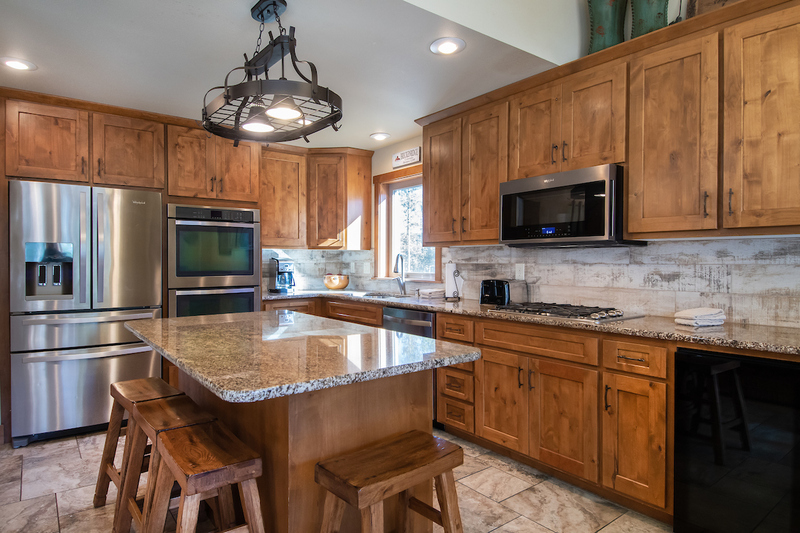 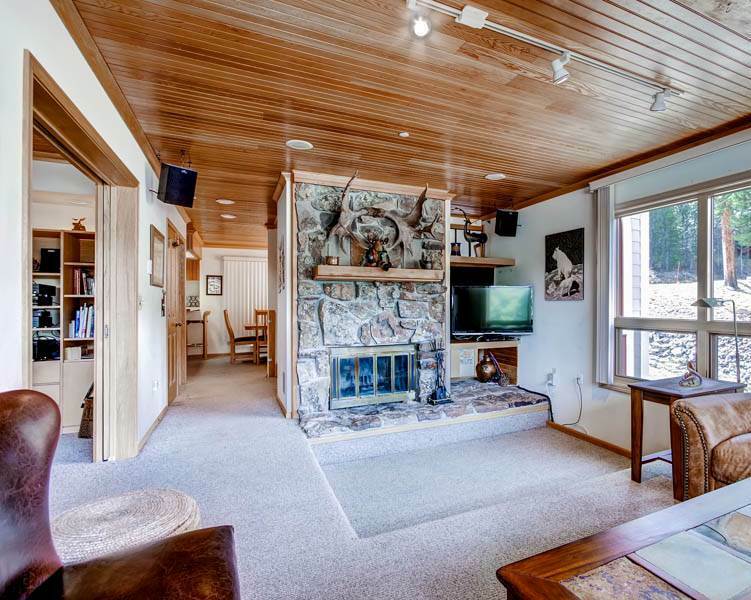 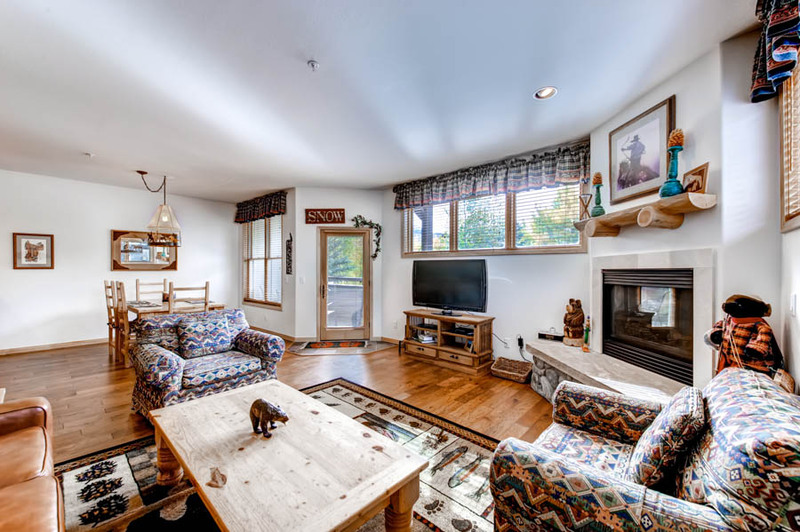 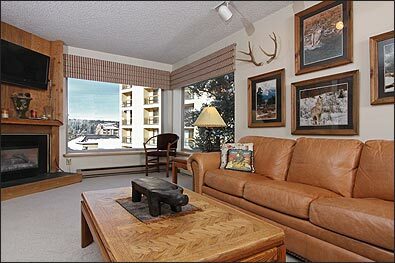 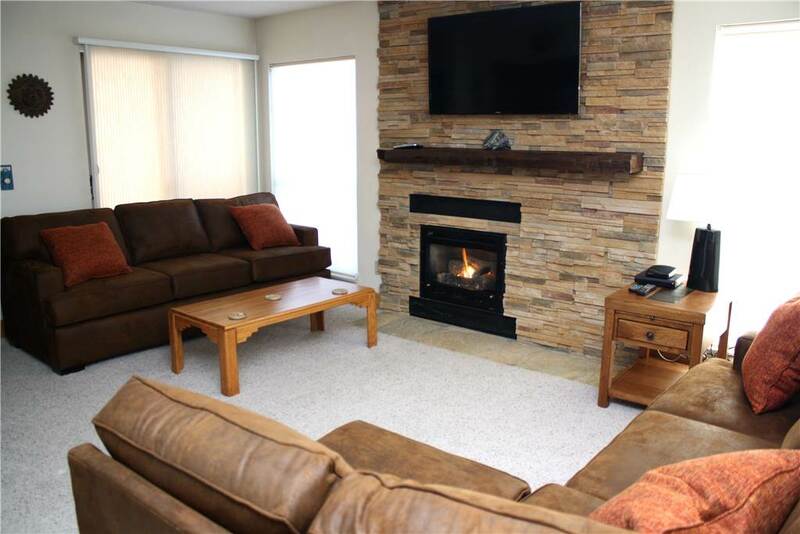 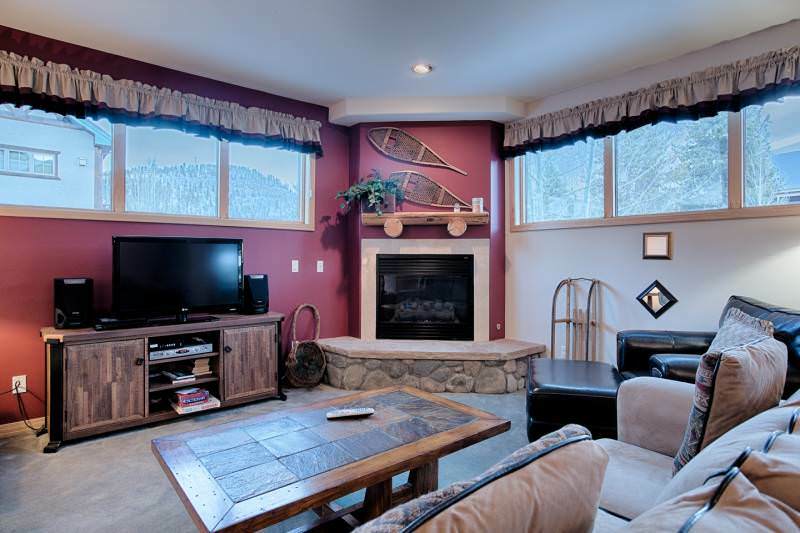 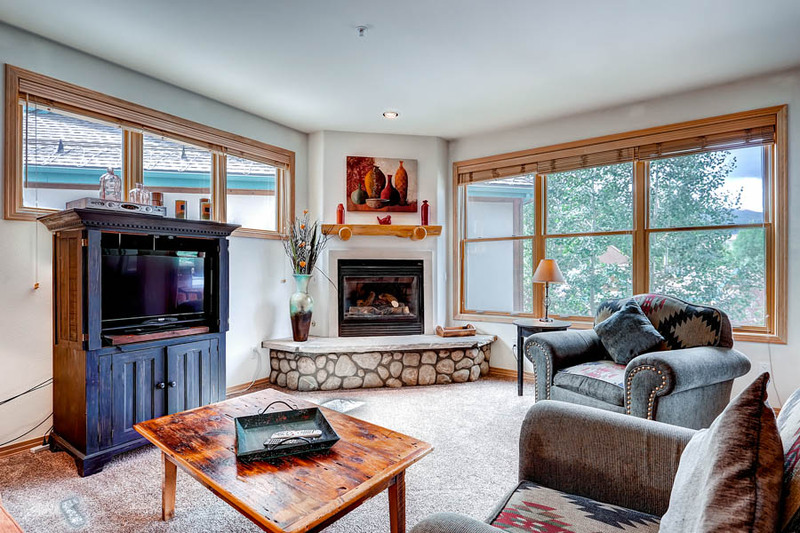 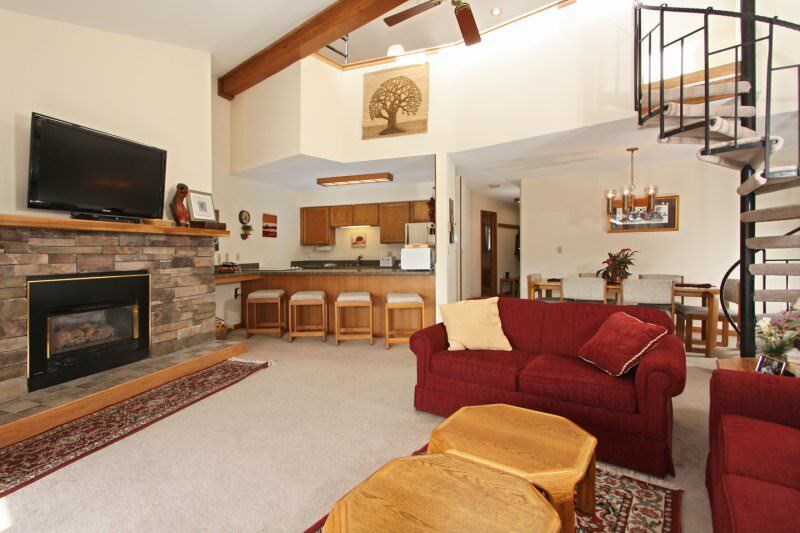 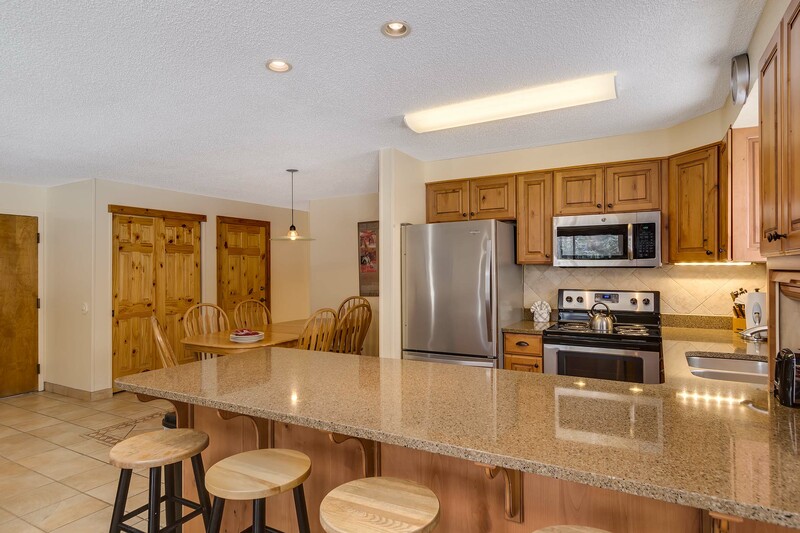 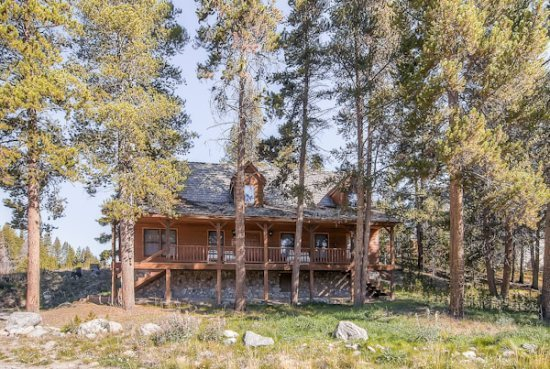 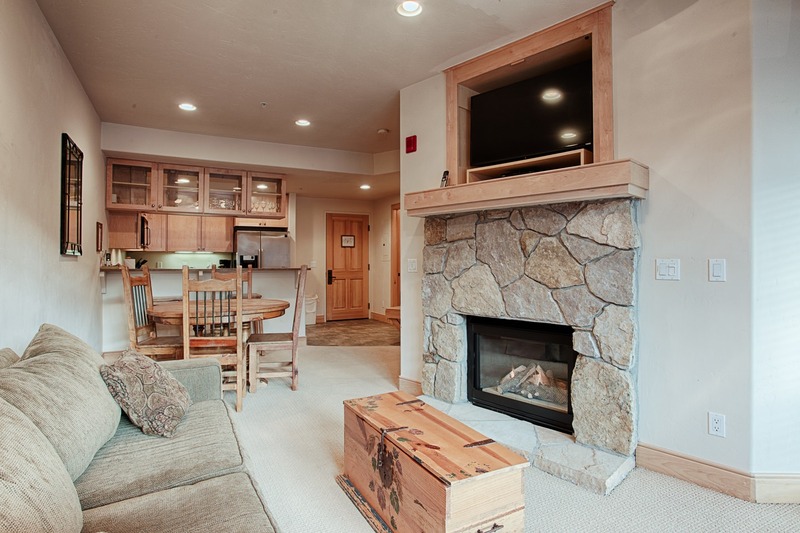 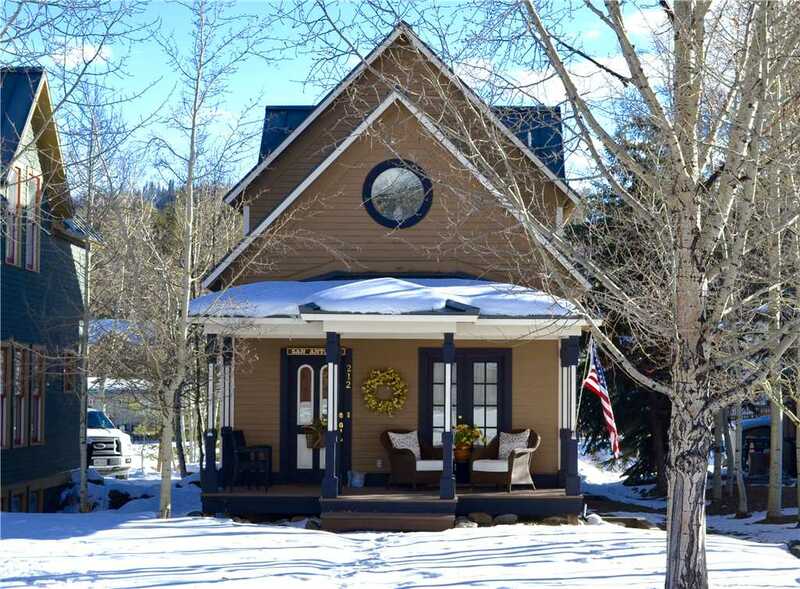 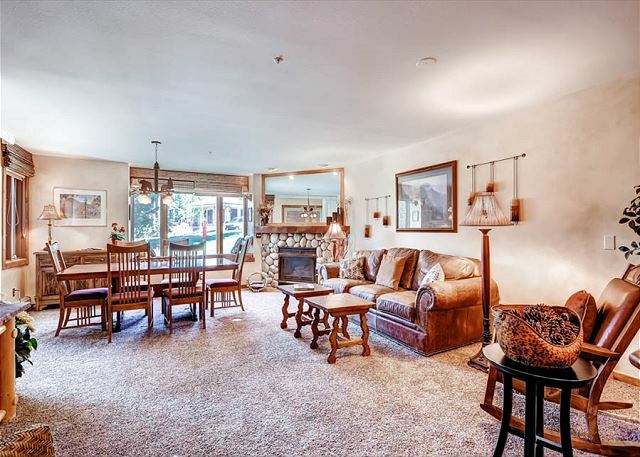 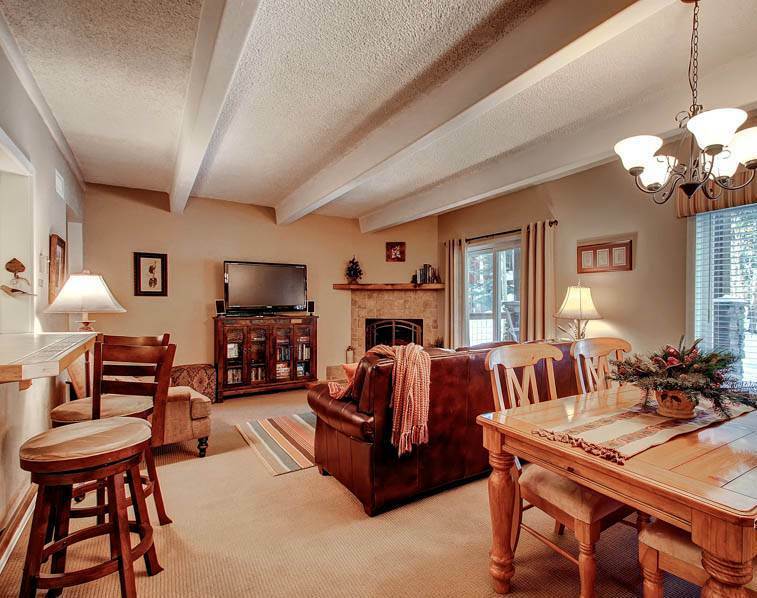 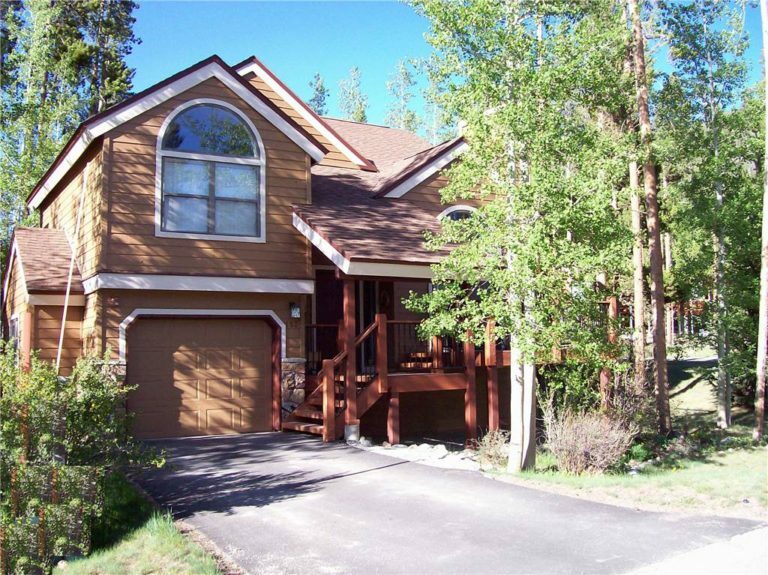 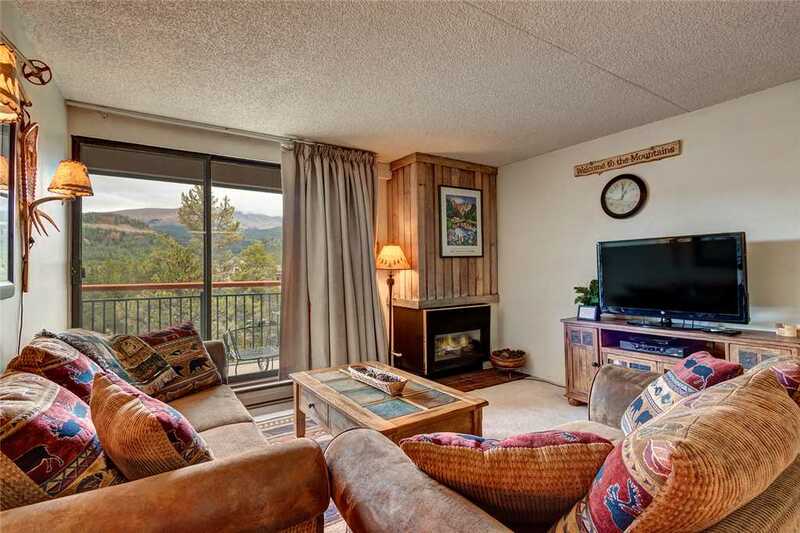 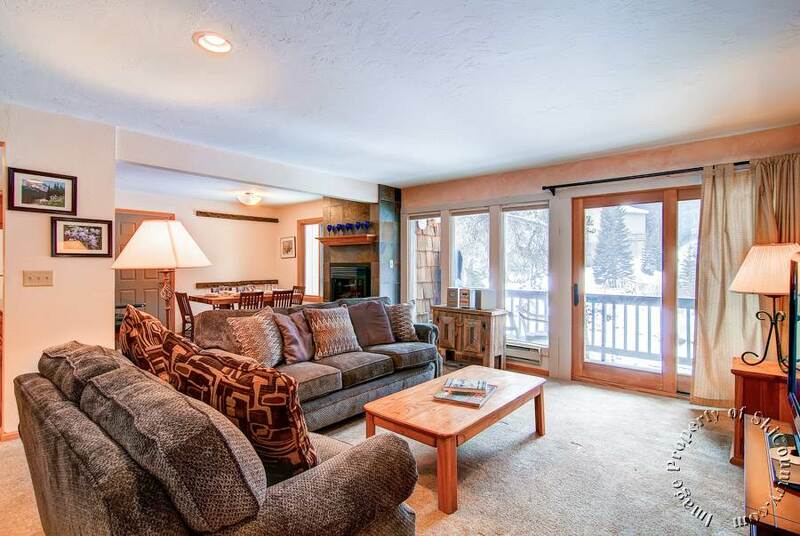 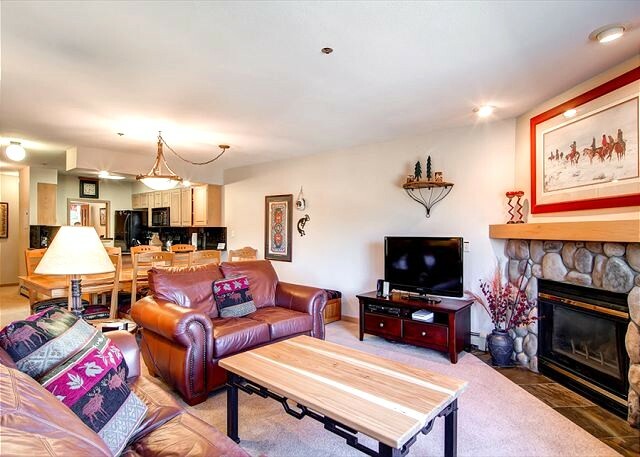 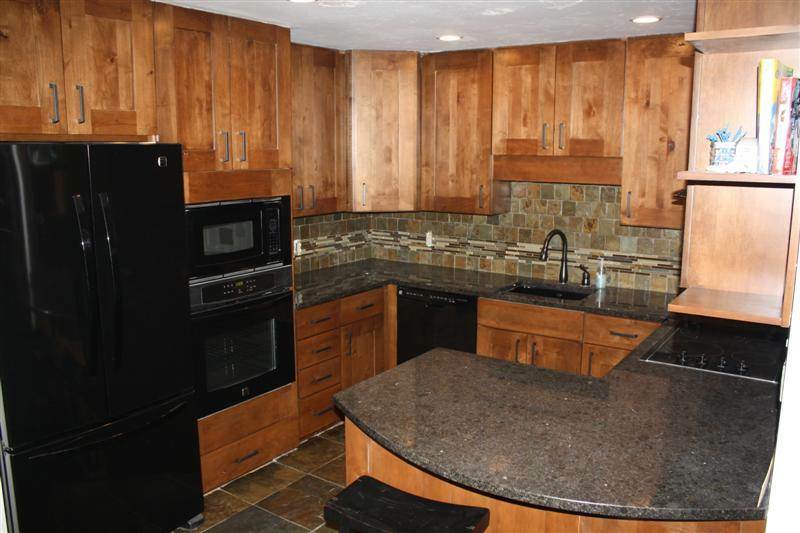 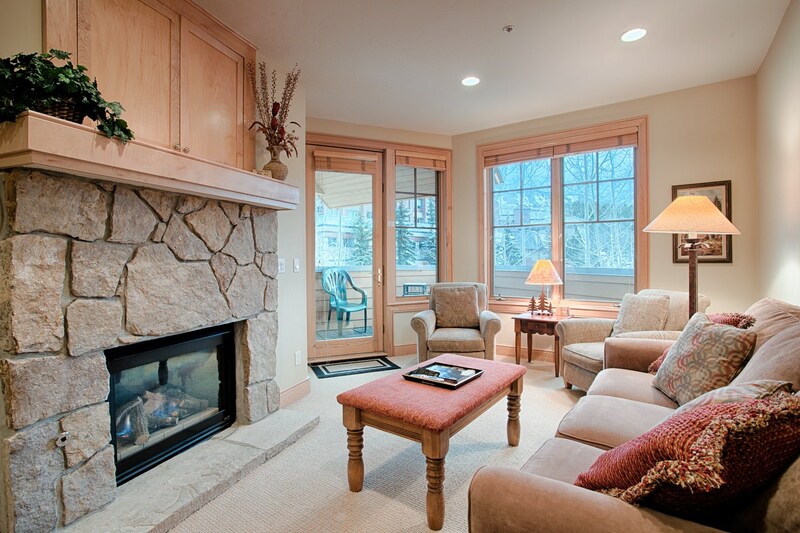 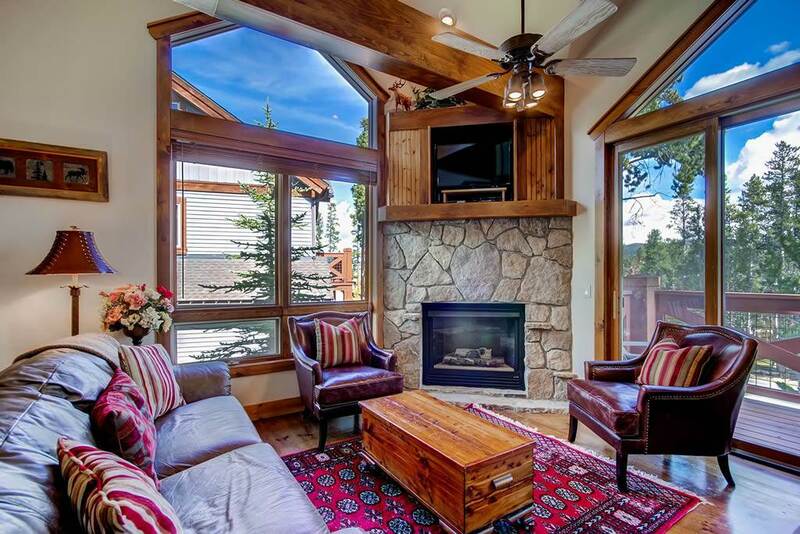 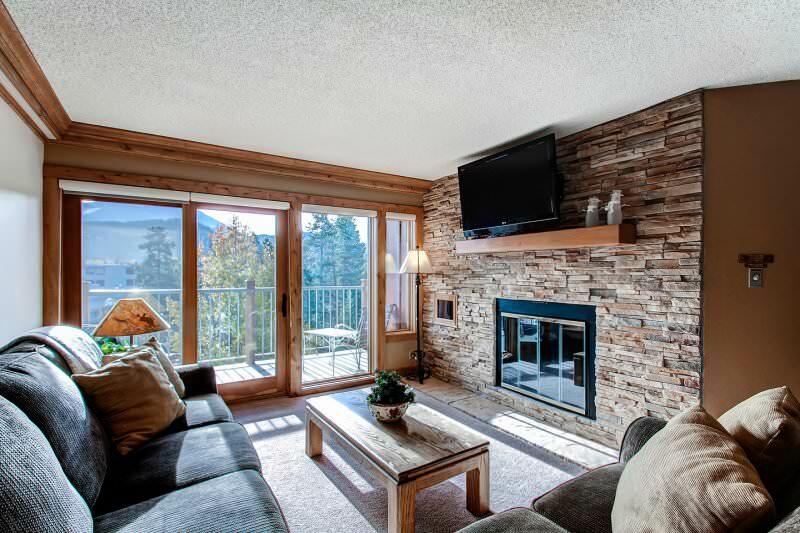 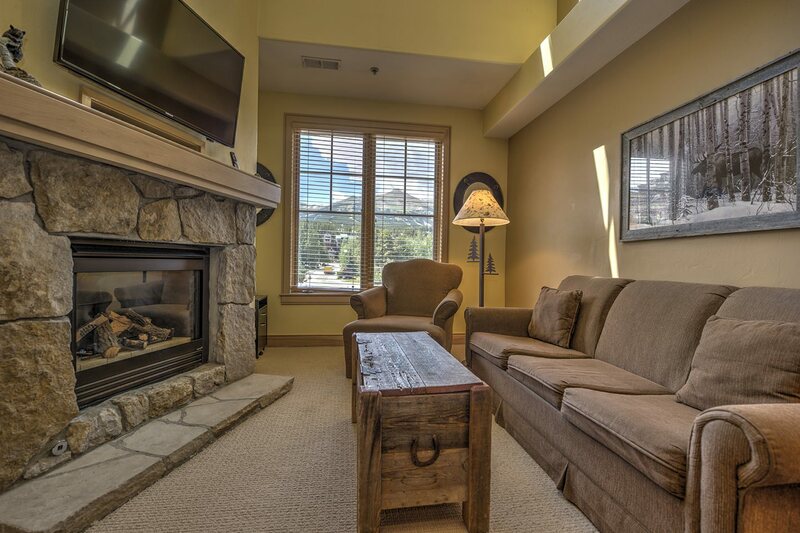 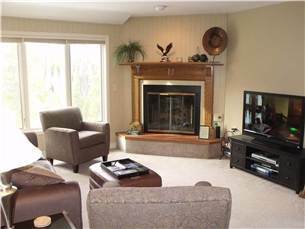 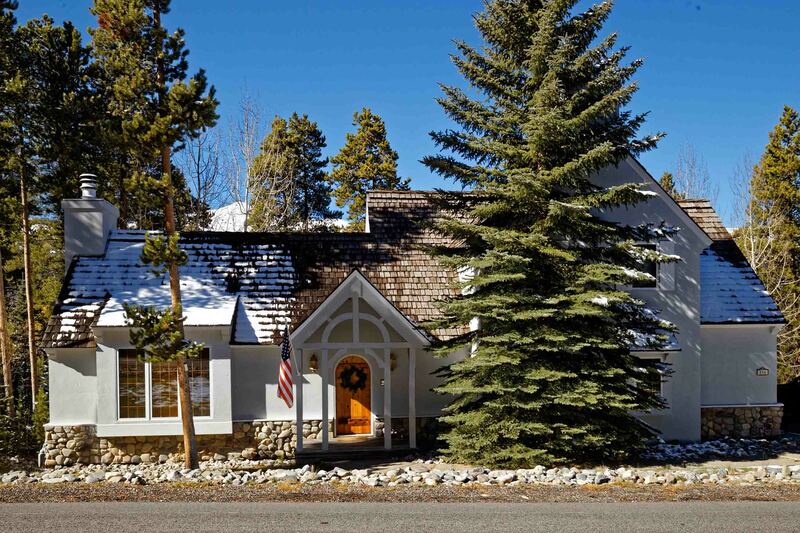 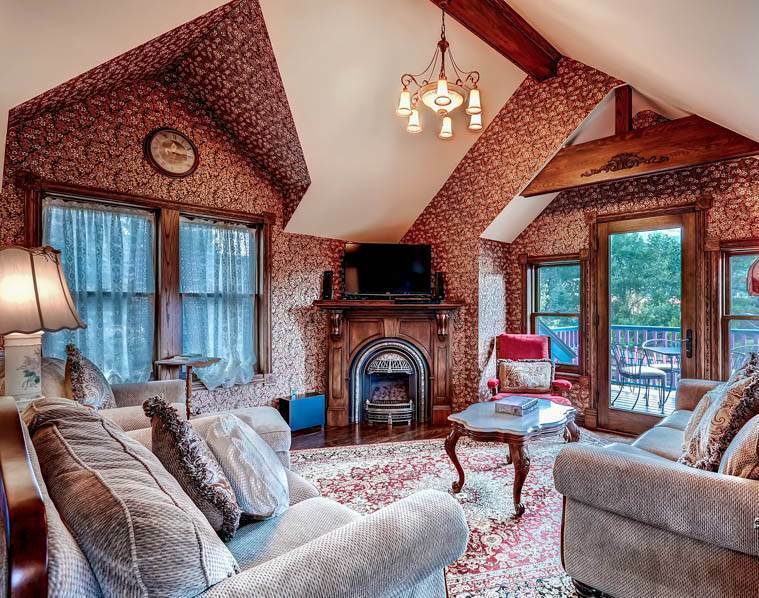 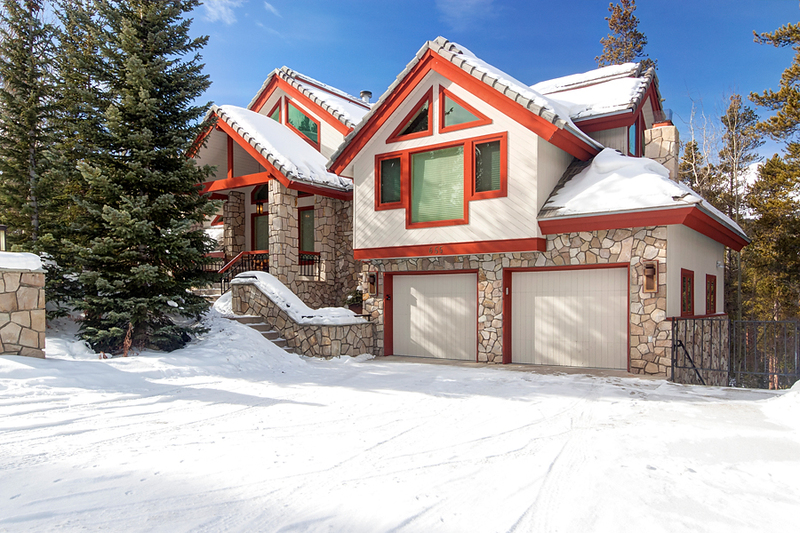 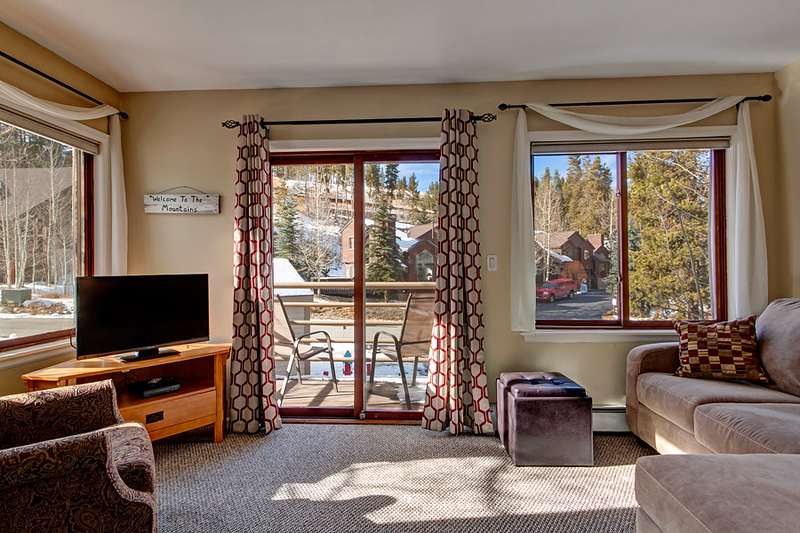 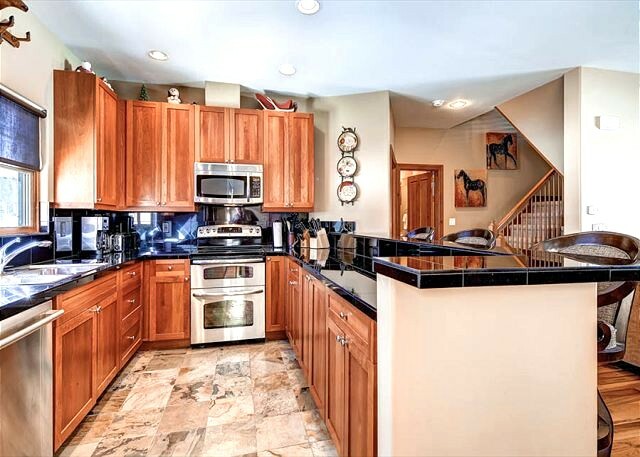 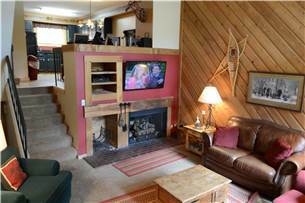 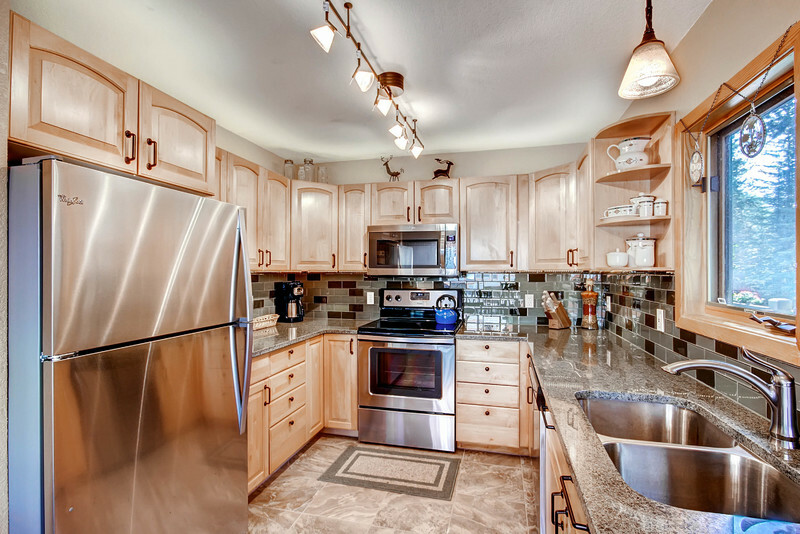 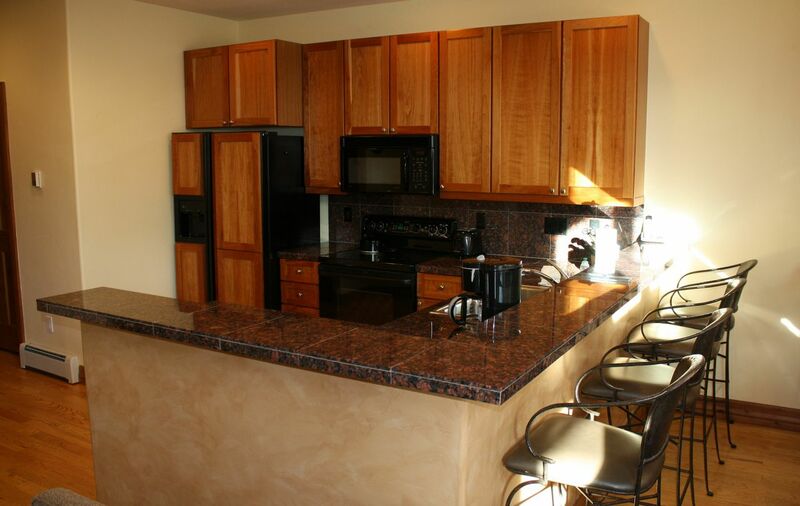 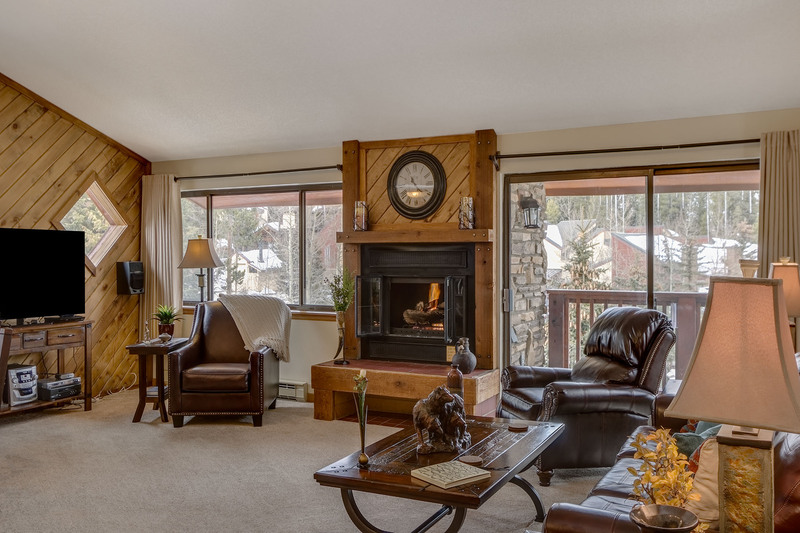 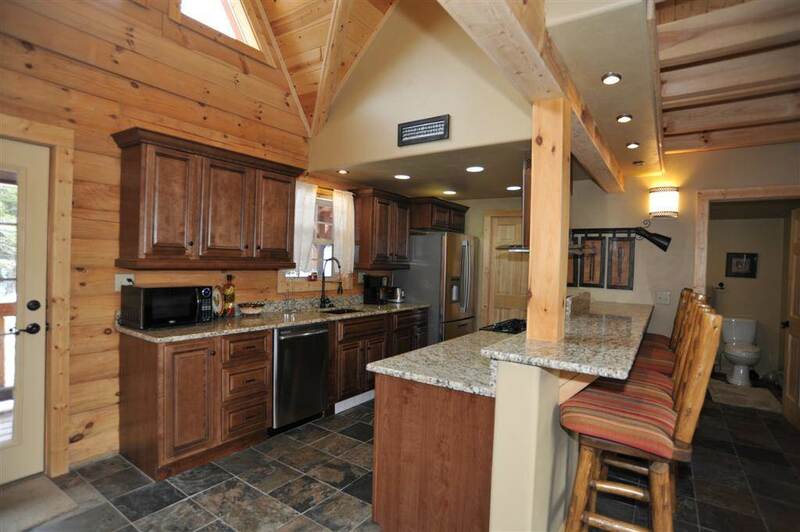 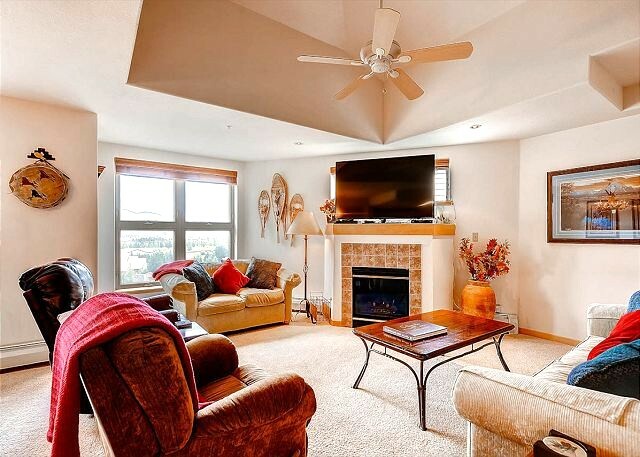 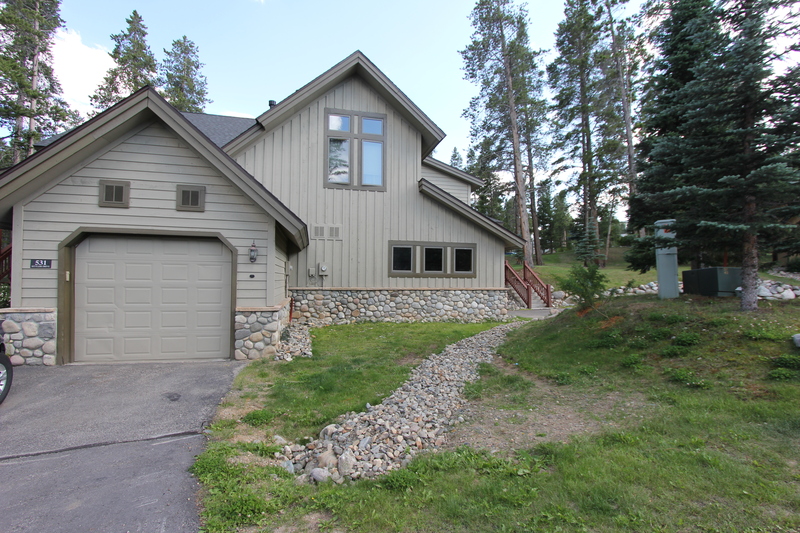 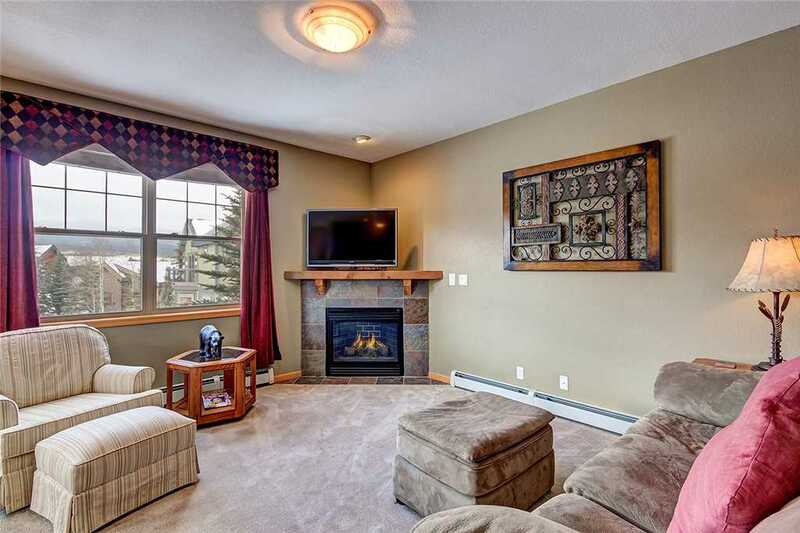 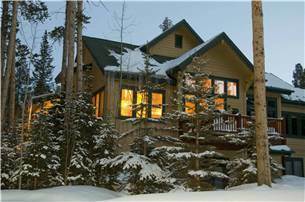 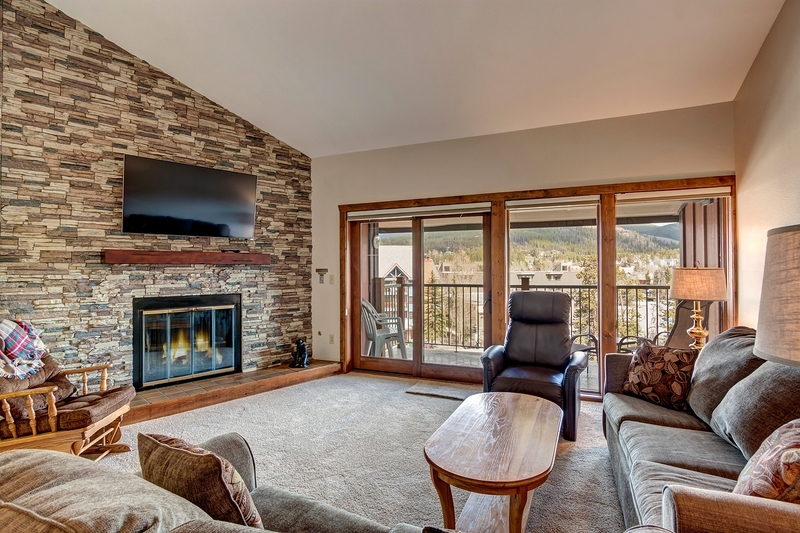 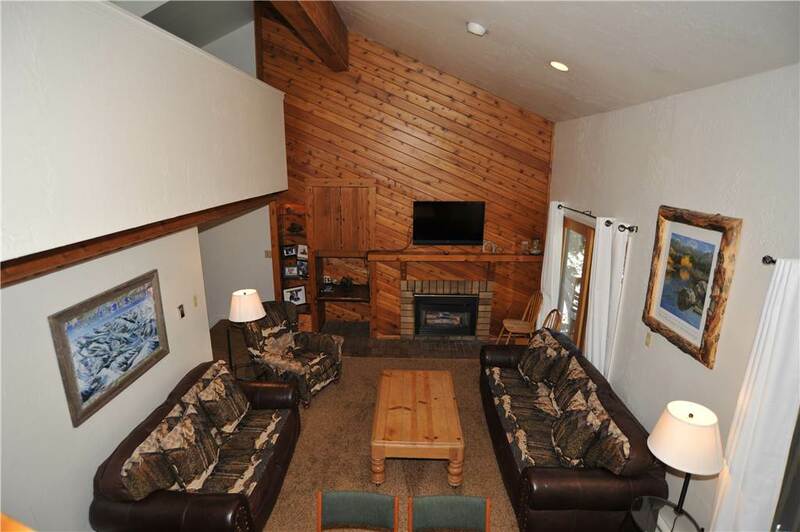 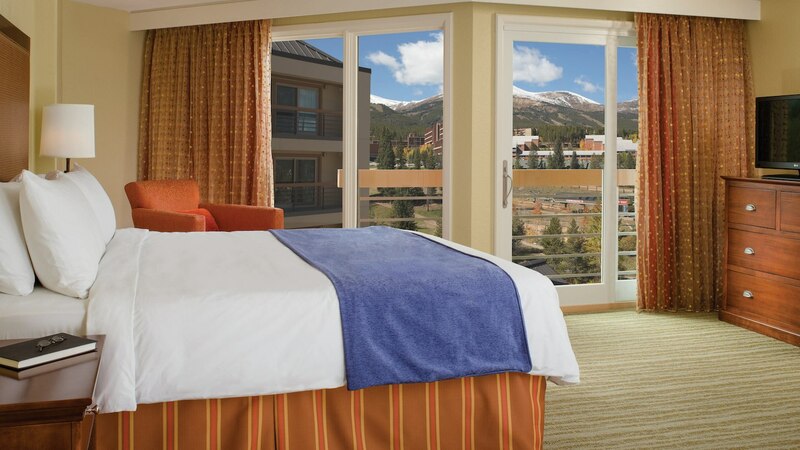 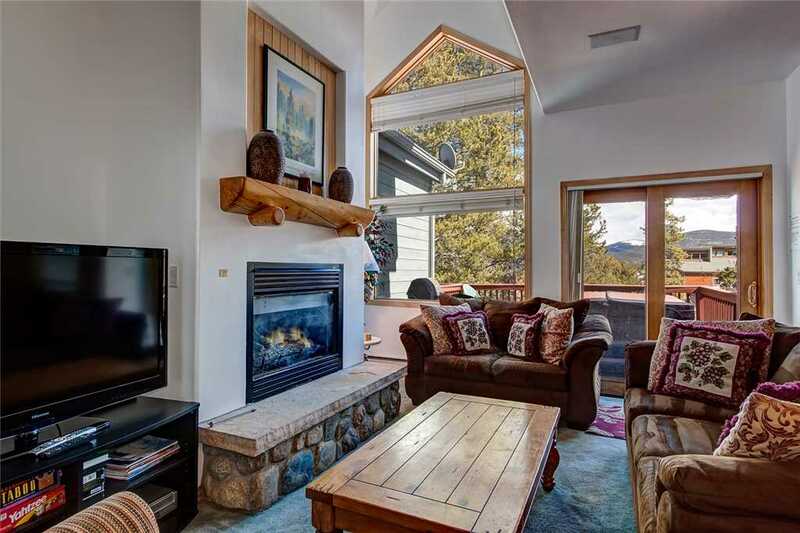 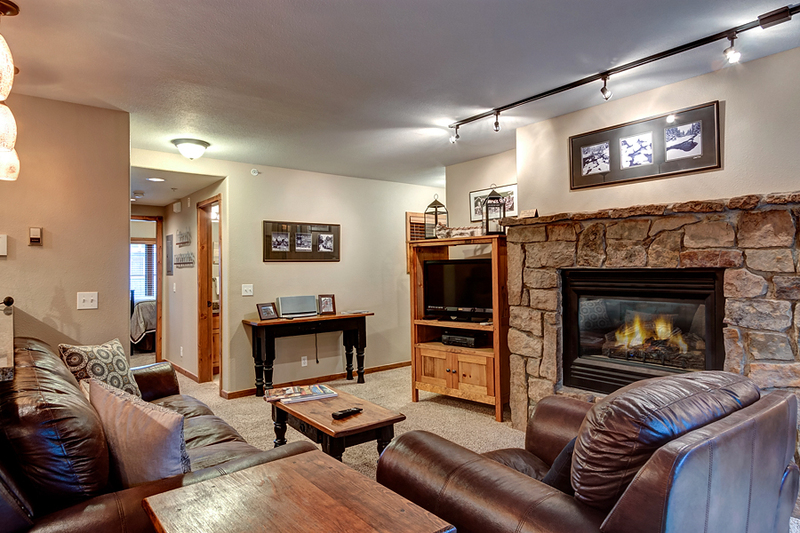 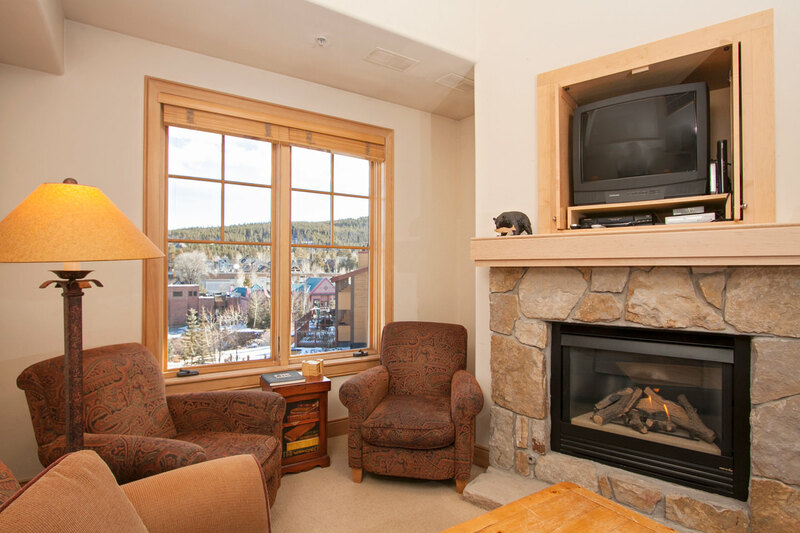 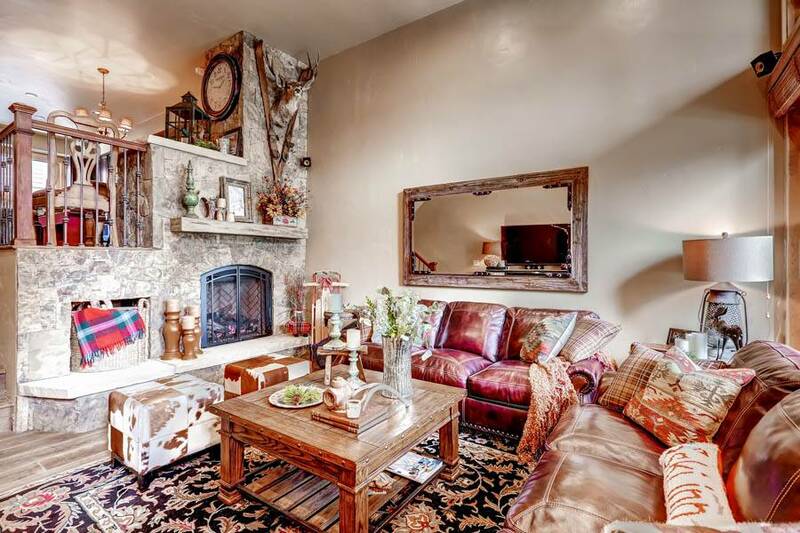 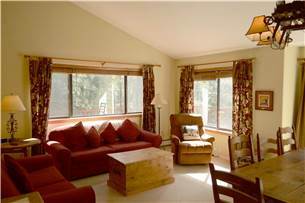 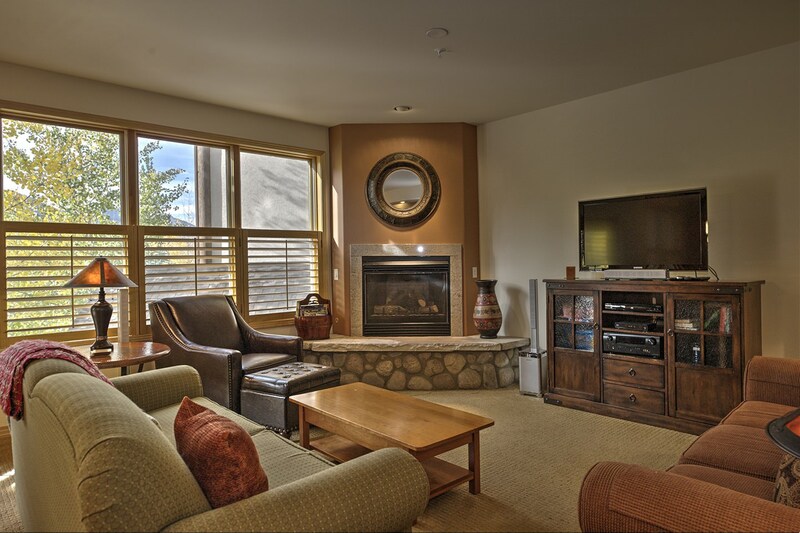 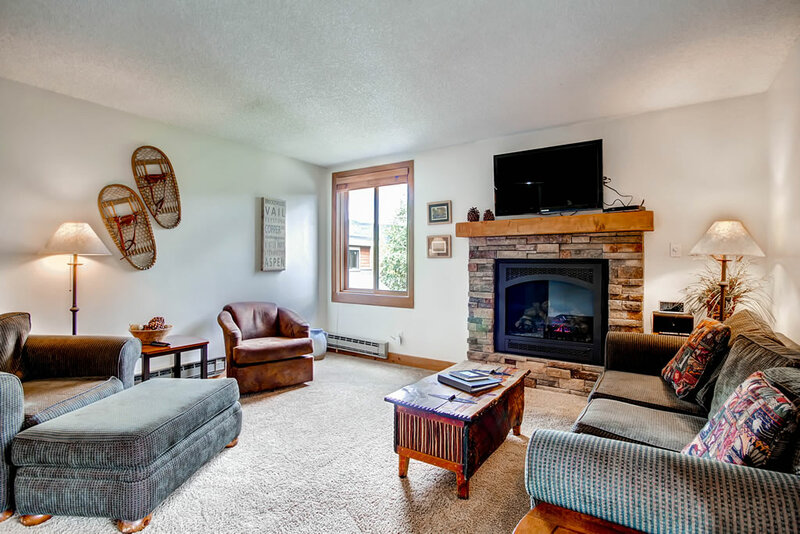 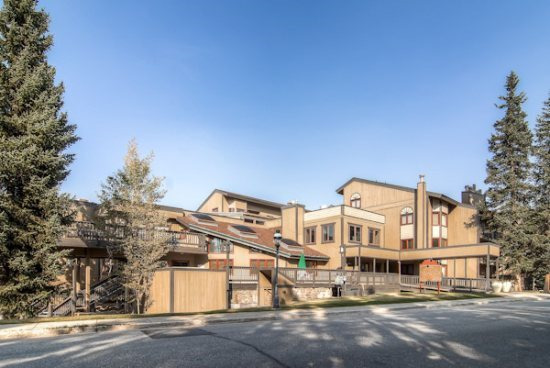 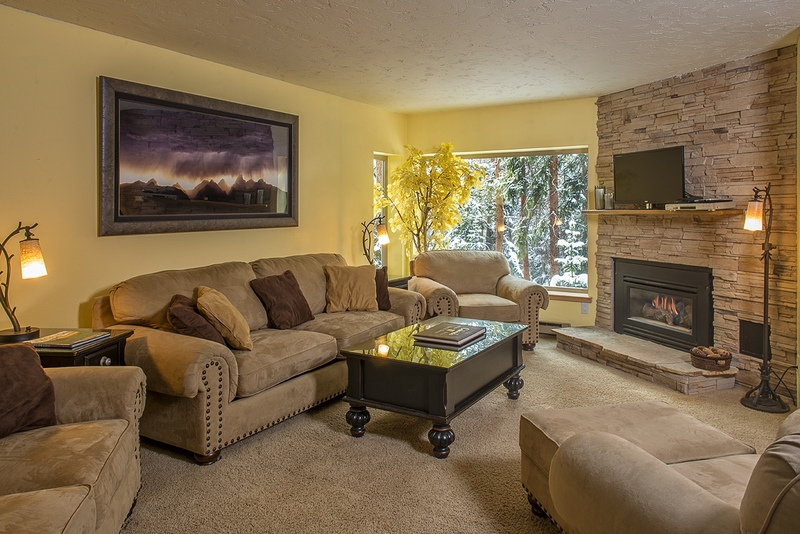 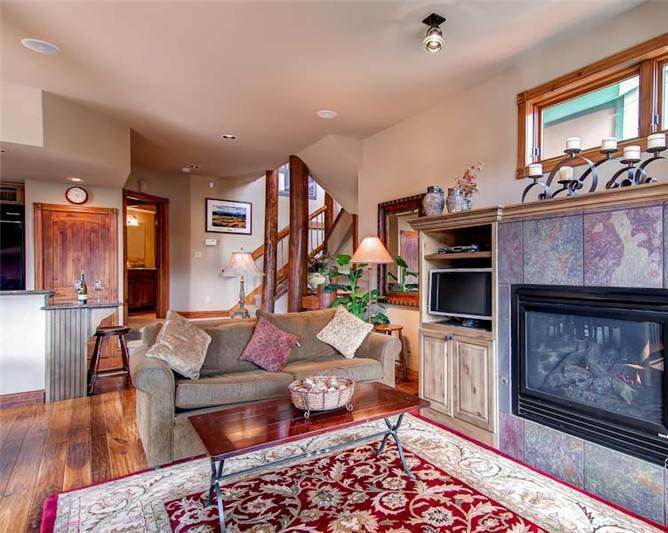 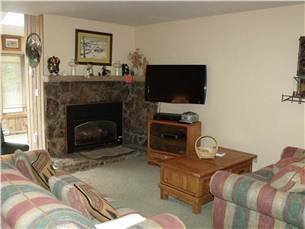 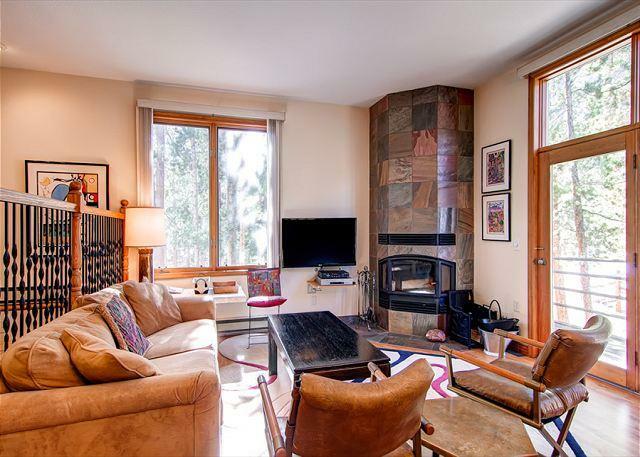 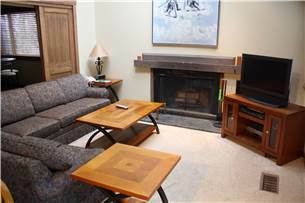 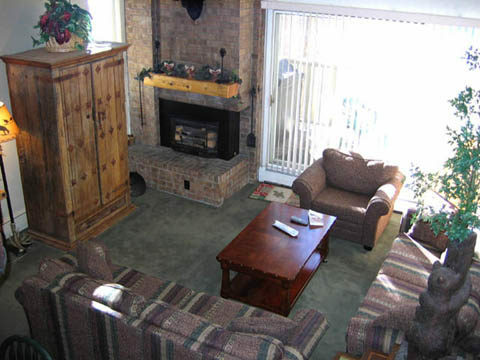 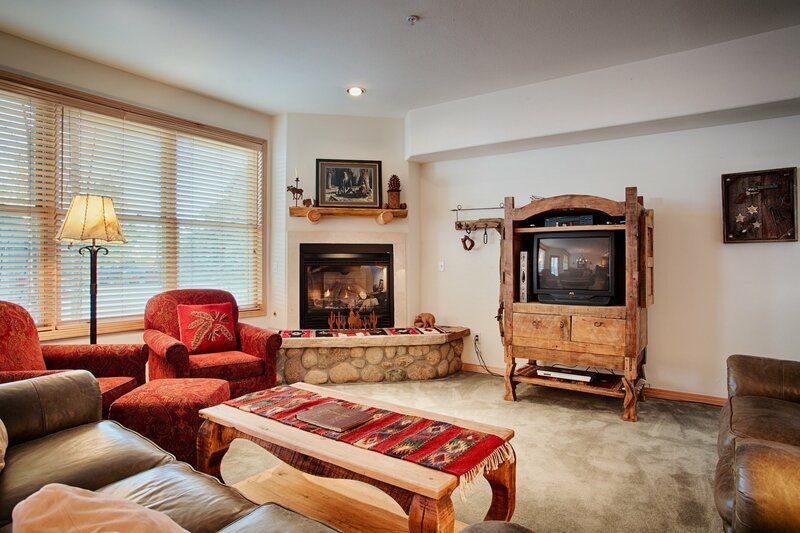 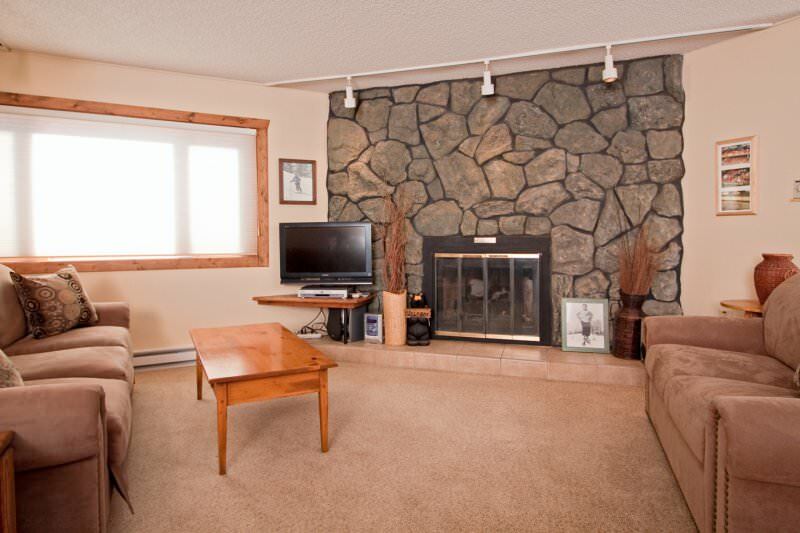 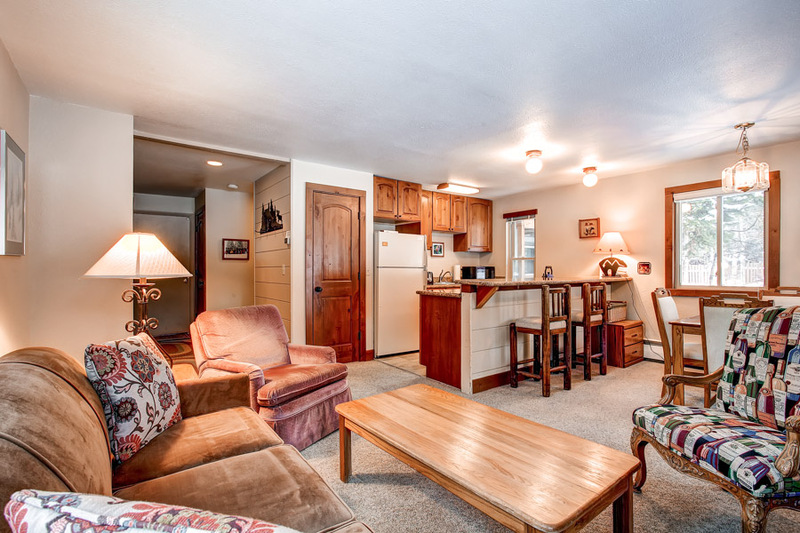 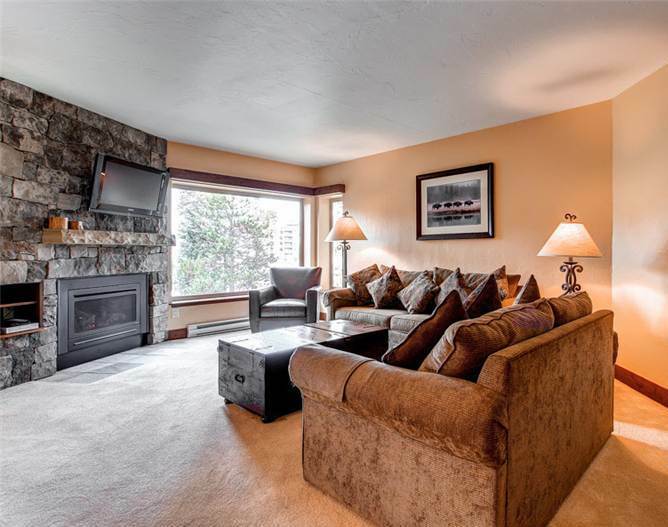 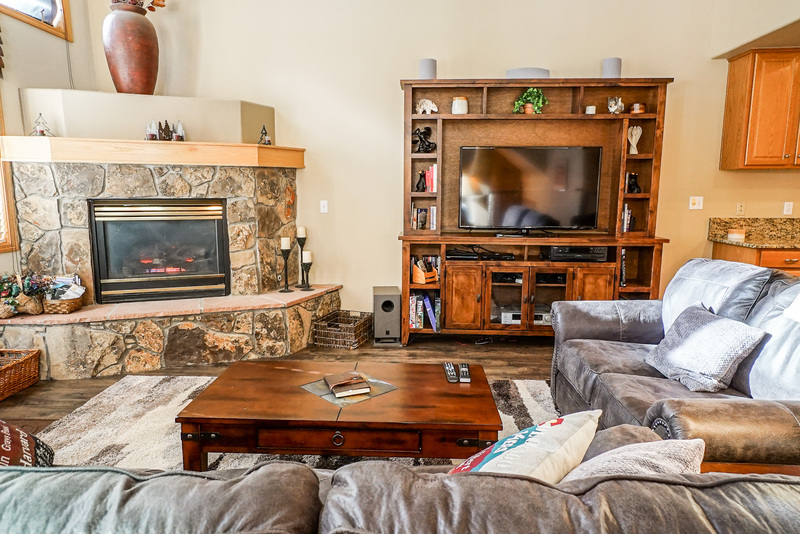 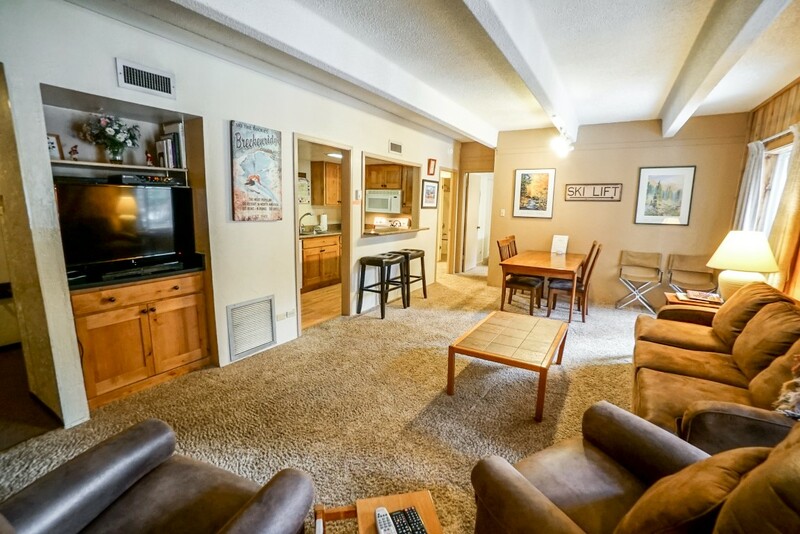 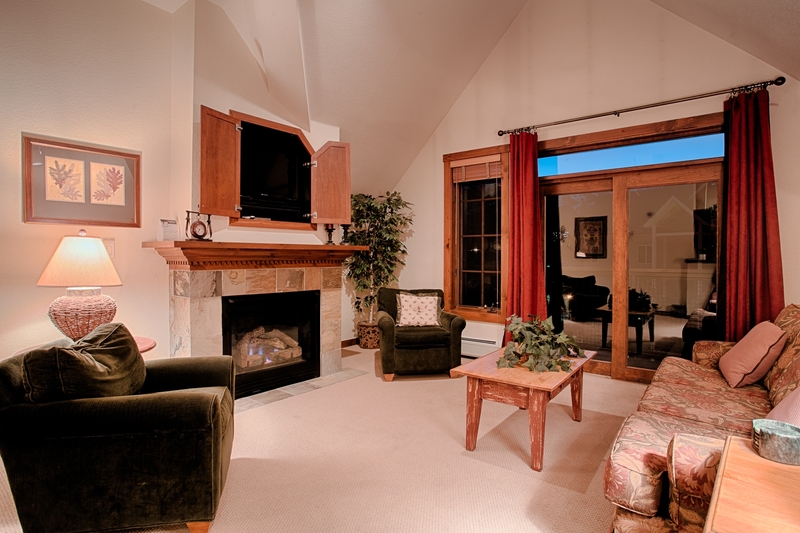 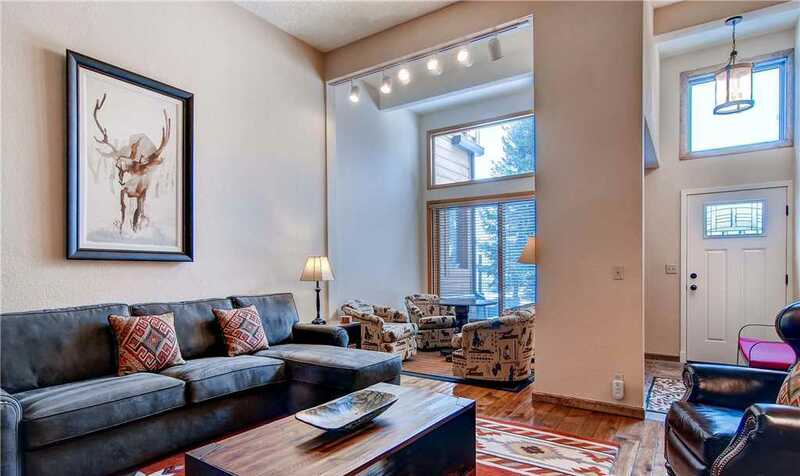 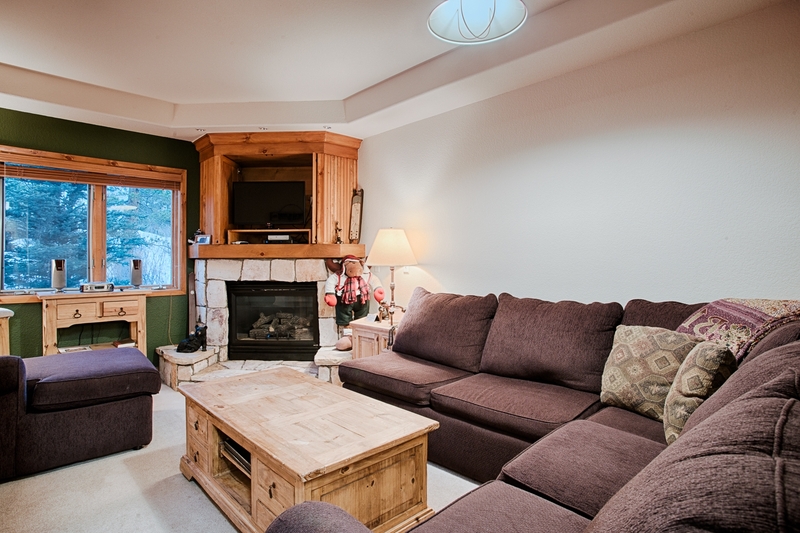 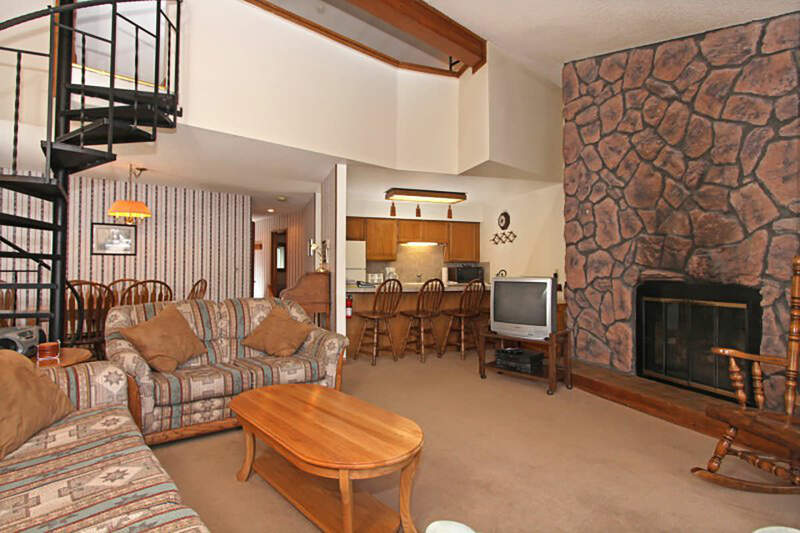 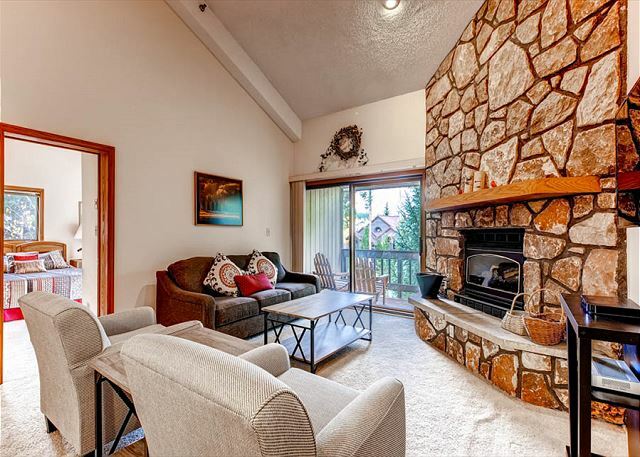 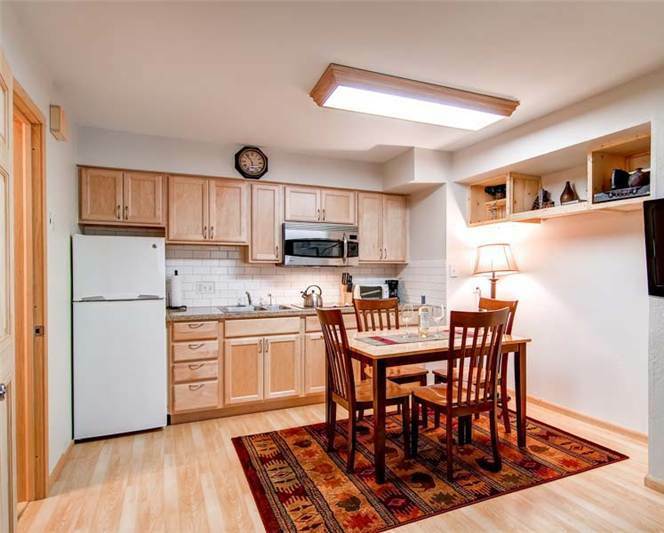 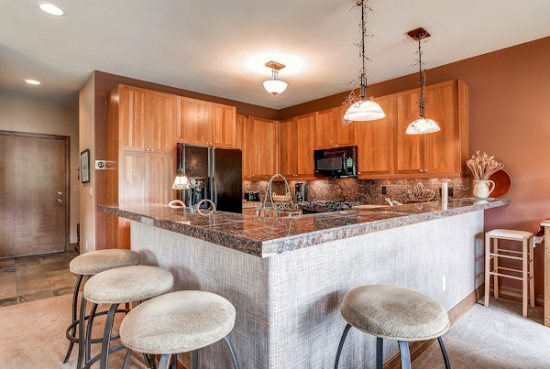 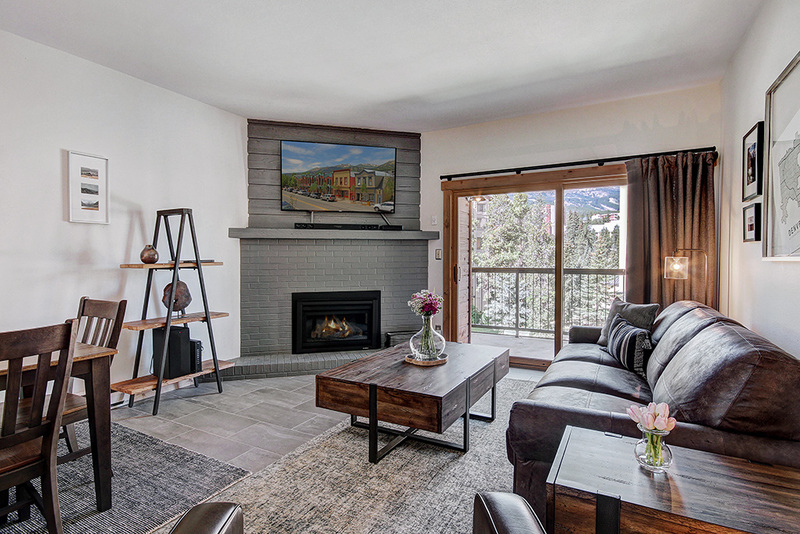 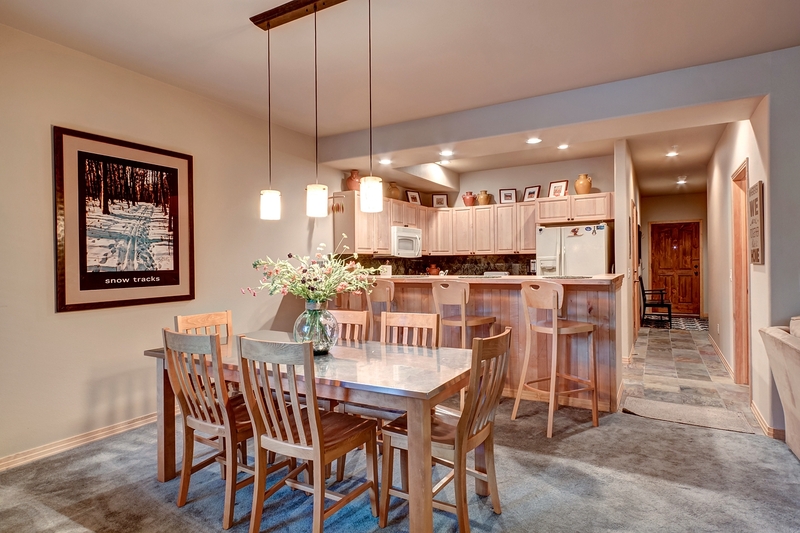 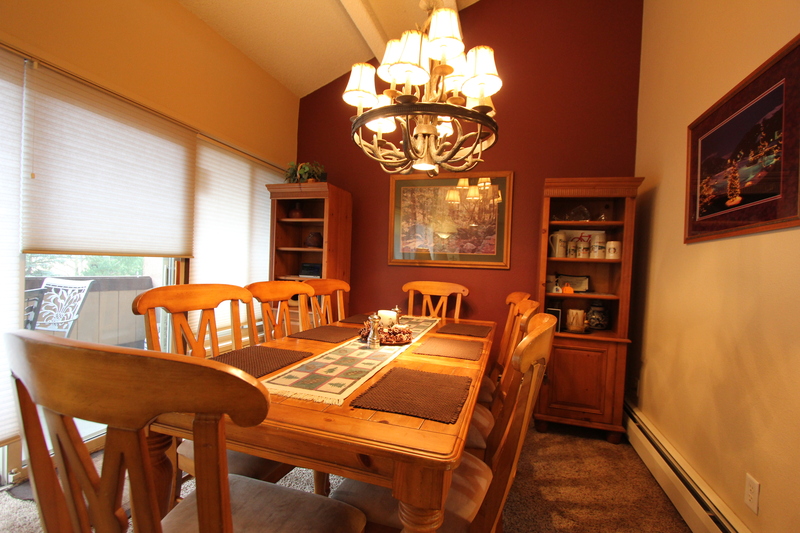 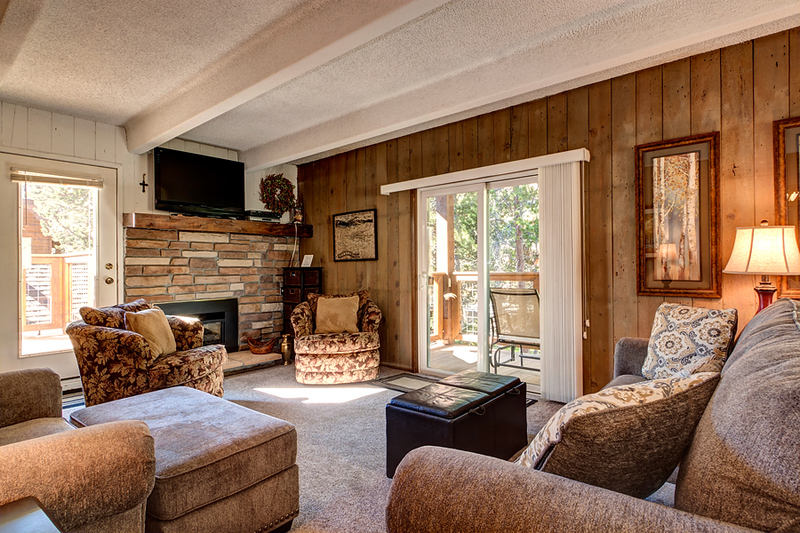 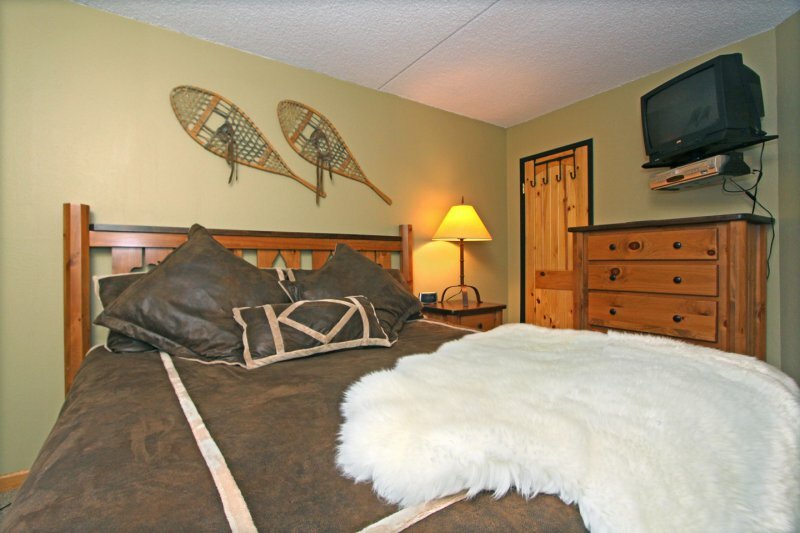 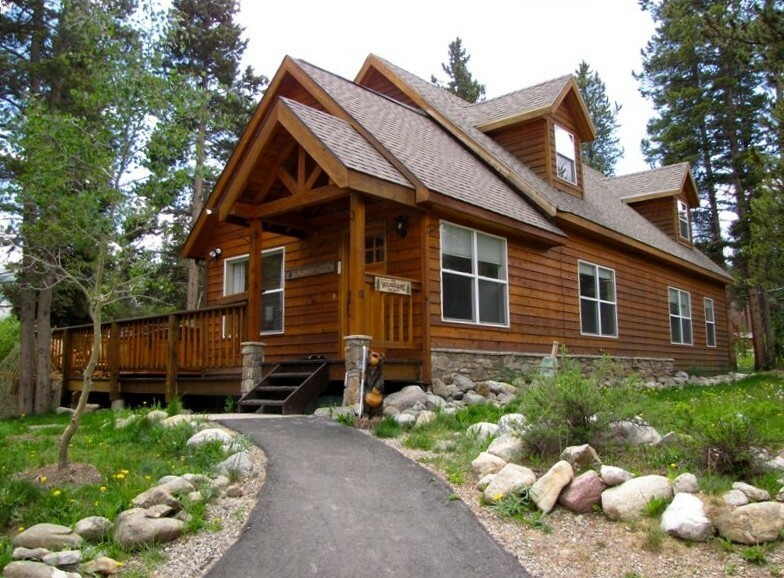 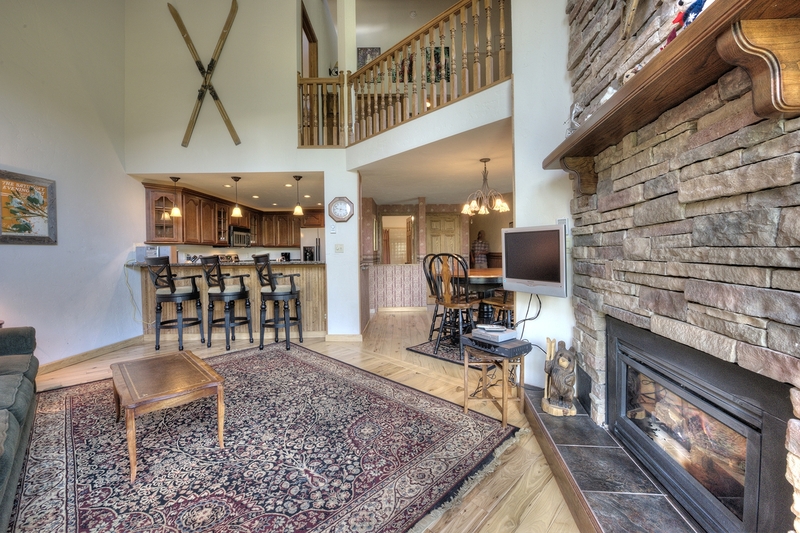 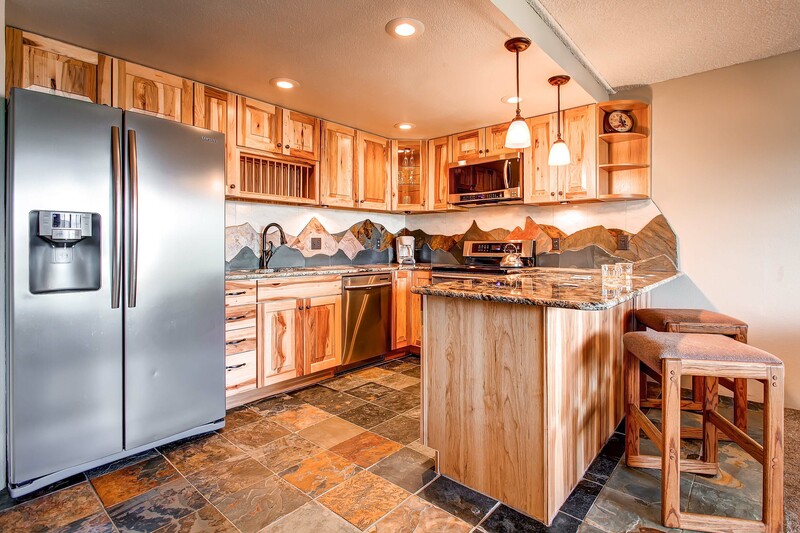 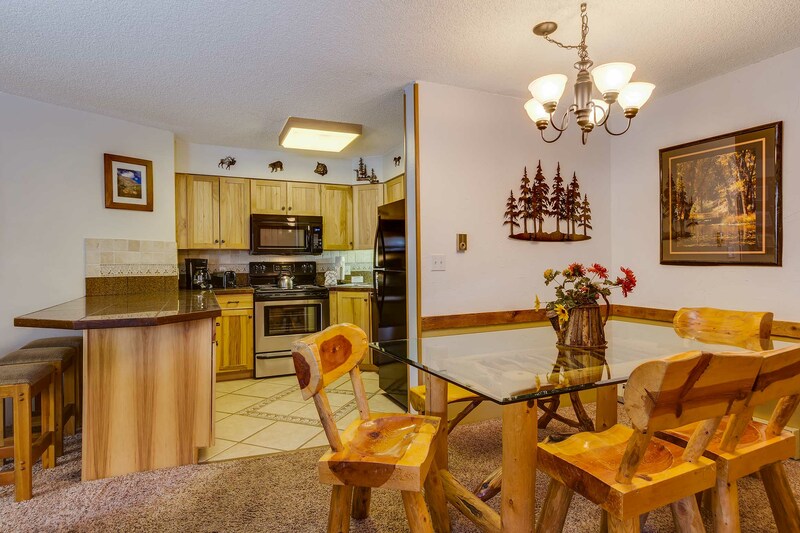 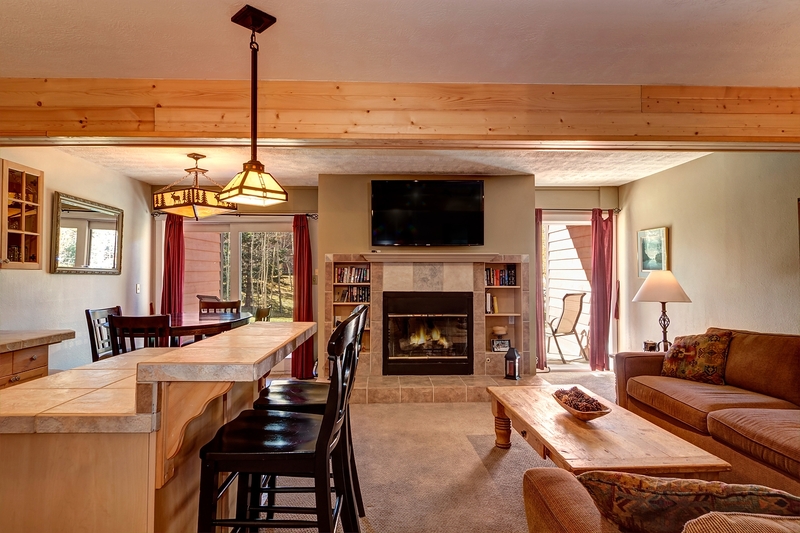 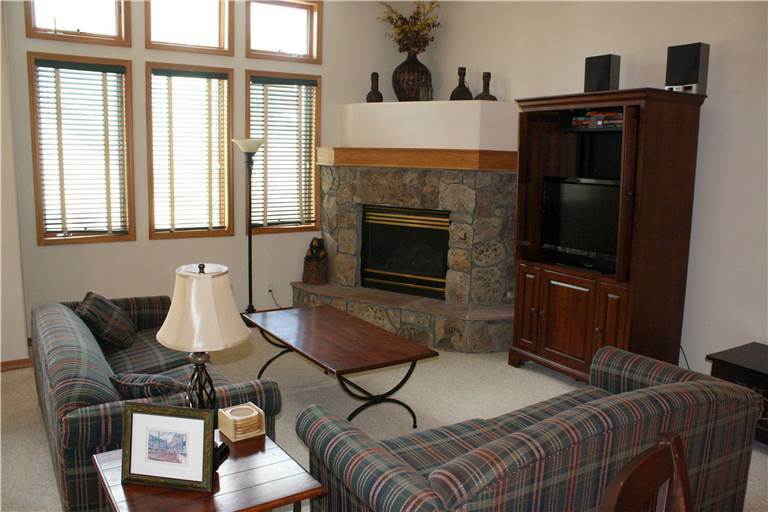 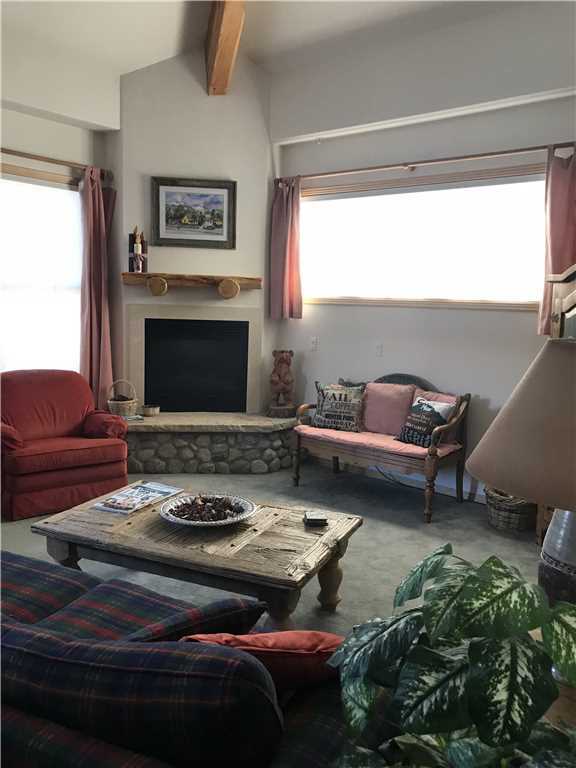 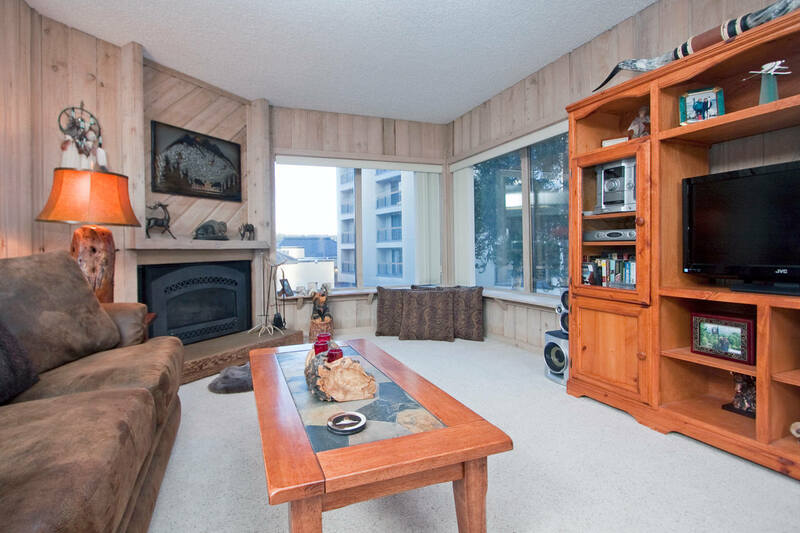 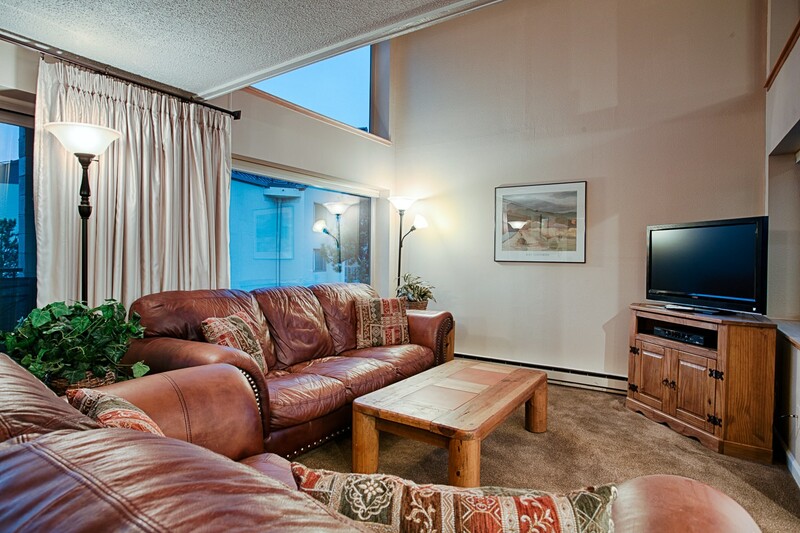 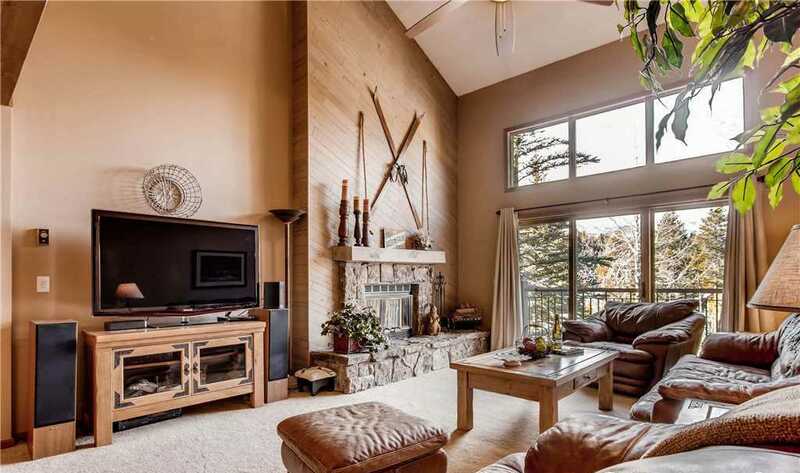 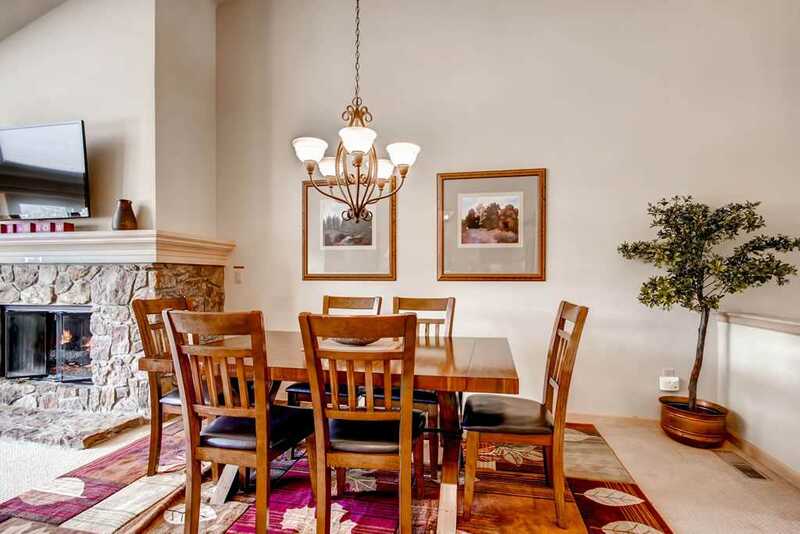 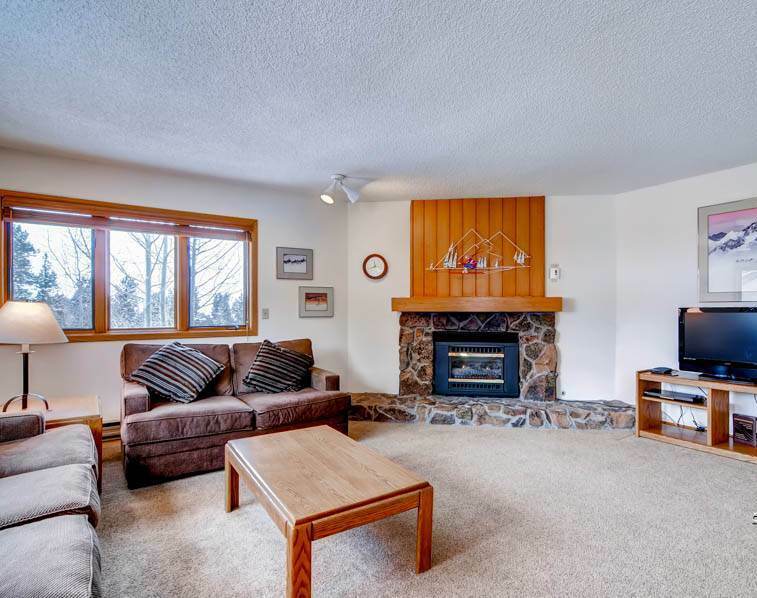 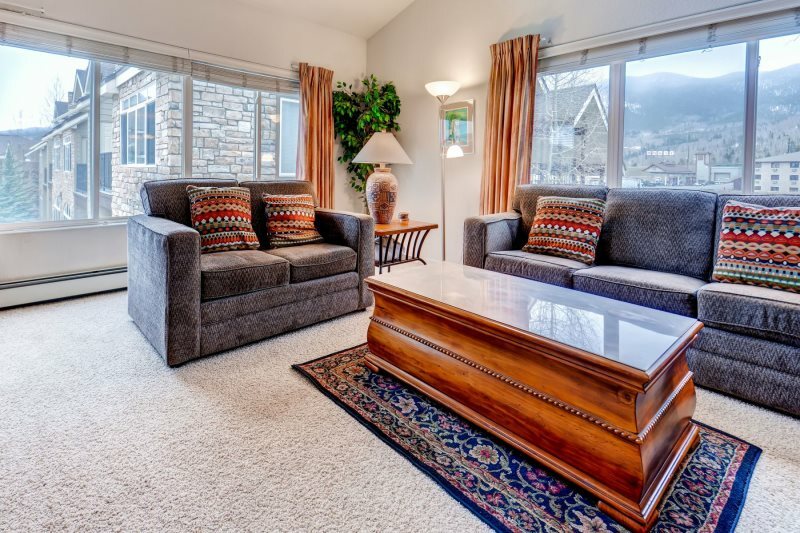 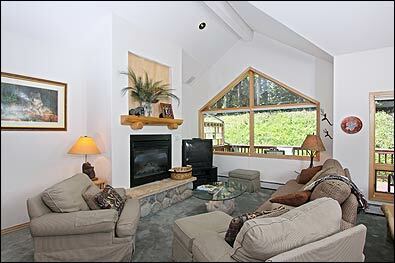 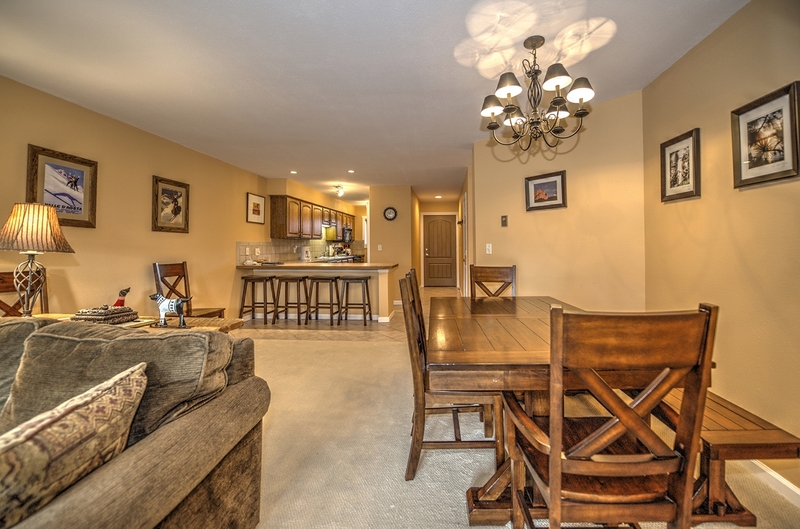 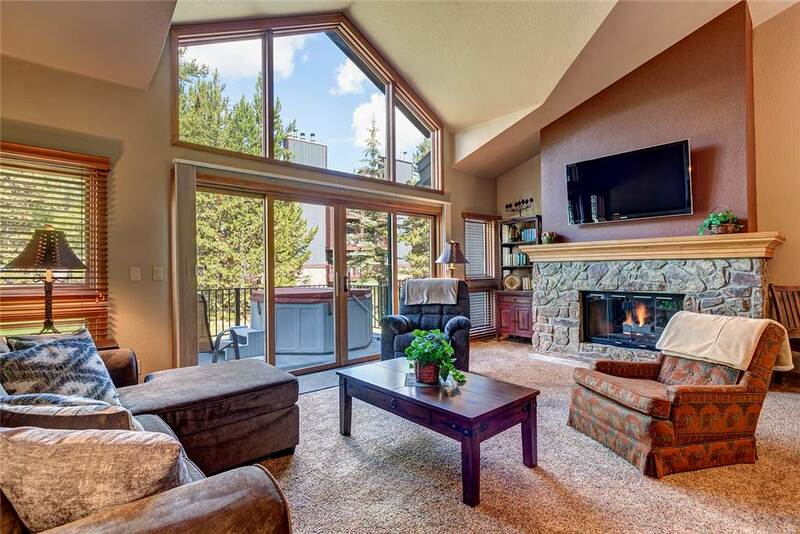 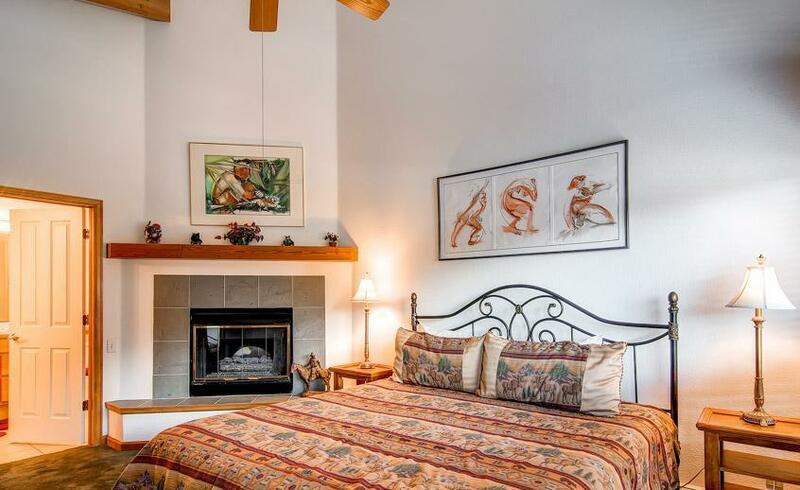 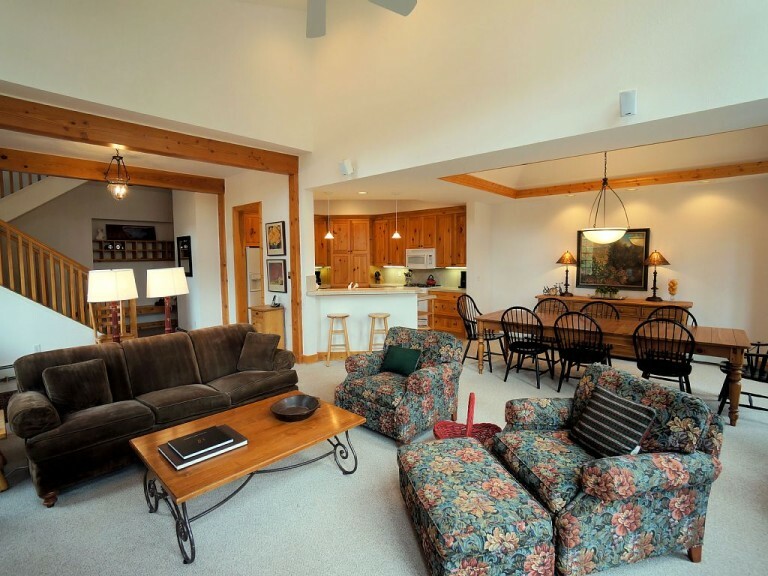 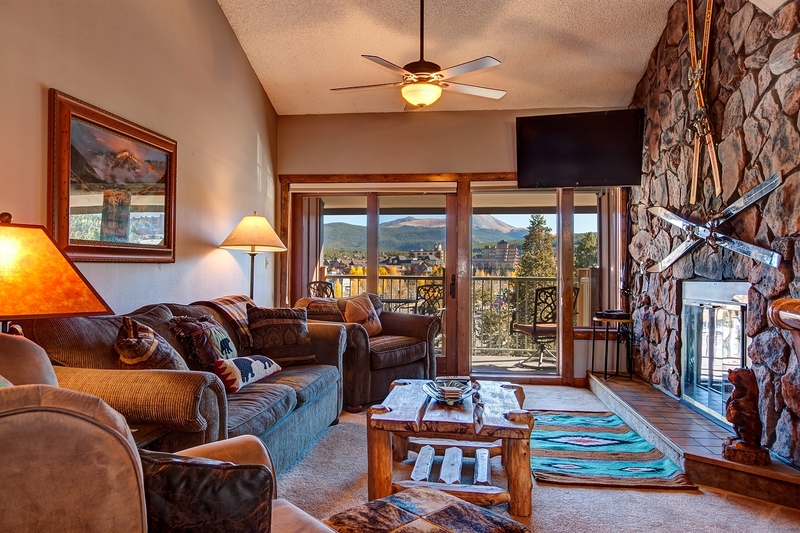 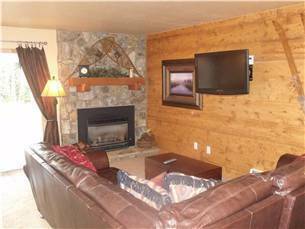 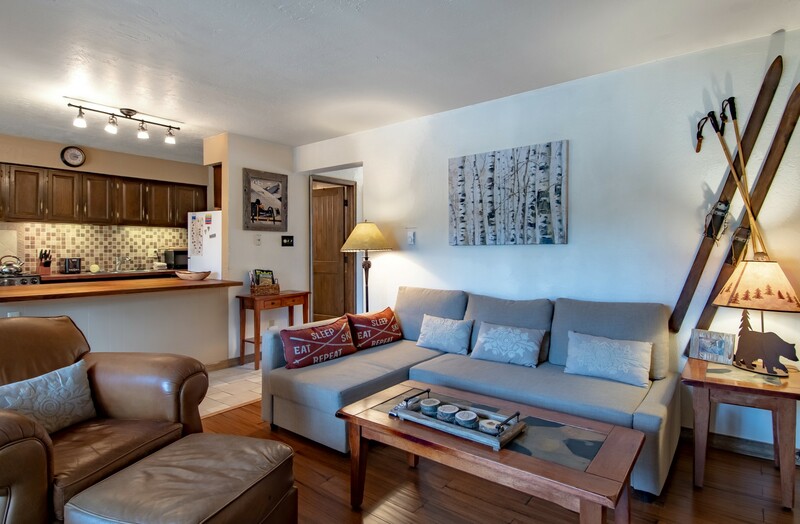 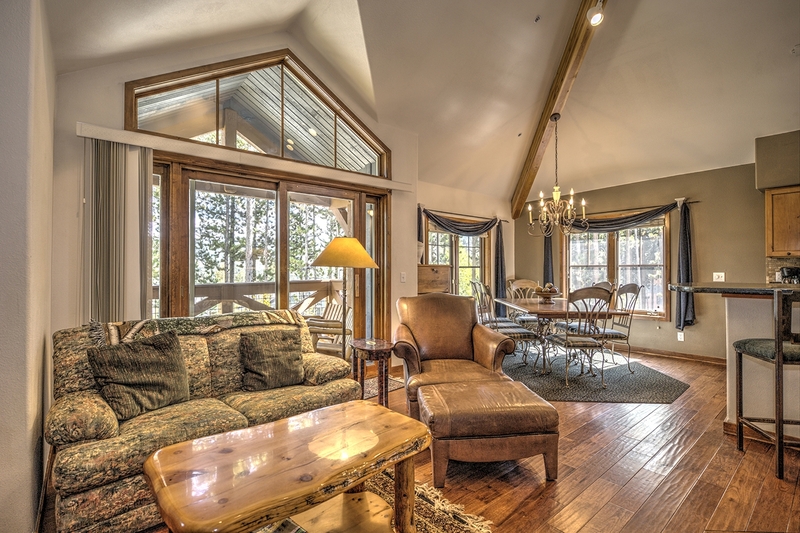 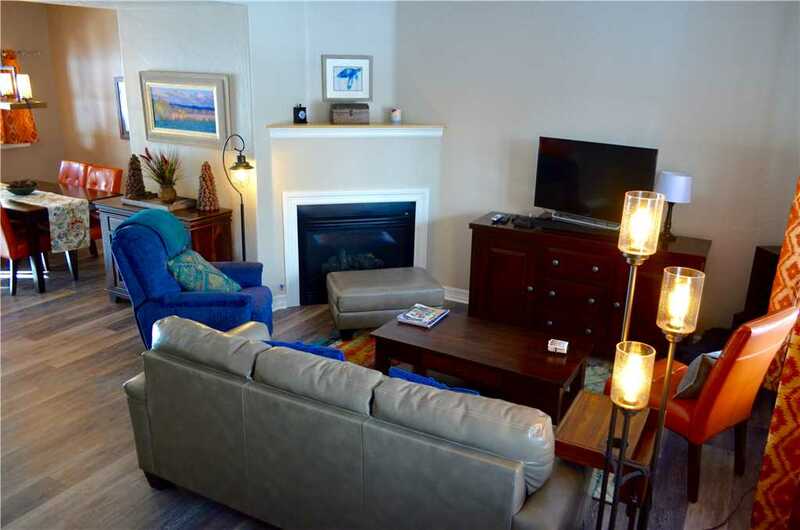 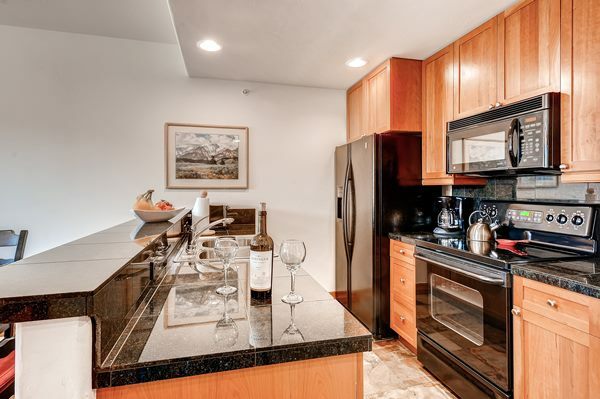 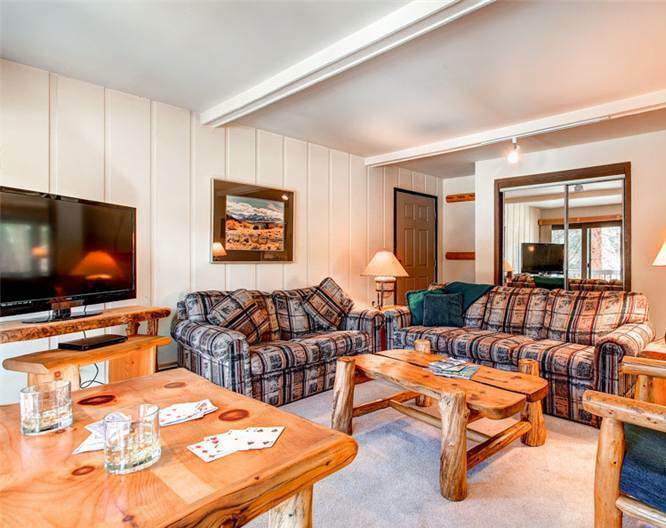 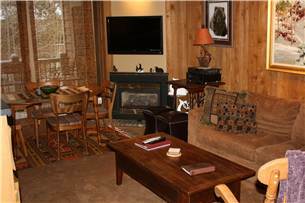 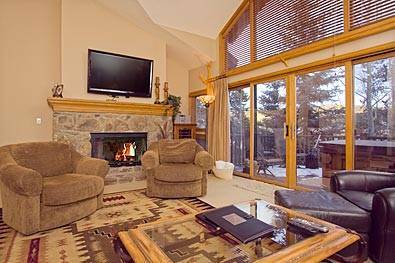 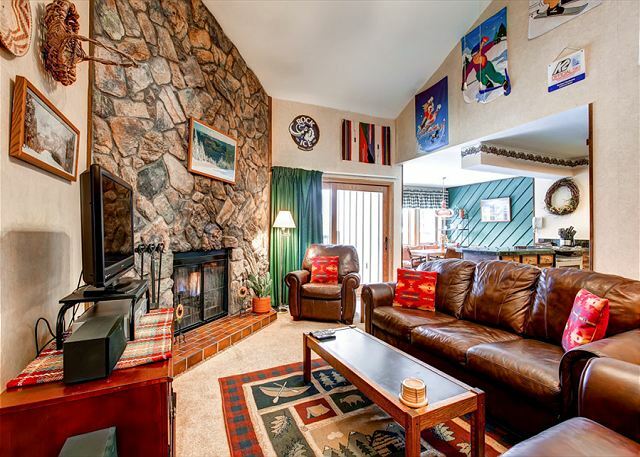 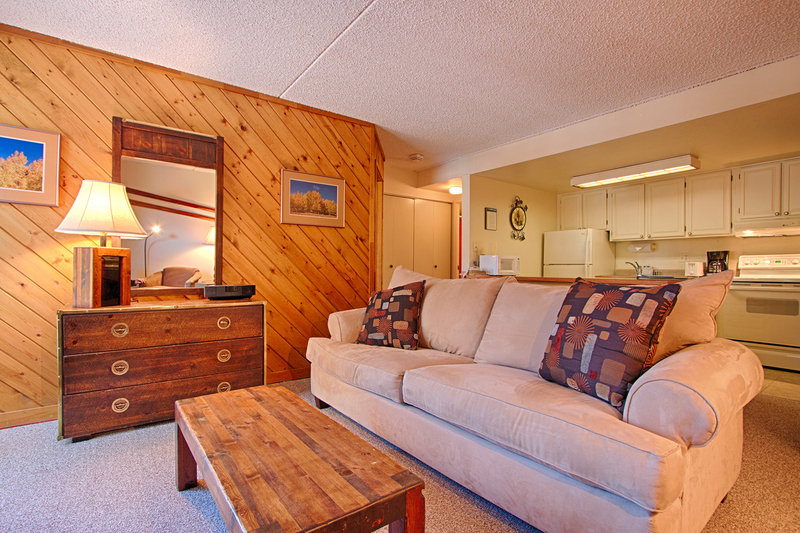 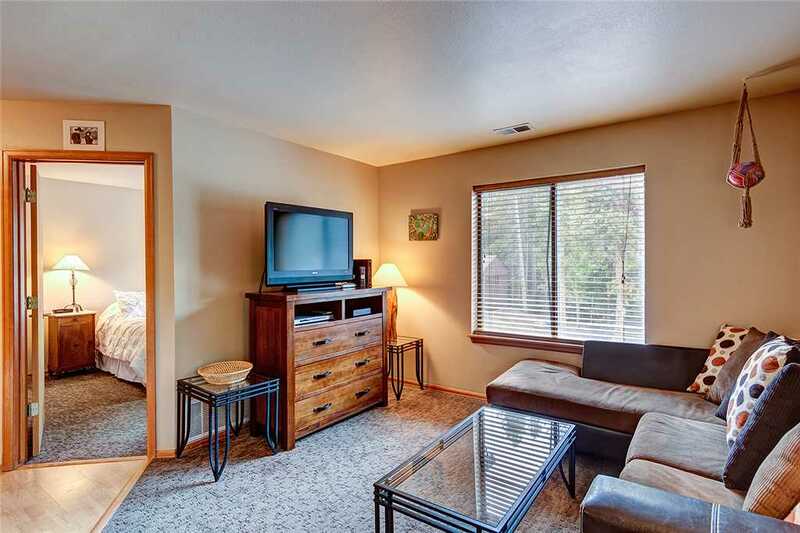 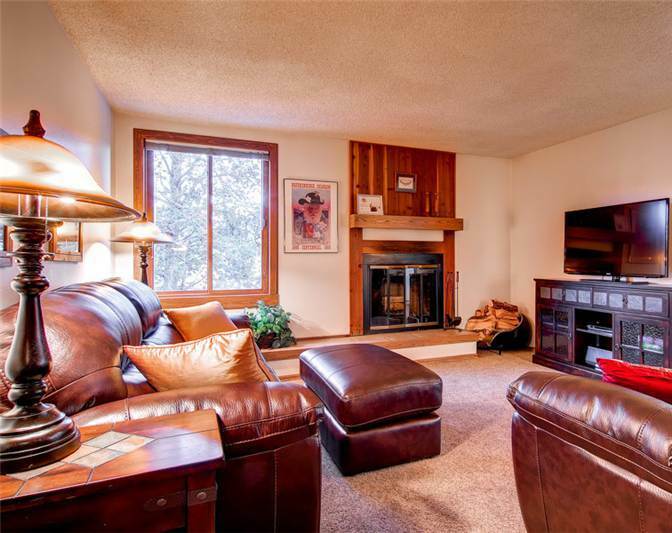 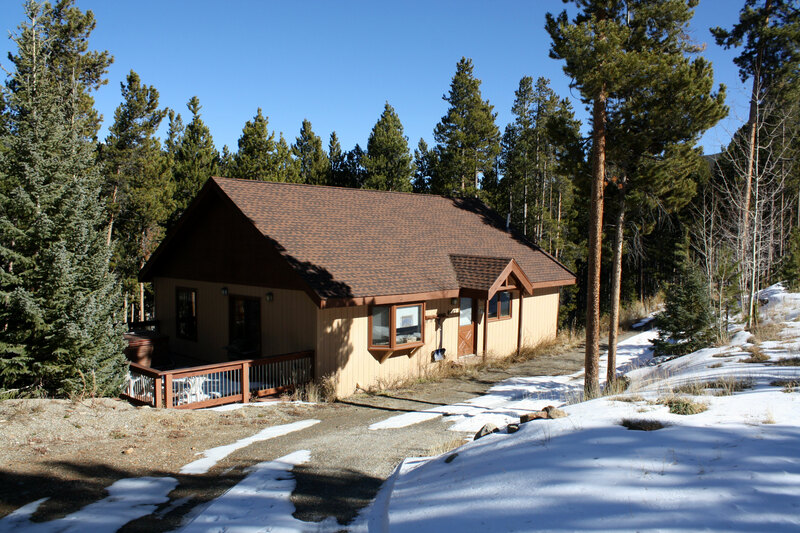 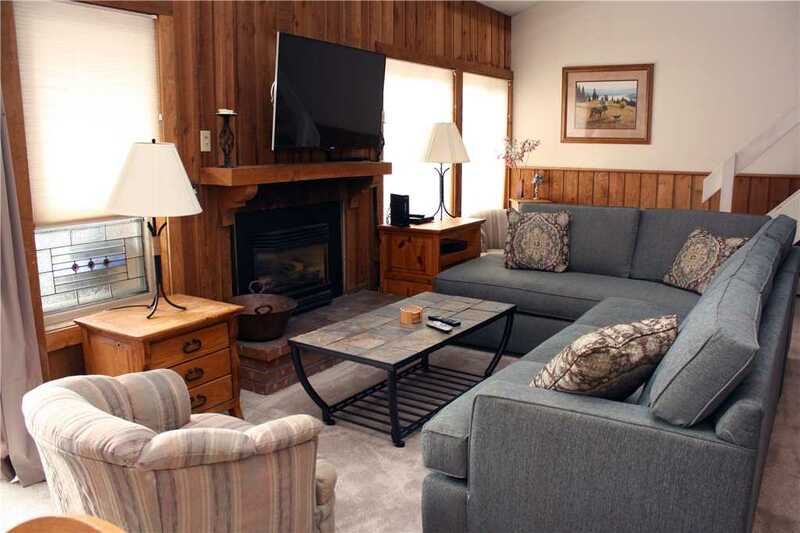 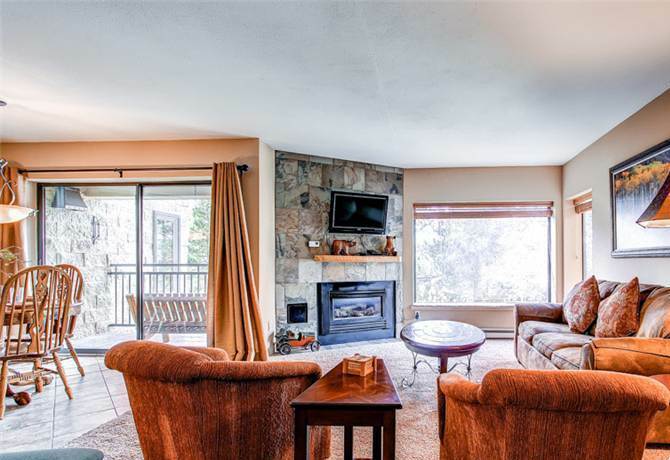 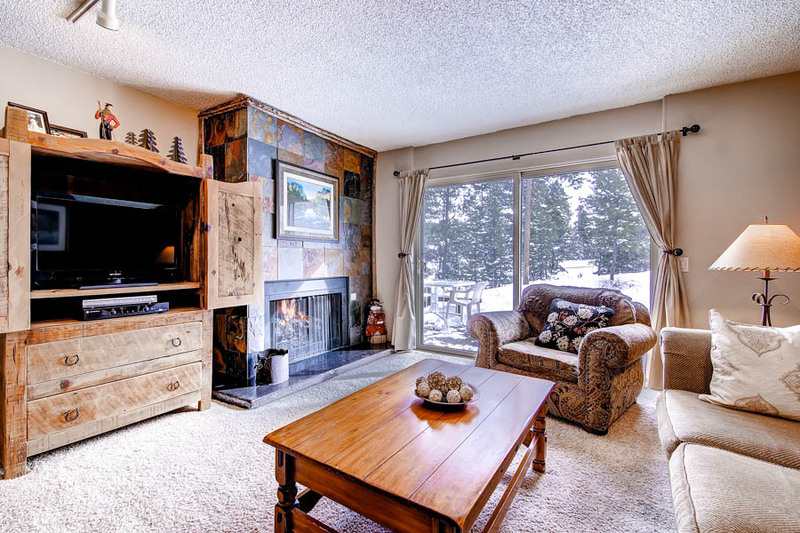 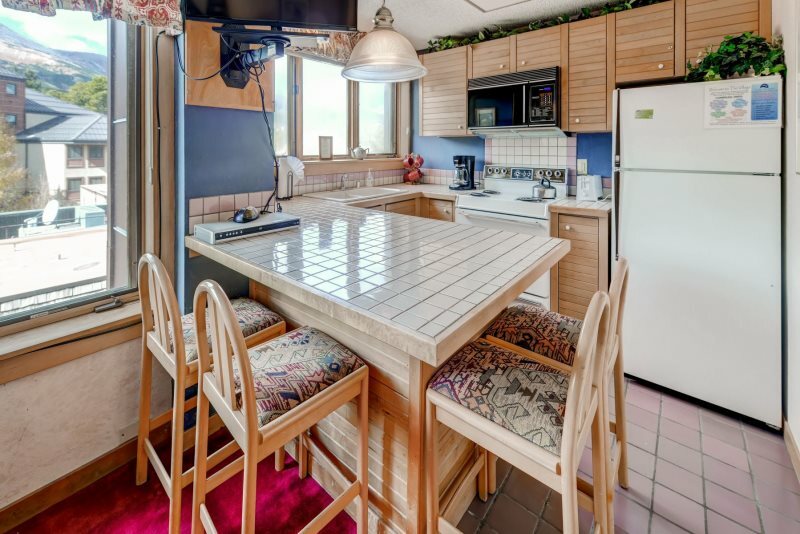 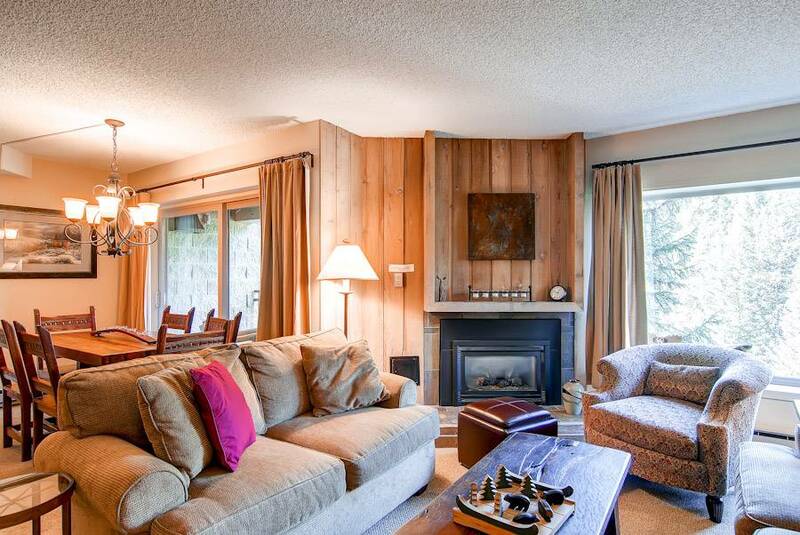 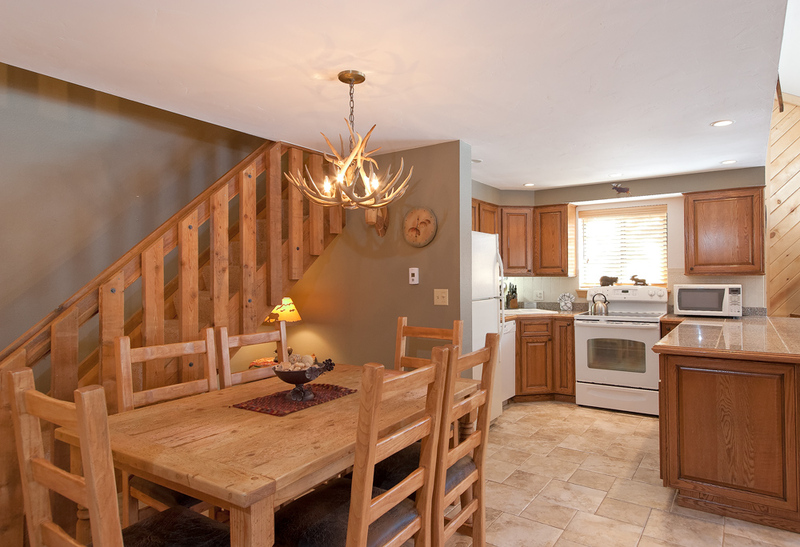 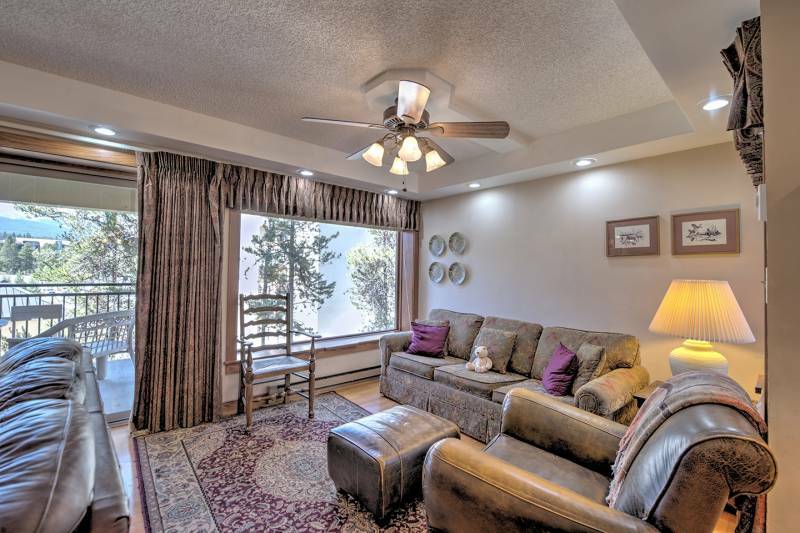 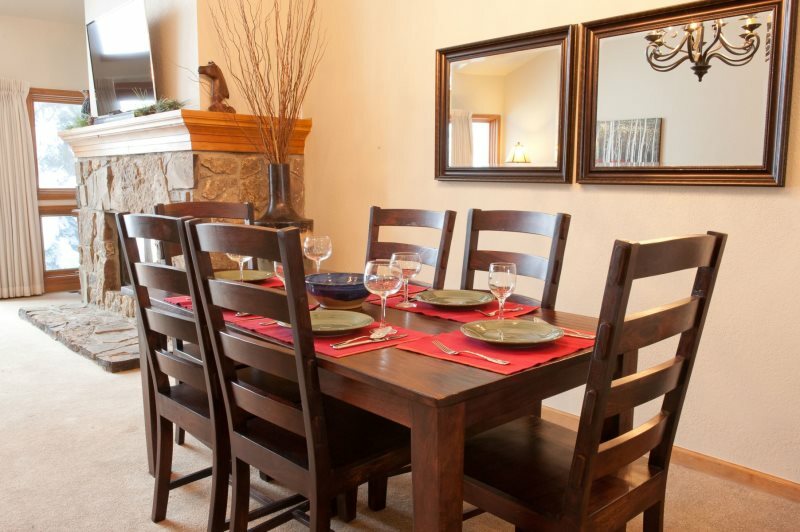 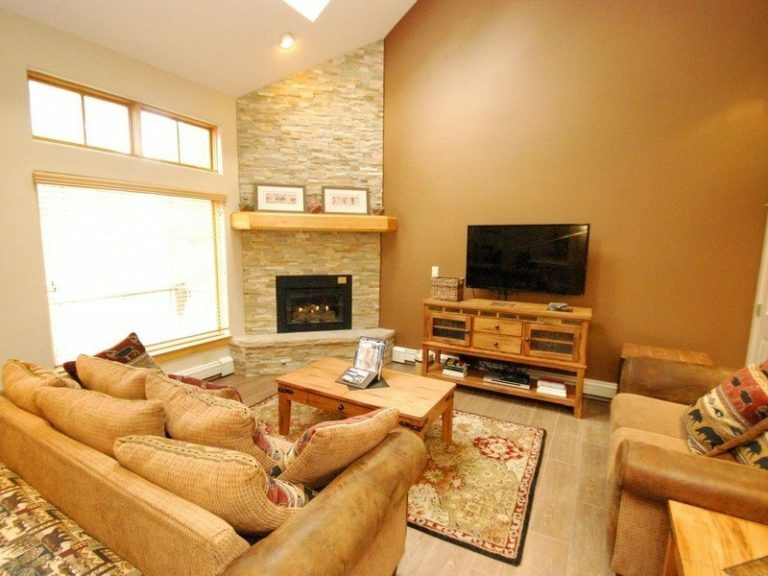 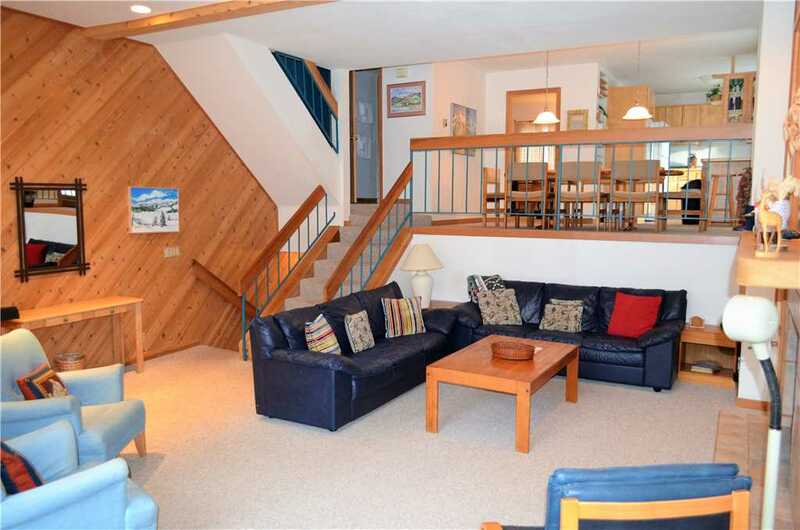 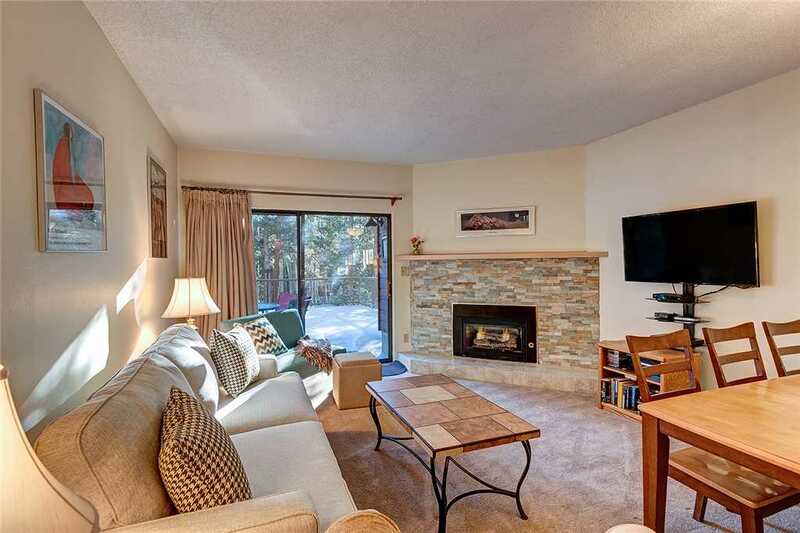 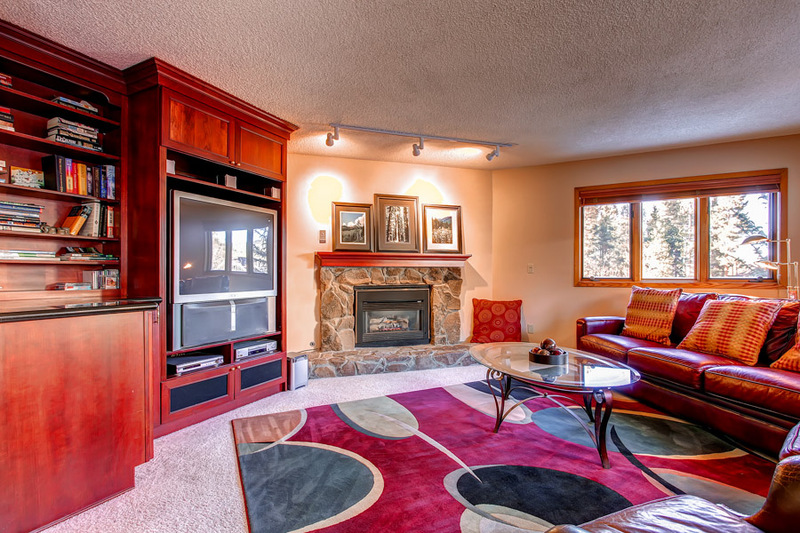 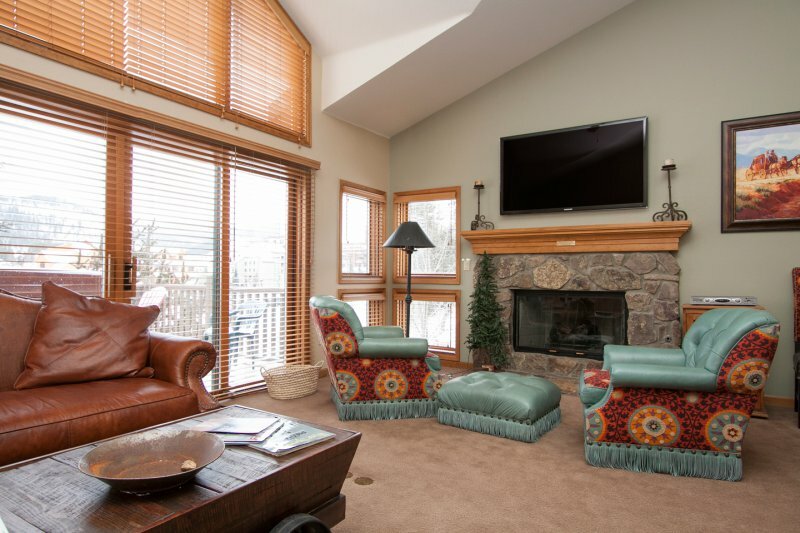 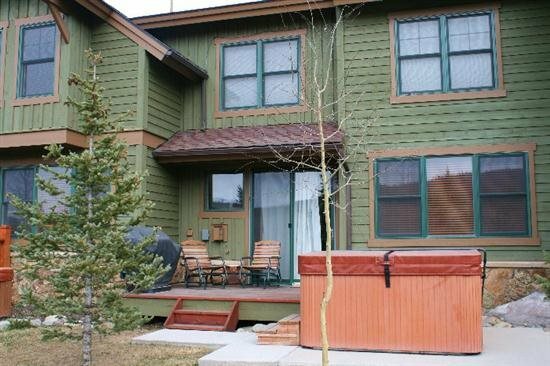 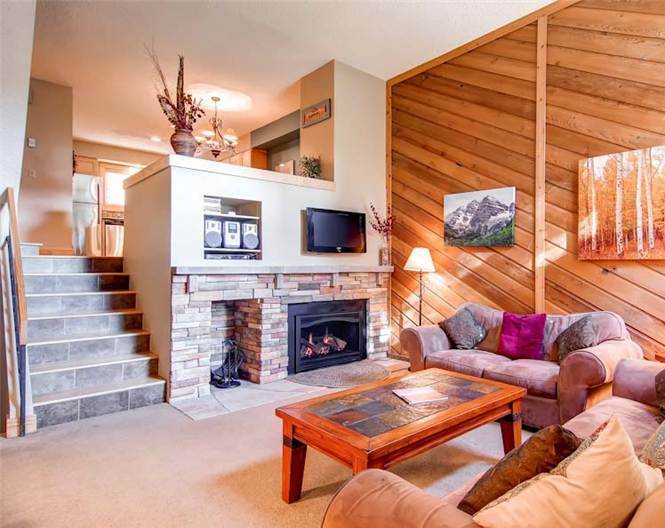 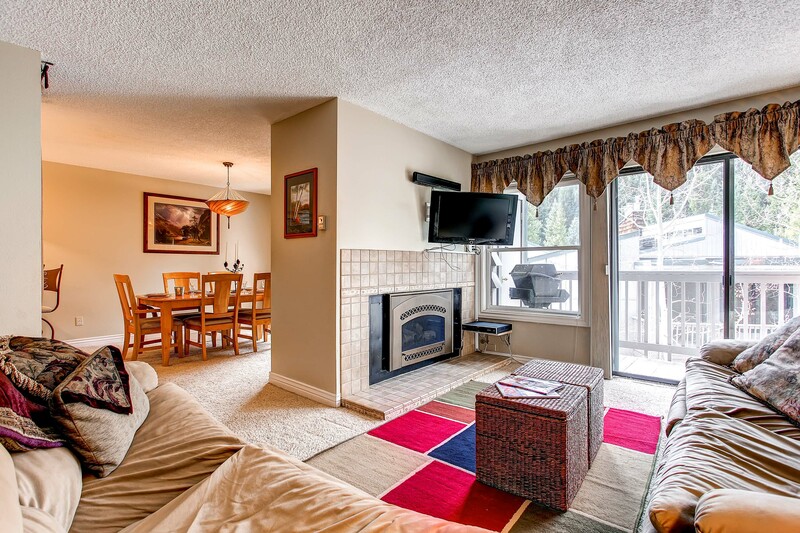 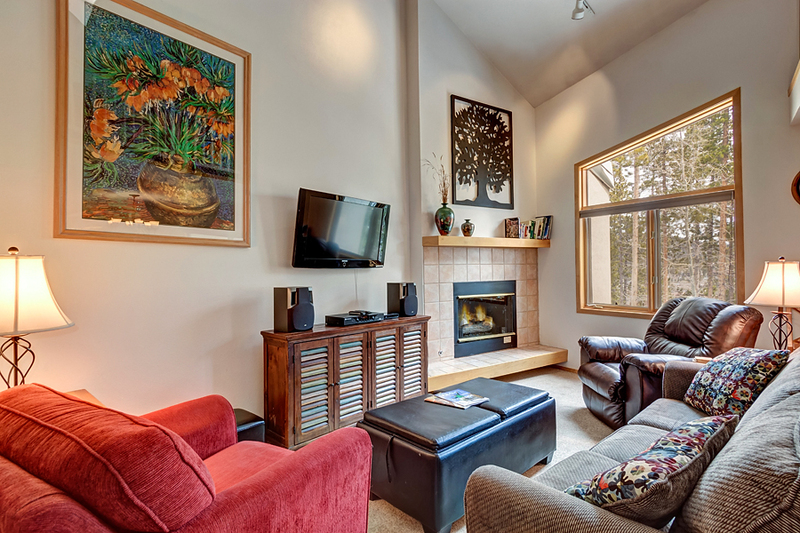 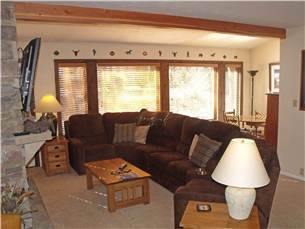 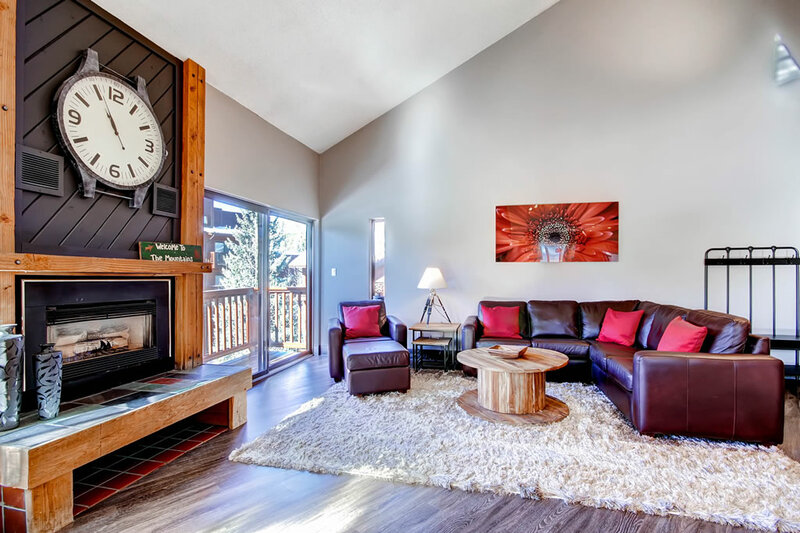 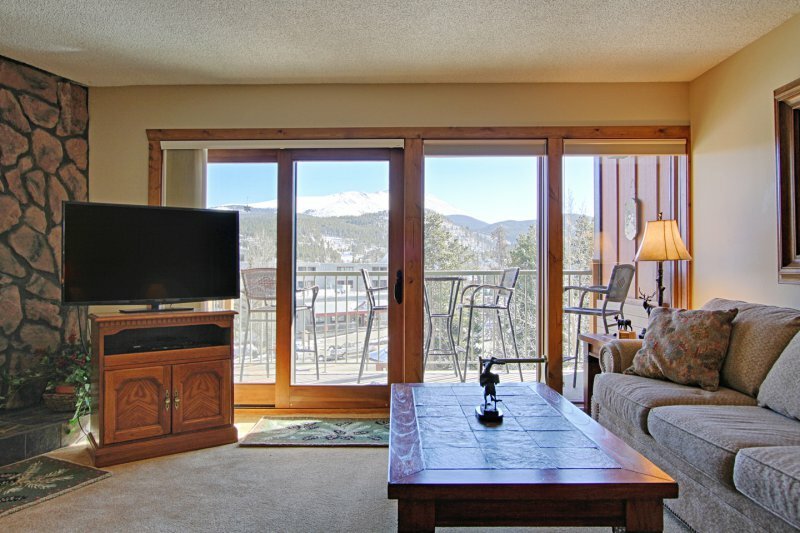 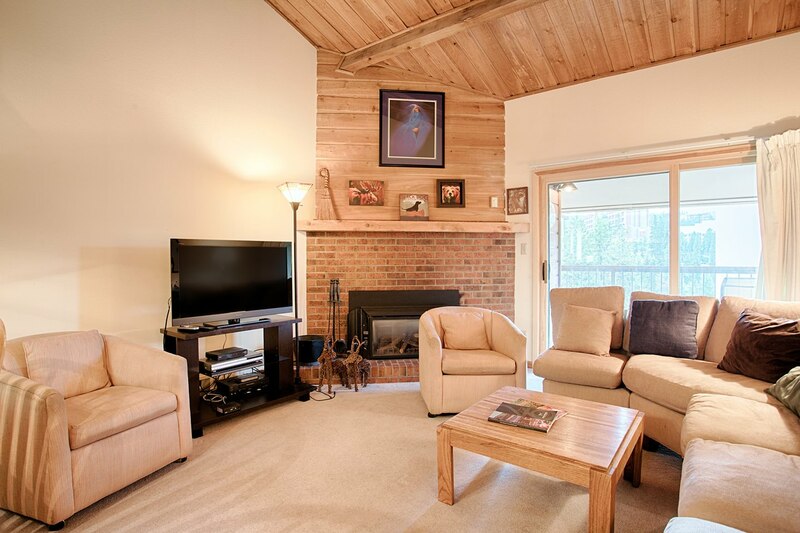 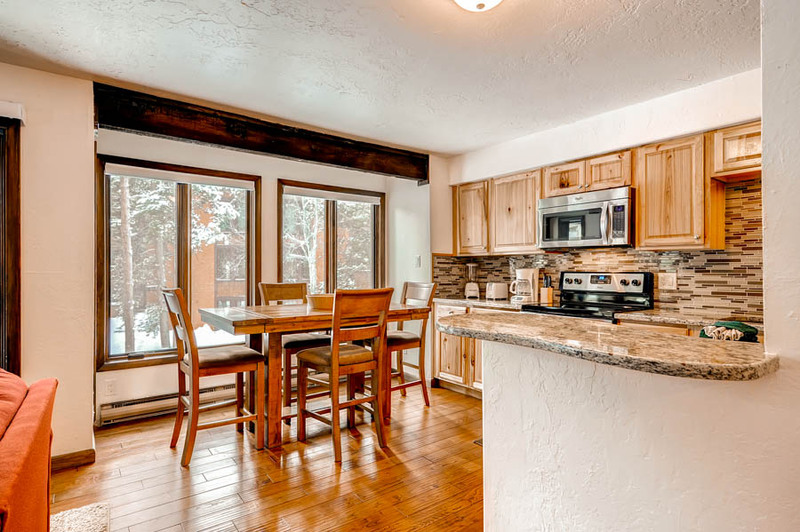 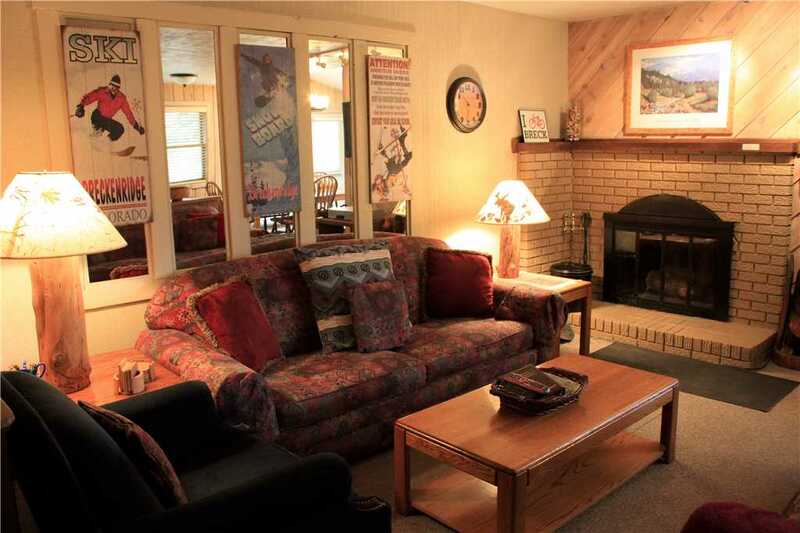 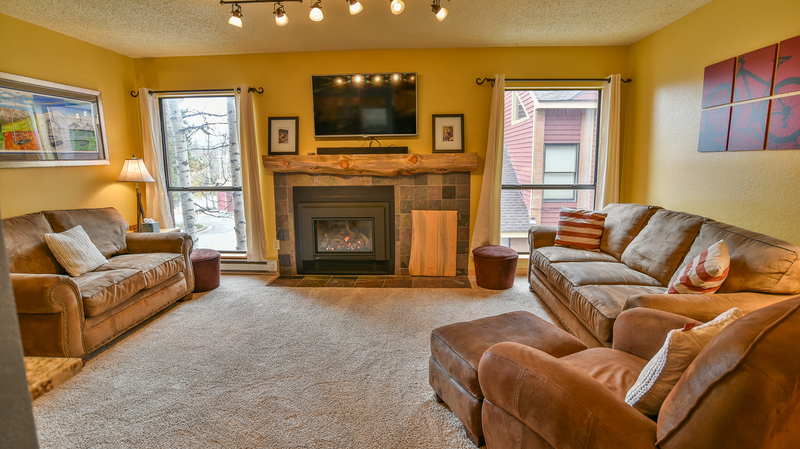 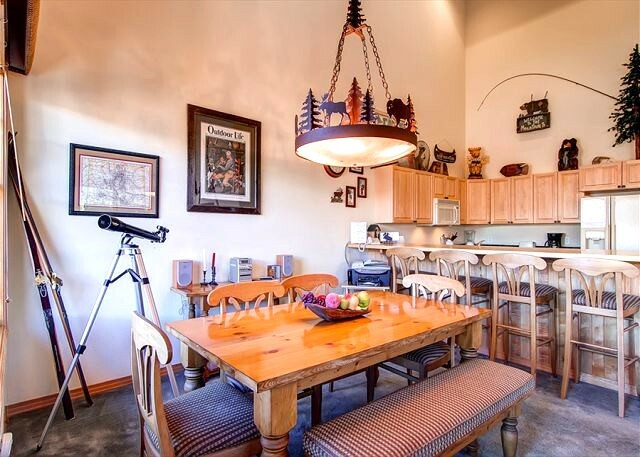 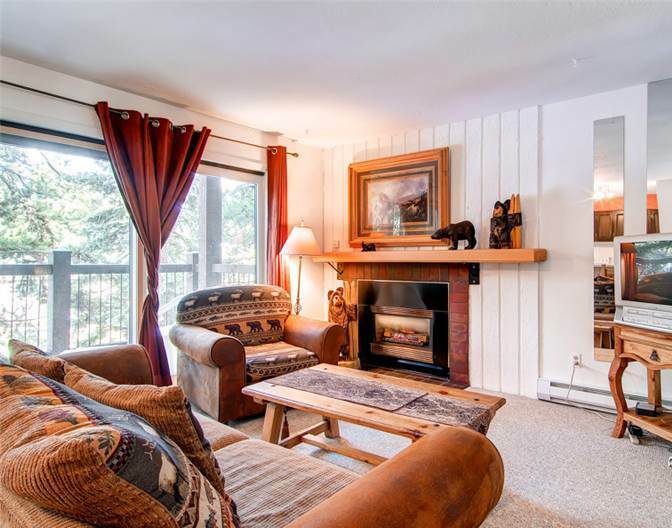 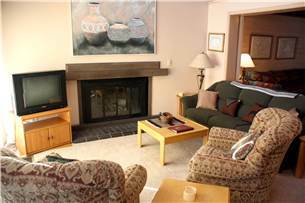 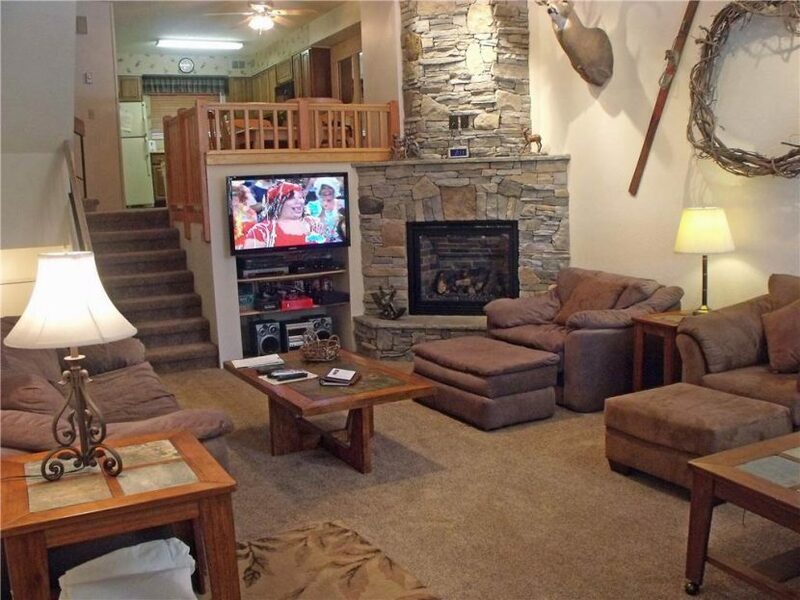 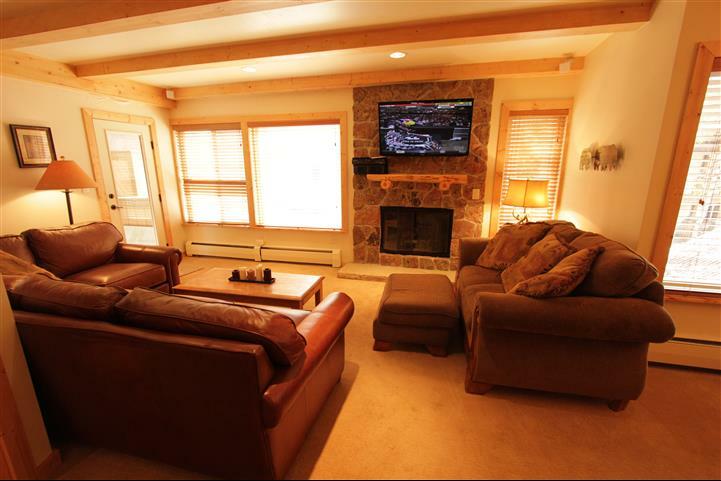 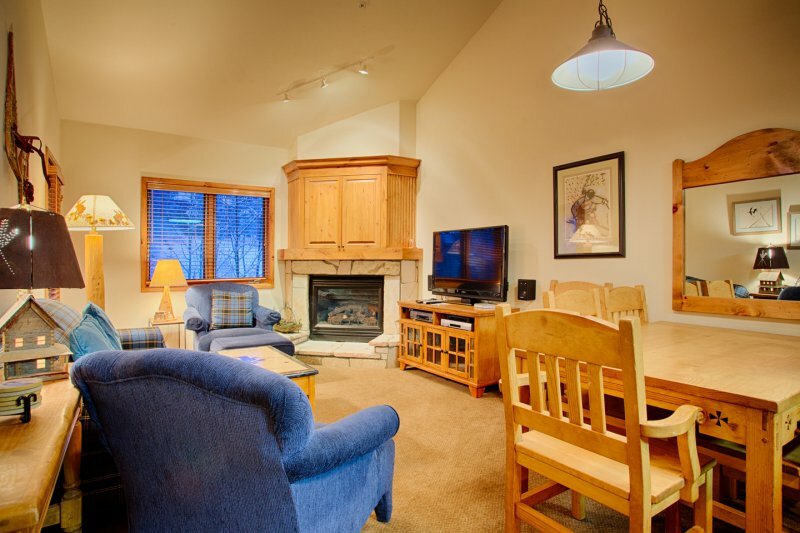 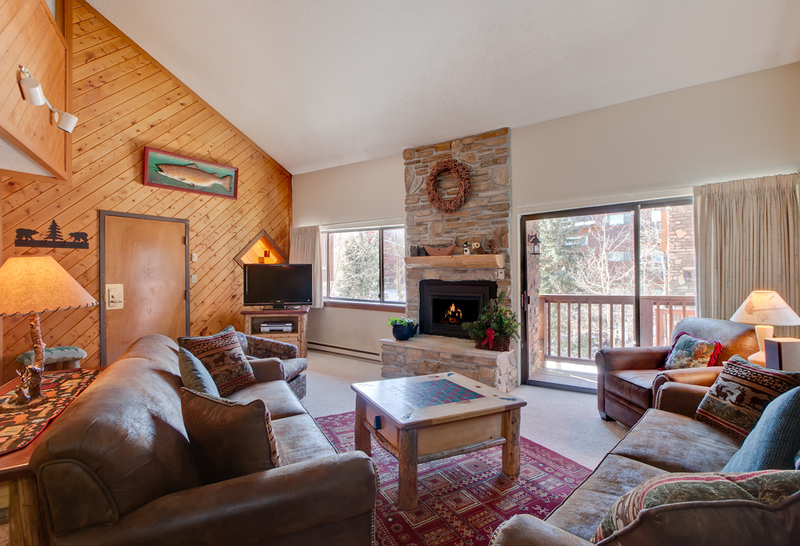 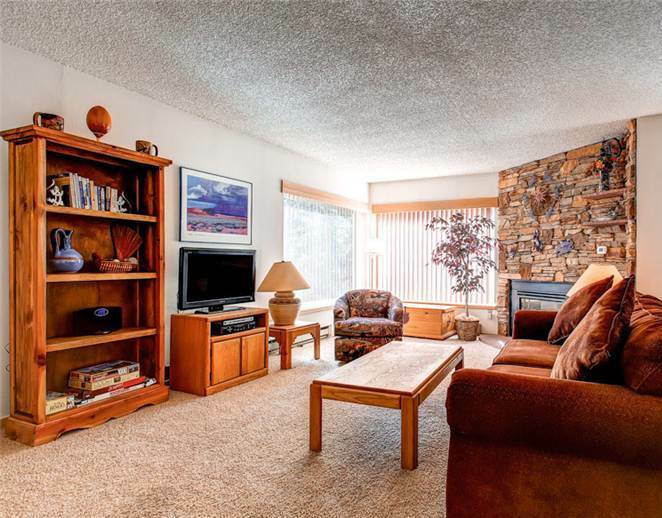 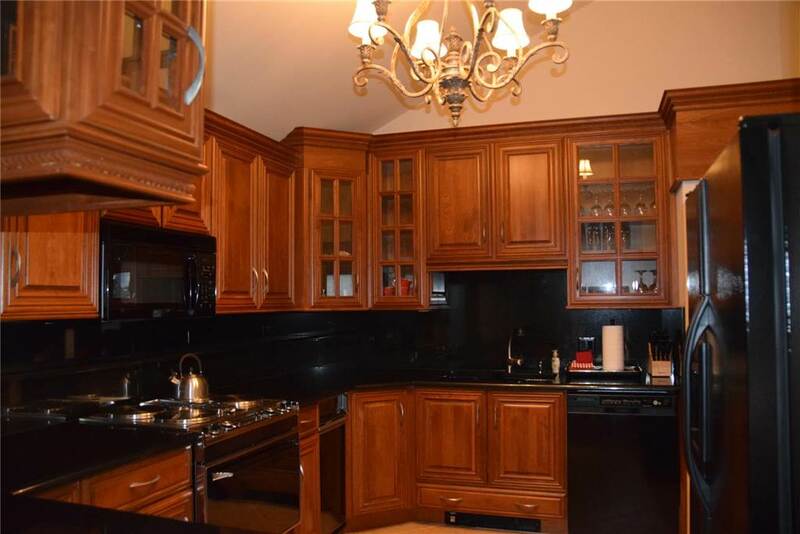 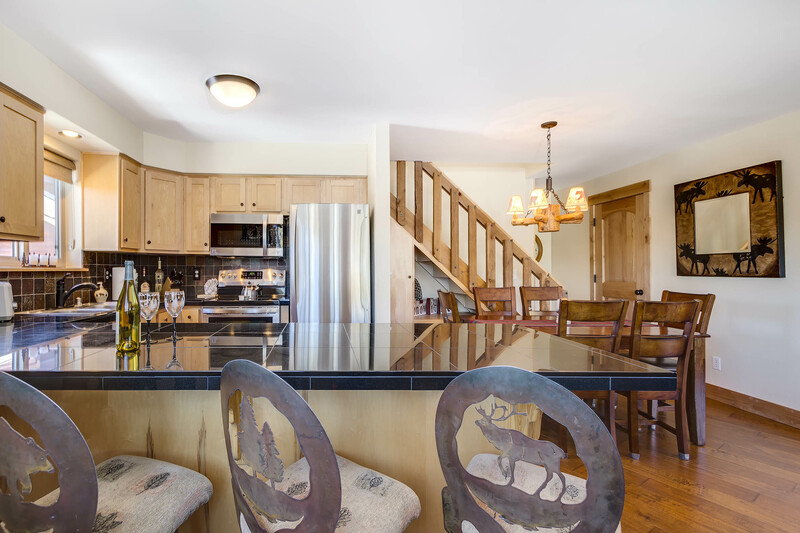 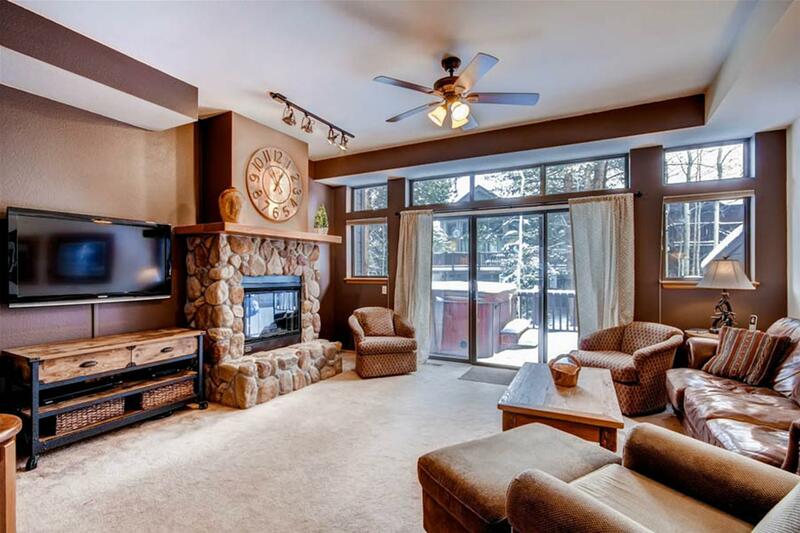 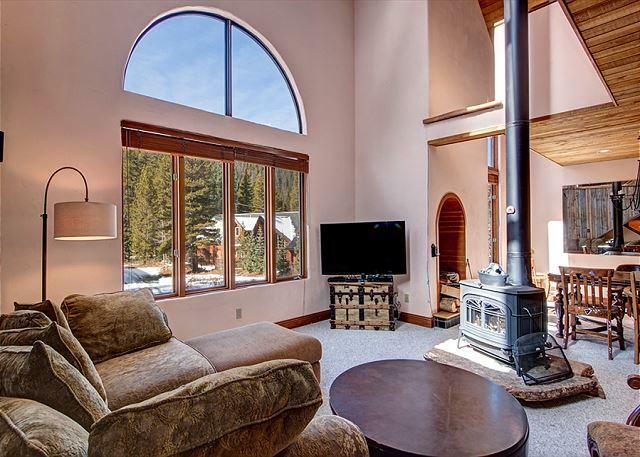 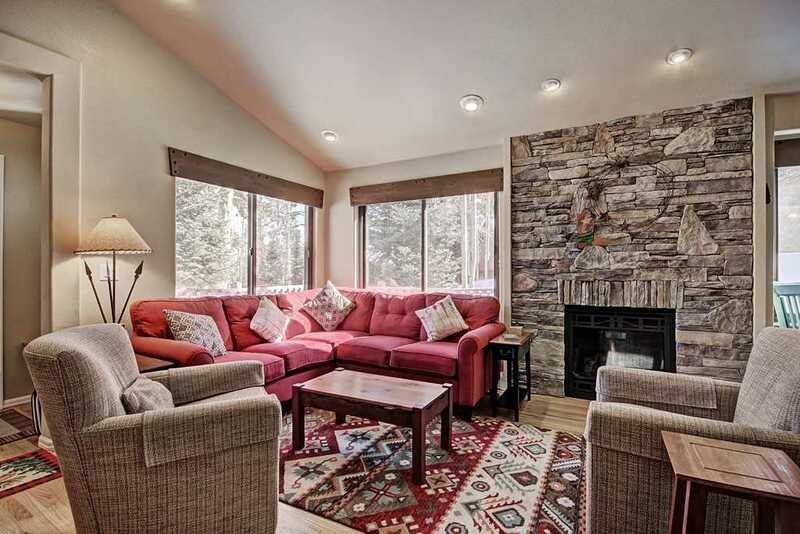 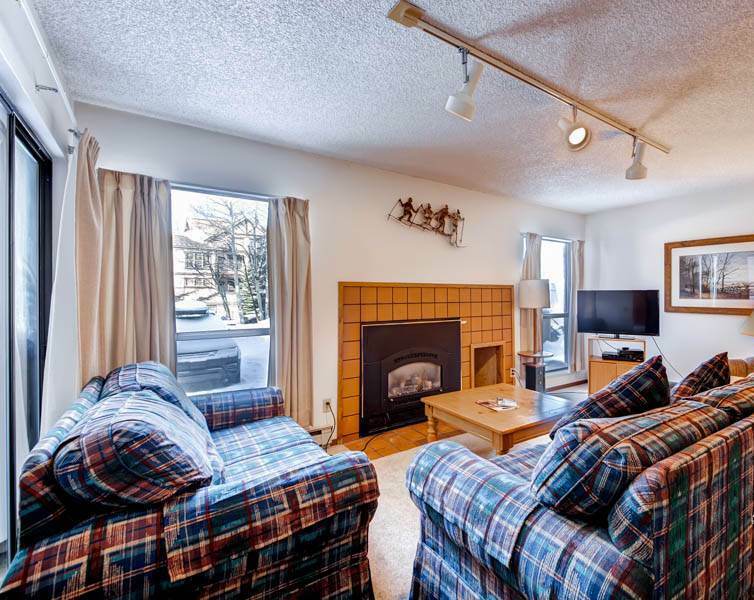 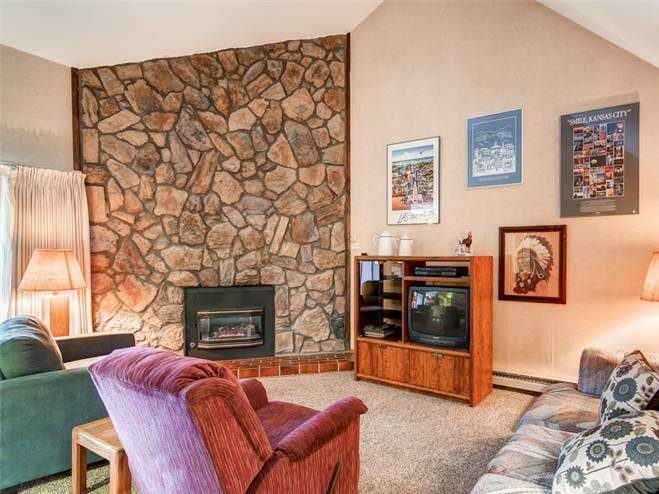 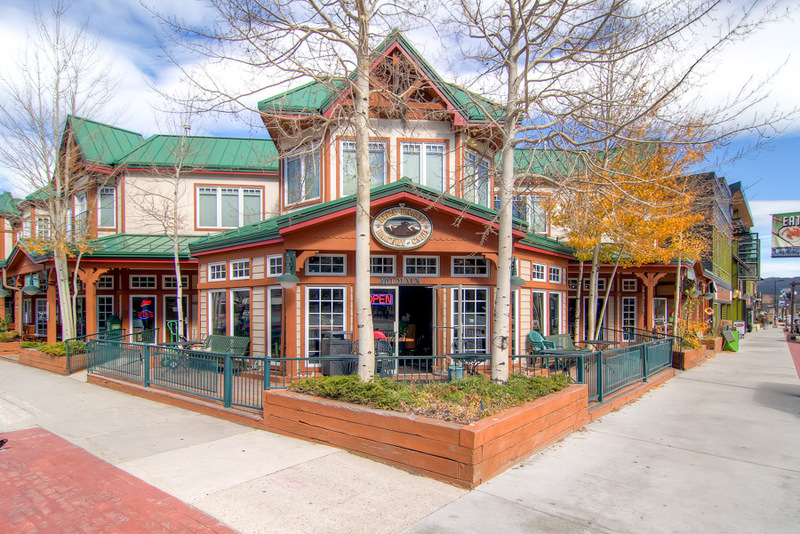 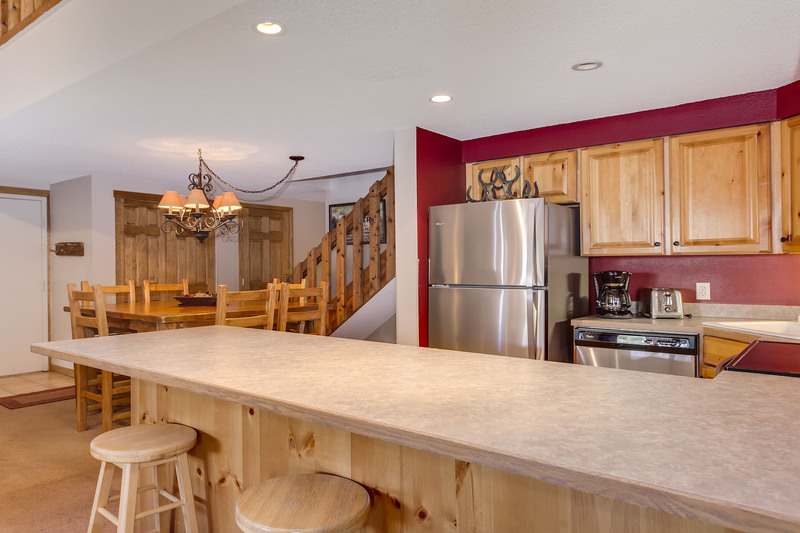 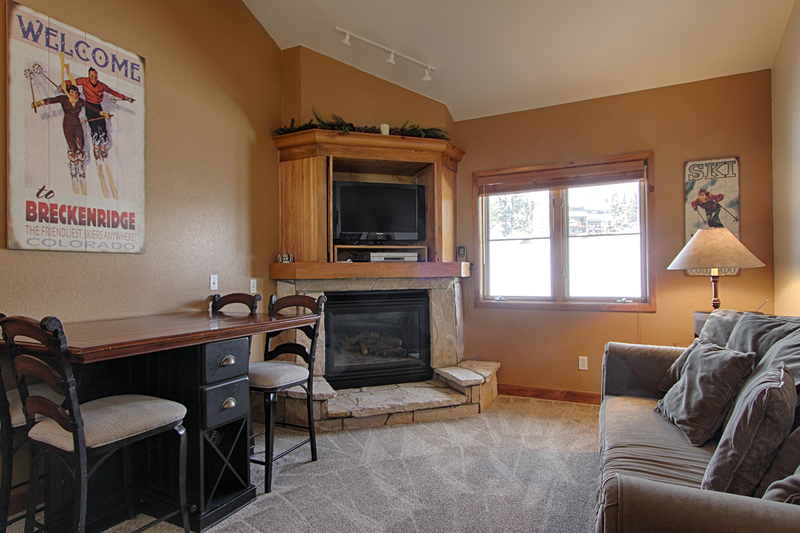 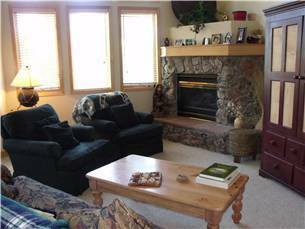 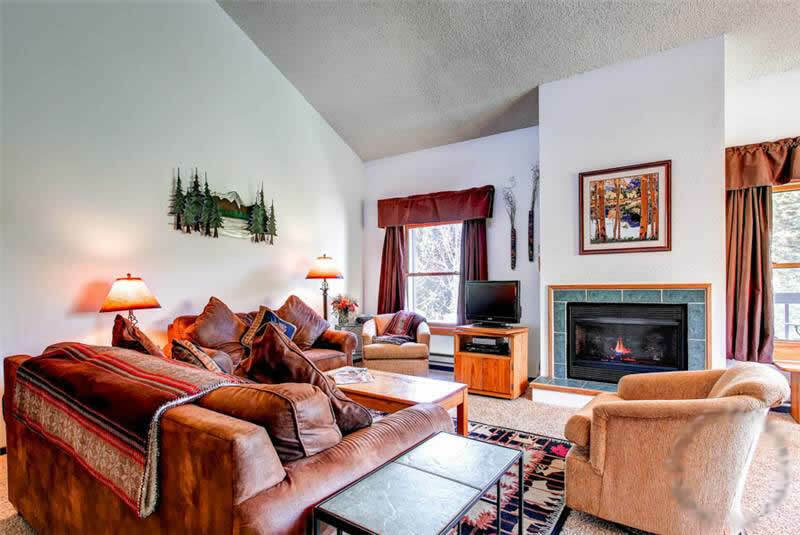 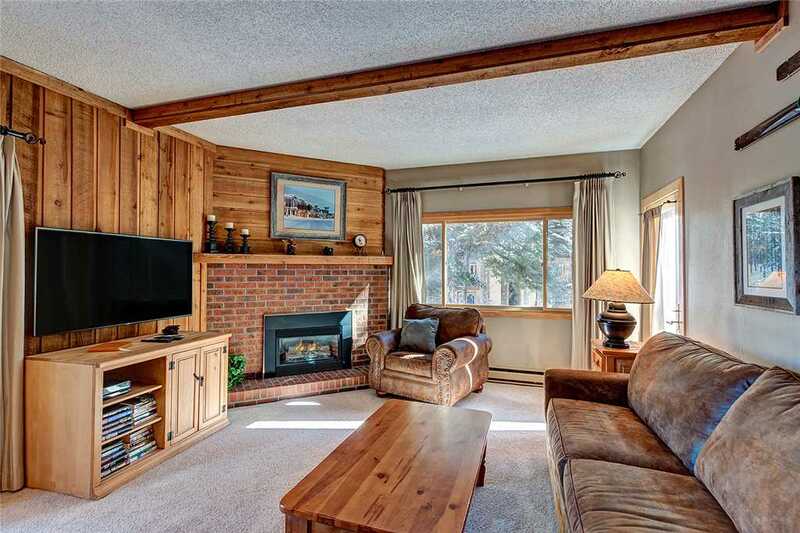 This townhouse is located on the bus route for easy access to the ski resort and downtown. 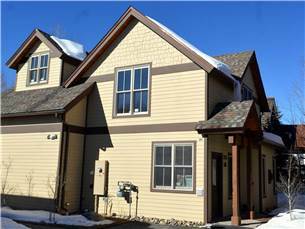 Next to the townhouse is the newly renovated 88,000 square foot Breckenridge Recreation Center. 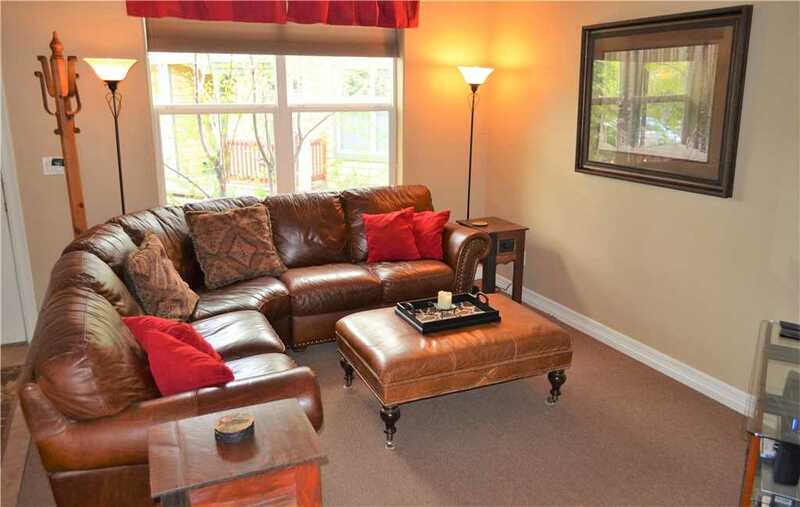 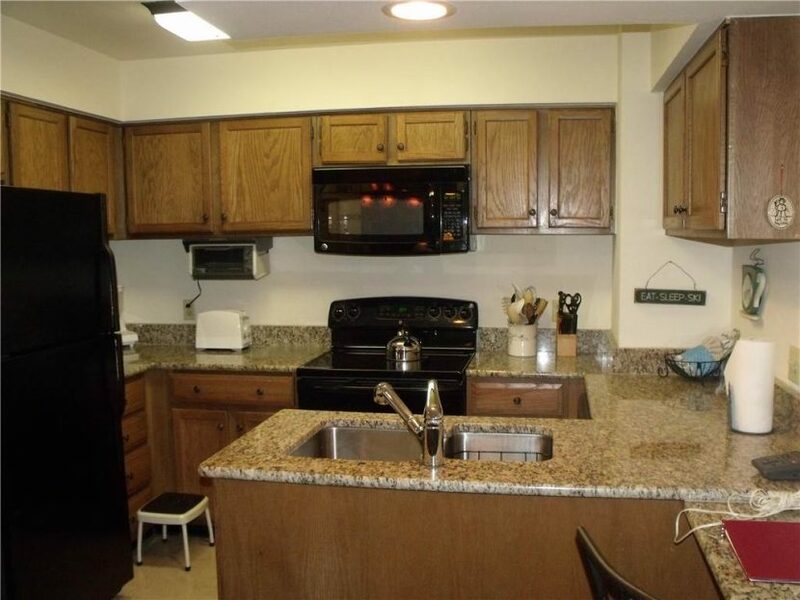 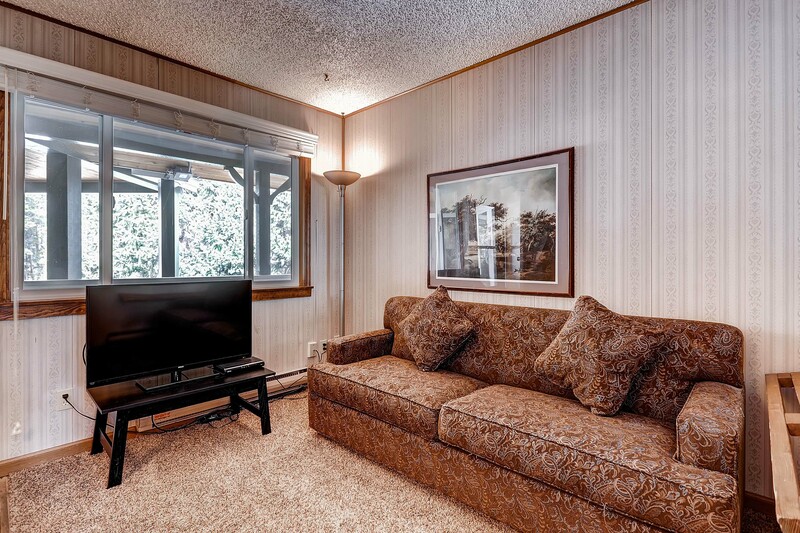 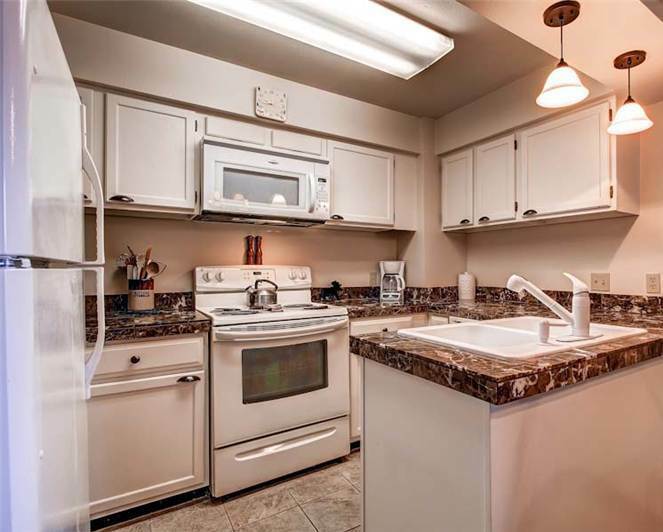 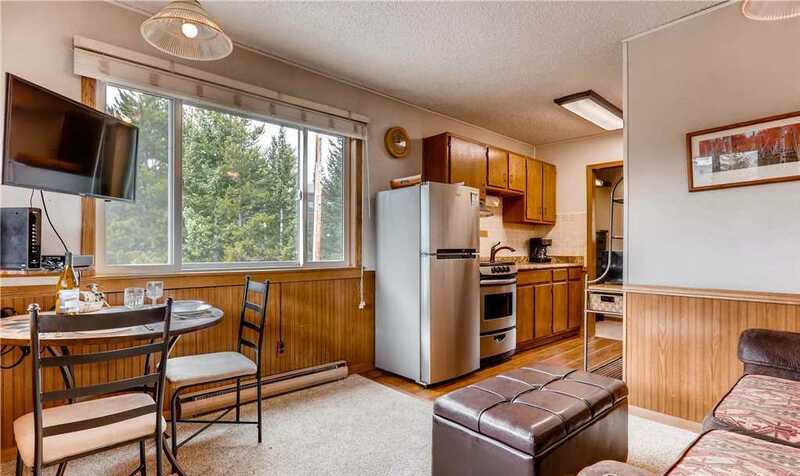 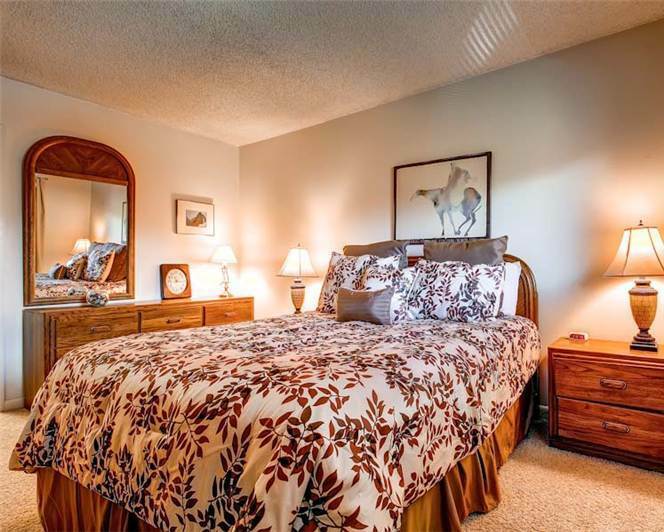 This rental is walking distance to the grocery store, liquor store and several rental shops. 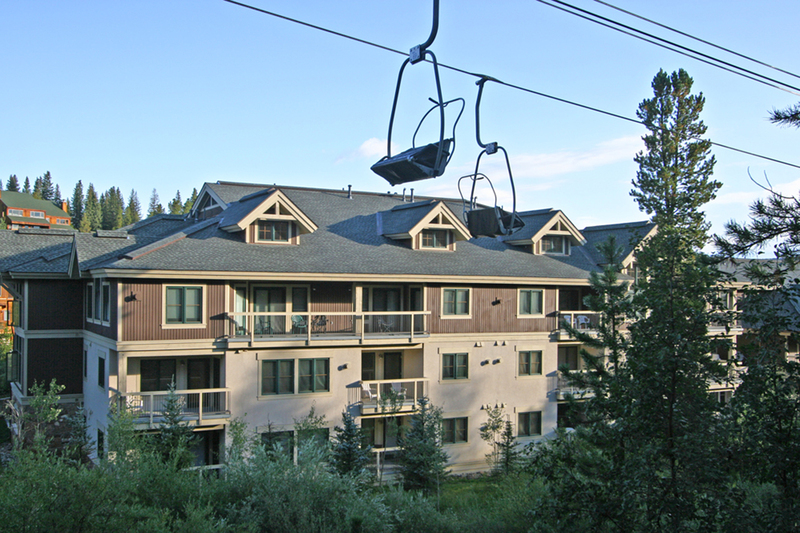 Please note this rental comes with only one parking spot. 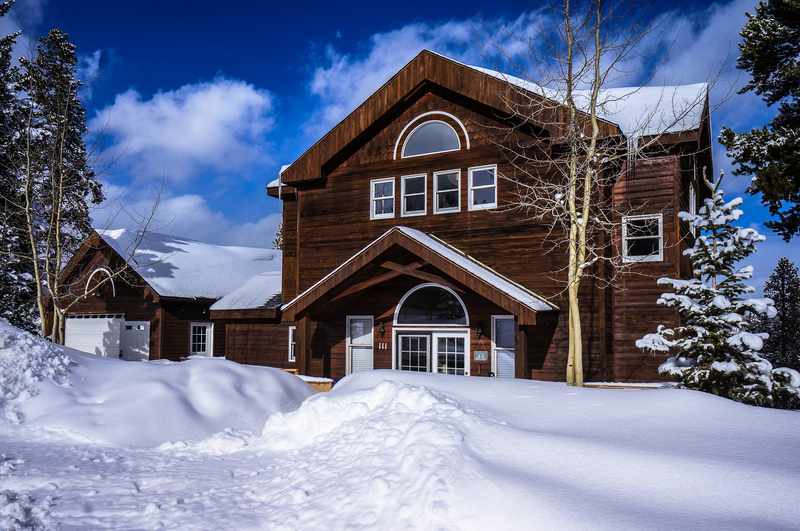 Additional vehicles will need to park in the nearby overflow lot for a small daily fee.